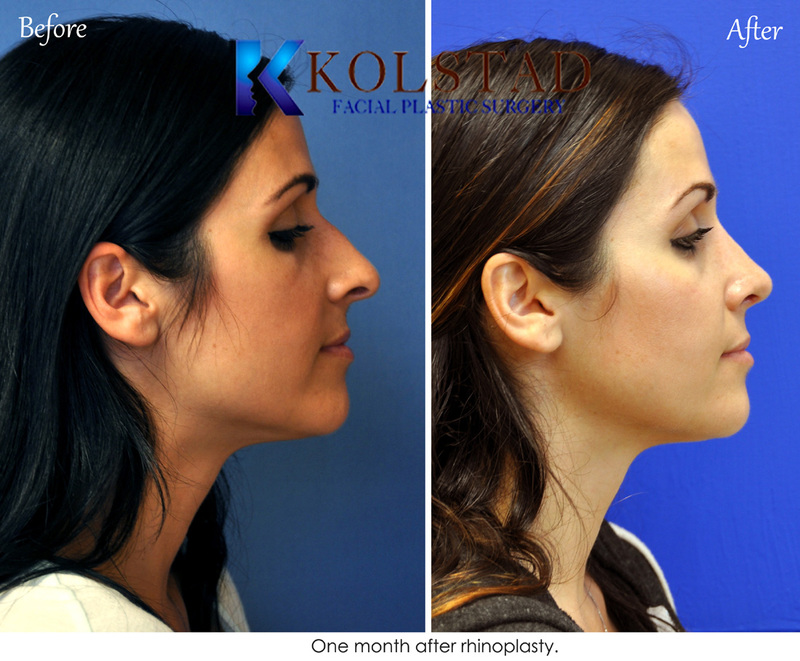 Most experts agree that it takes a full year for a rhinoplasty to mature in shape and definition. 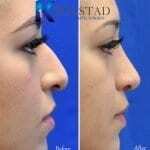 The nasal skin must shrink wrap to the new cartilage framework and that takes time. 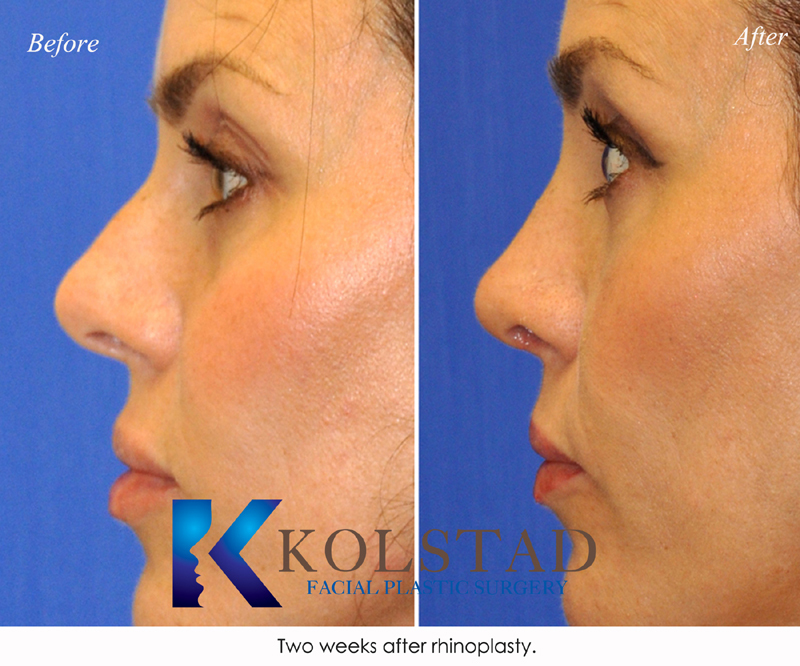 That doesn’t mean that you will have to wait a full year to enjoy many of the beautiful changes that can be achieved with rhinoplasty. 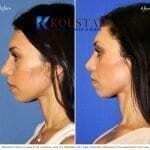 The profile and oblique views can look amazing in only 2-3 weeks. 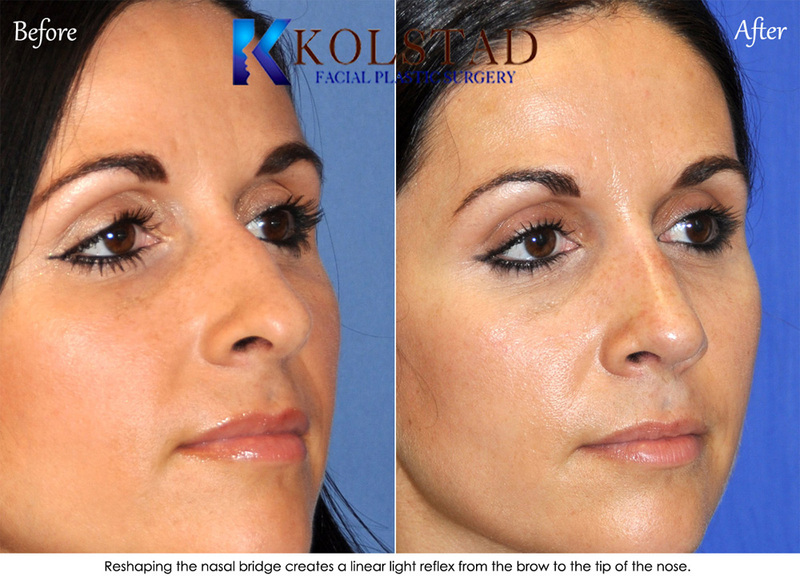 Throughout the year the nasal bridge will appear narrower and the tip of the nose will reveal more definition. 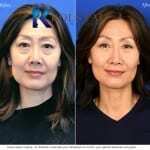 These elegant changes take the longest to mature on the front views. 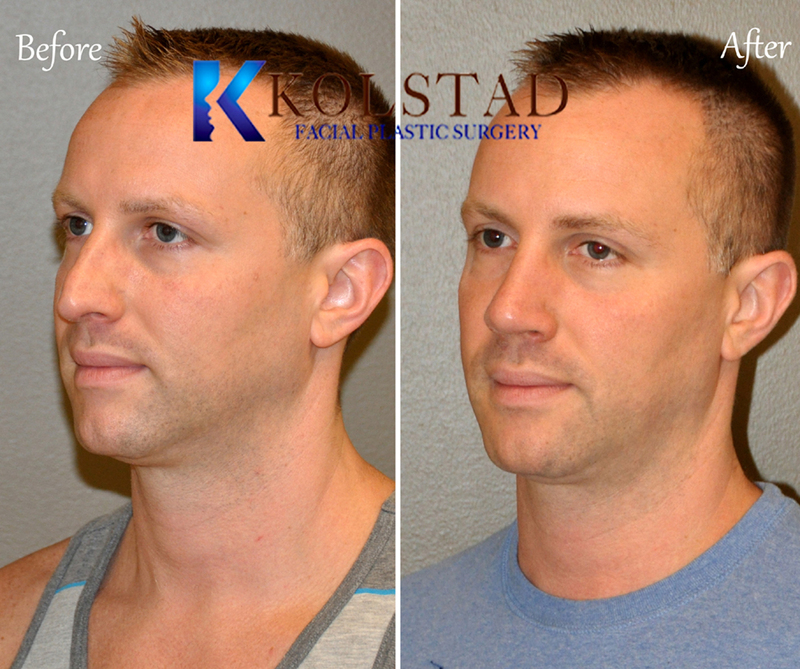 After surgery Dr. Kolstad does not tell his patients to come back in a year for a final exam. 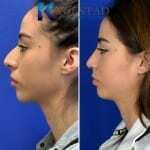 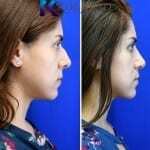 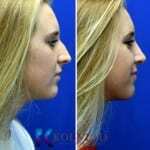 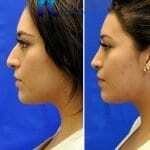 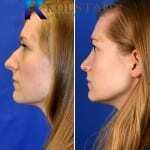 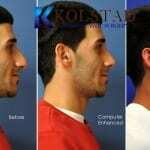 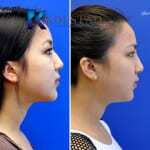 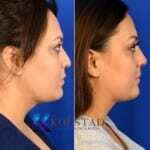 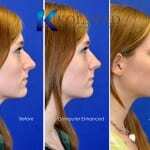 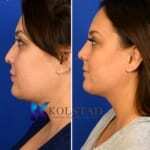 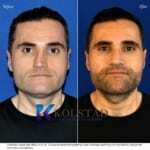 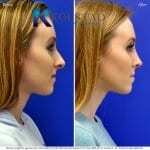 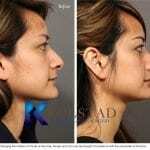 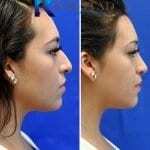 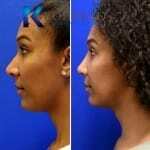 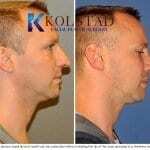 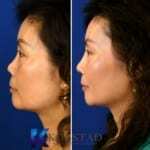 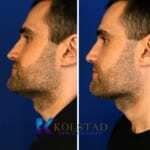 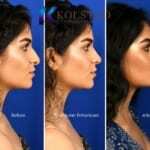 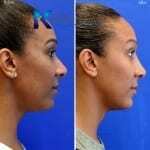 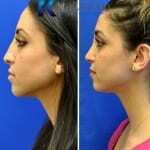 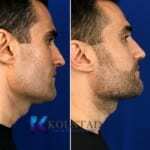 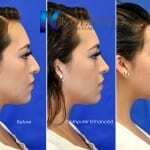 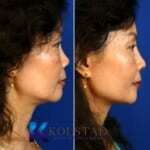 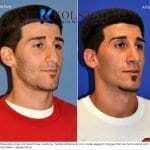 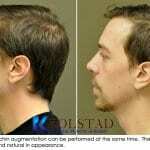 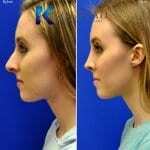 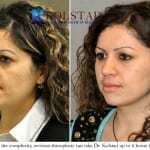 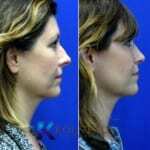 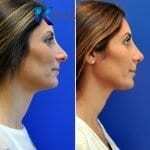 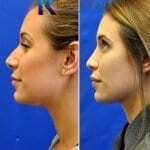 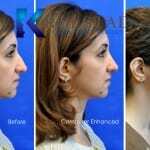 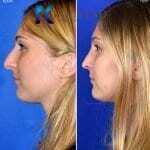 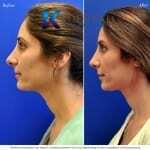 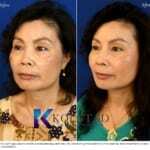 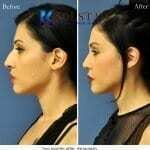 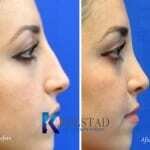 He actively reshapes the nose during monthly follow-up examinations until final results are achieved. 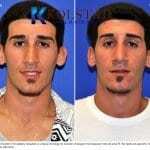 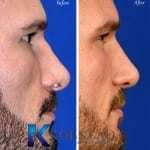 If the nose is too swollen he uses a dilute steroid to shrink the scar tissue. 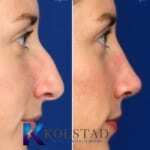 If the nose is developing a depression he applies an injectable filler to smooth it over. 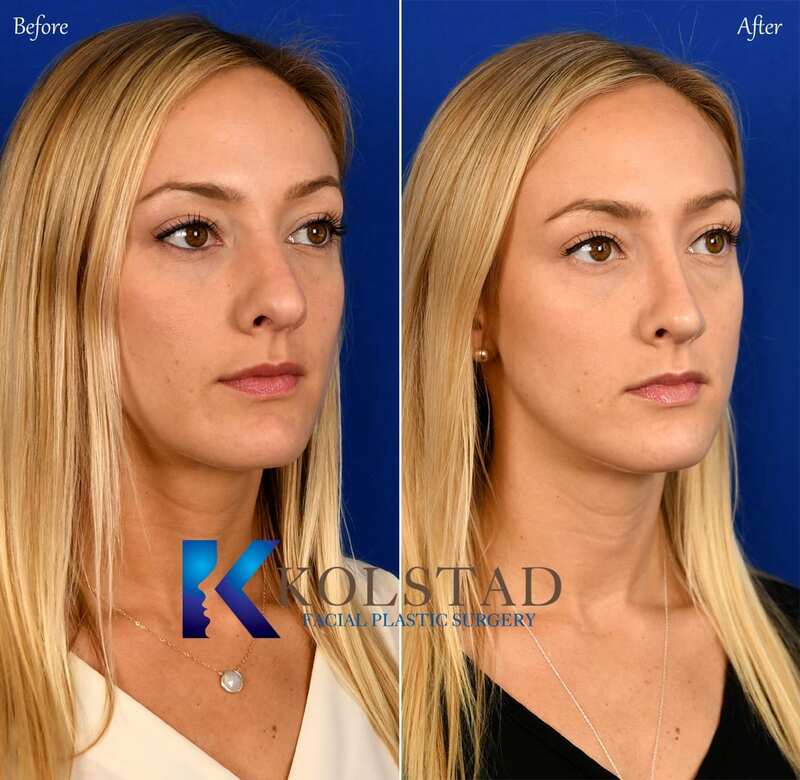 Dr. Kolstad performs every aspect of your recovery and does not leave any of the wound care or follow ups to nurses, physician assistants or ancillary staff. 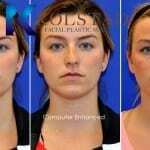 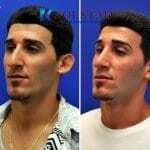 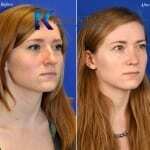 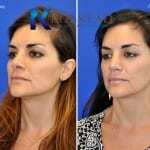 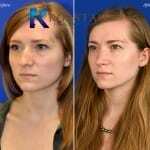 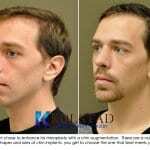 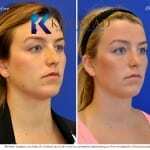 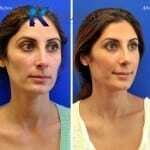 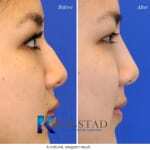 Revision rhinoplasty is one of the most complicated and rewarding facial plastic procedures. 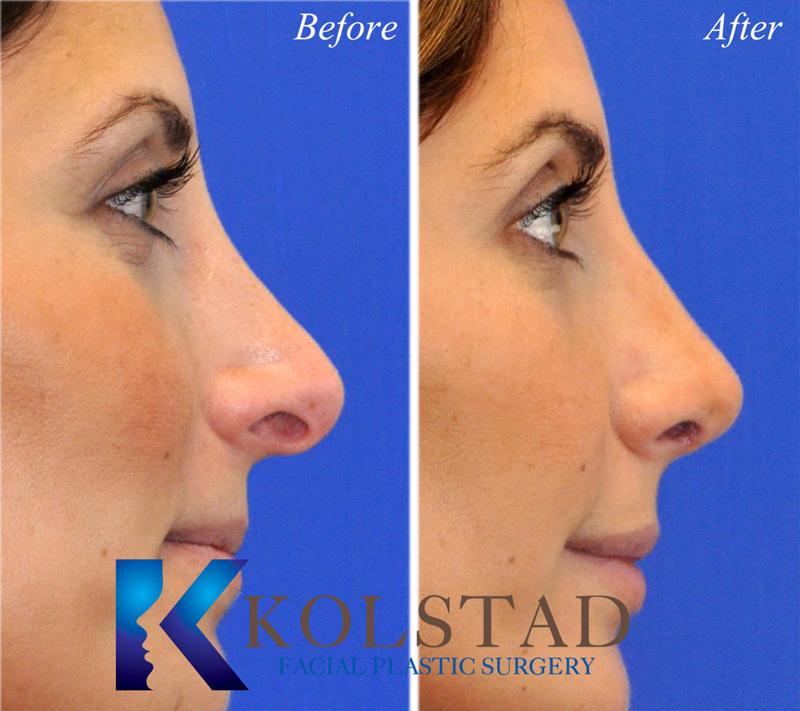 Surgeries can take up to 6 or 7 hours sometimes requiring the nose to be completely rebuilt from top to bottom. 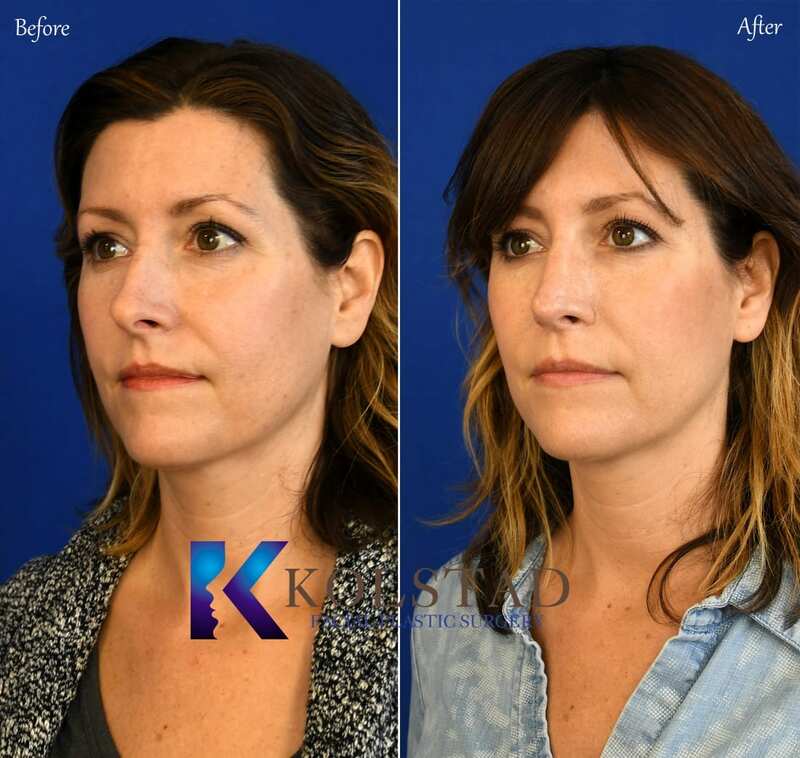 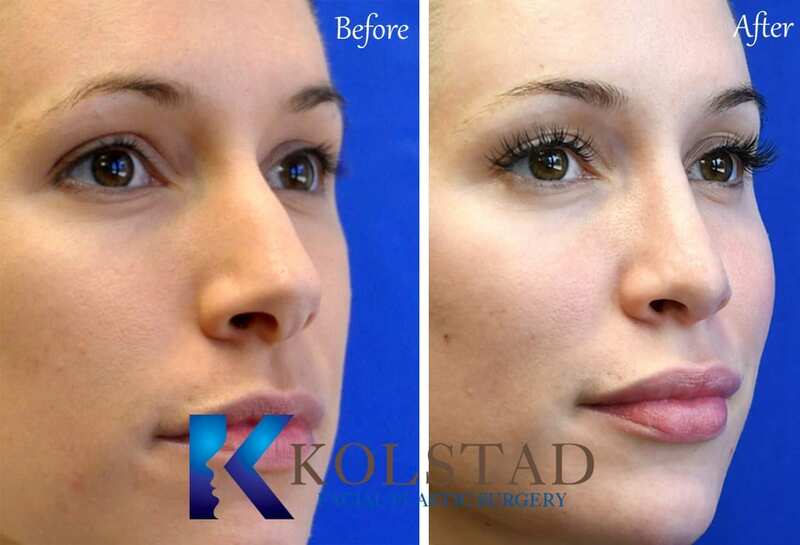 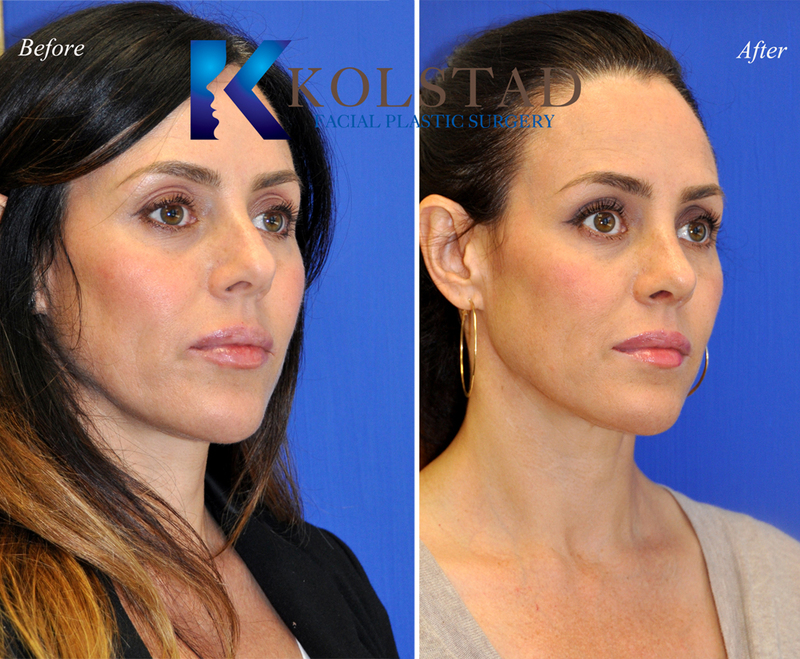 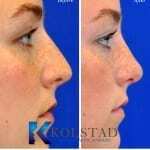 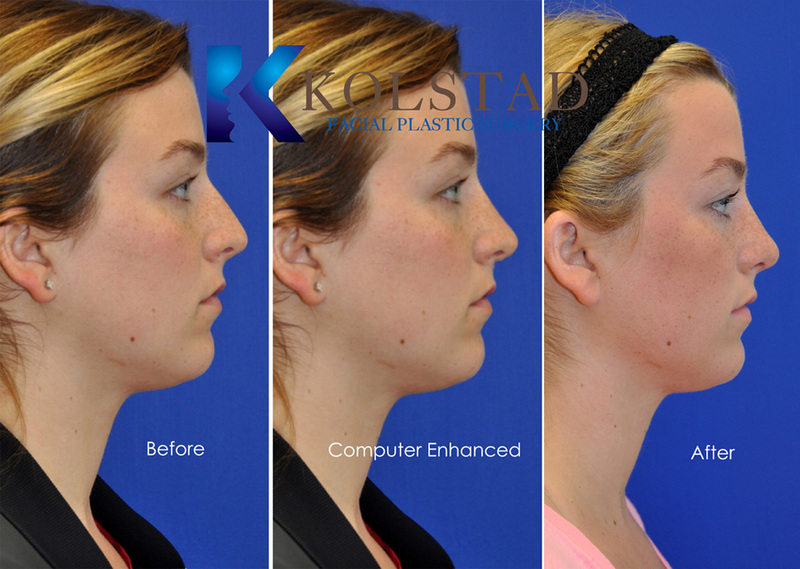 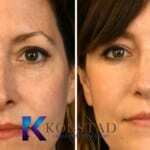 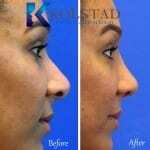 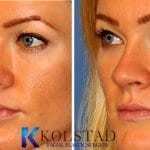 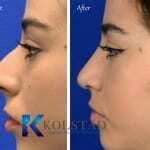 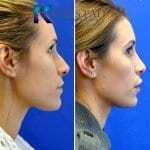 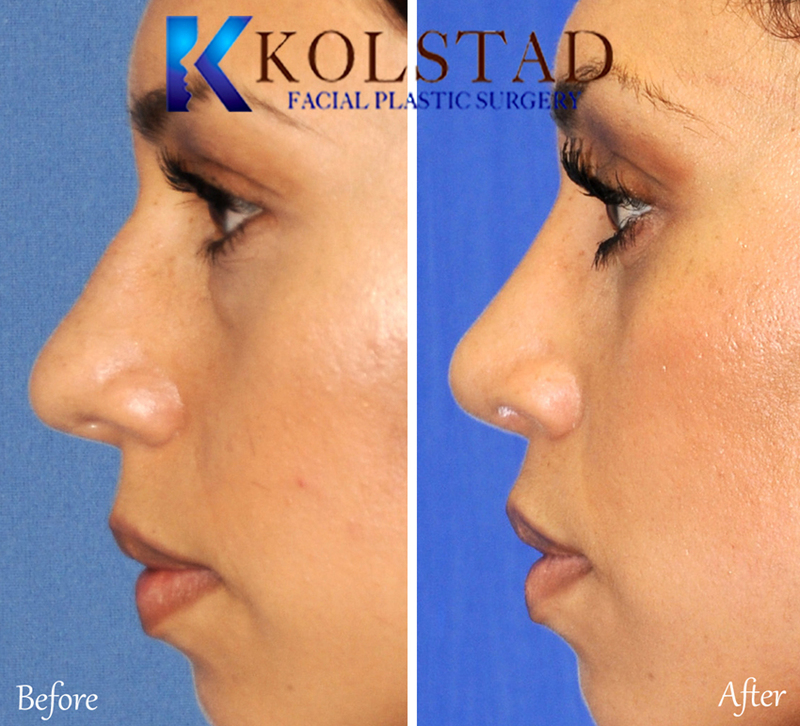 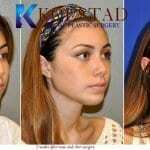 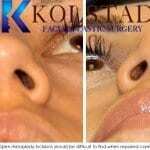 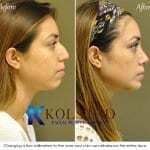 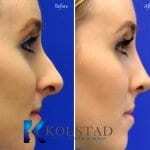 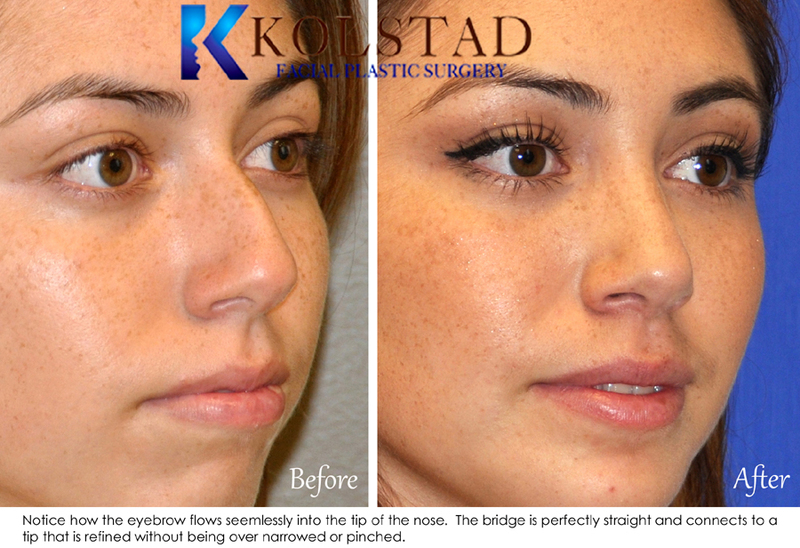 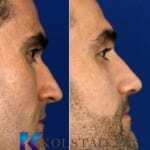 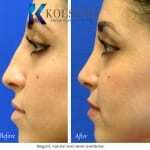 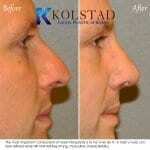 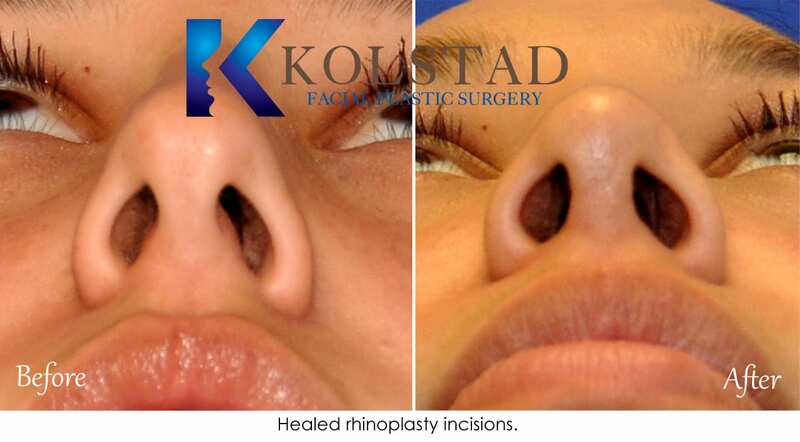 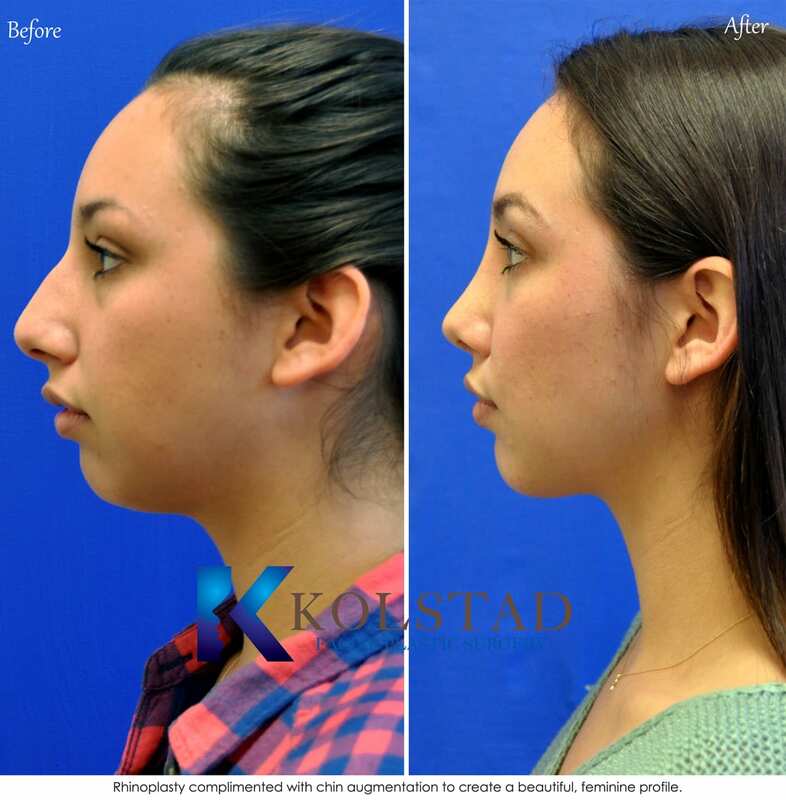 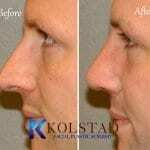 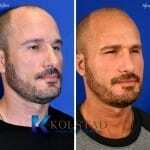 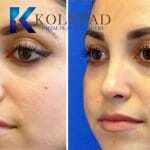 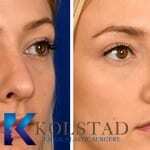 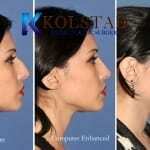 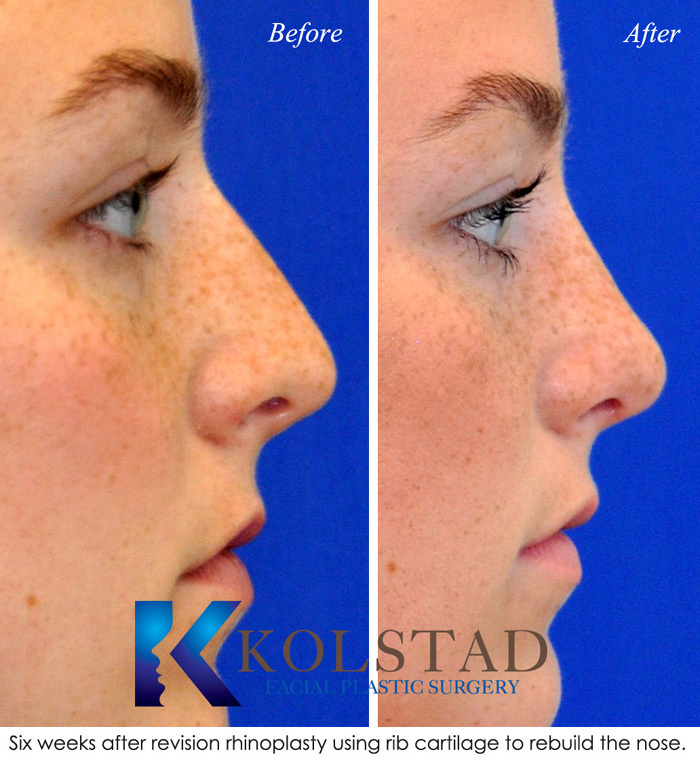 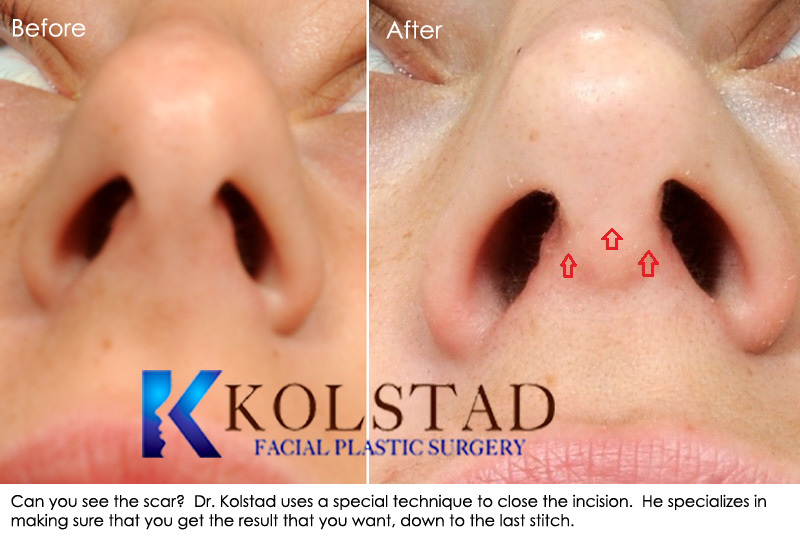 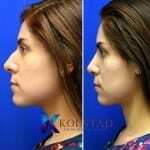 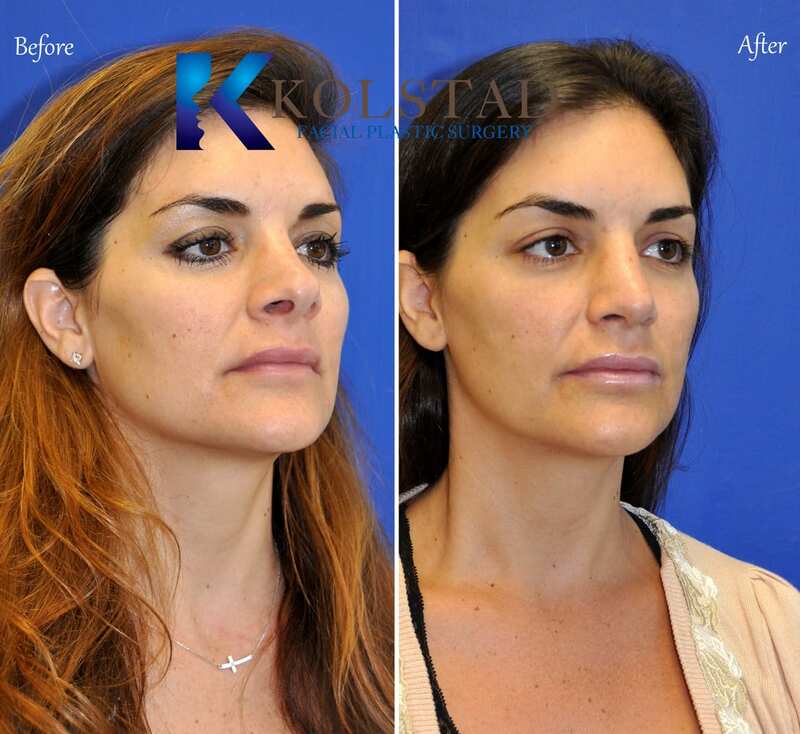 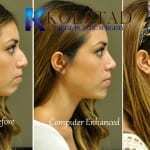 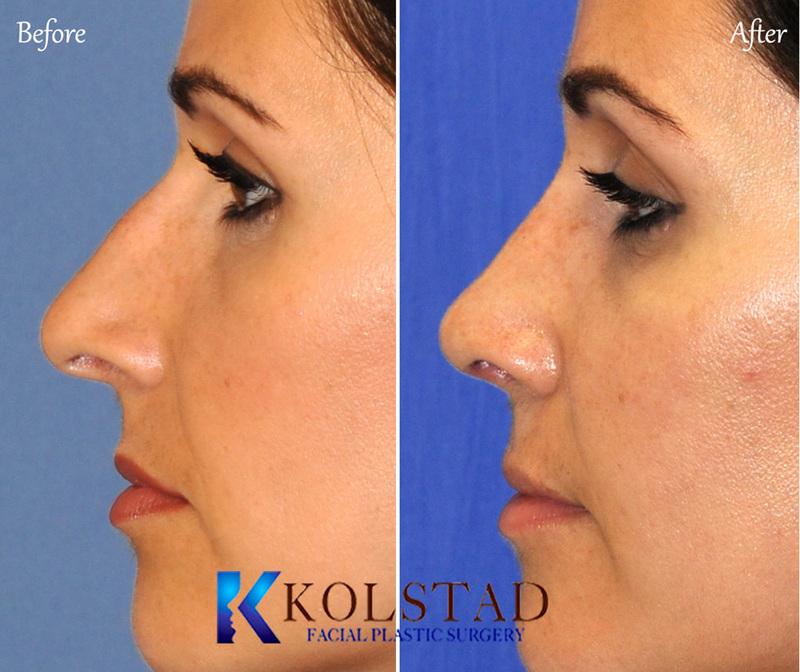 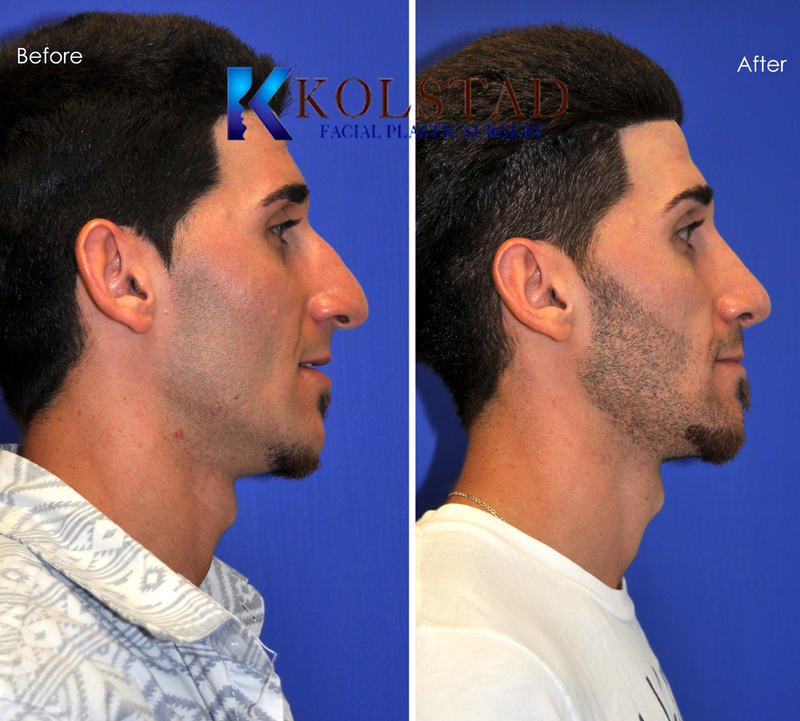 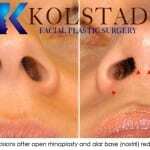 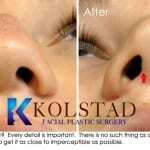 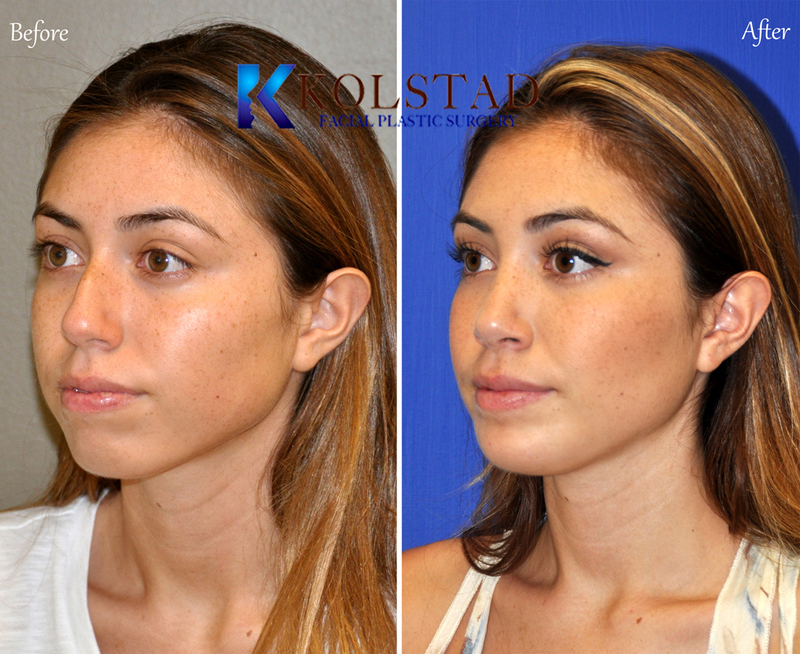 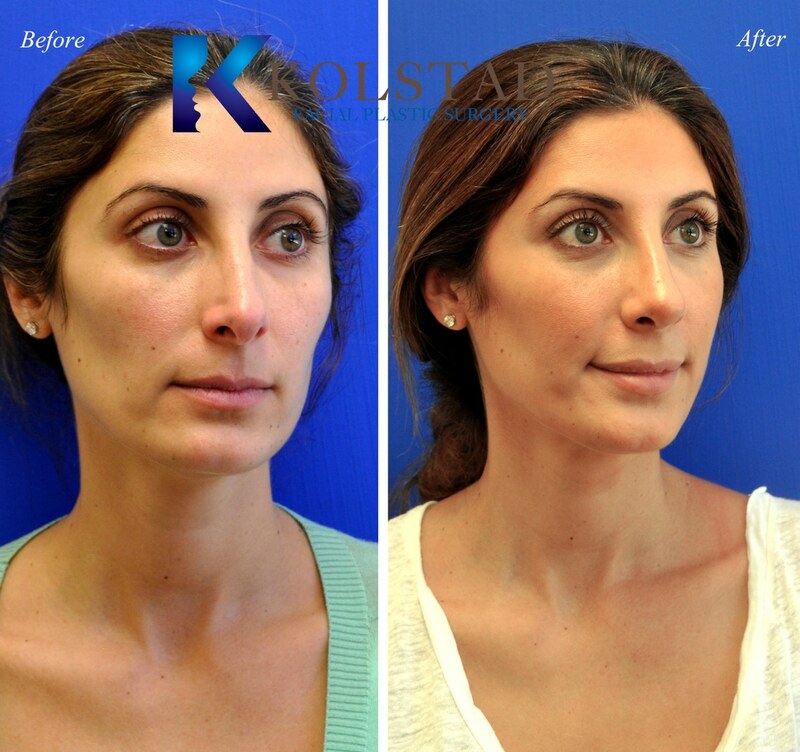 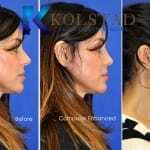 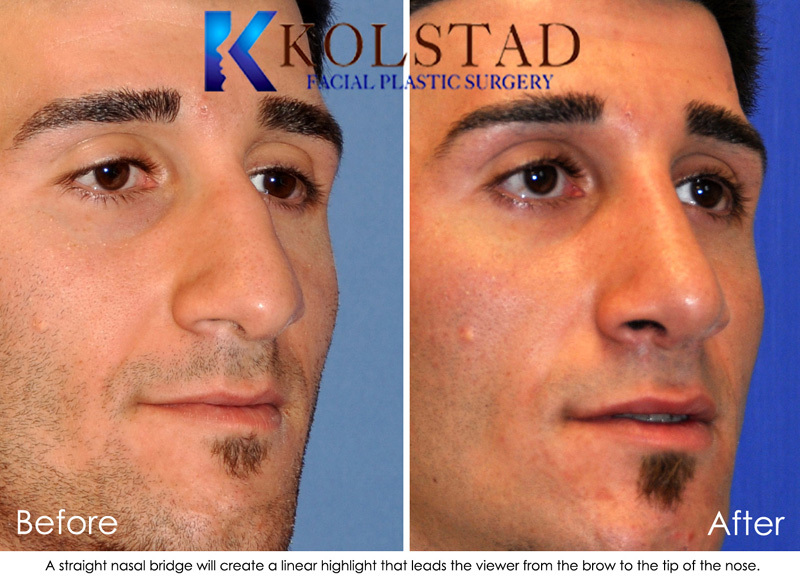 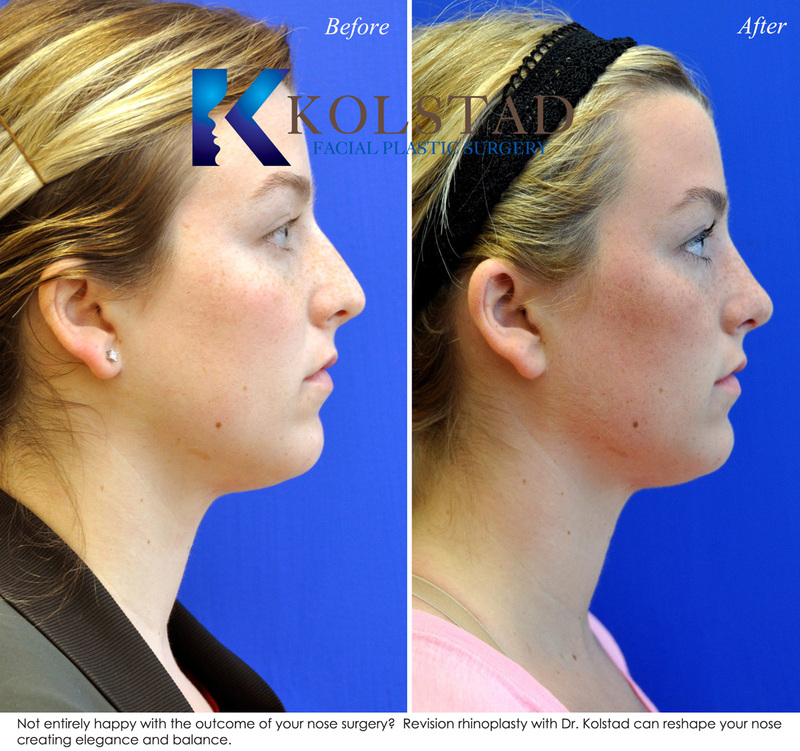 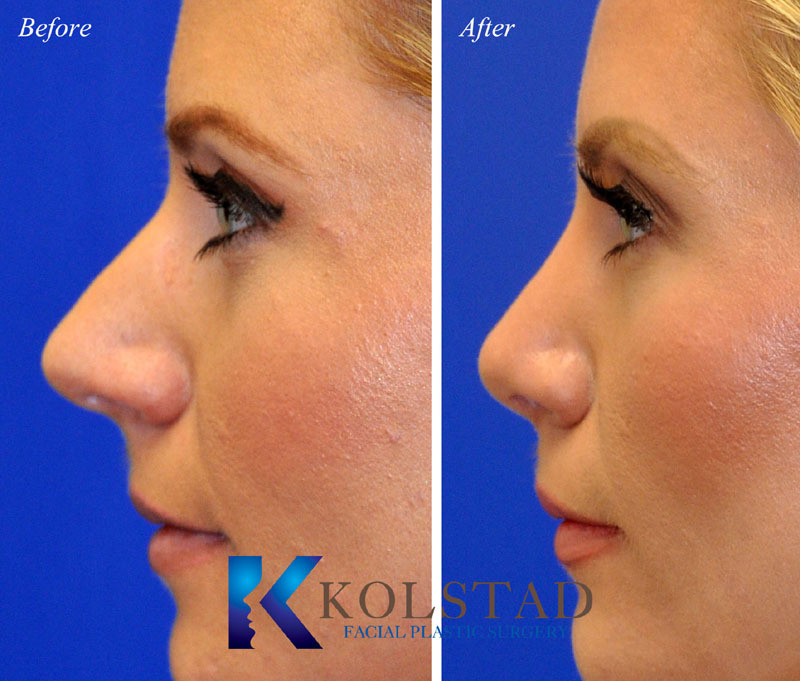 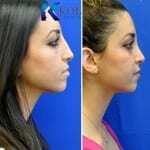 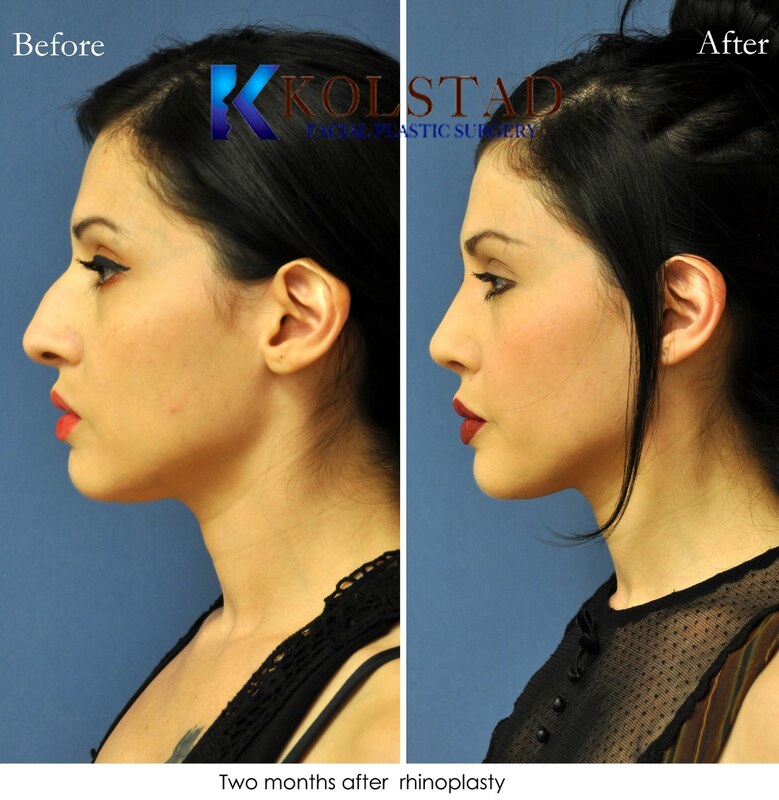 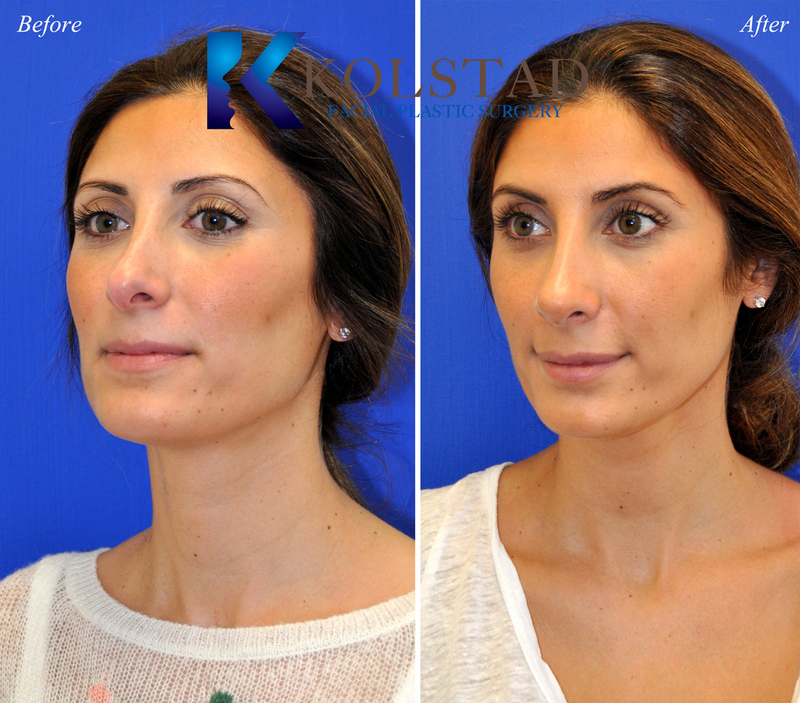 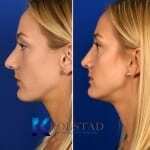 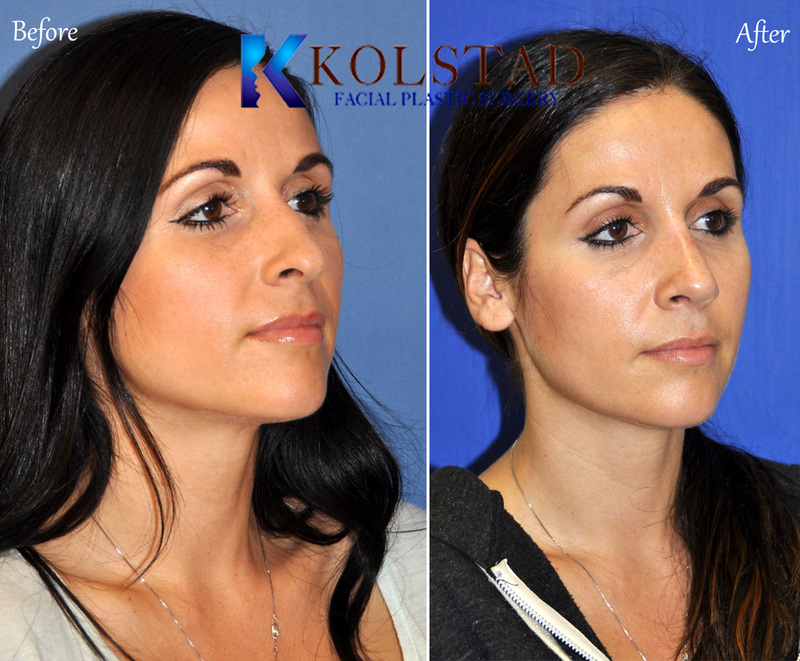 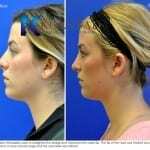 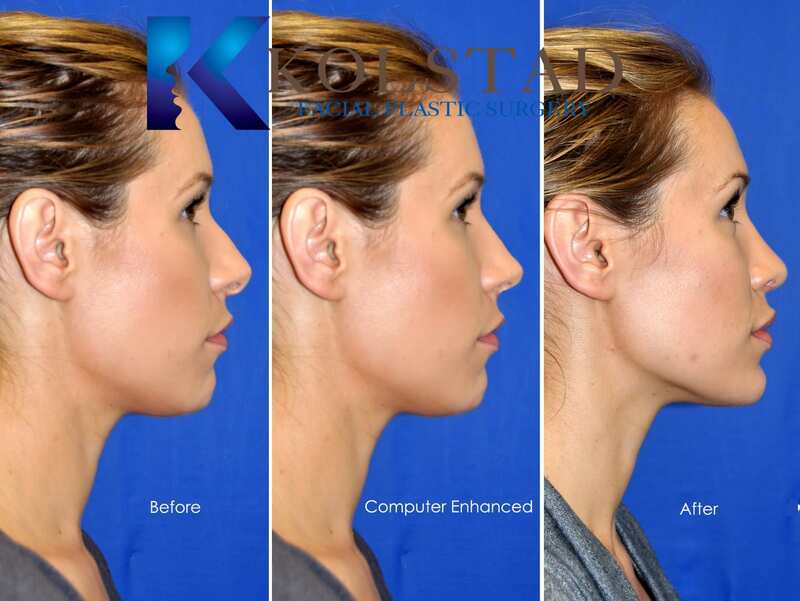 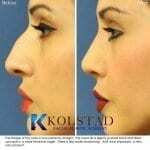 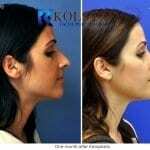 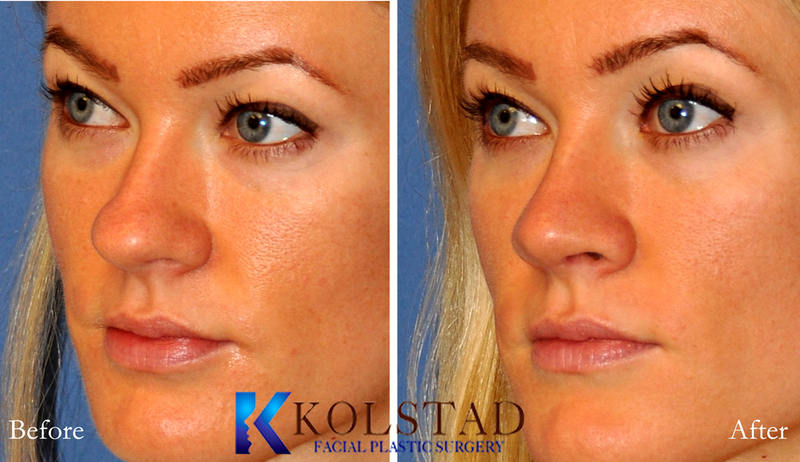 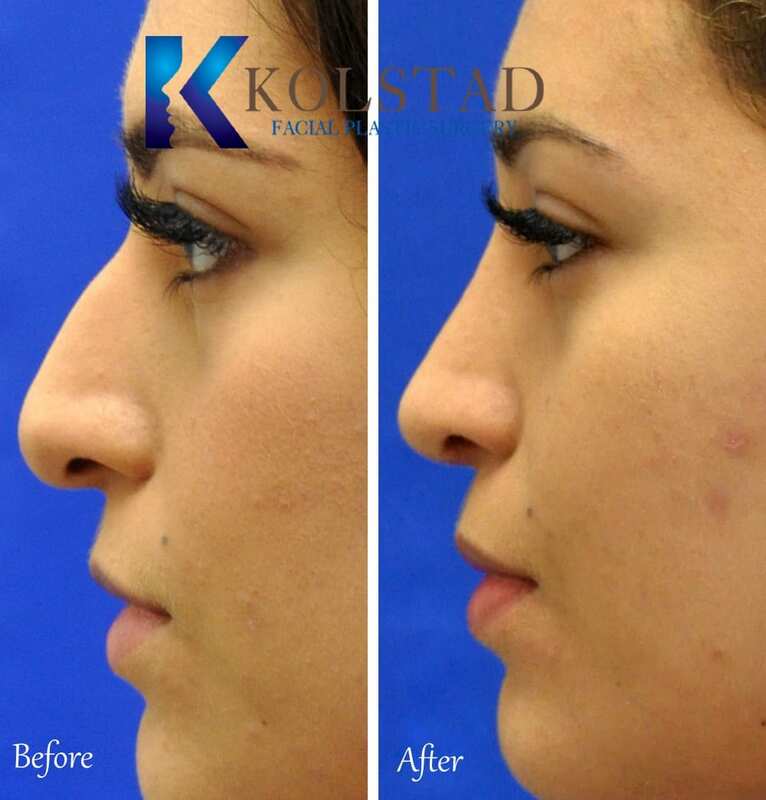 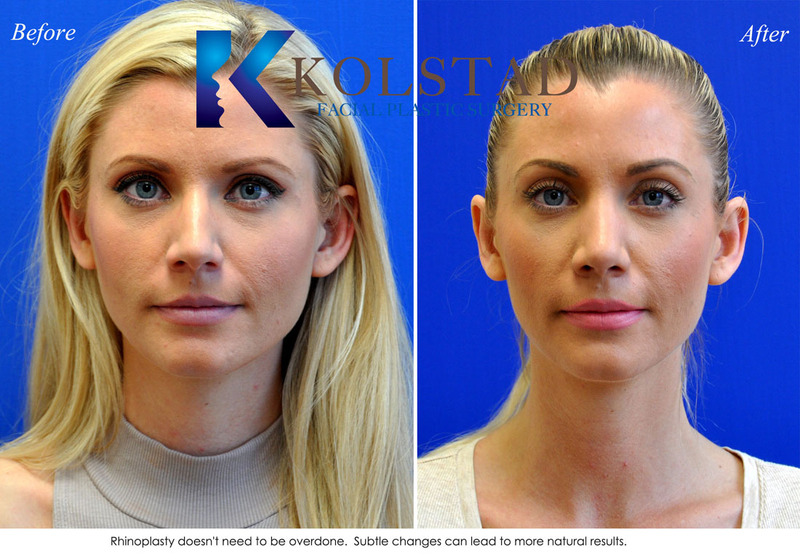 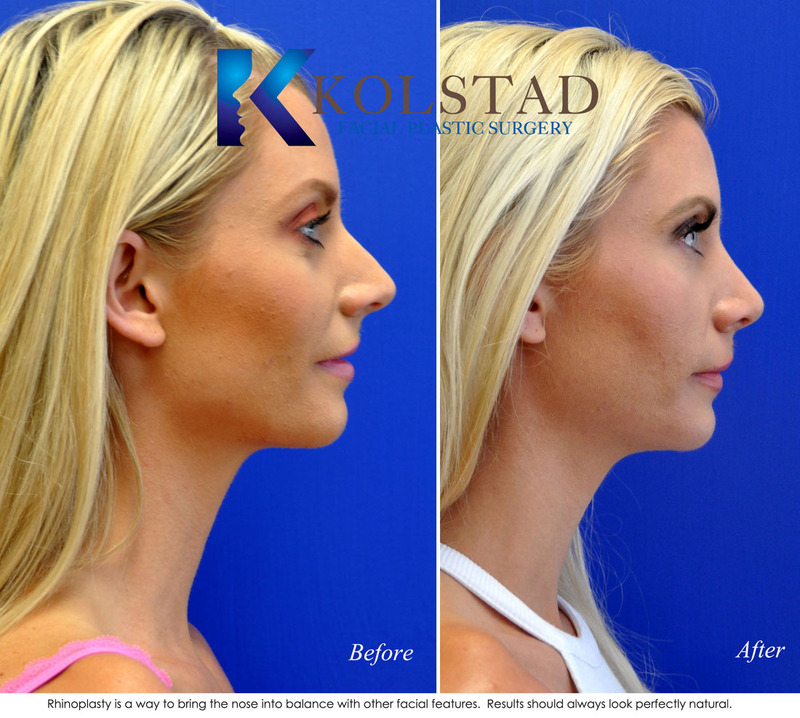 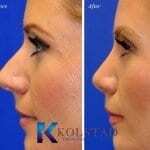 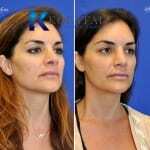 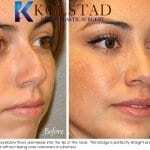 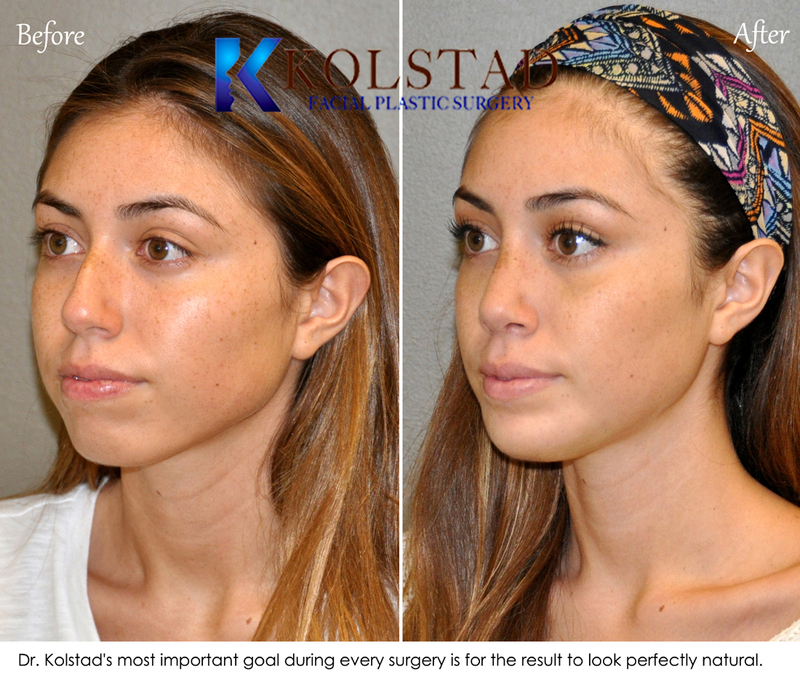 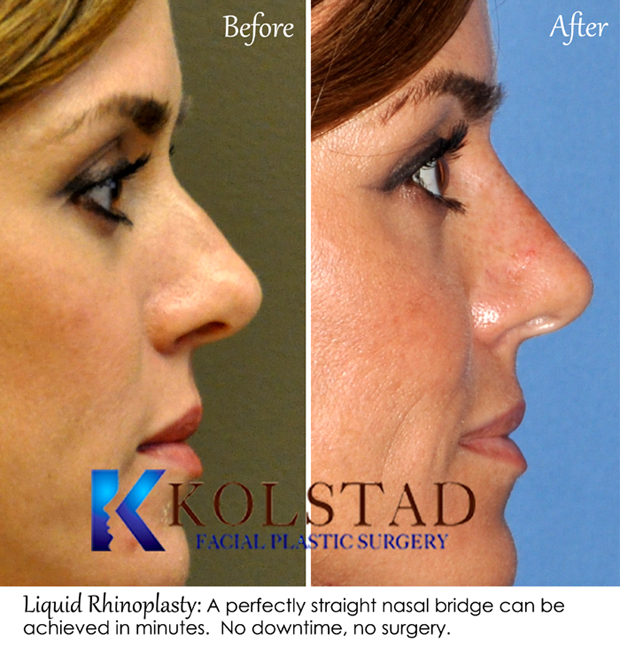 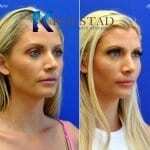 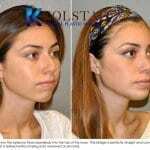 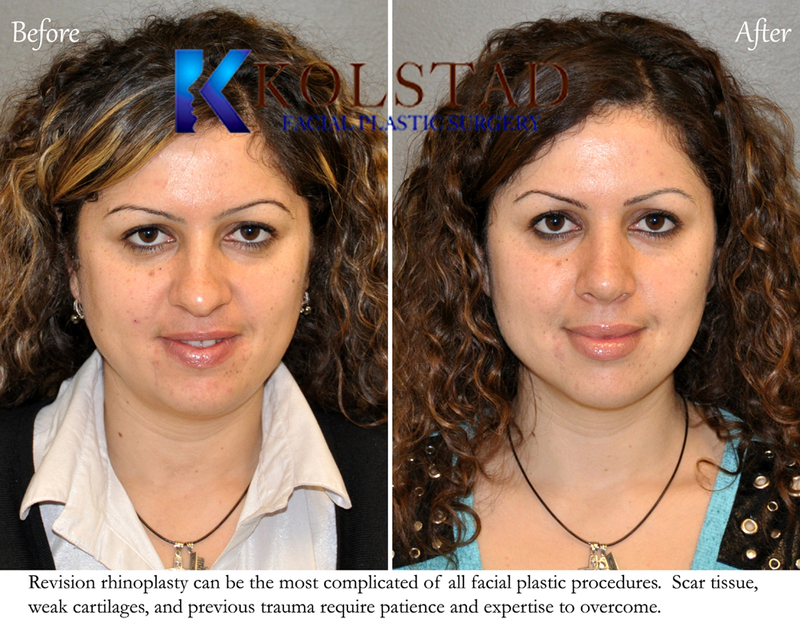 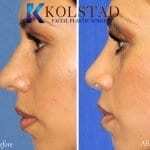 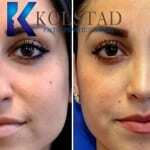 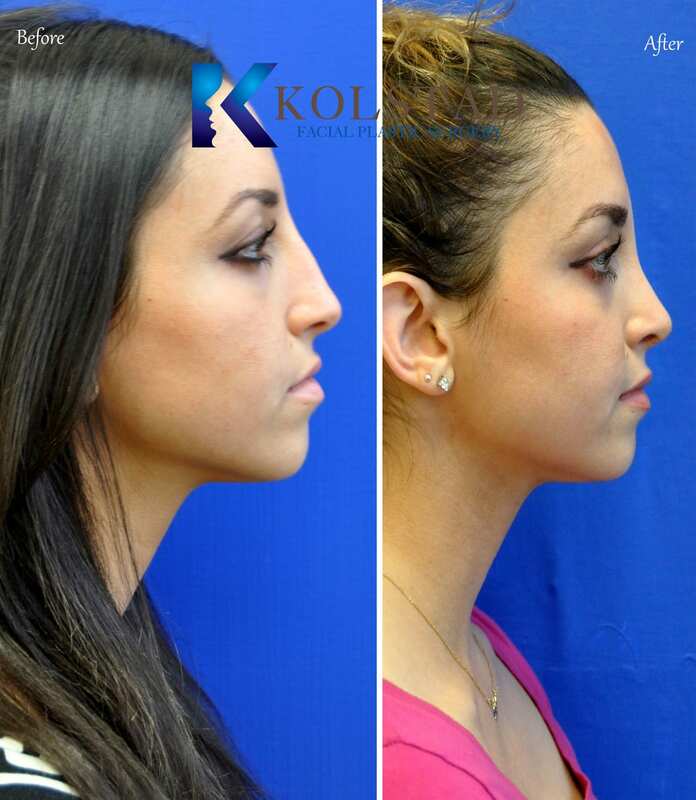 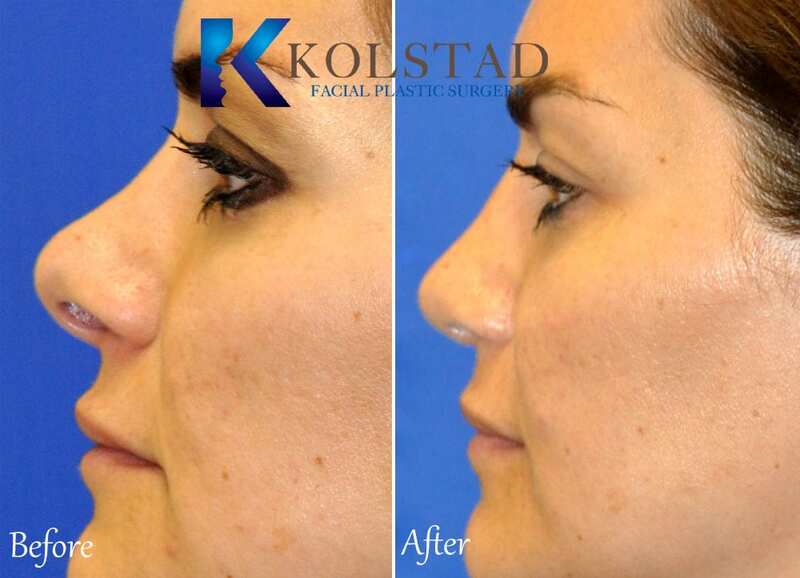 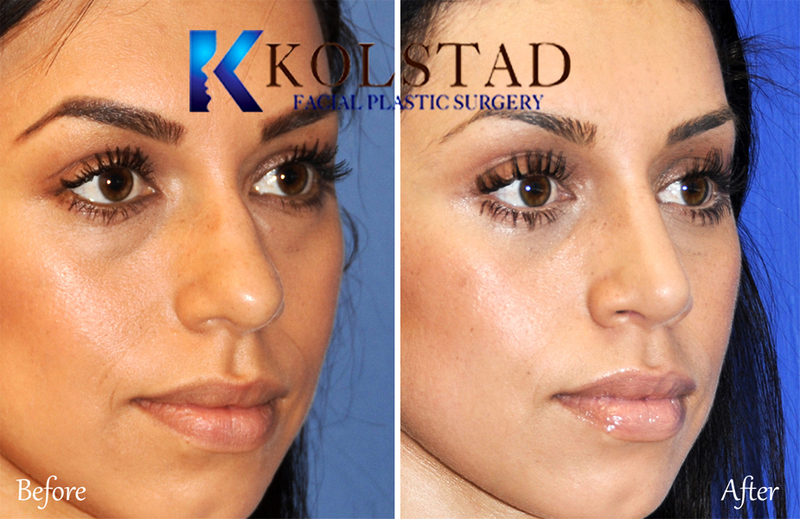 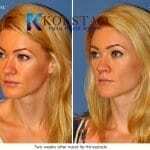 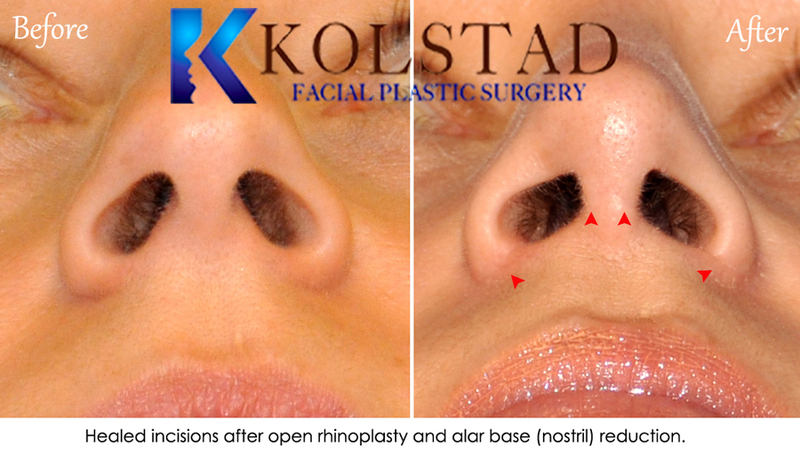 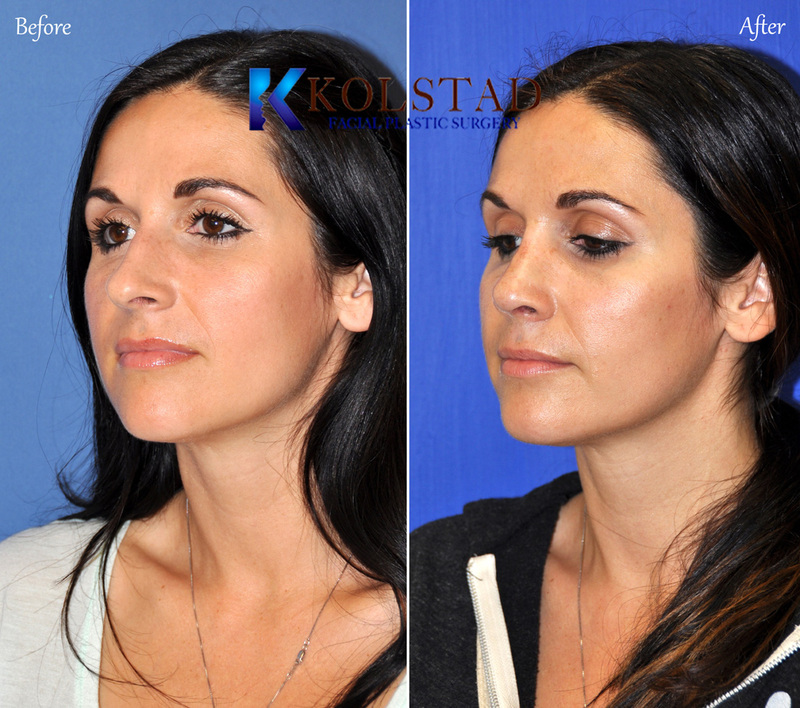 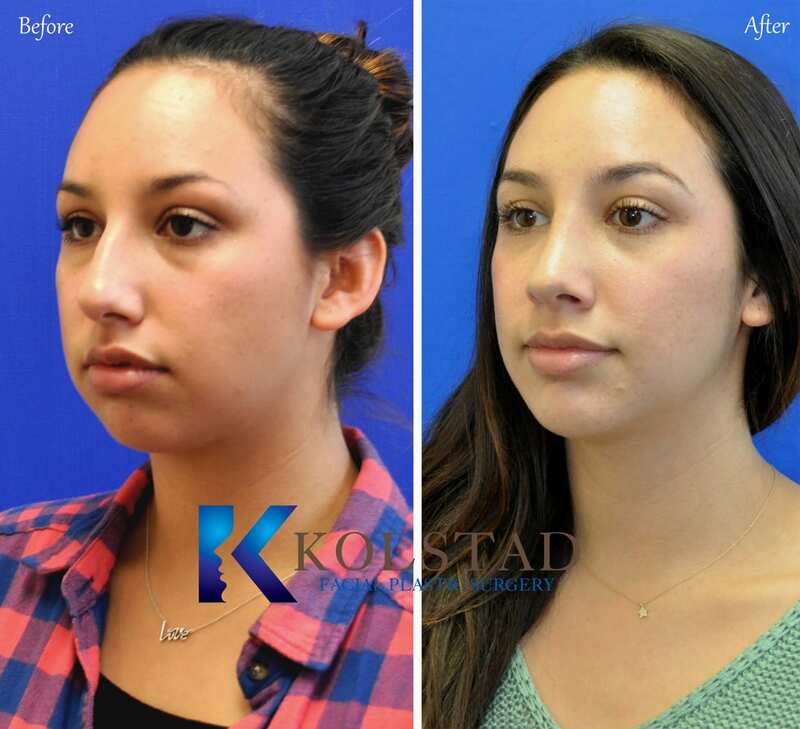 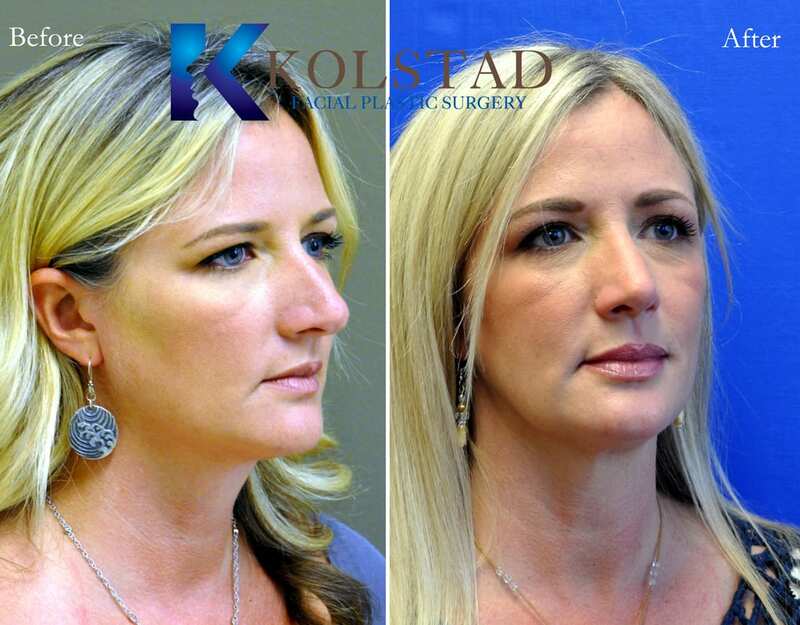 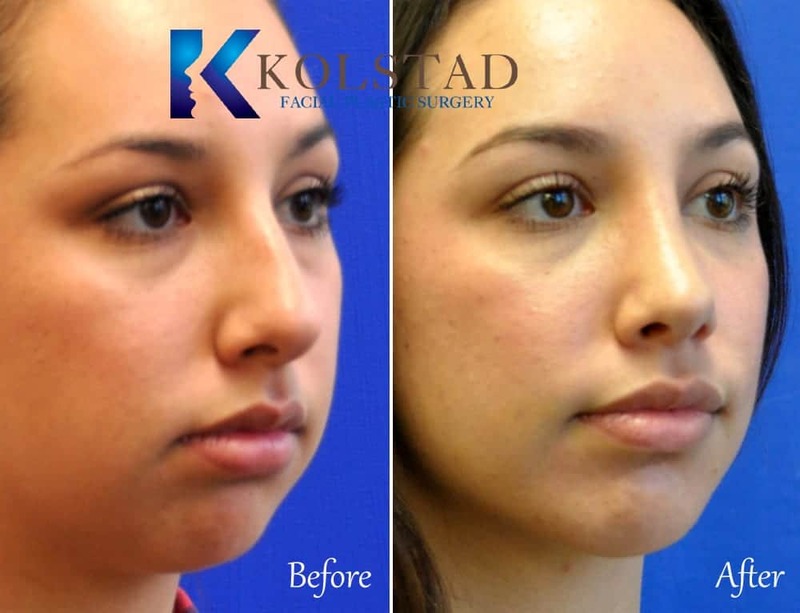 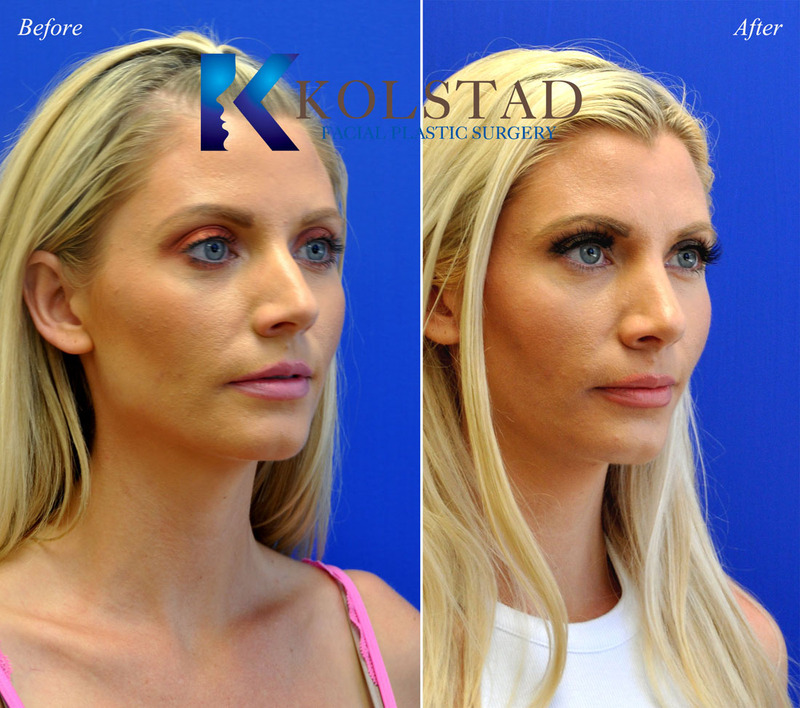 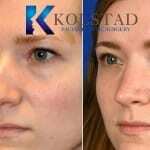 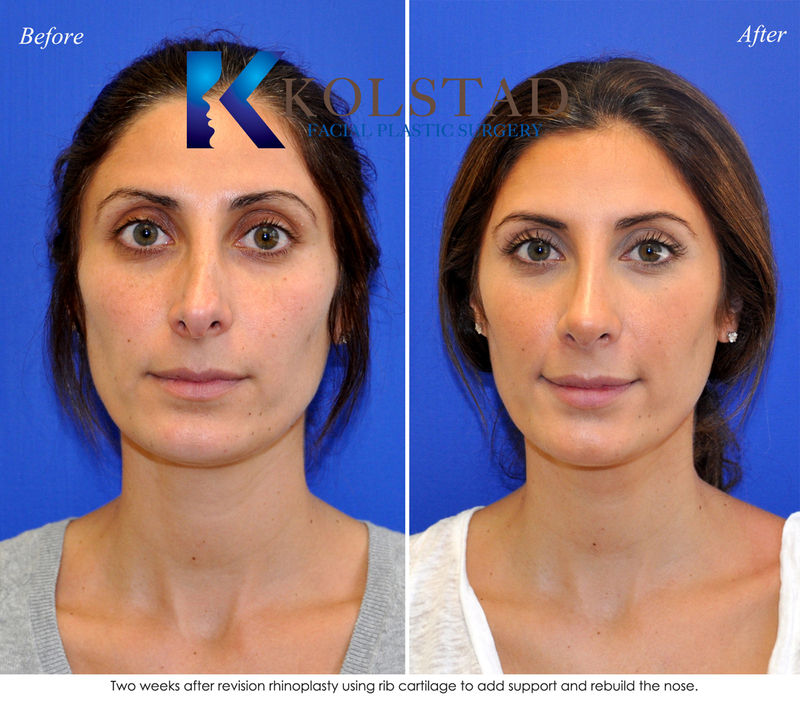 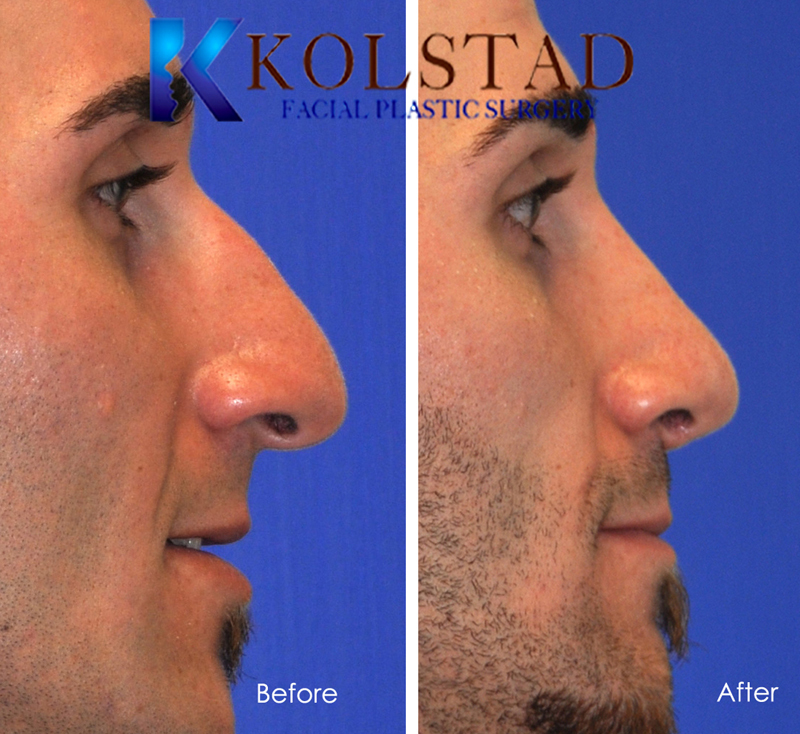 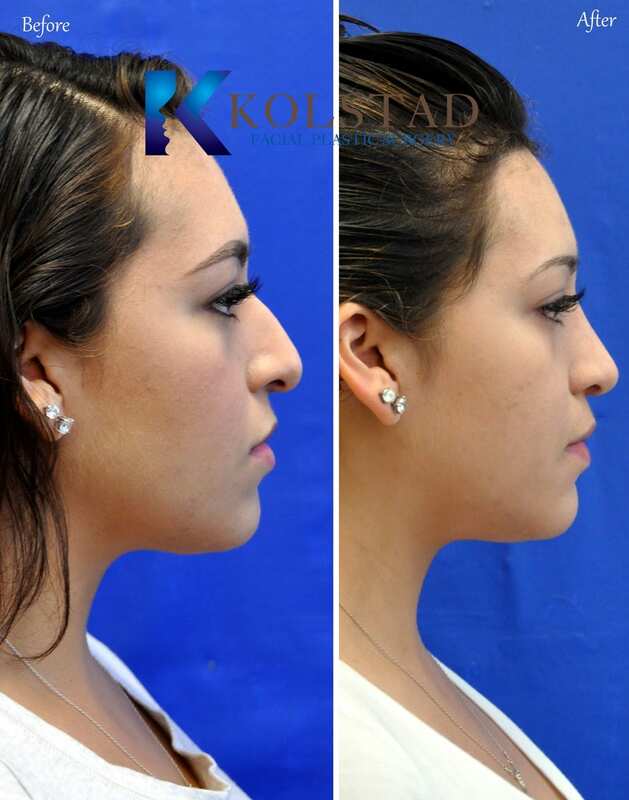 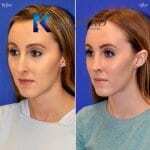 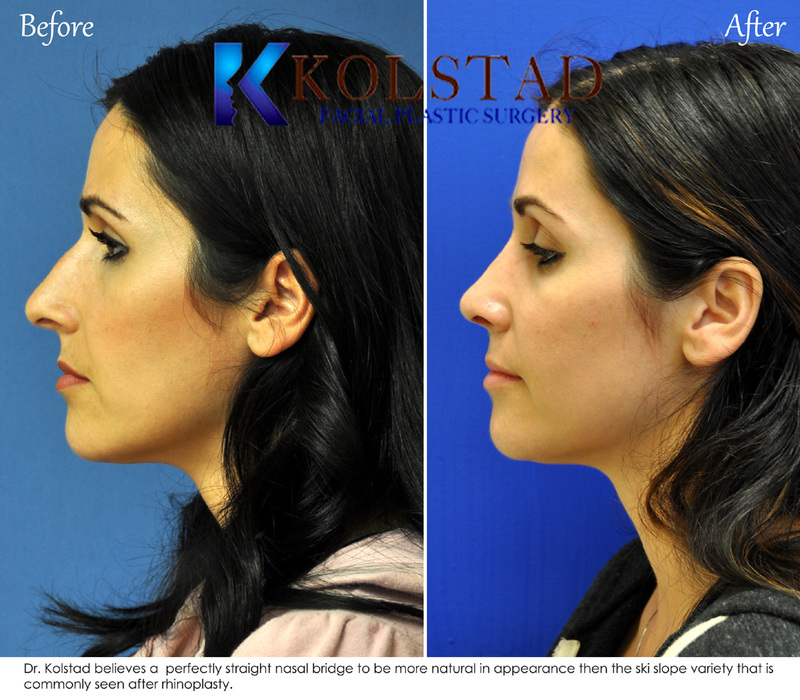 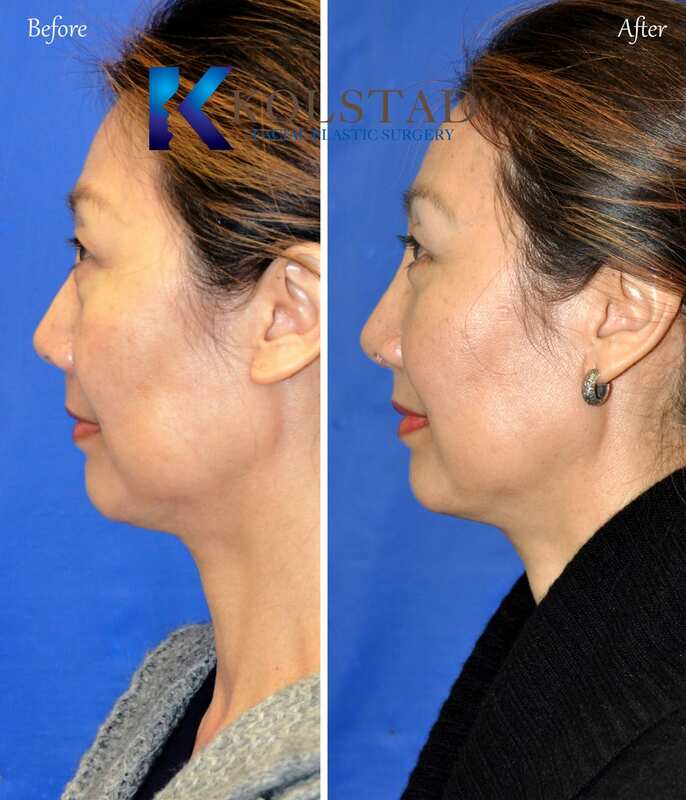 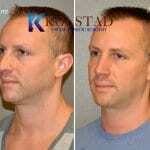 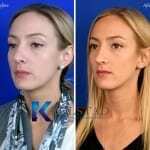 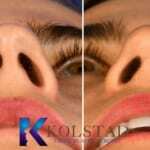 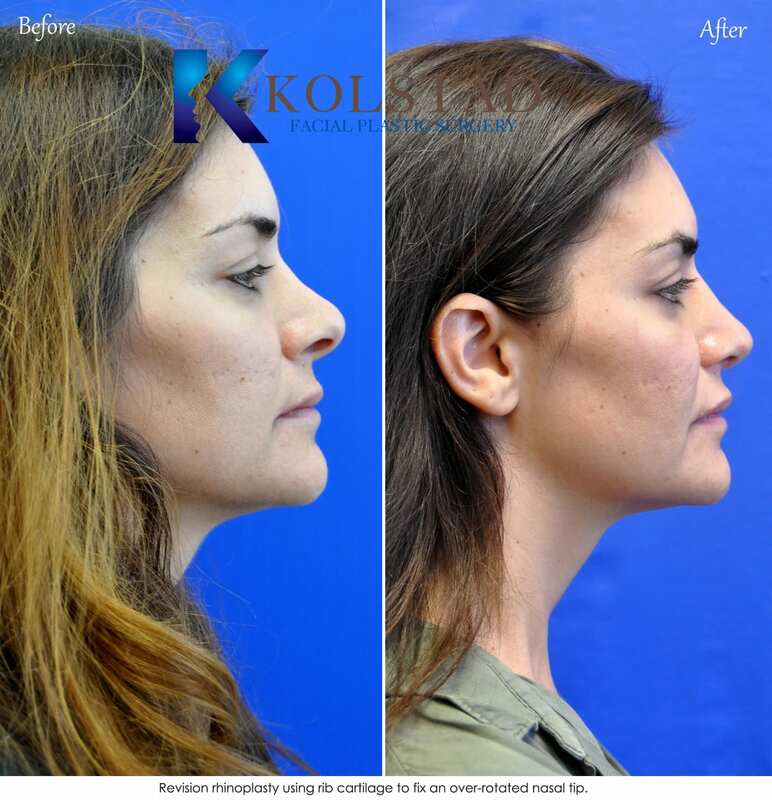 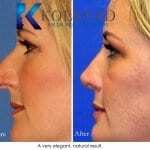 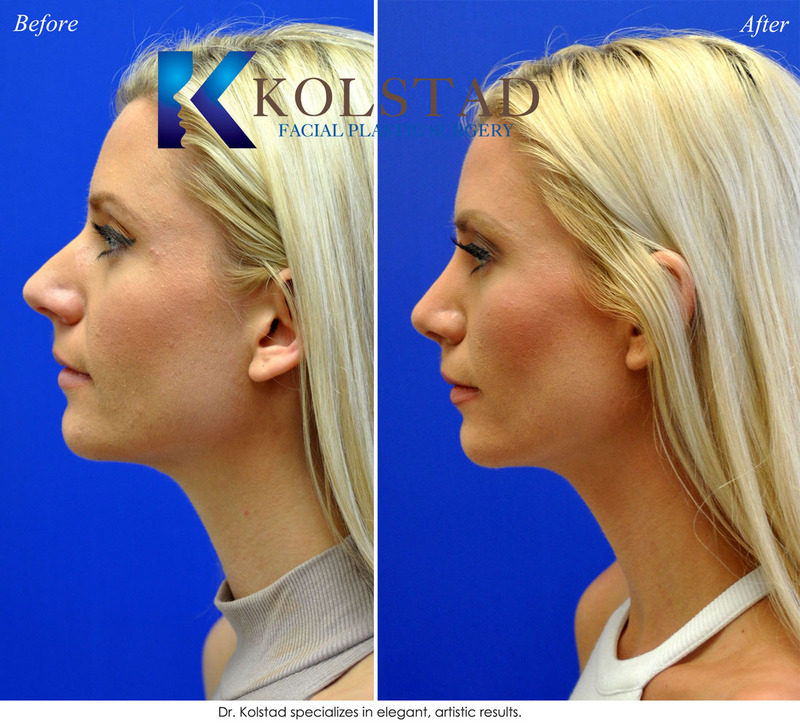 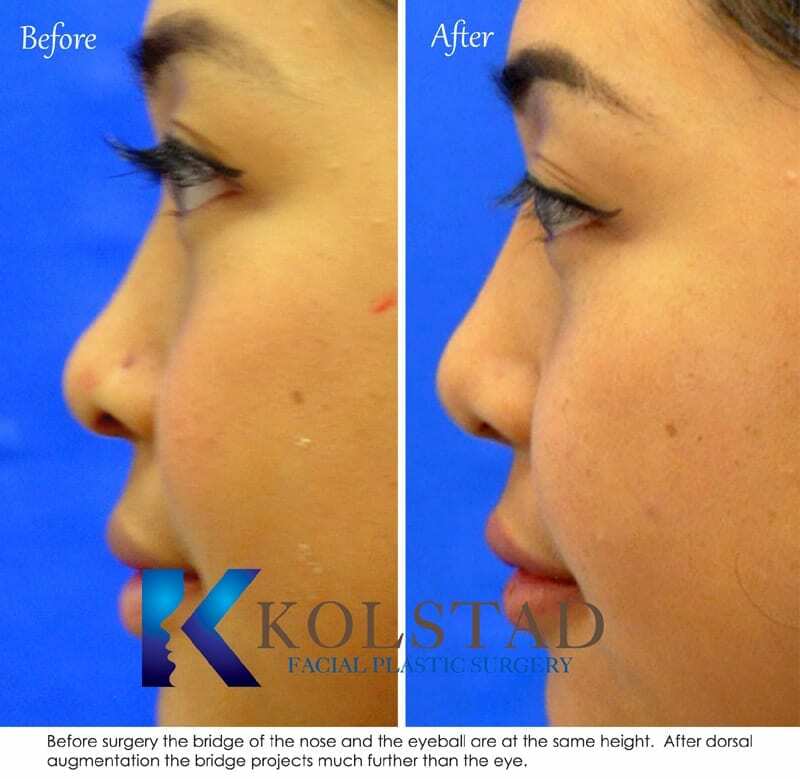 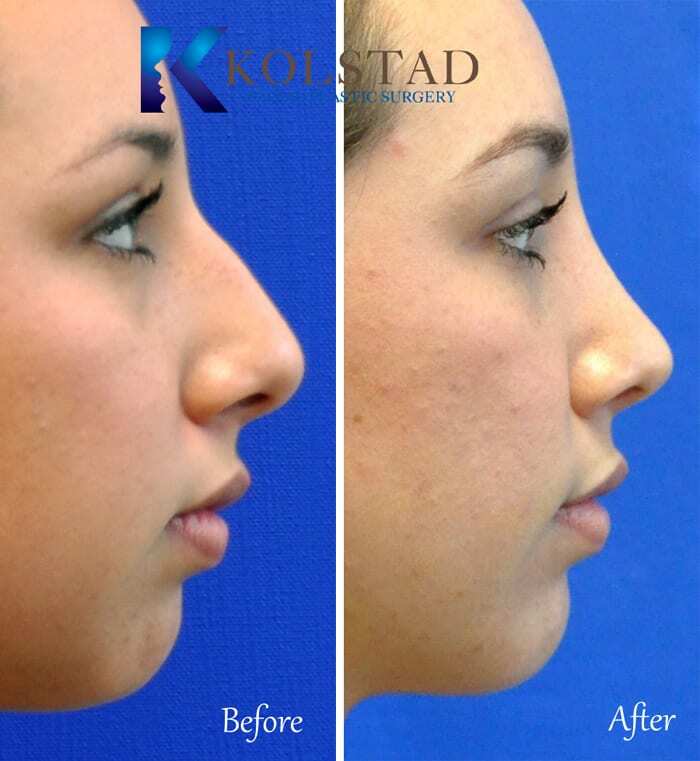 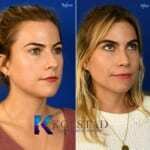 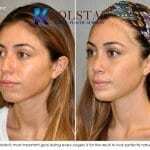 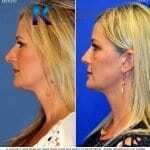 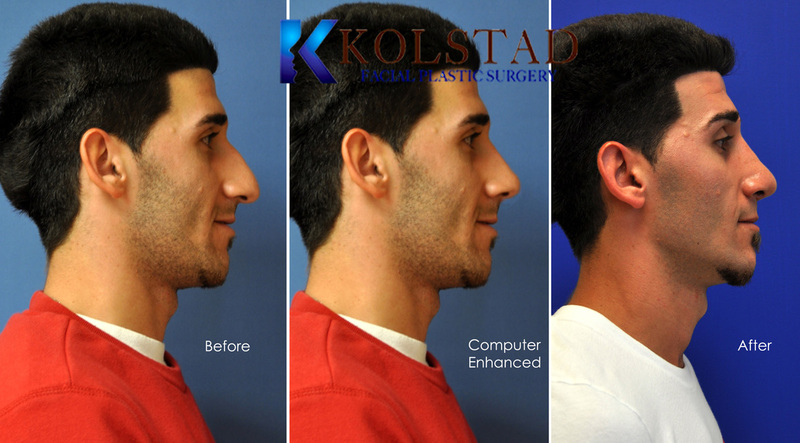 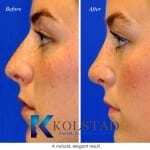 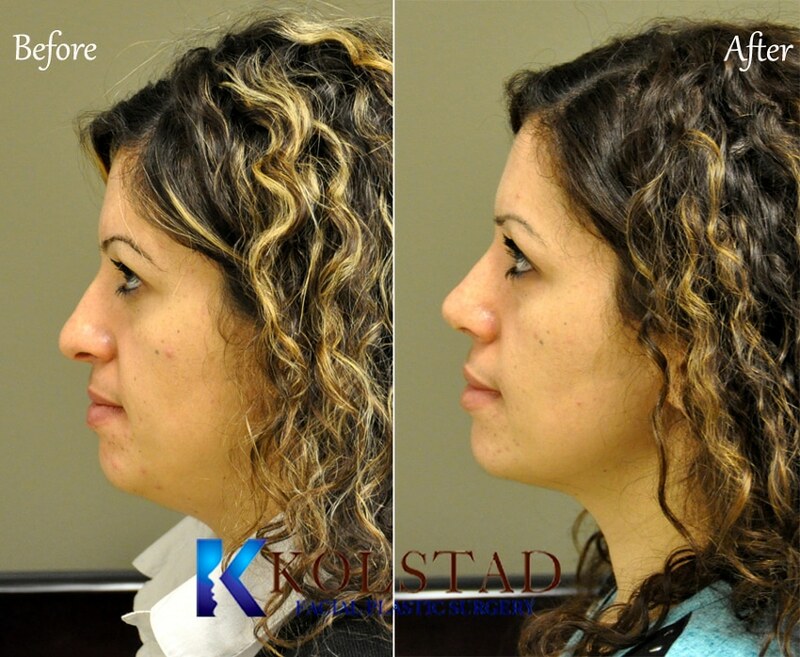 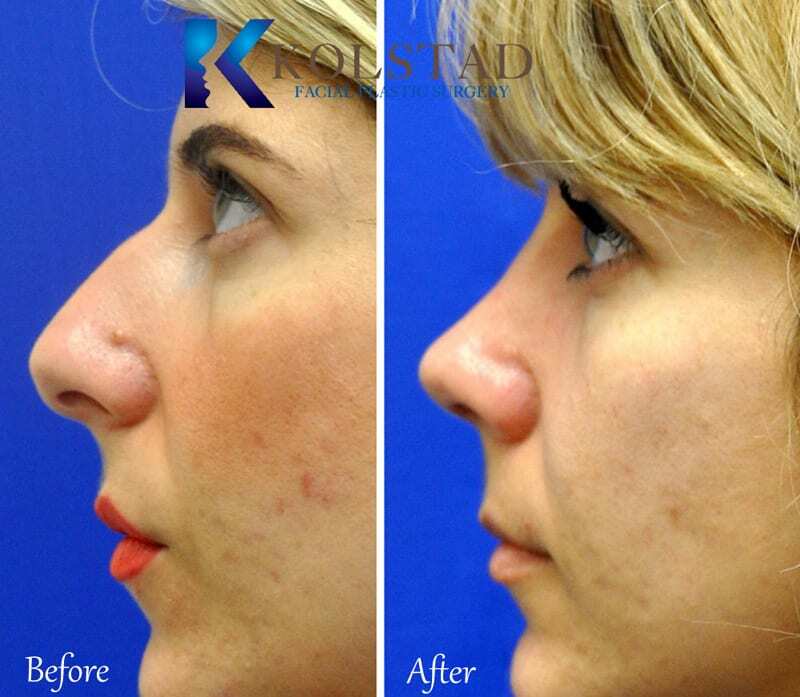 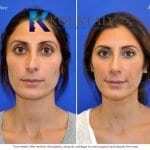 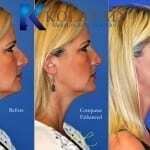 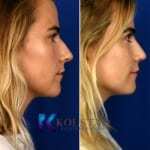 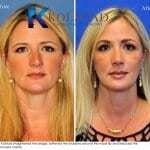 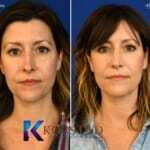 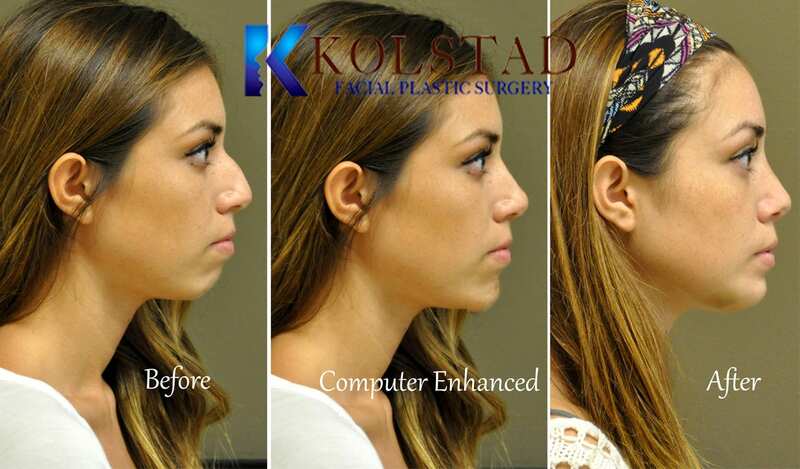 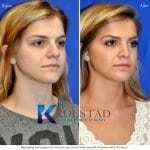 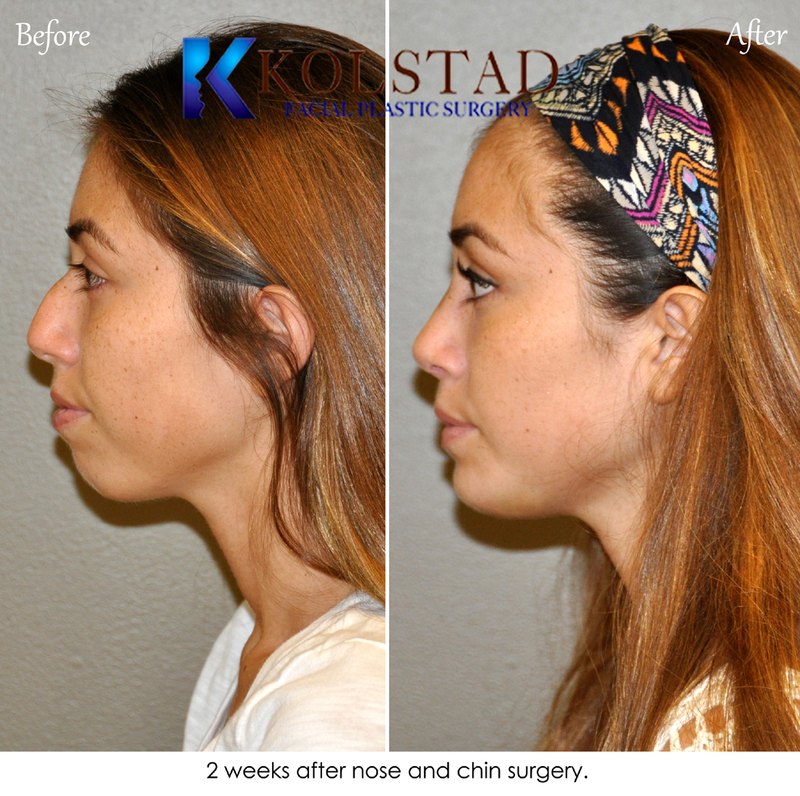 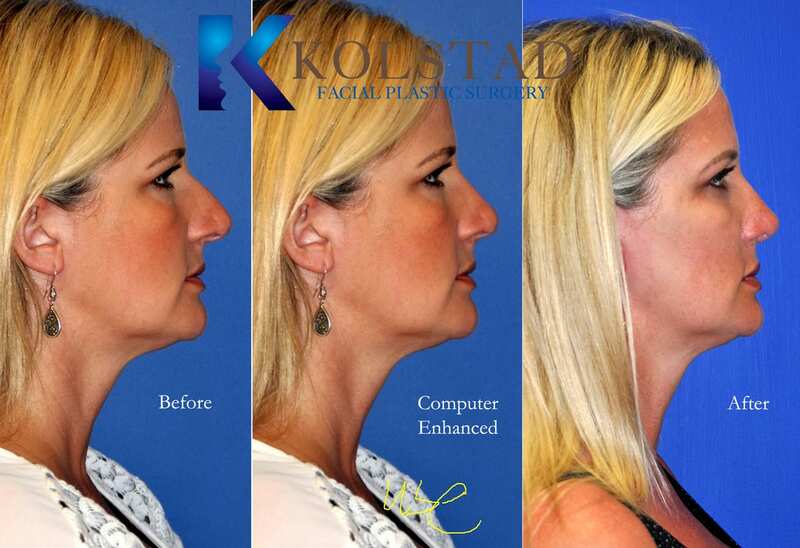 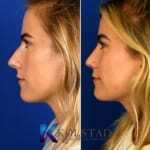 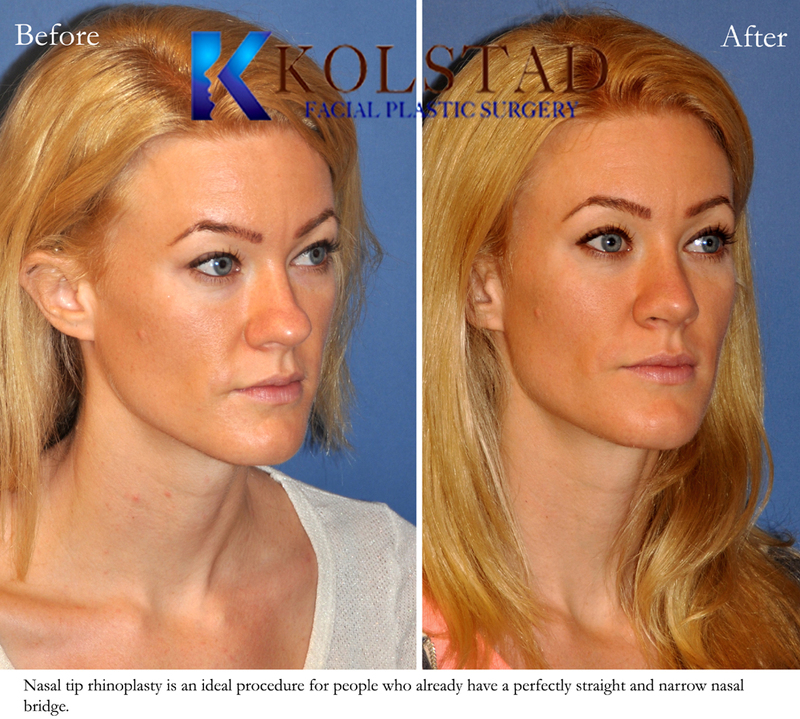 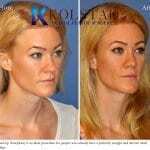 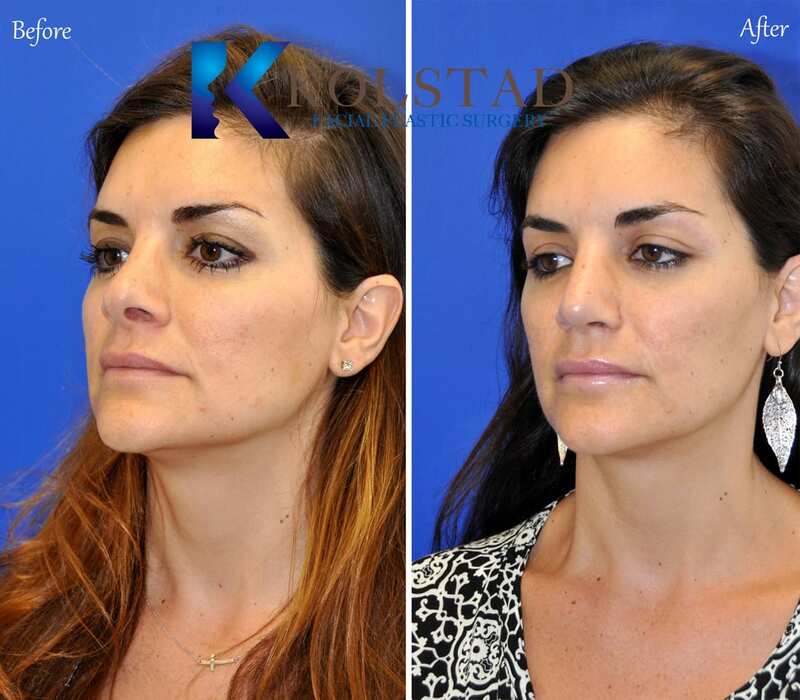 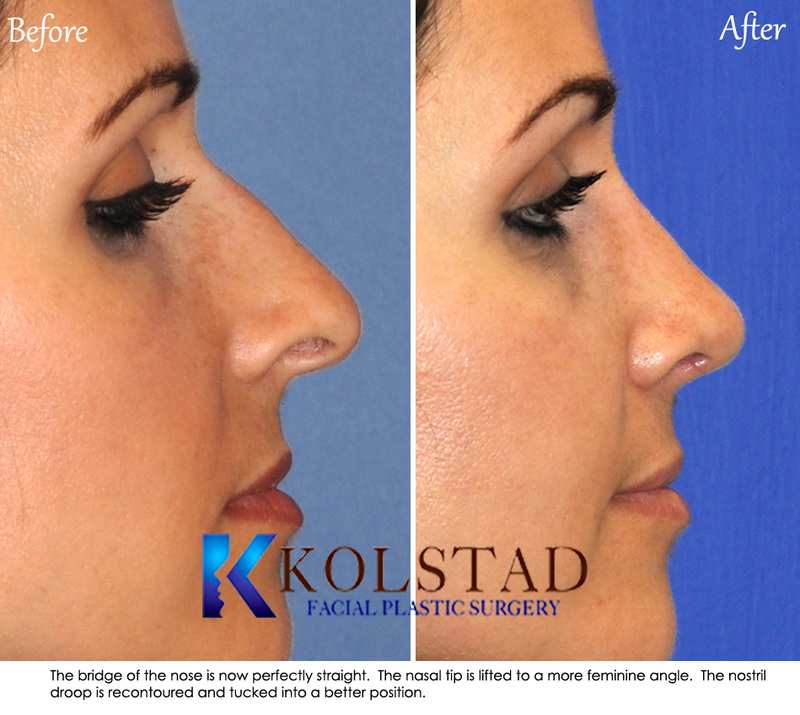 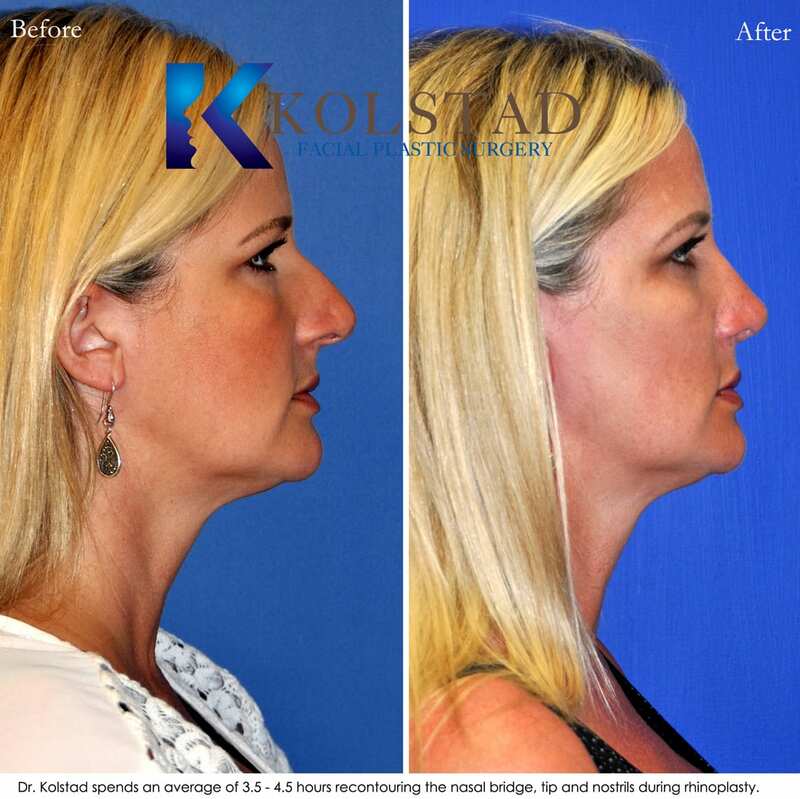 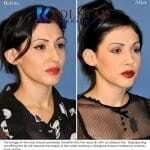 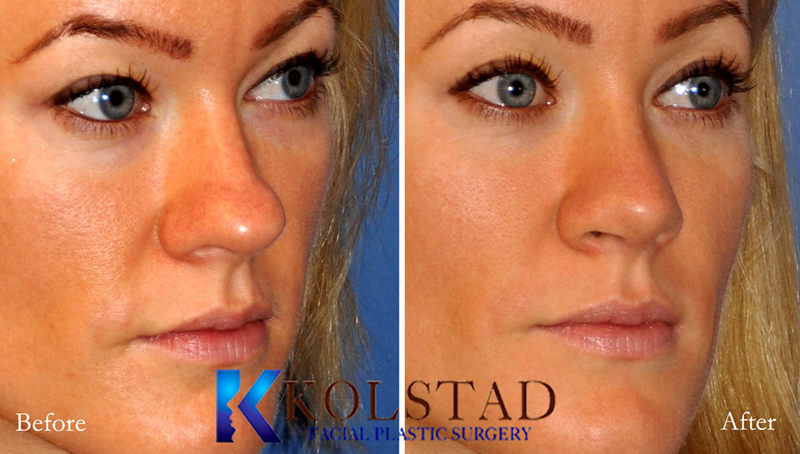 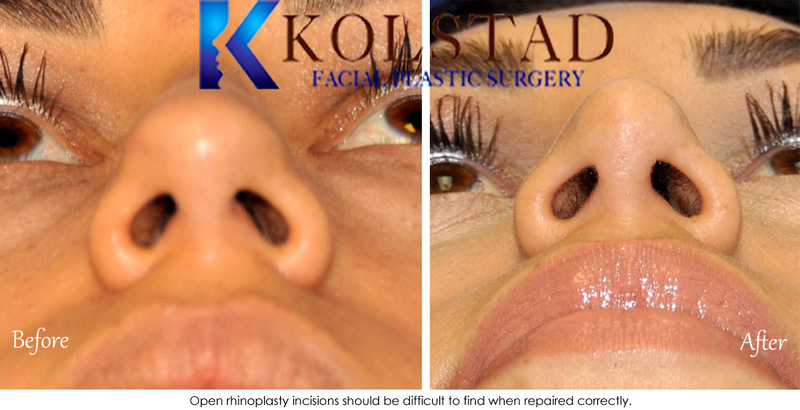 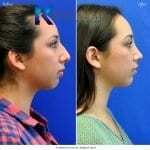 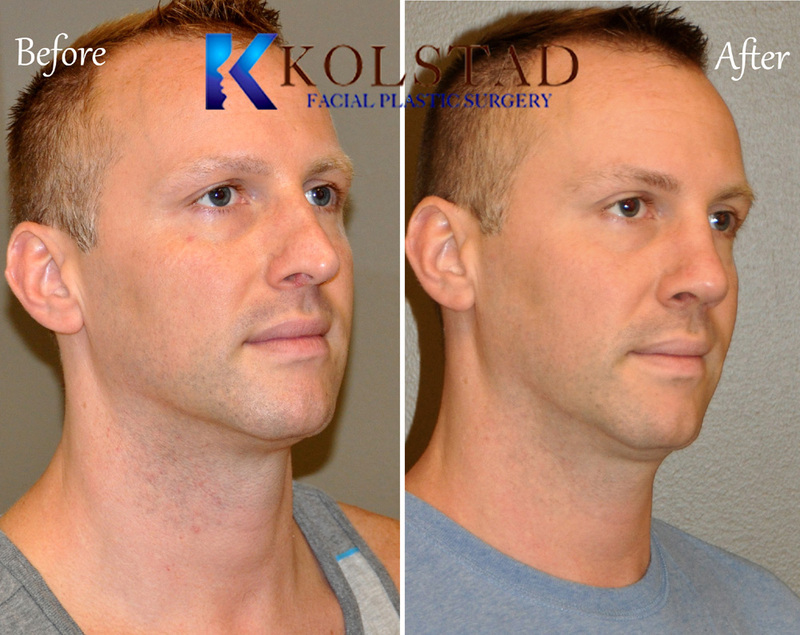 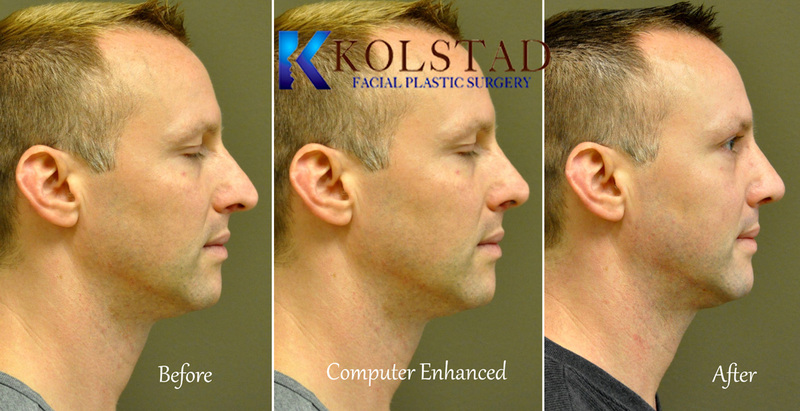 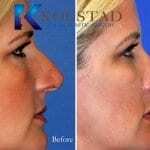 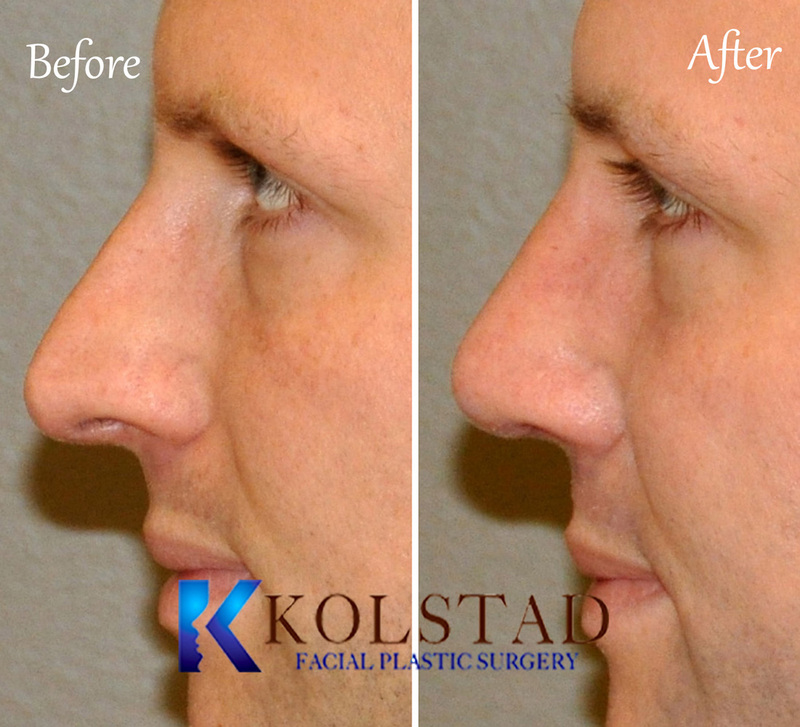 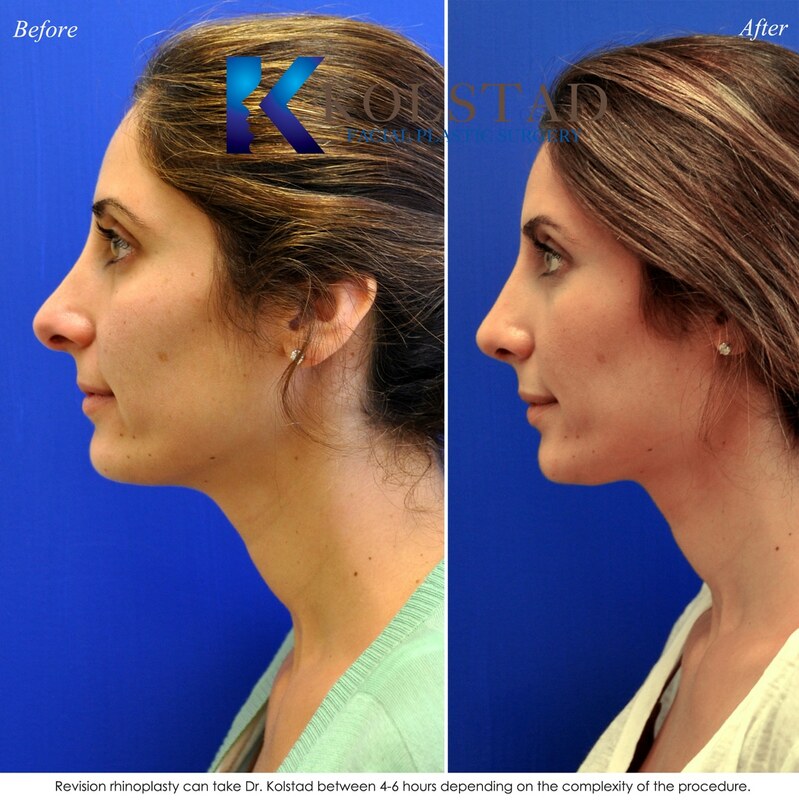 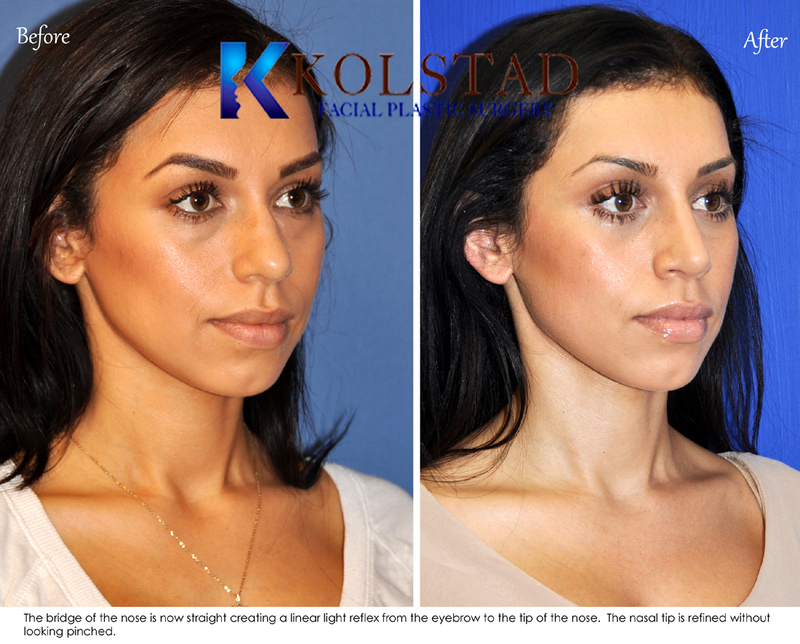 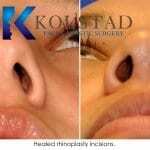 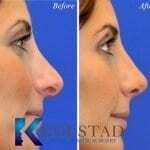 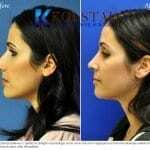 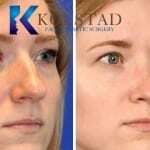 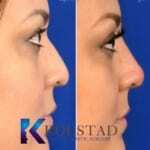 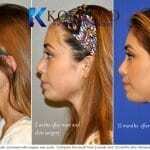 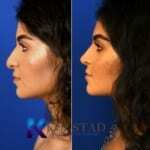 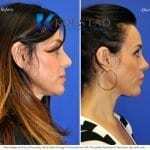 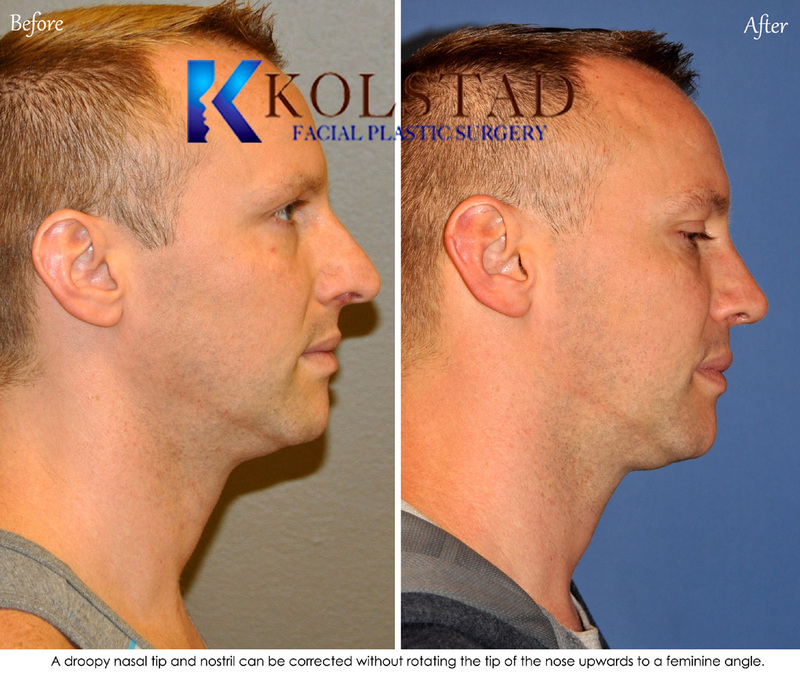 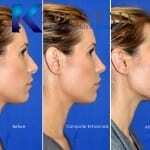 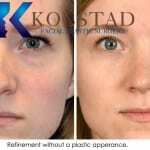 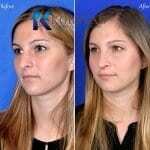 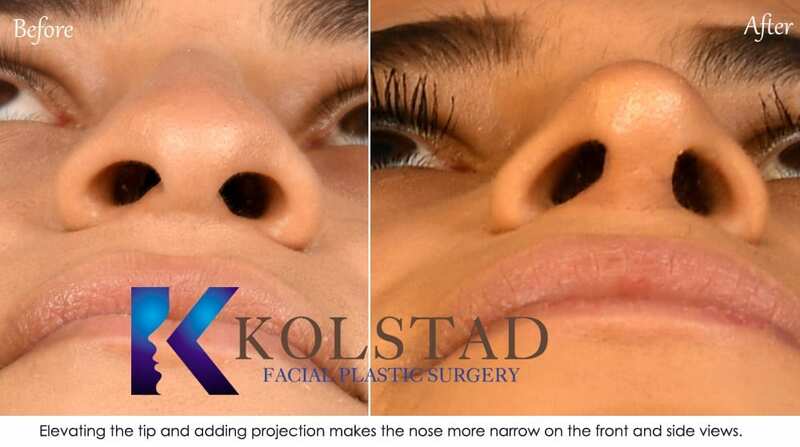 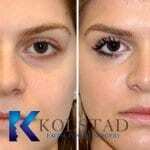 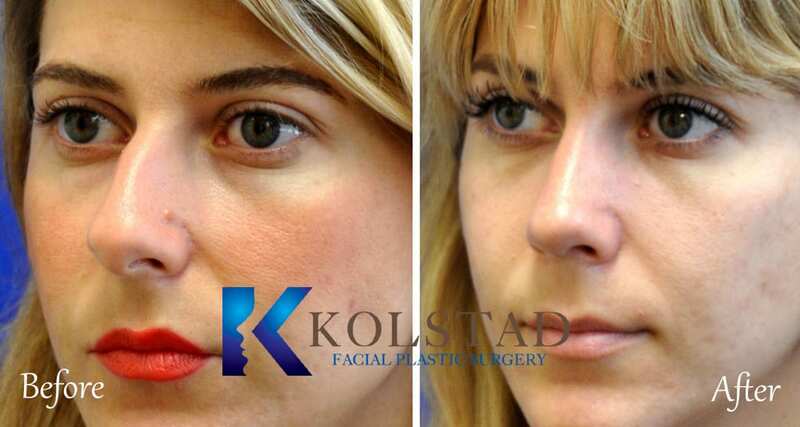 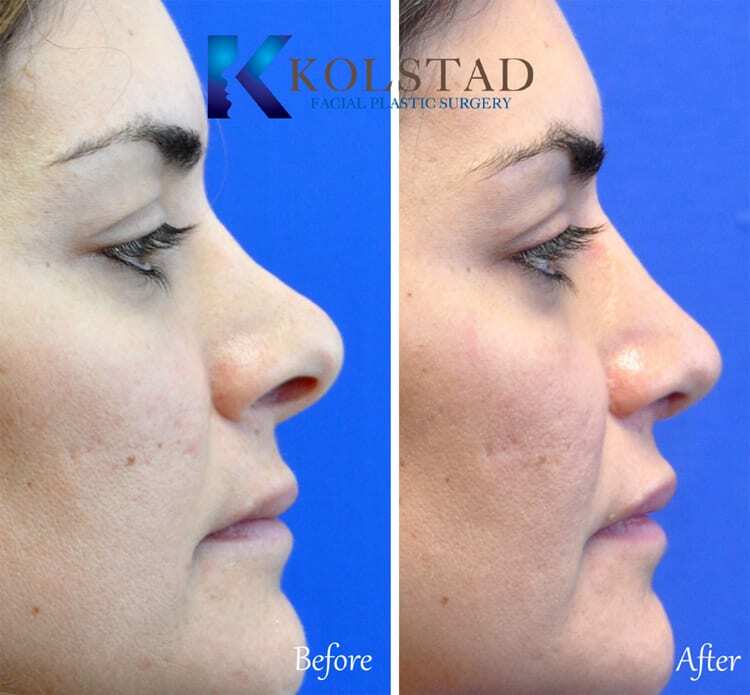 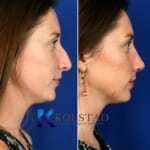 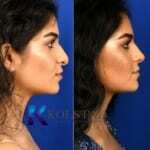 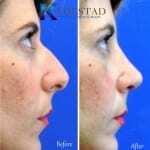 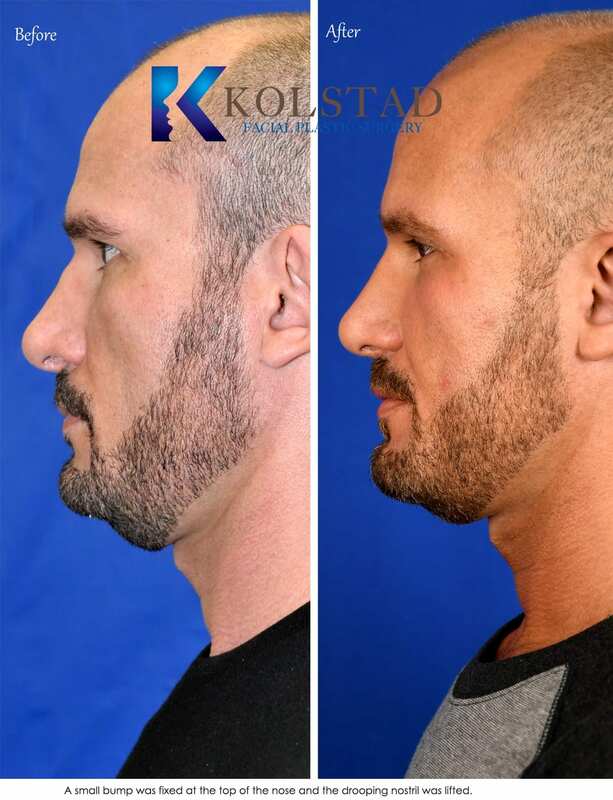 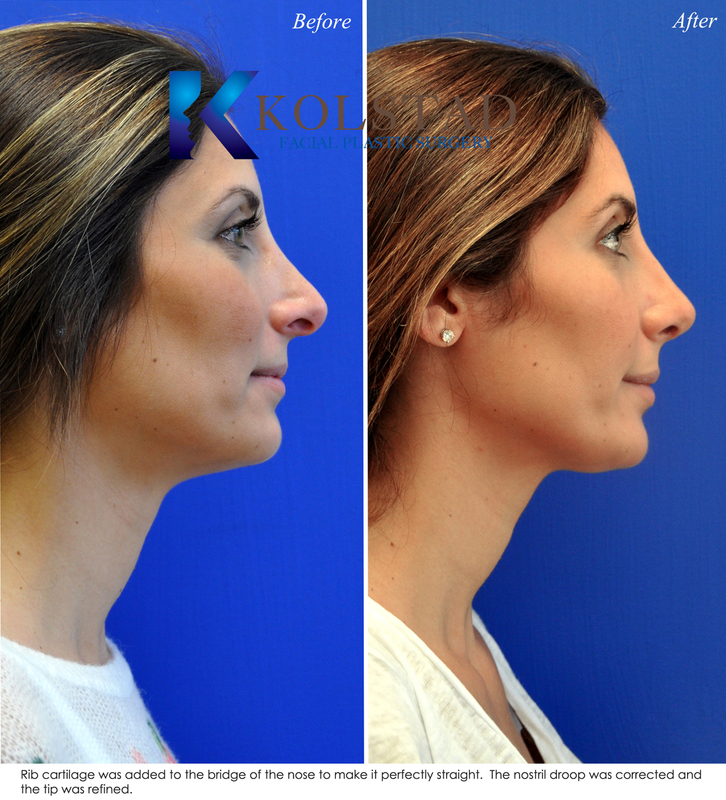 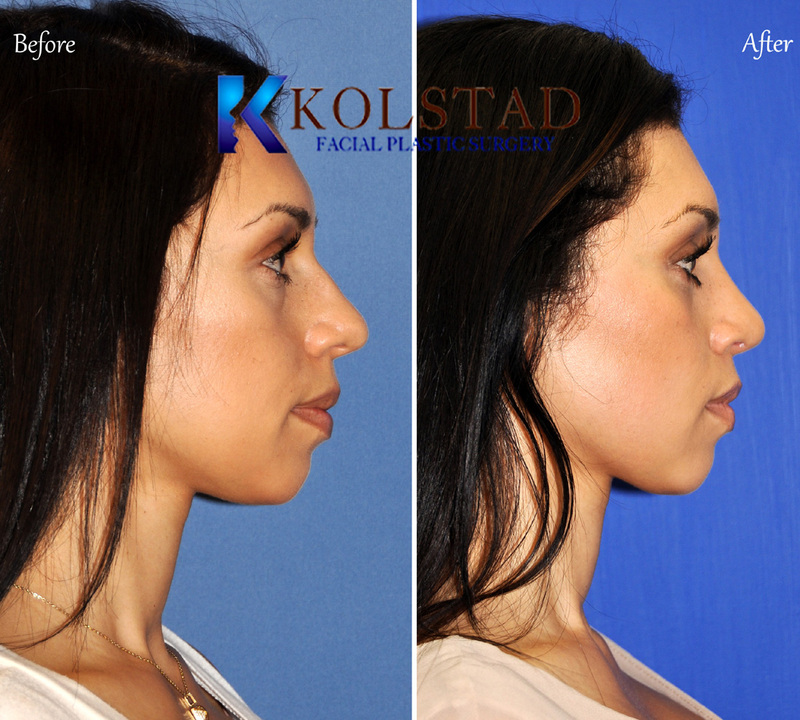 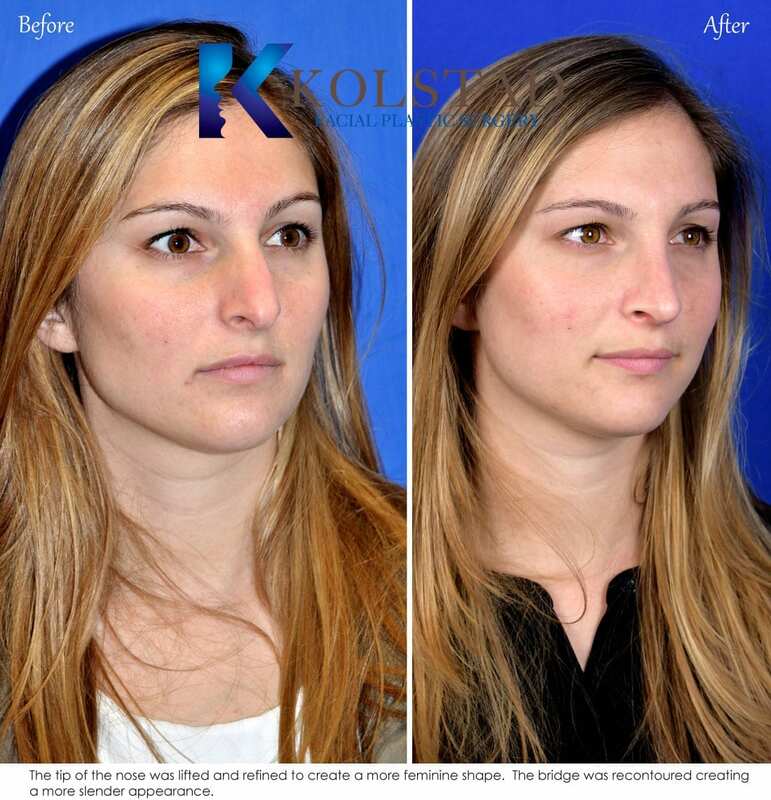 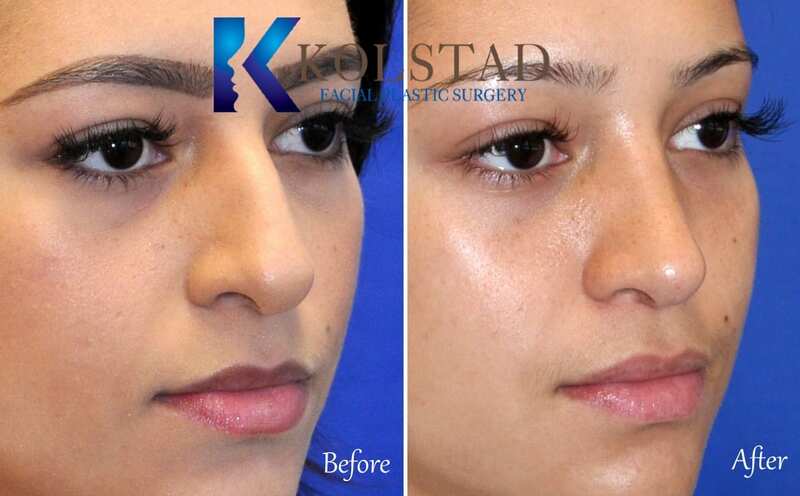 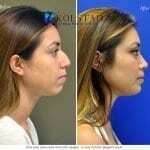 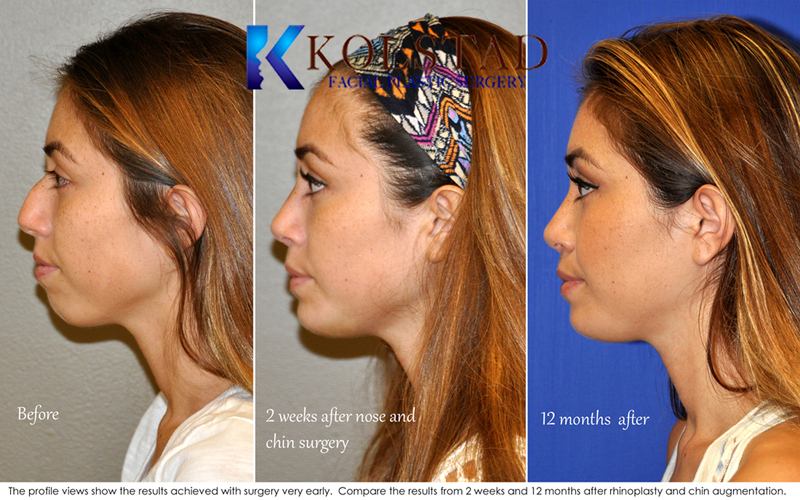 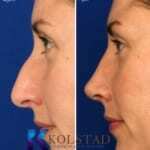 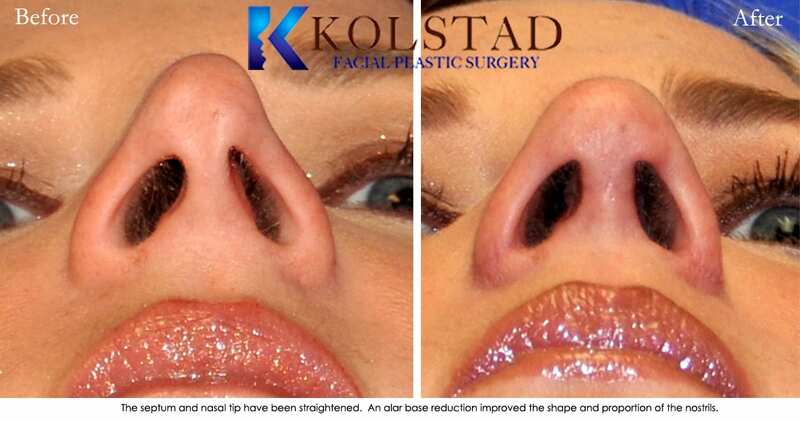 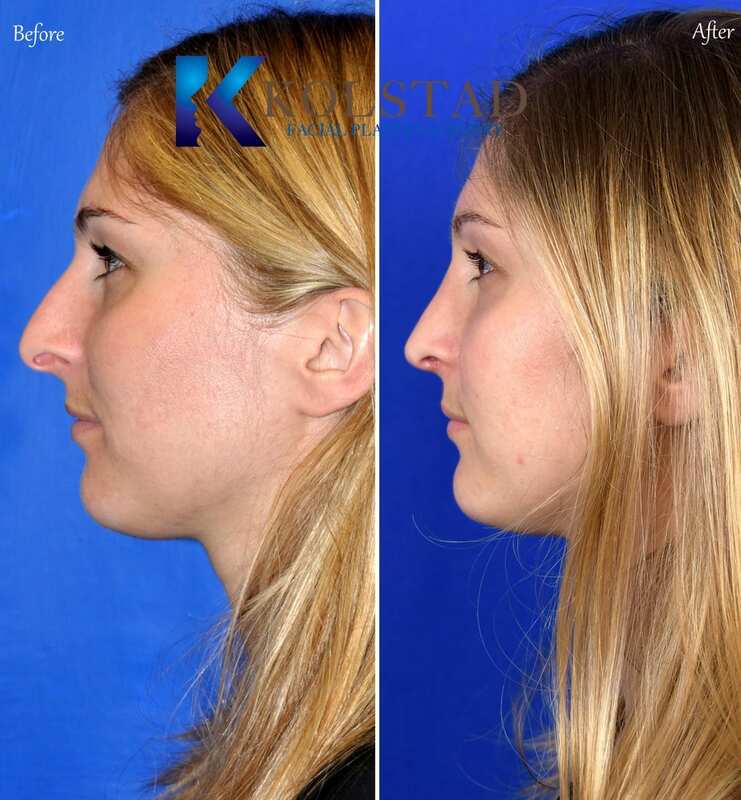 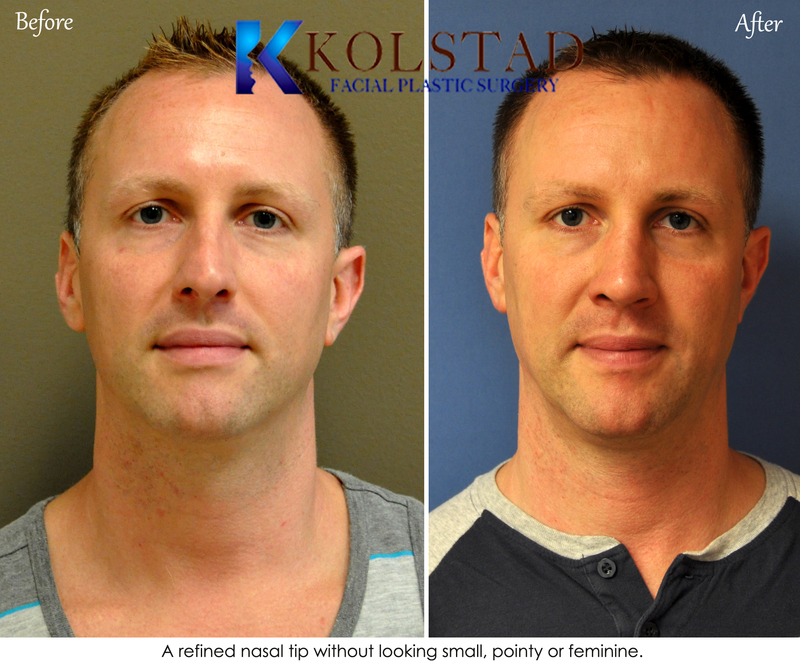 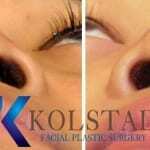 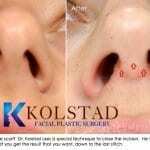 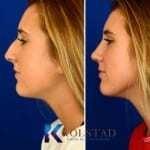 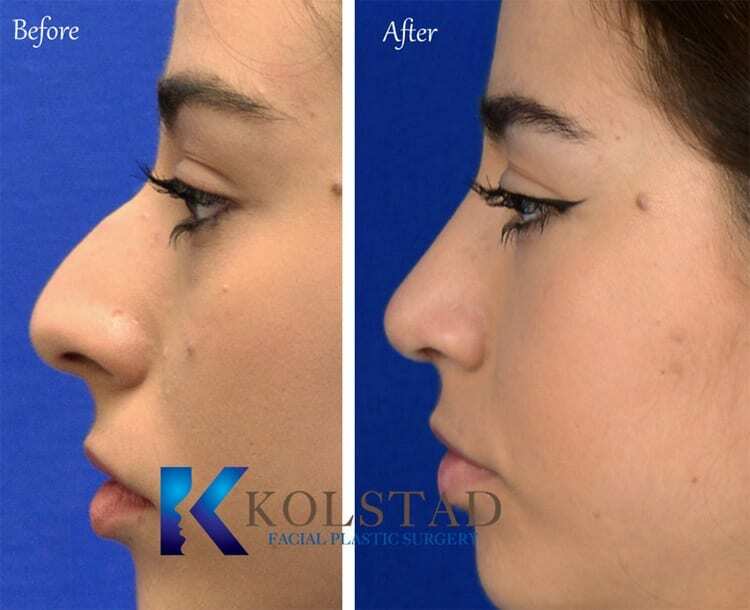 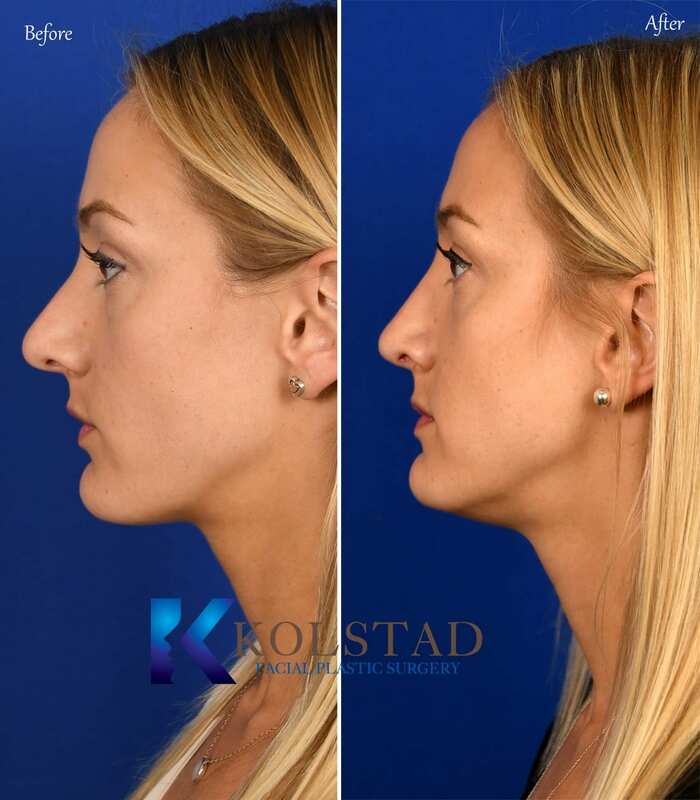 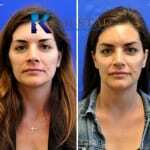 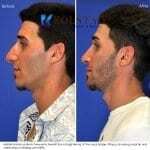 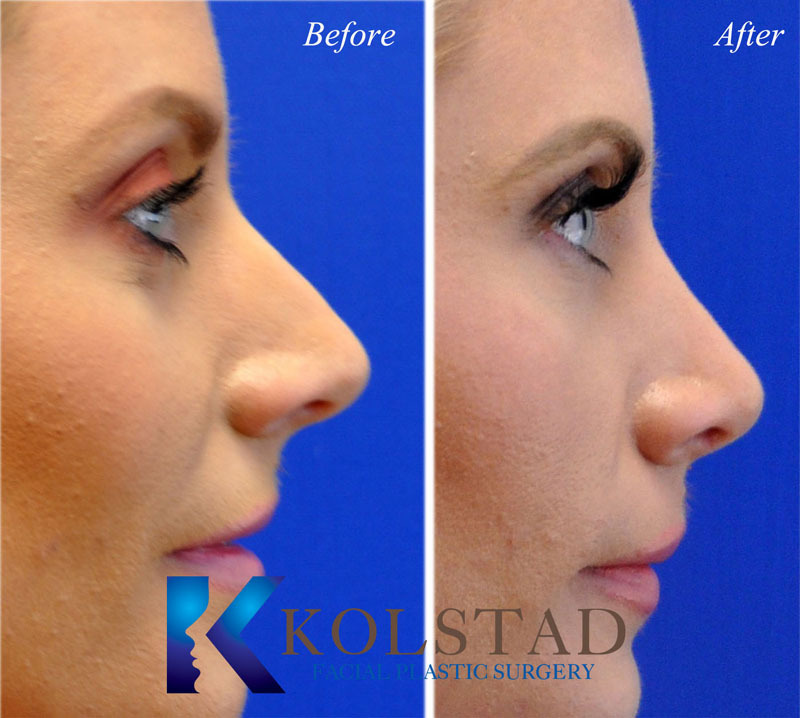 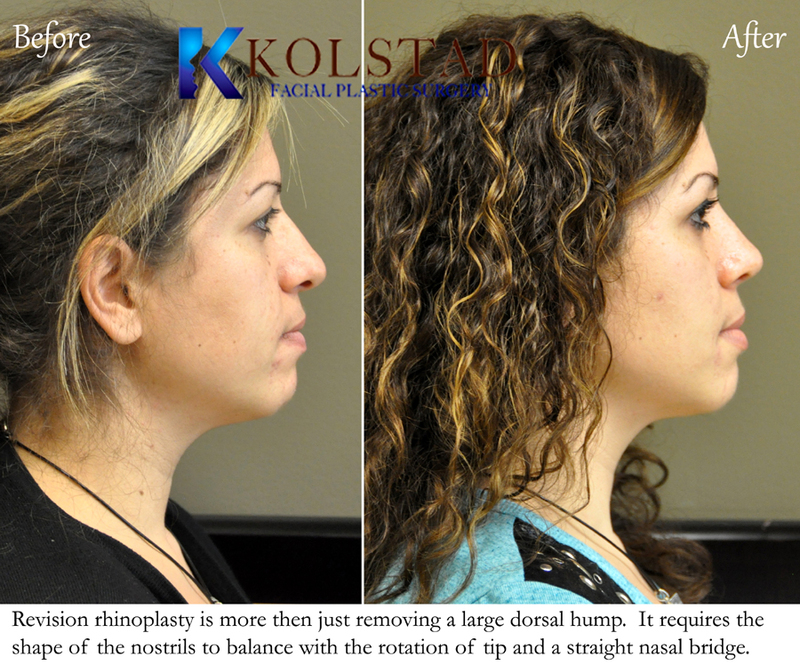 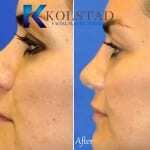 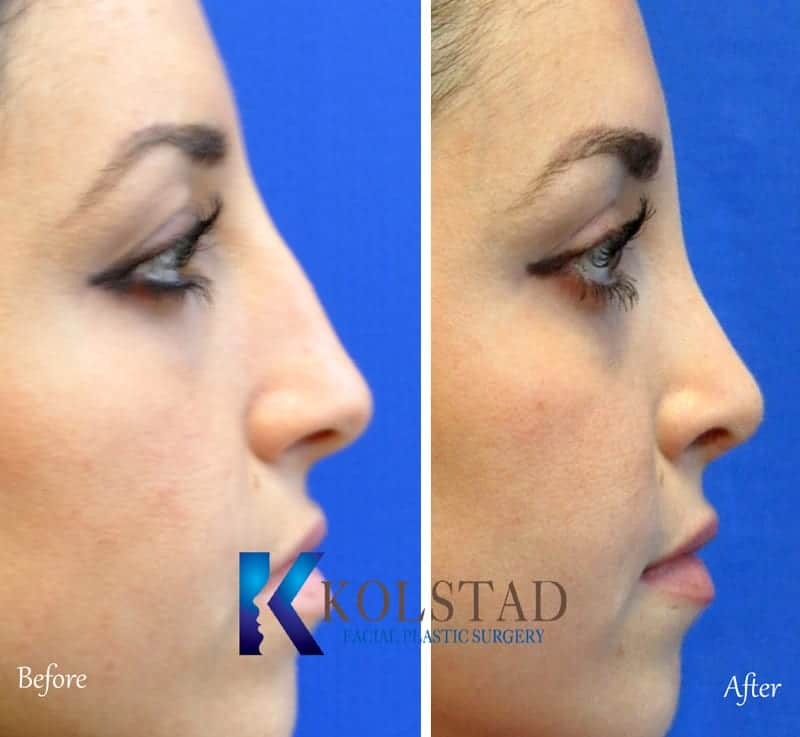 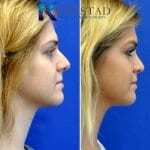 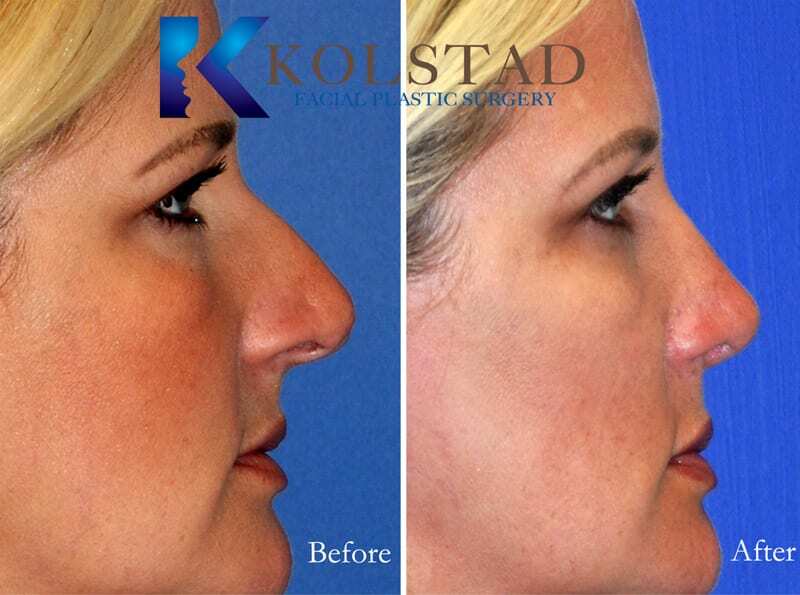 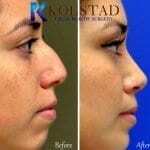 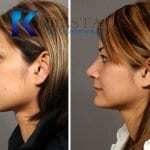 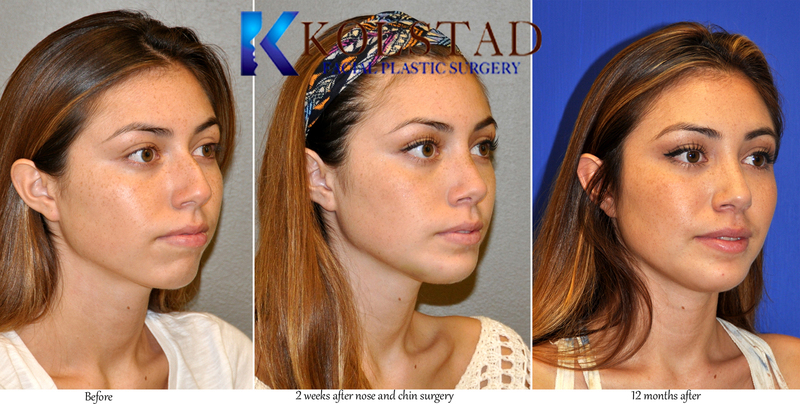 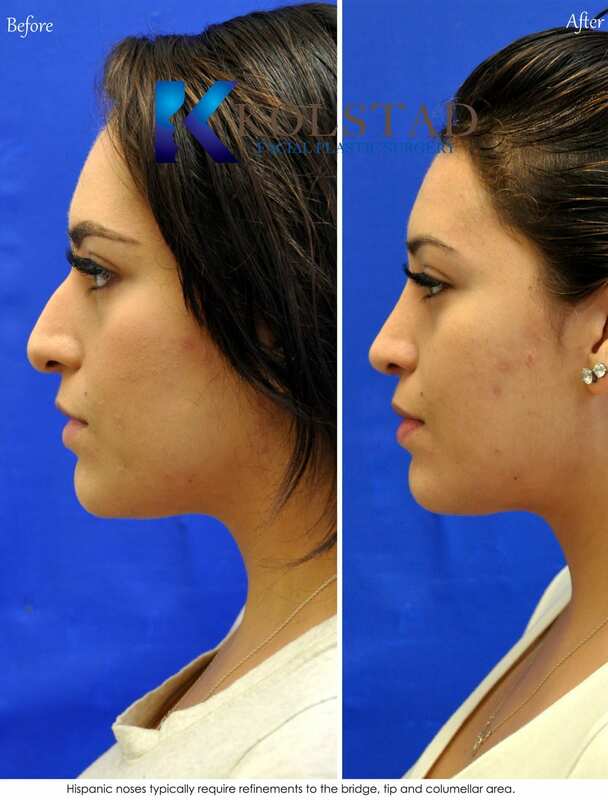 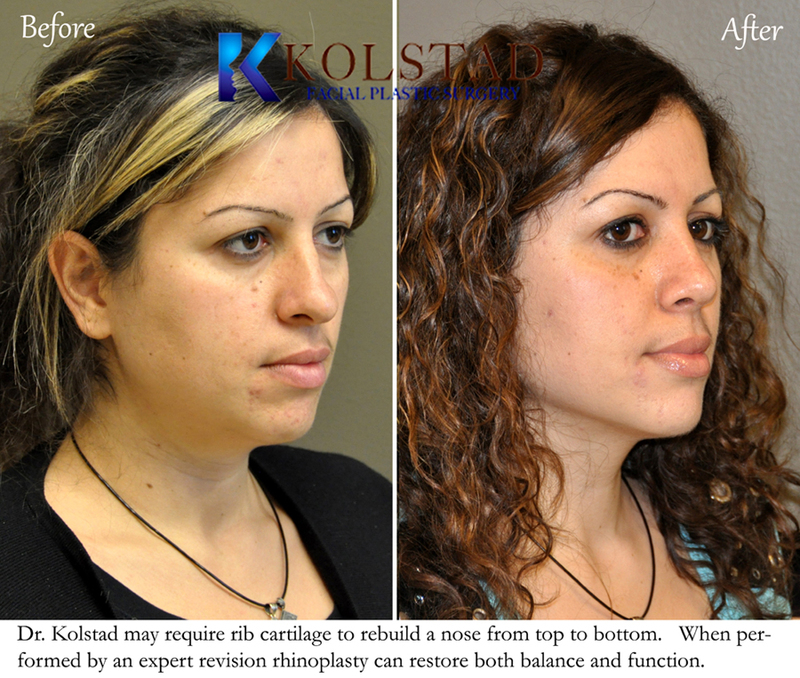 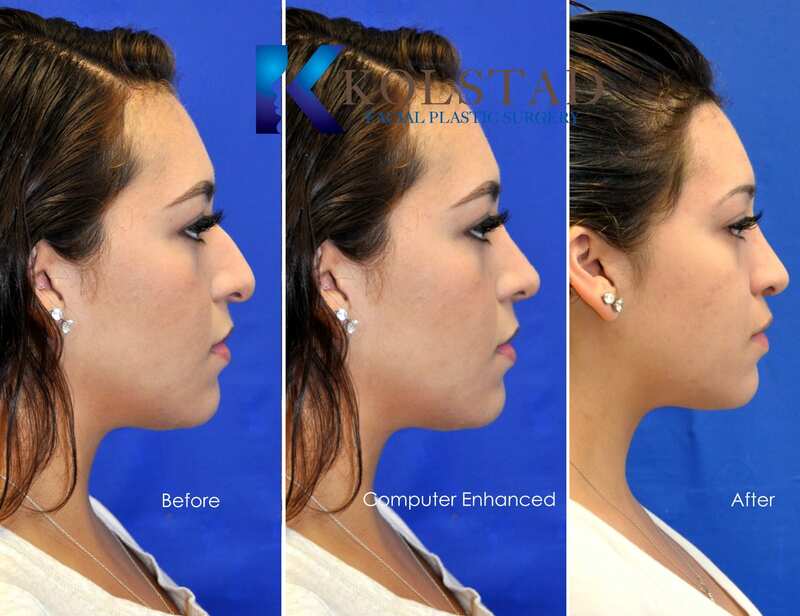 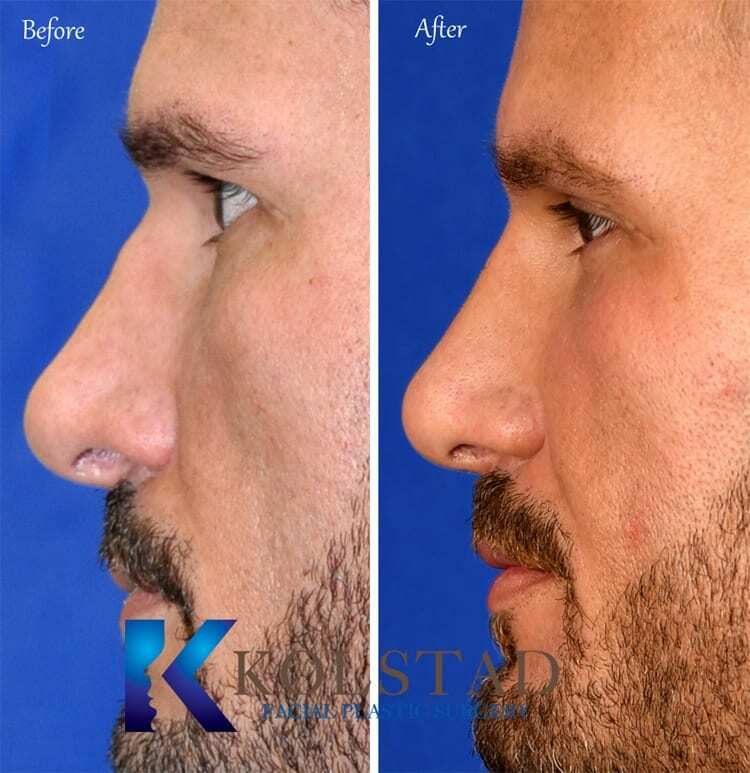 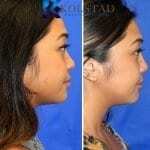 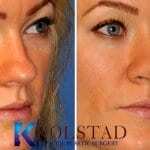 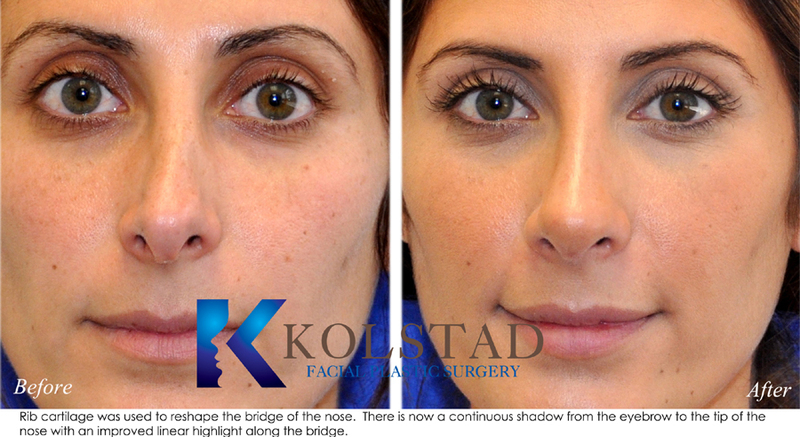 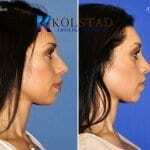 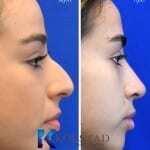 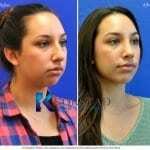 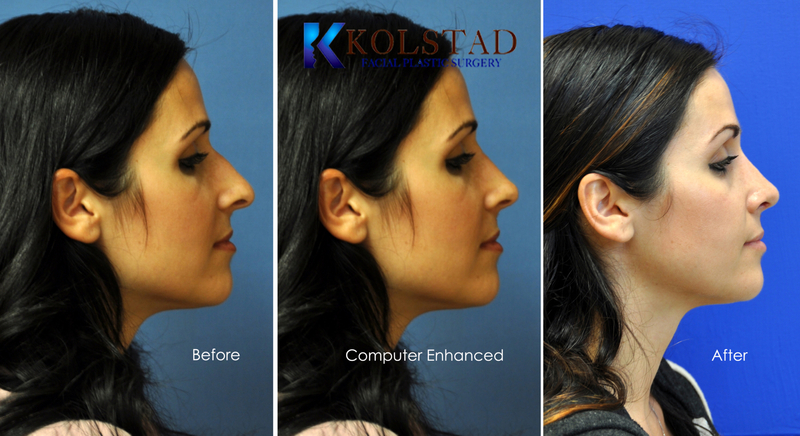 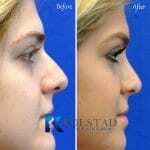 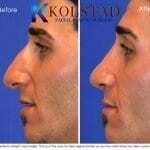 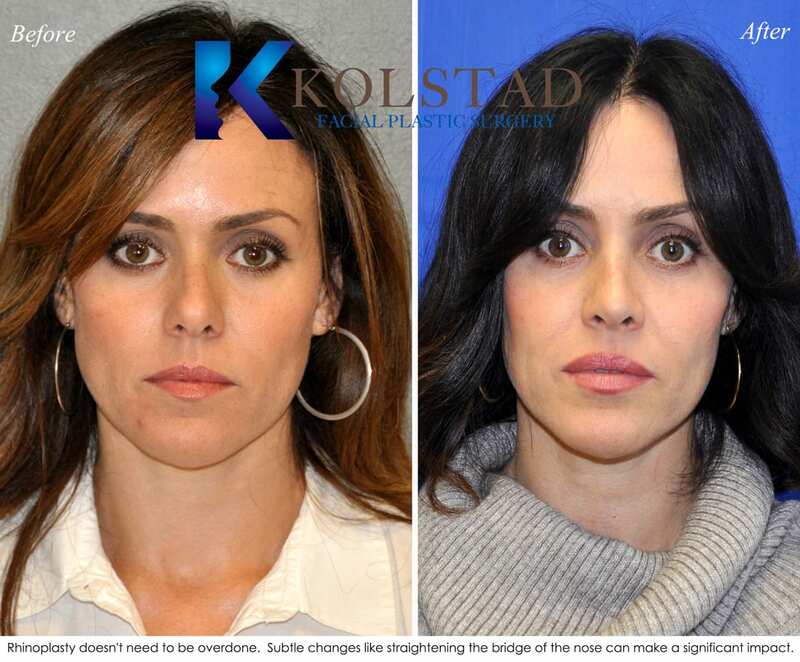 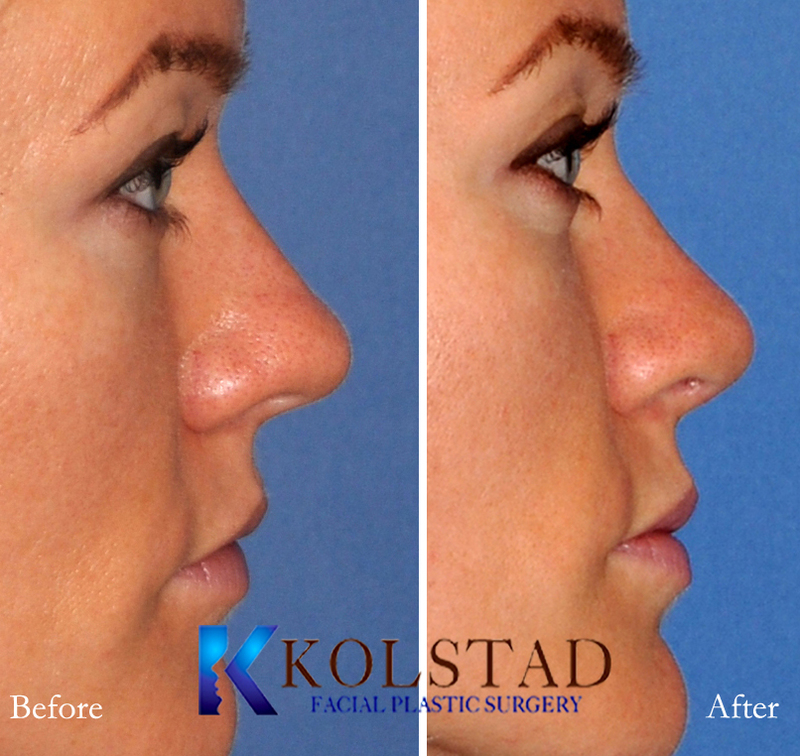 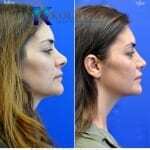 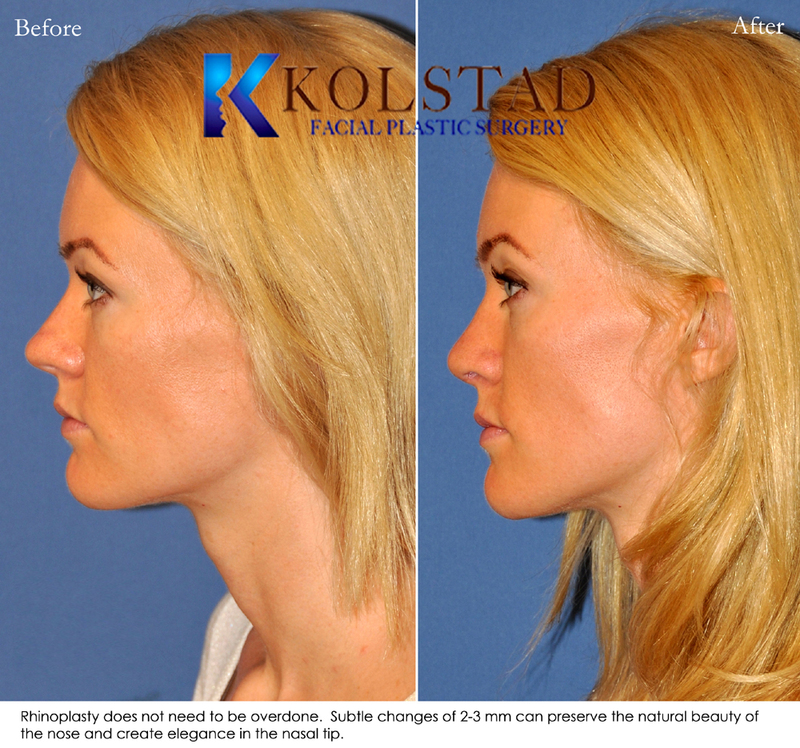 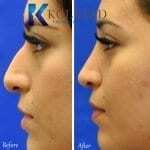 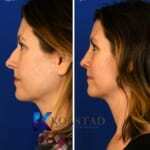 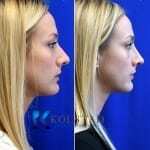 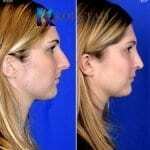 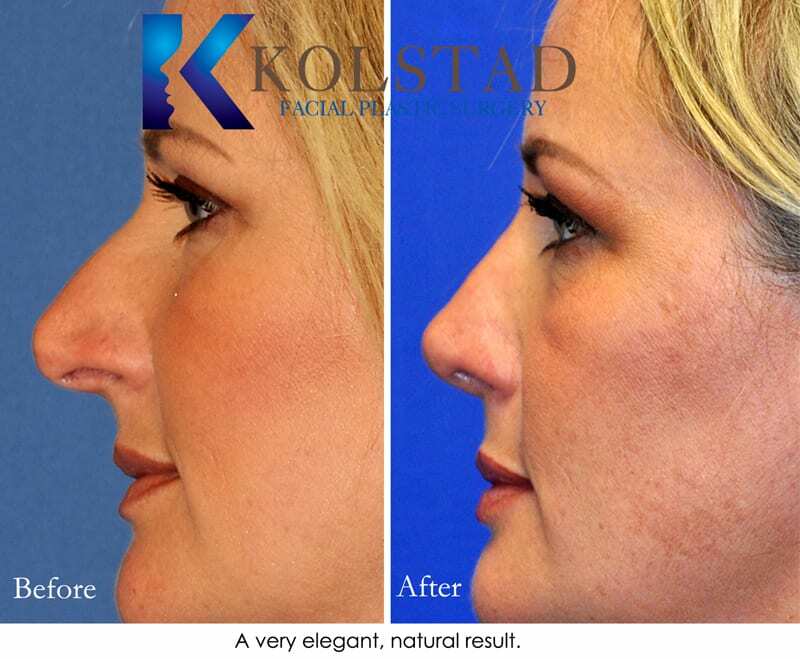 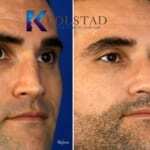 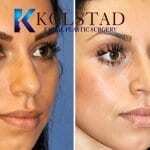 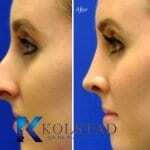 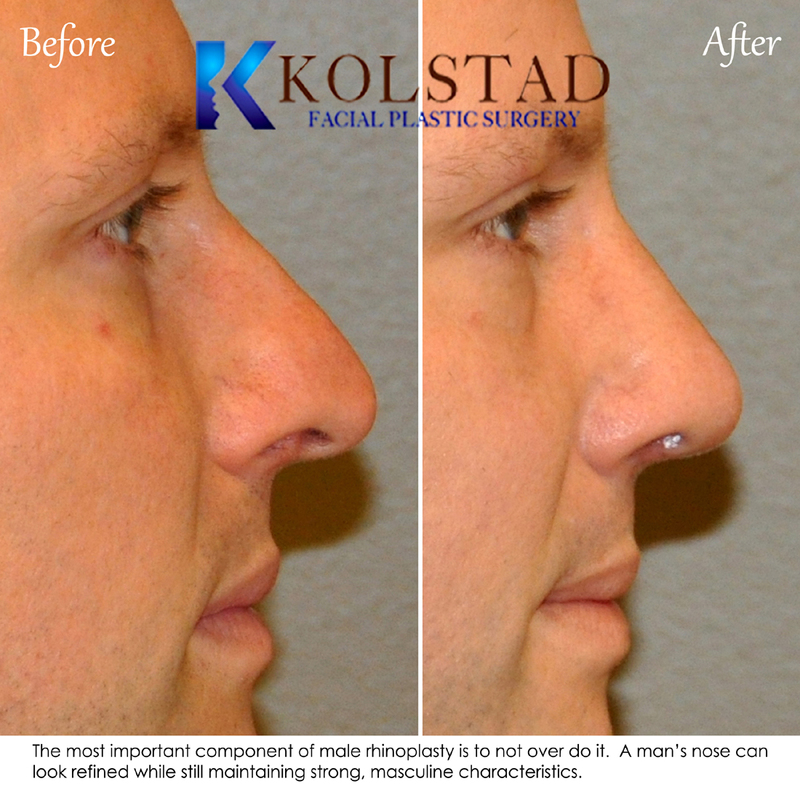 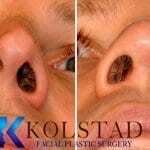 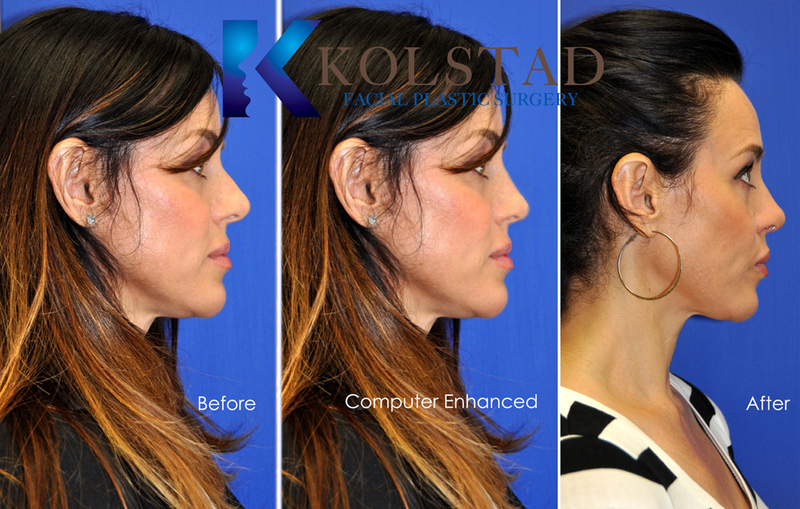 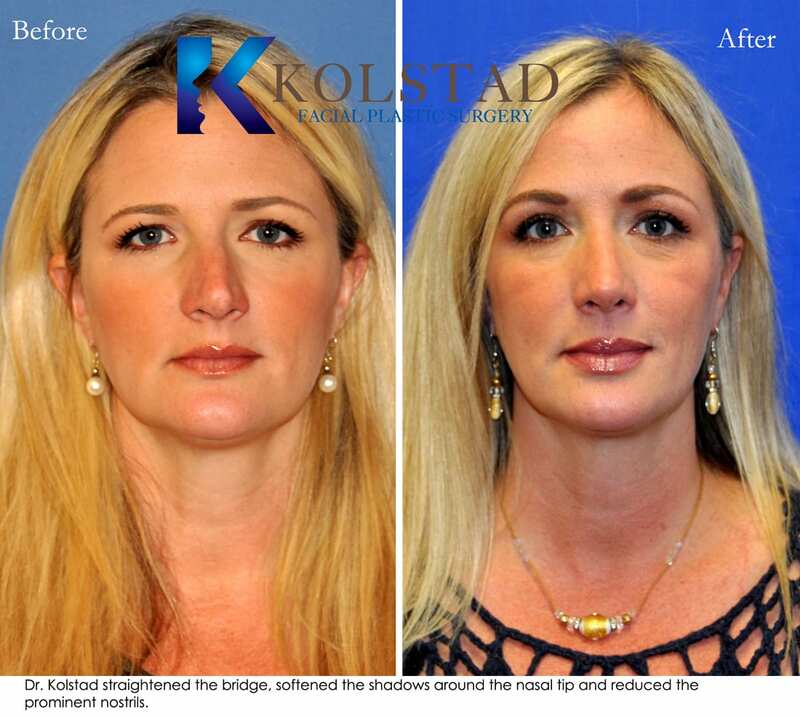 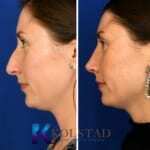 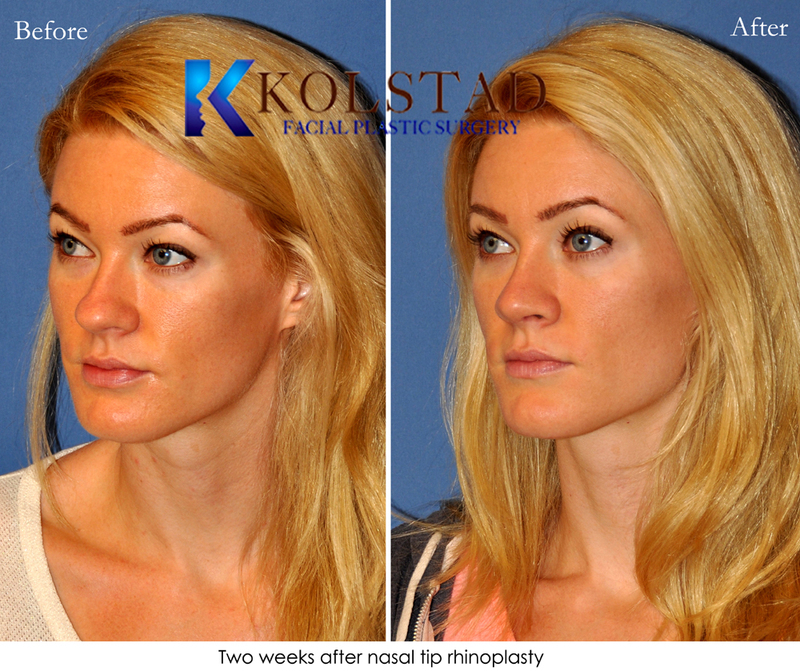 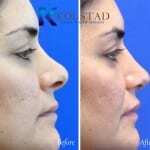 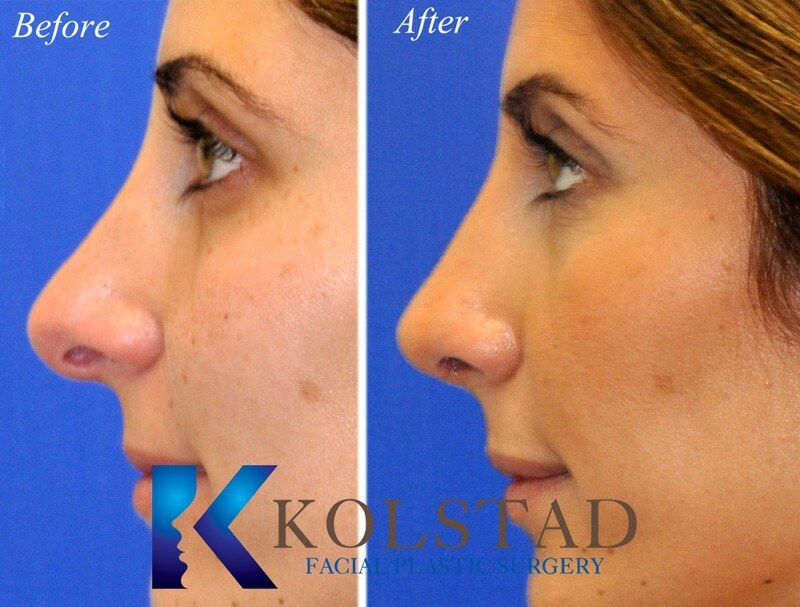 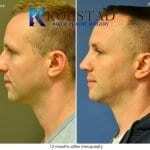 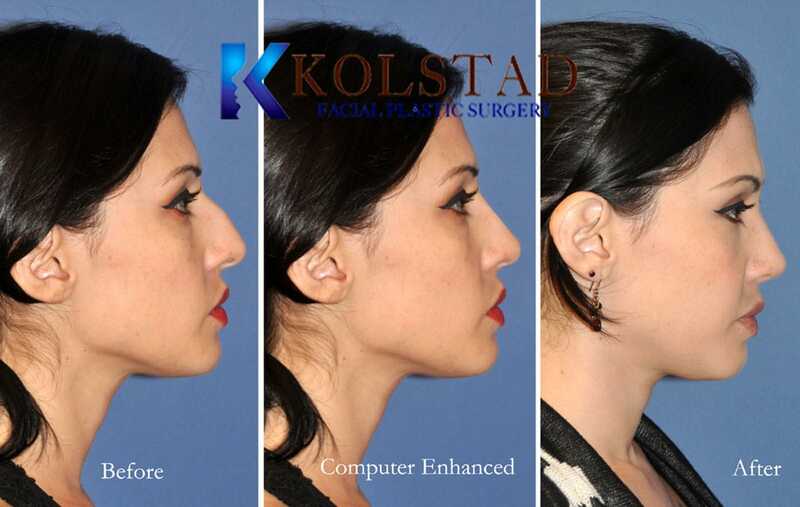 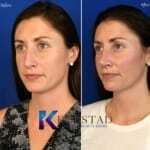 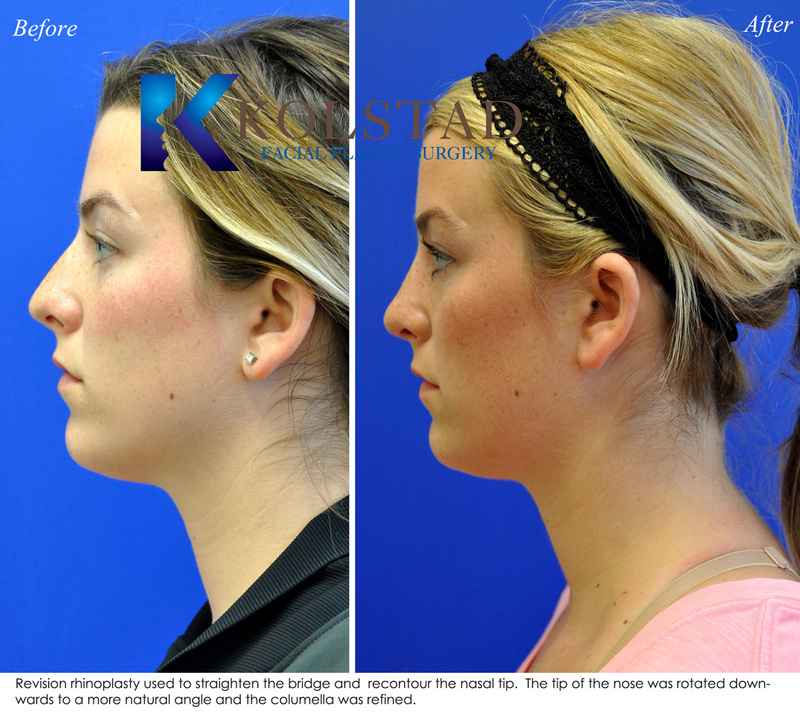 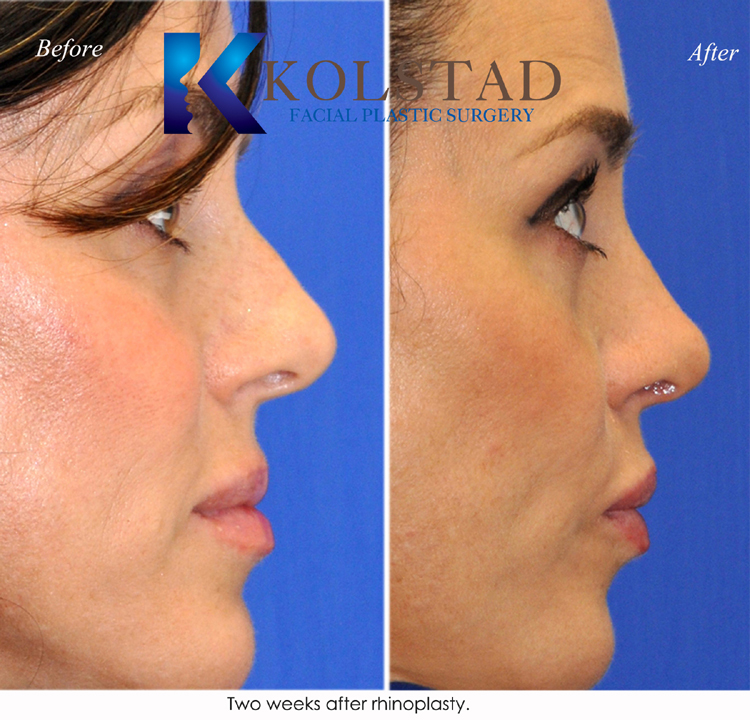 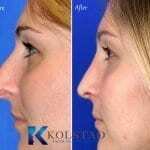 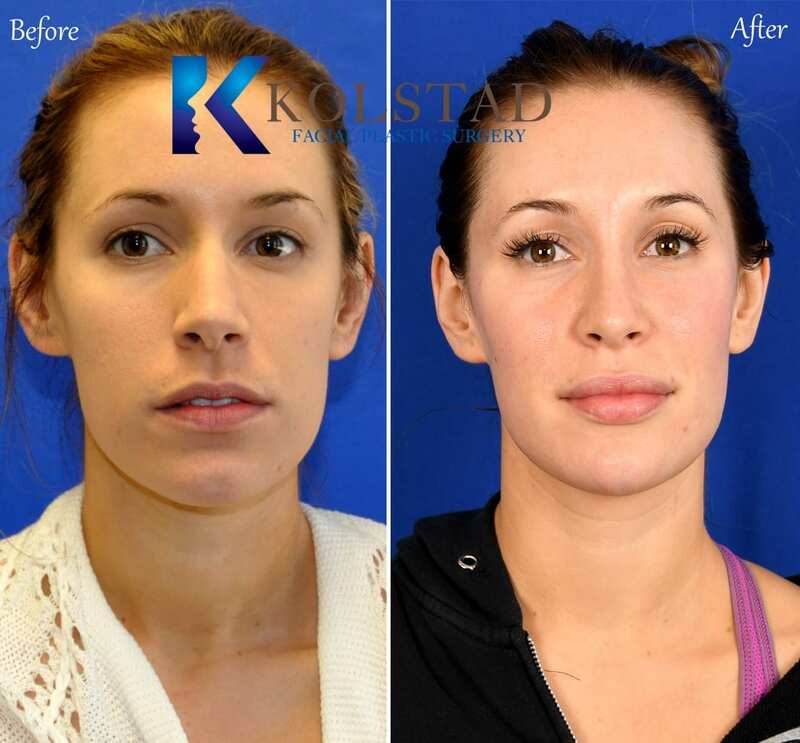 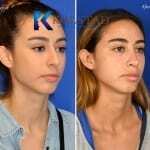 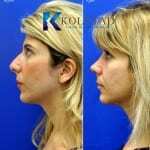 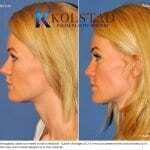 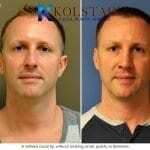 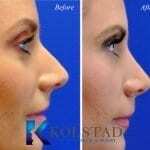 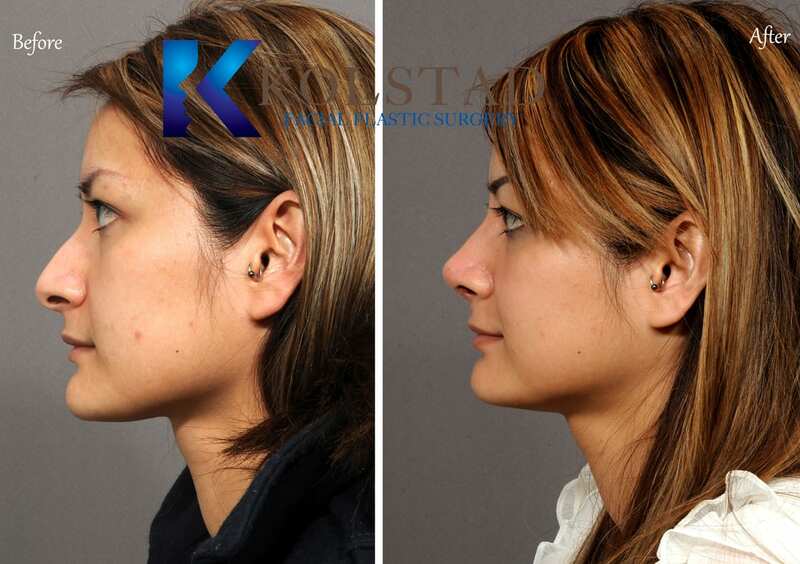 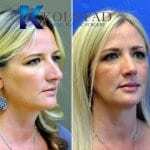 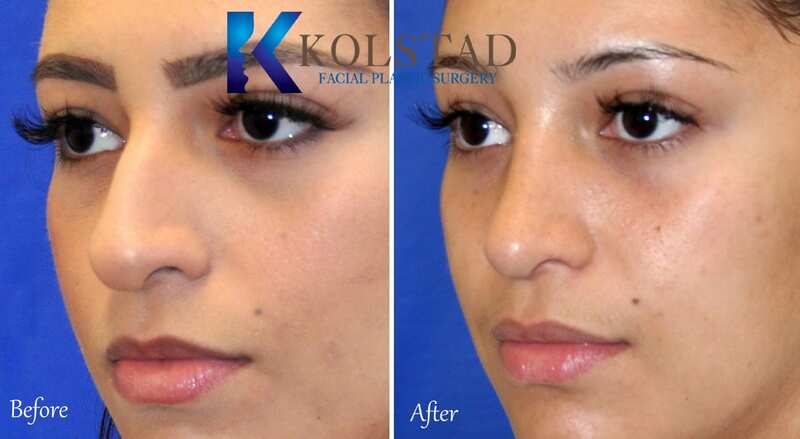 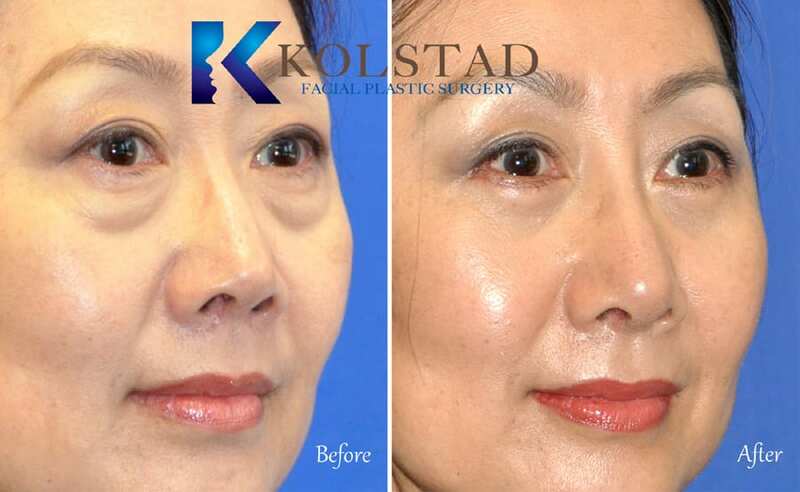 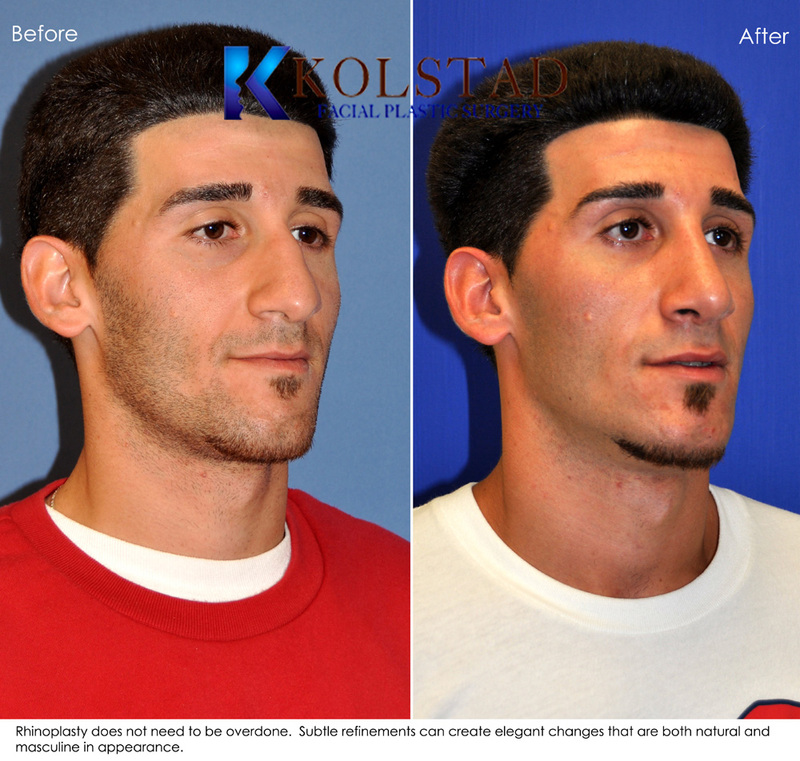 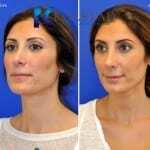 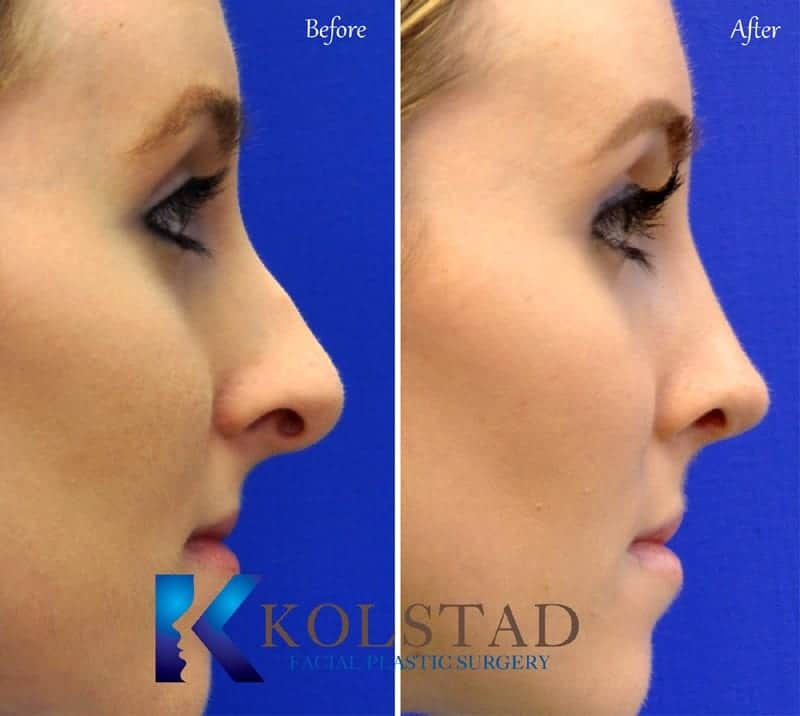 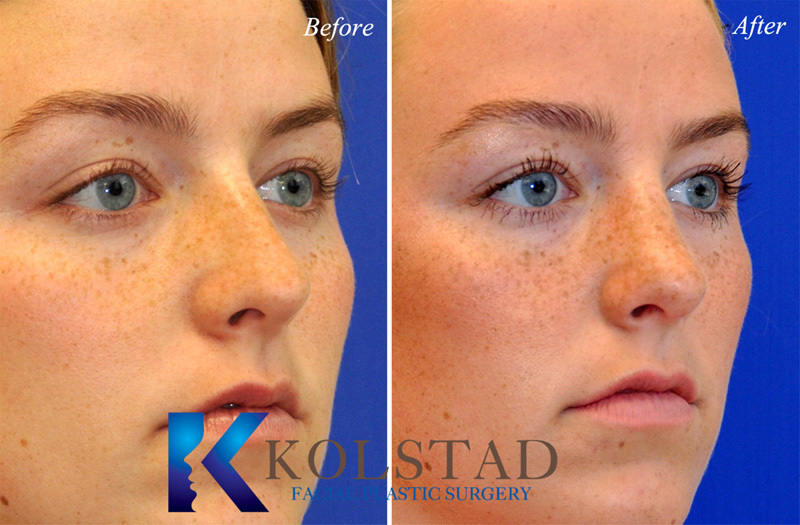 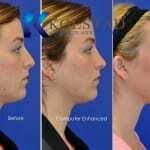 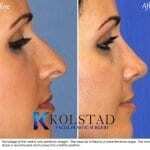 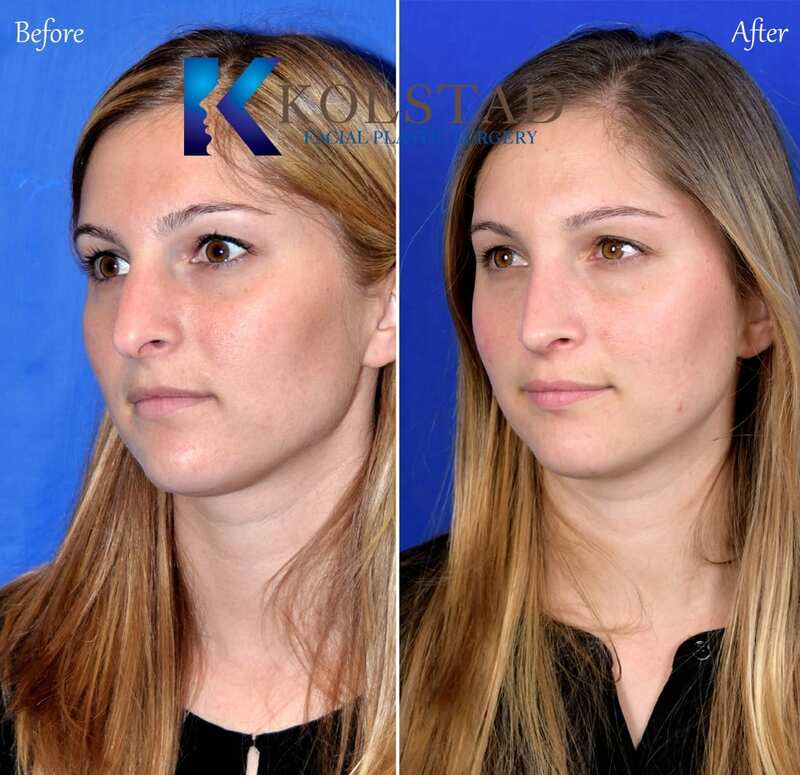 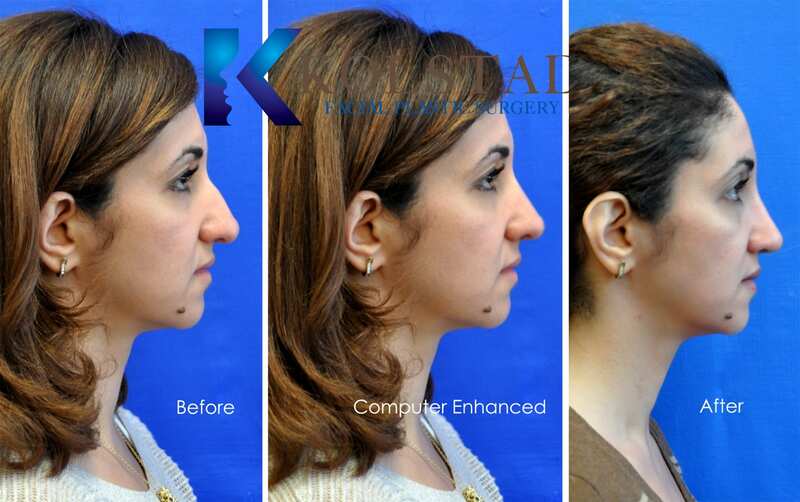 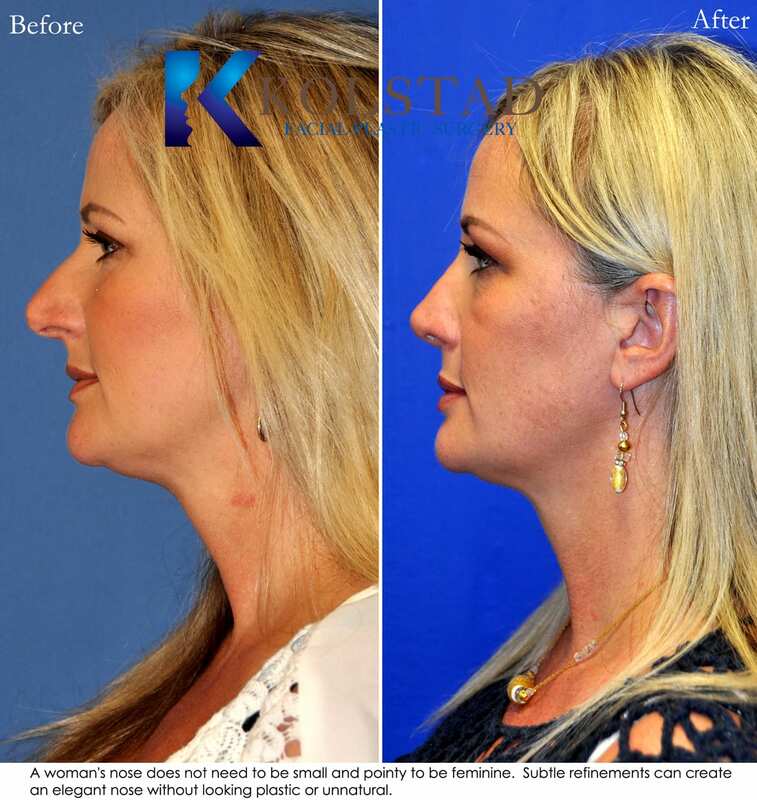 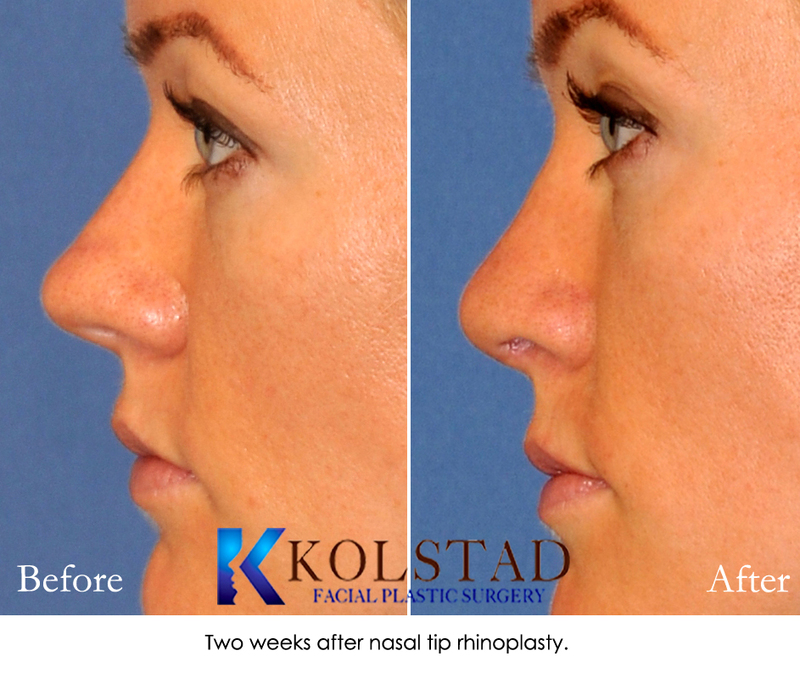 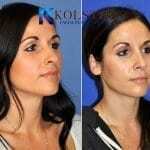 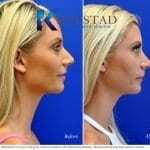 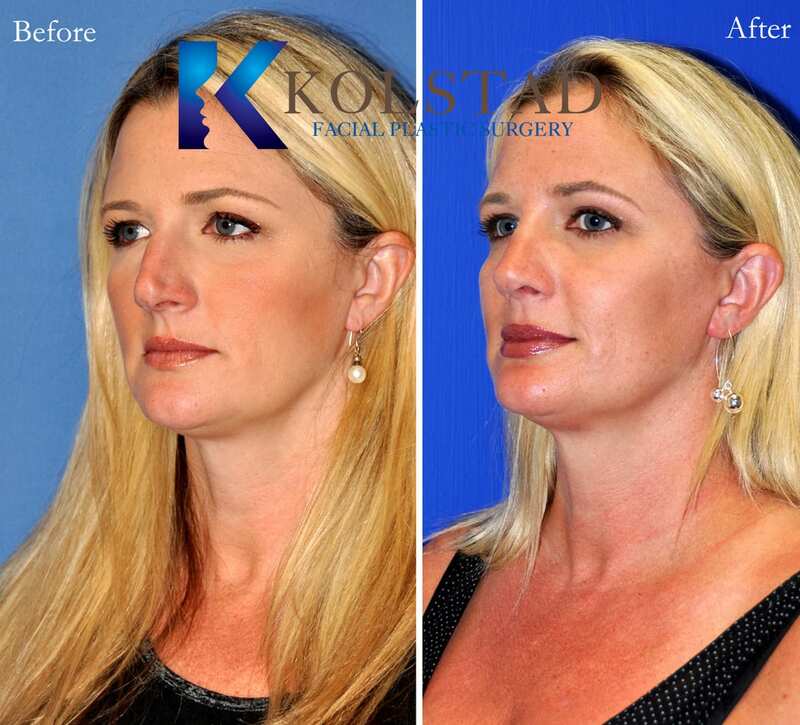 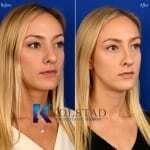 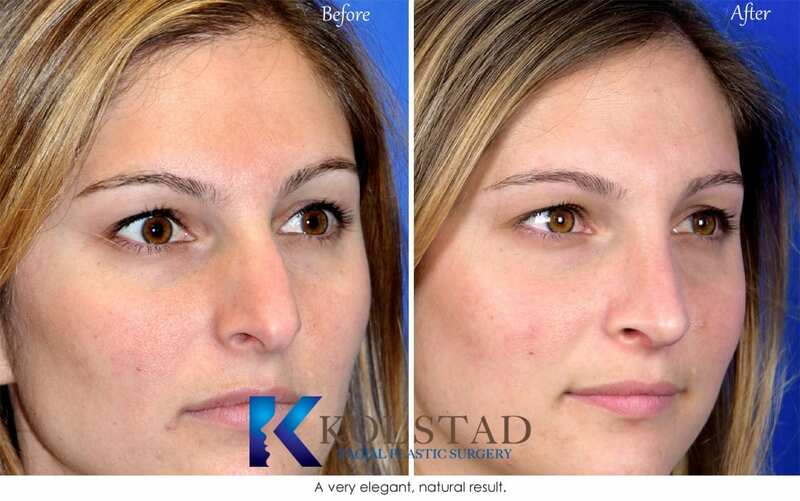 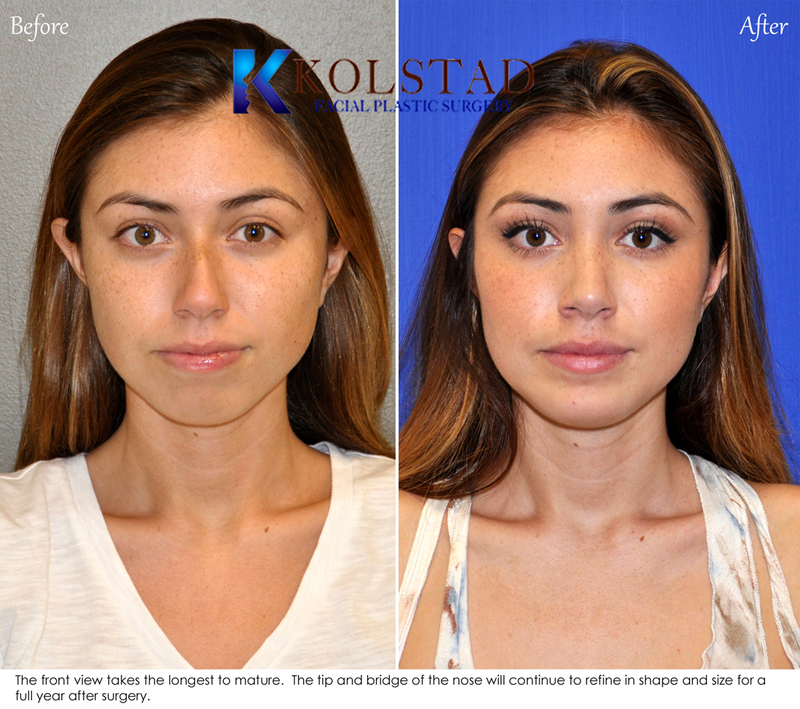 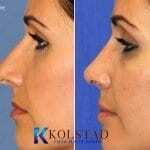 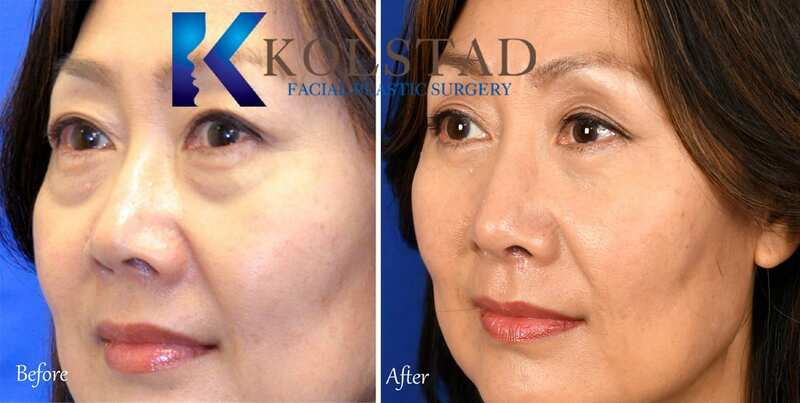 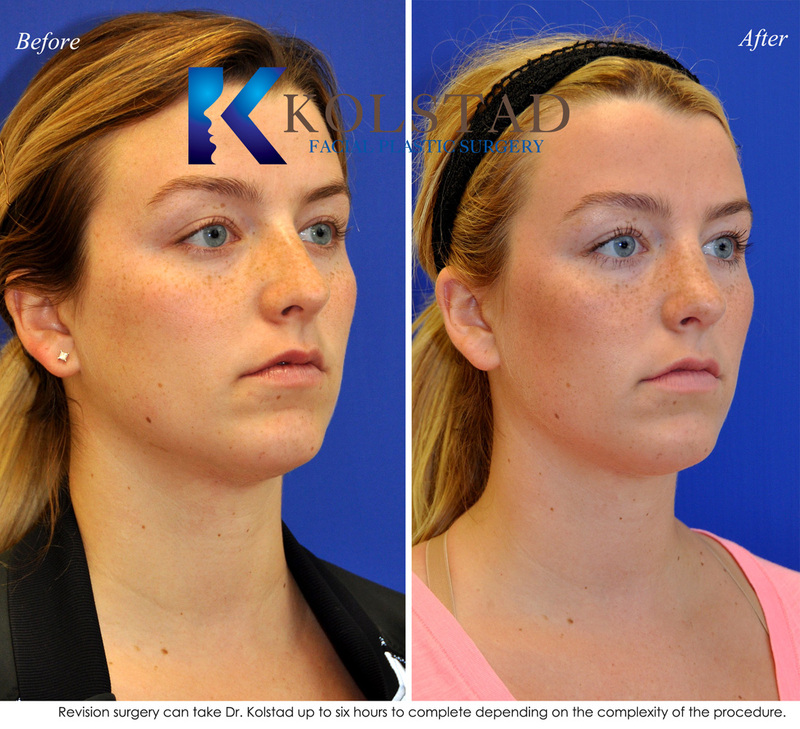 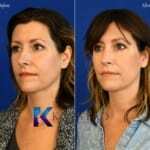 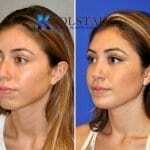 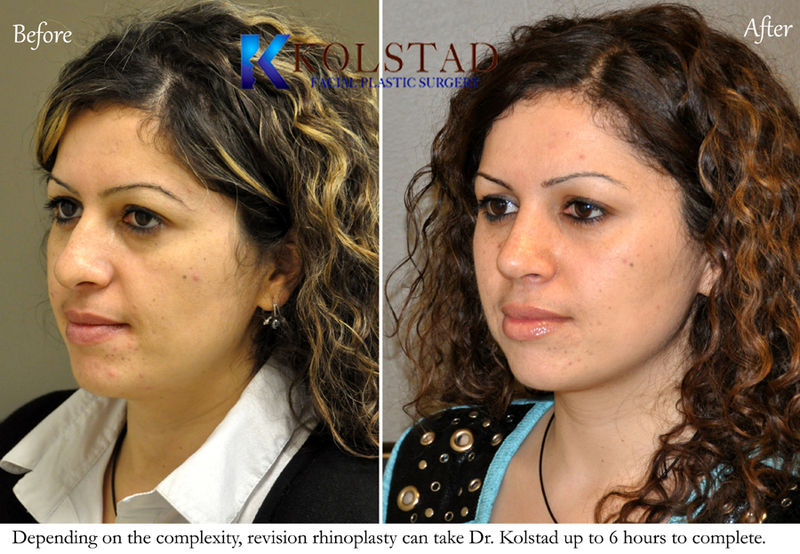 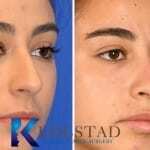 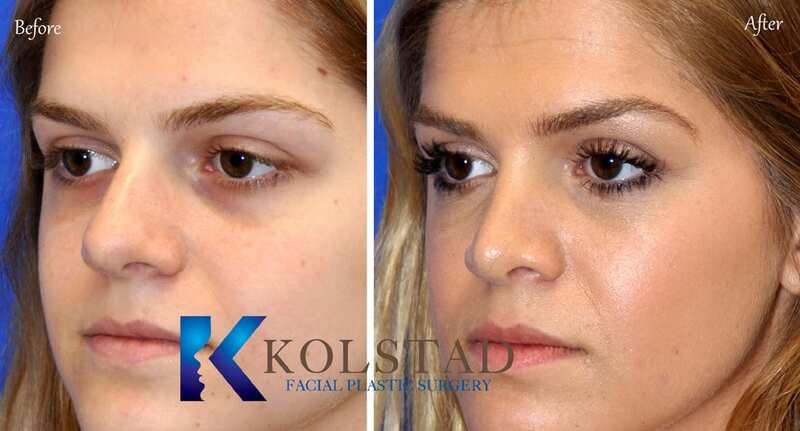 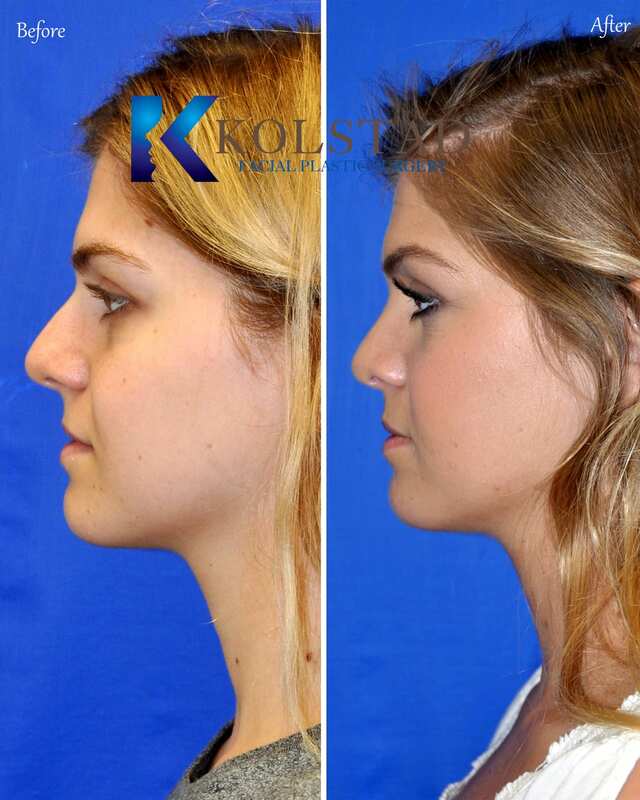 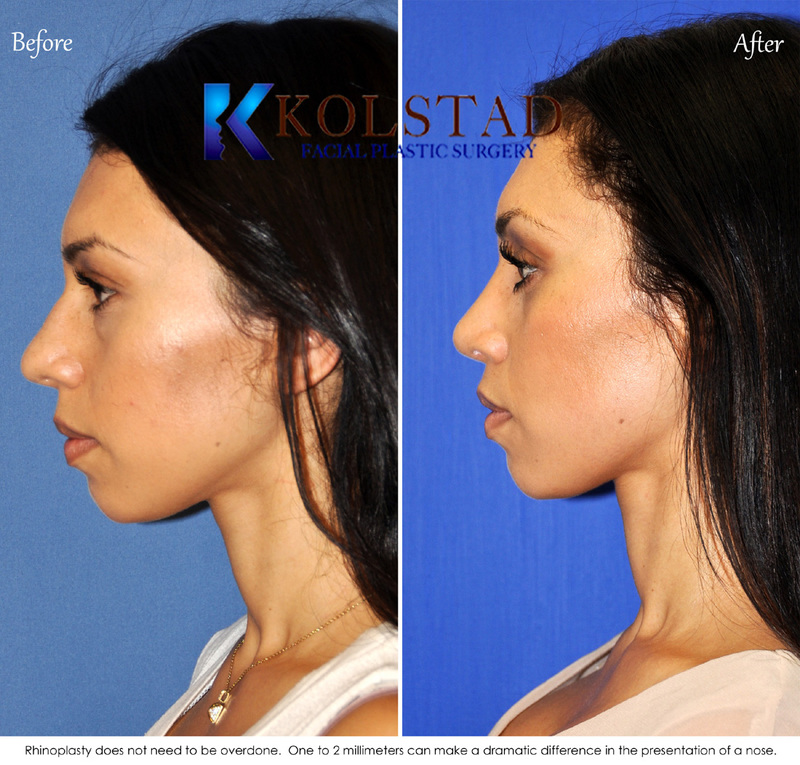 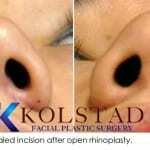 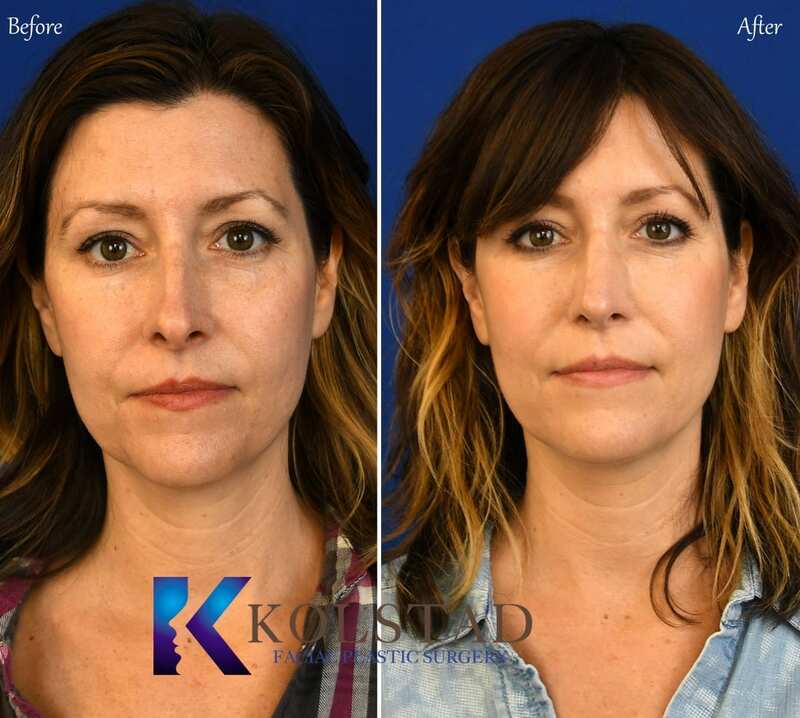 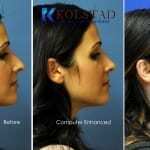 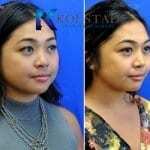 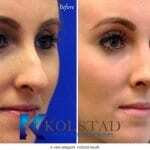 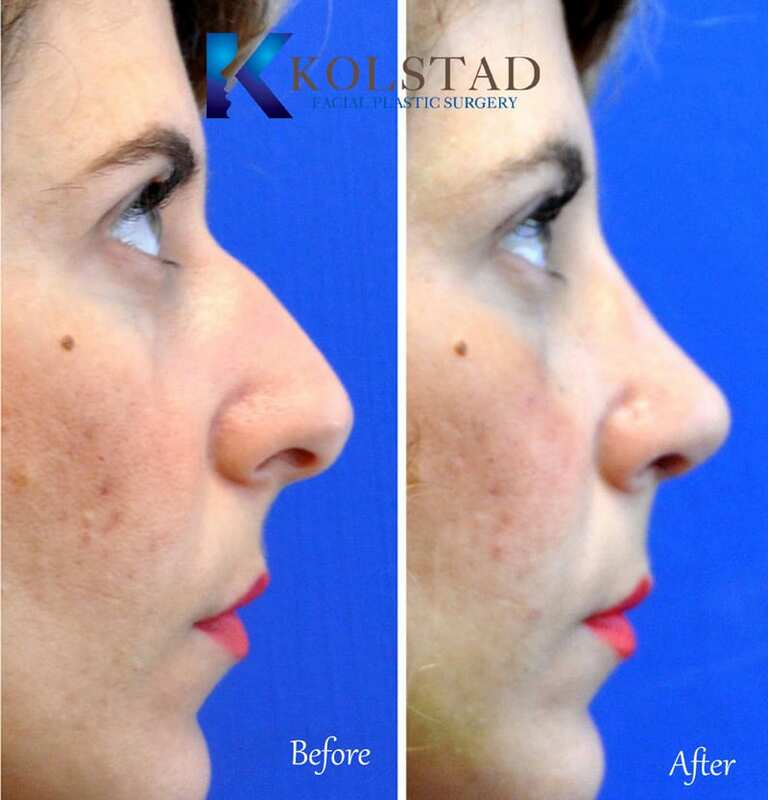 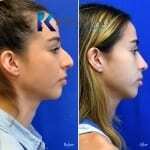 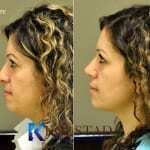 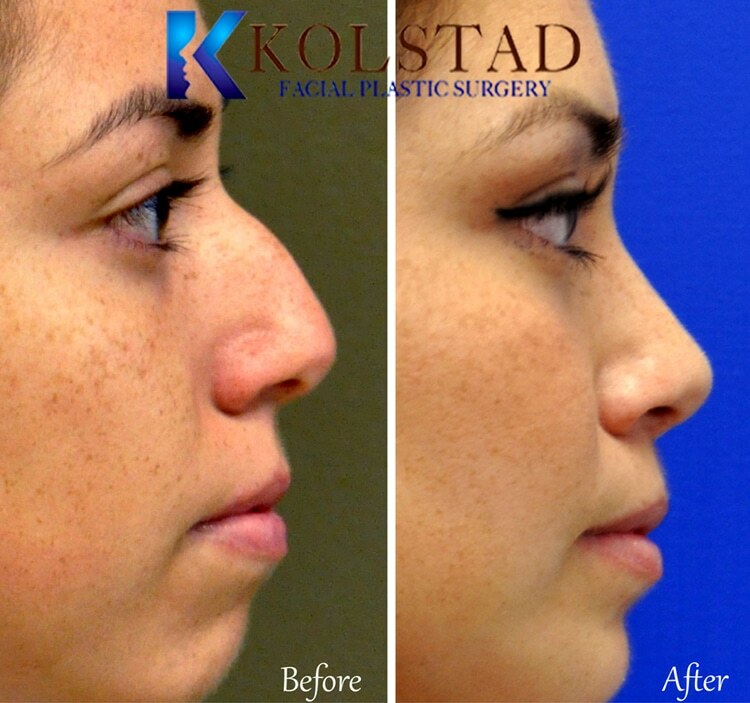 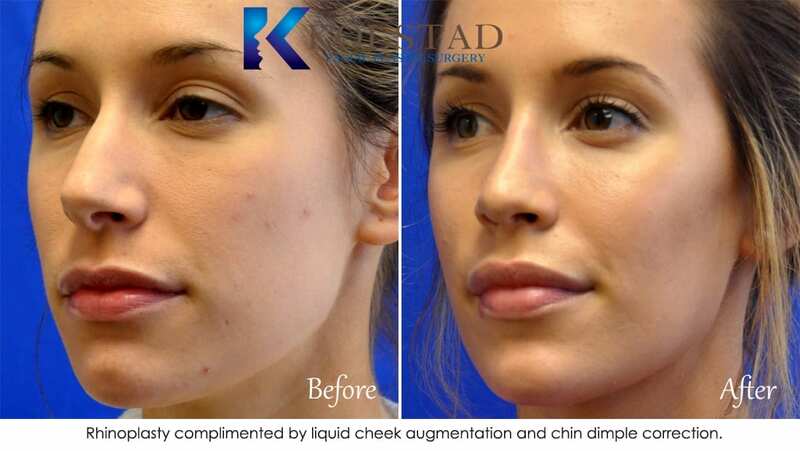 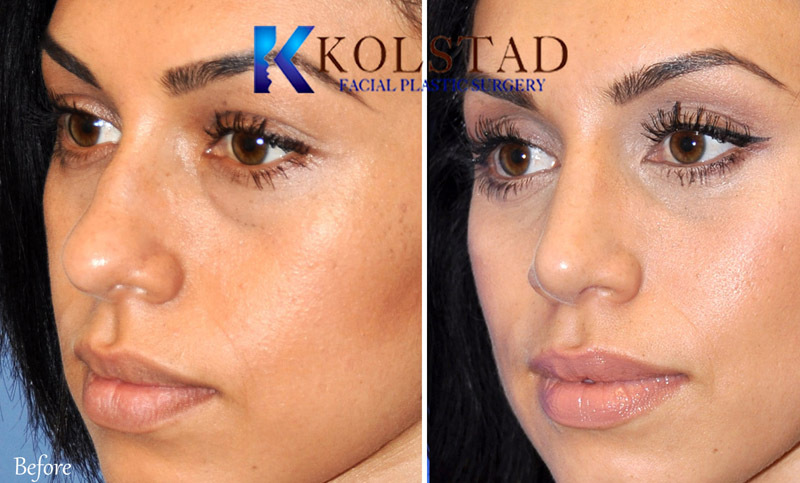 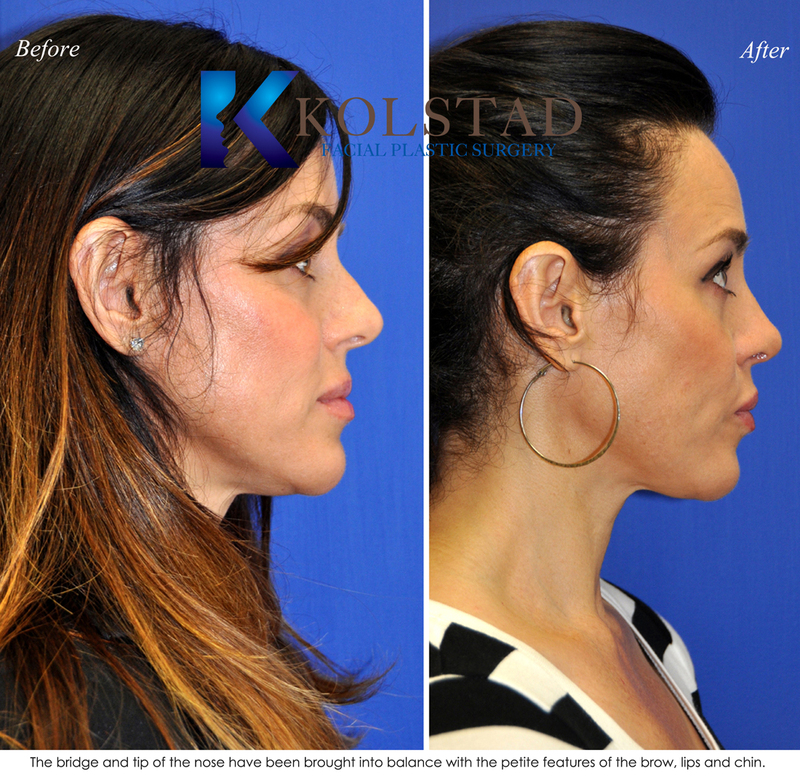 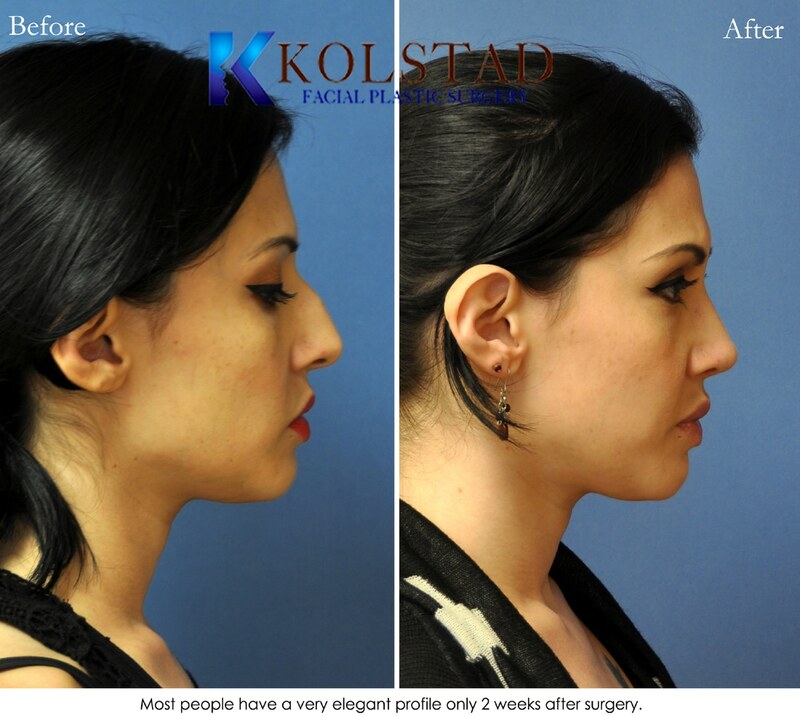 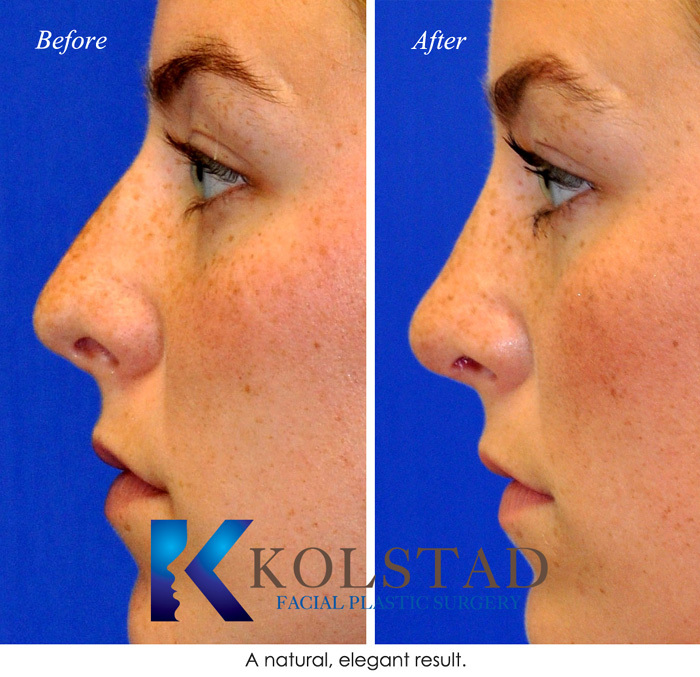 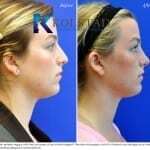 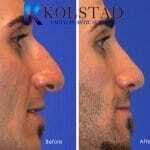 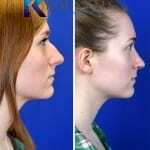 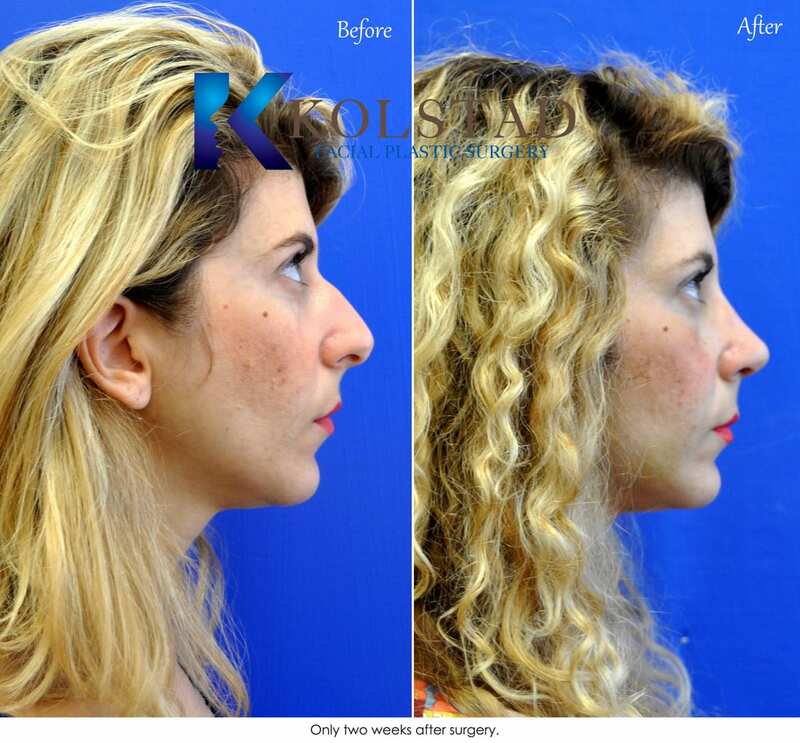 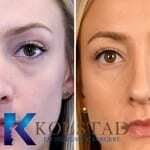 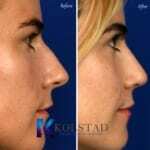 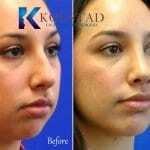 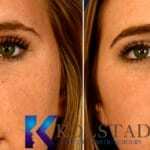 A significant portion of Dr. Kolstad’s practice is related to rhinoplasty and revision rhinoplasty in San Diego. 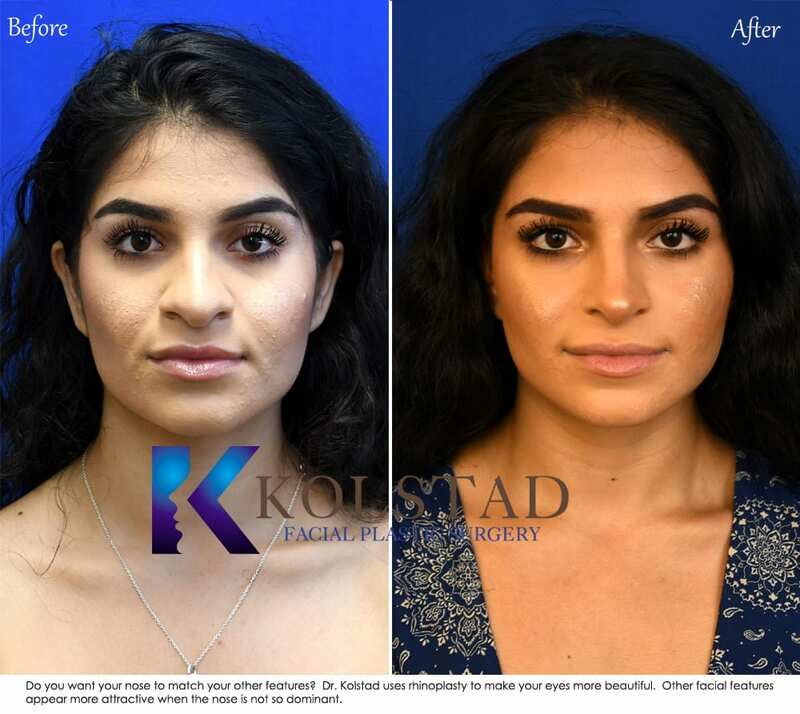 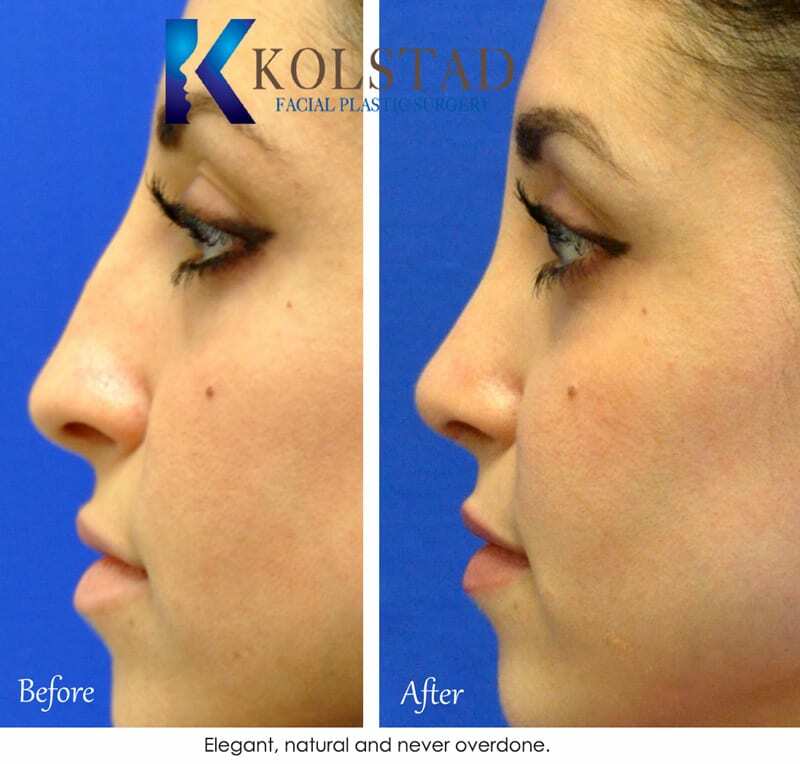 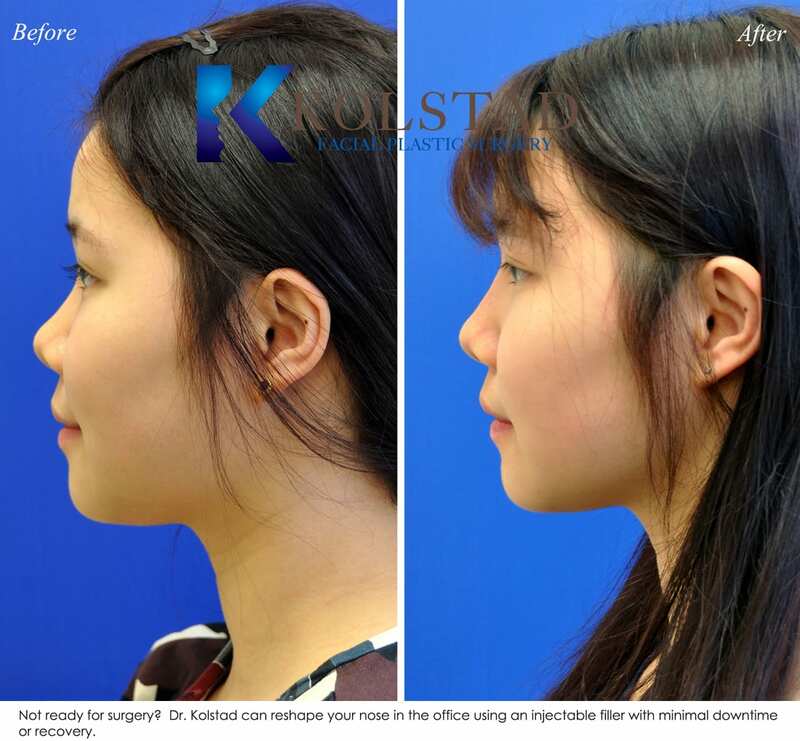 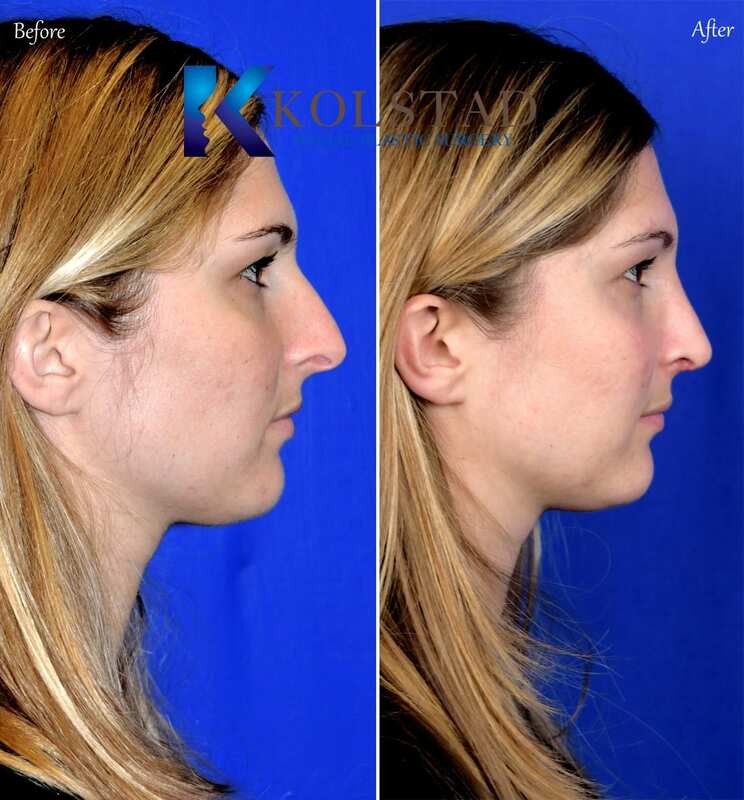 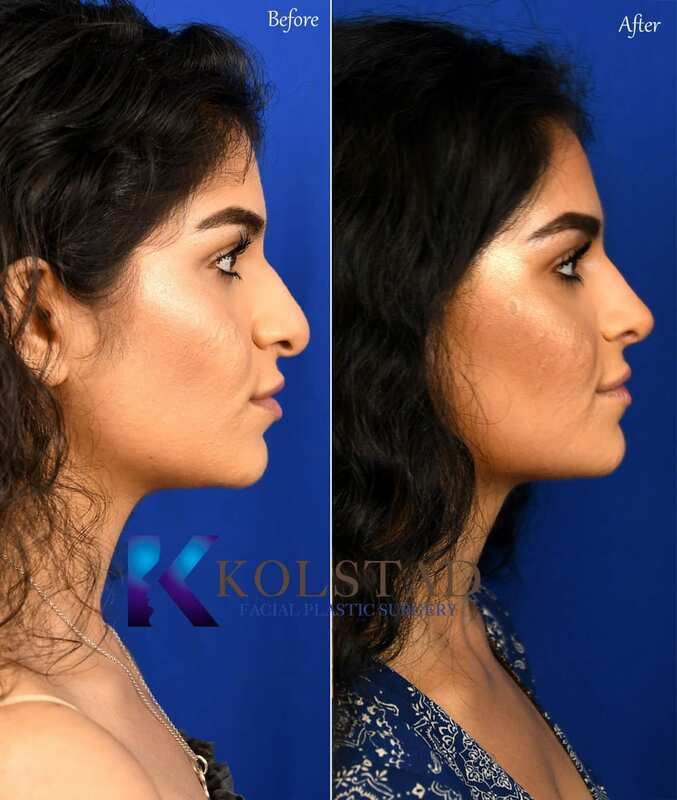 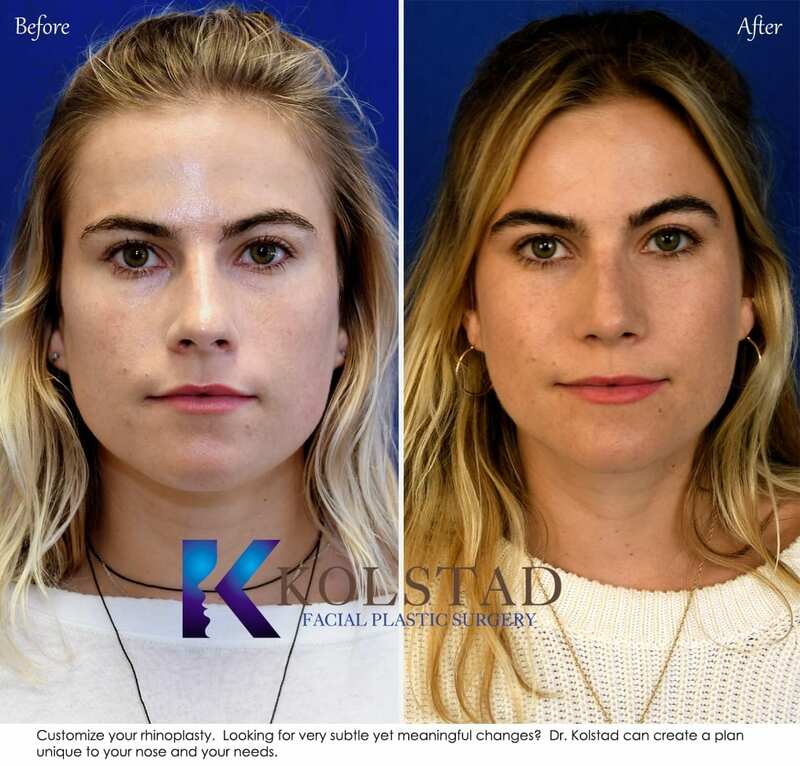 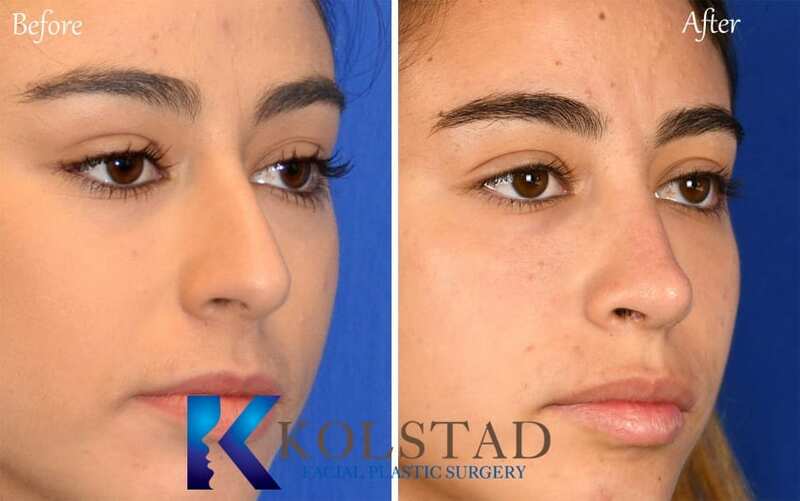 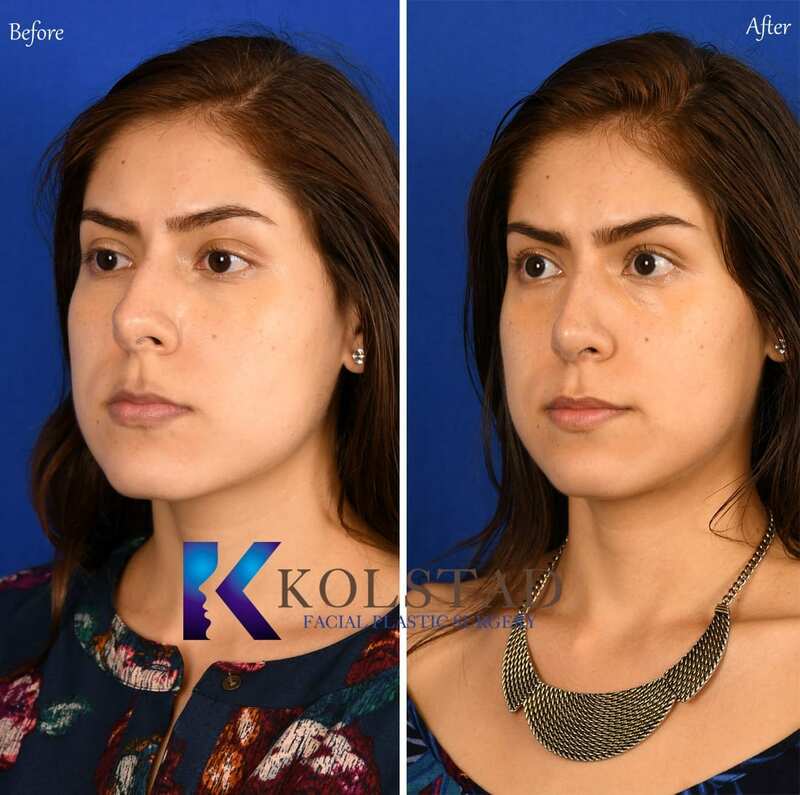 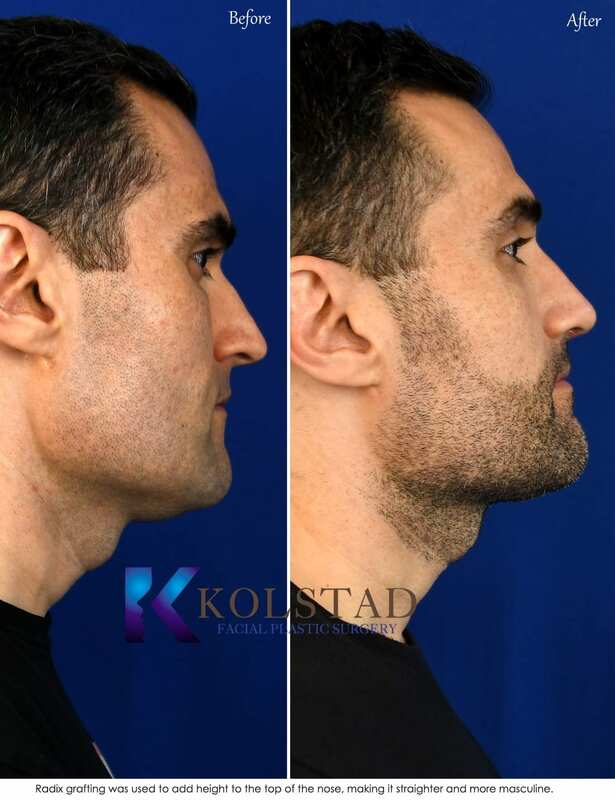 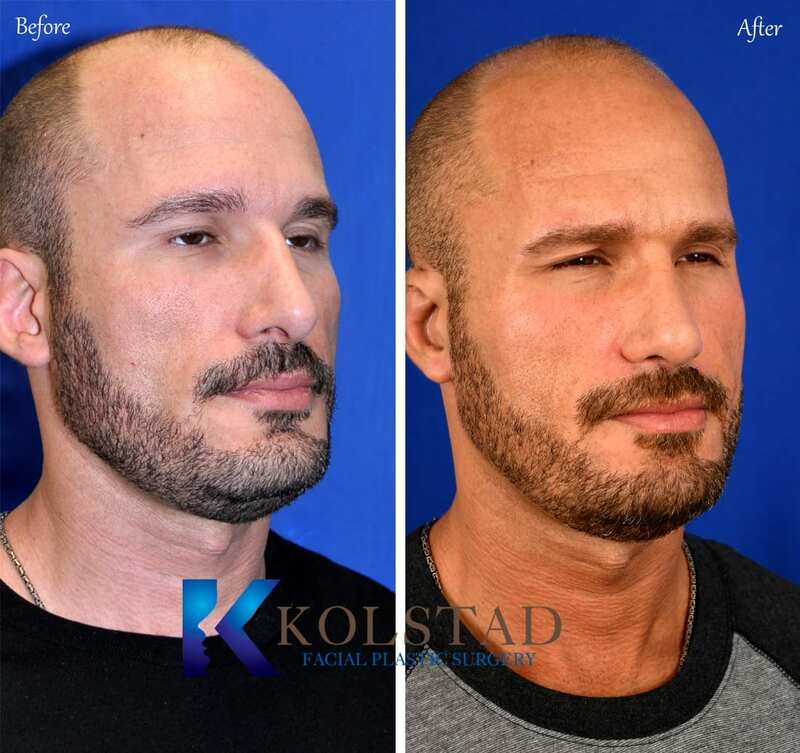 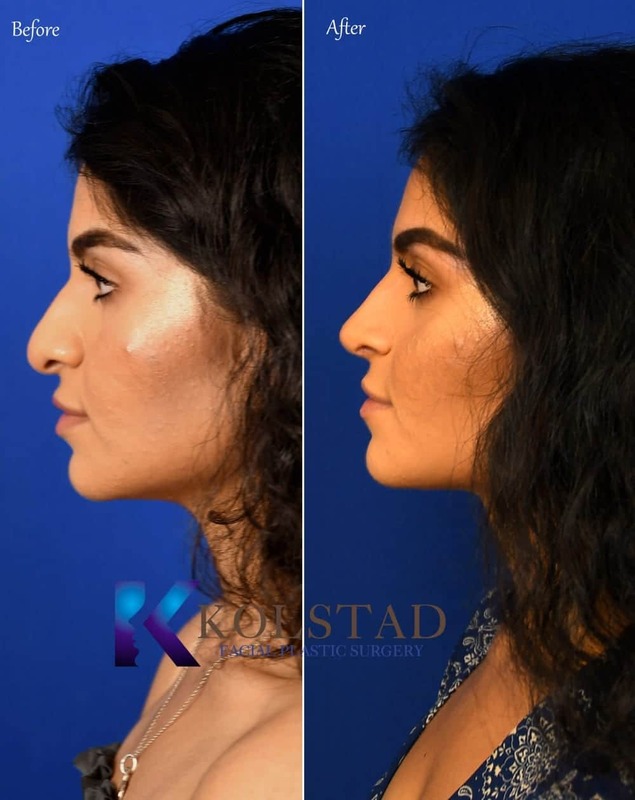 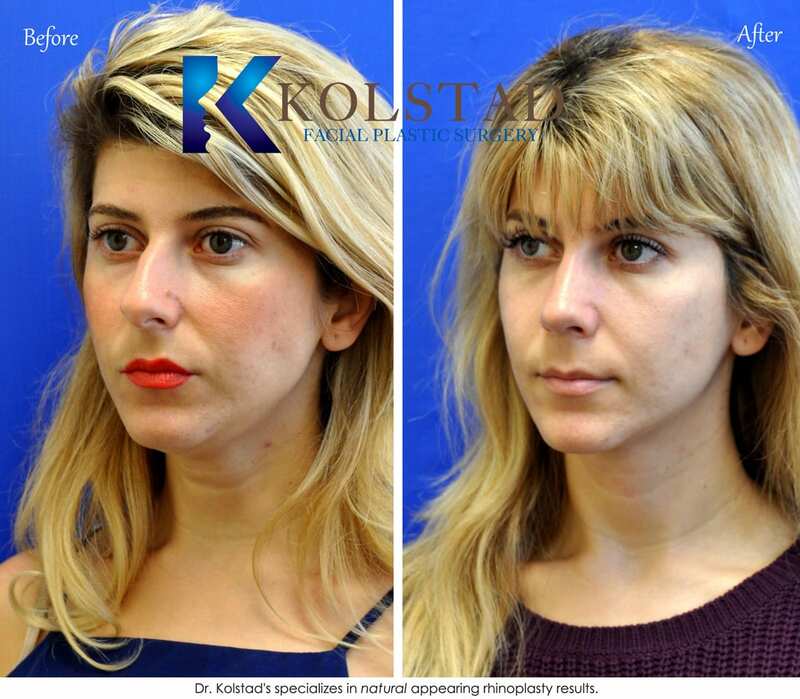 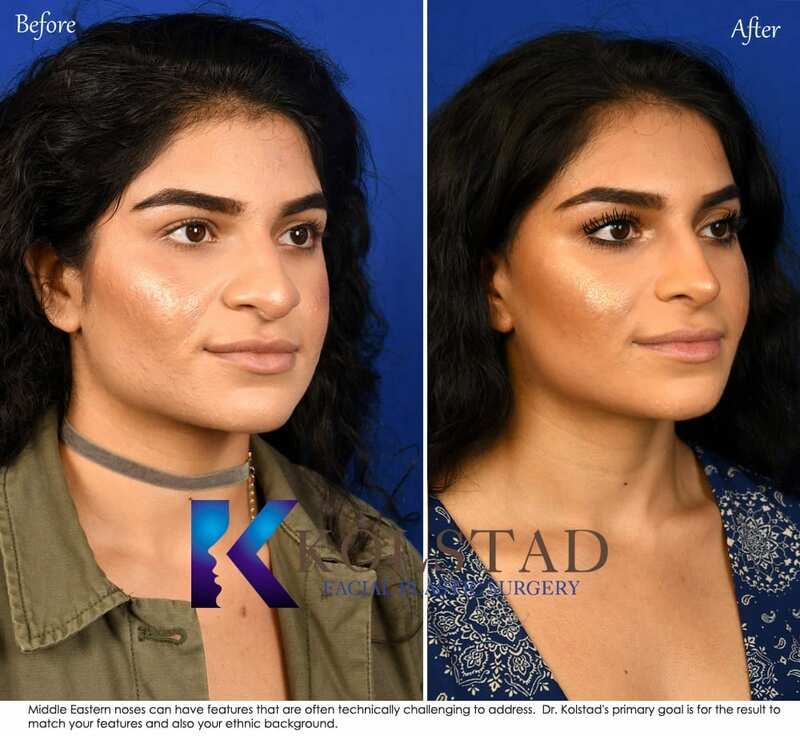 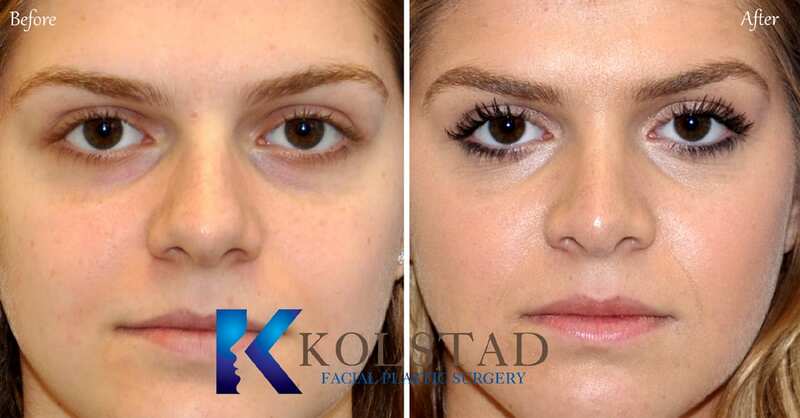 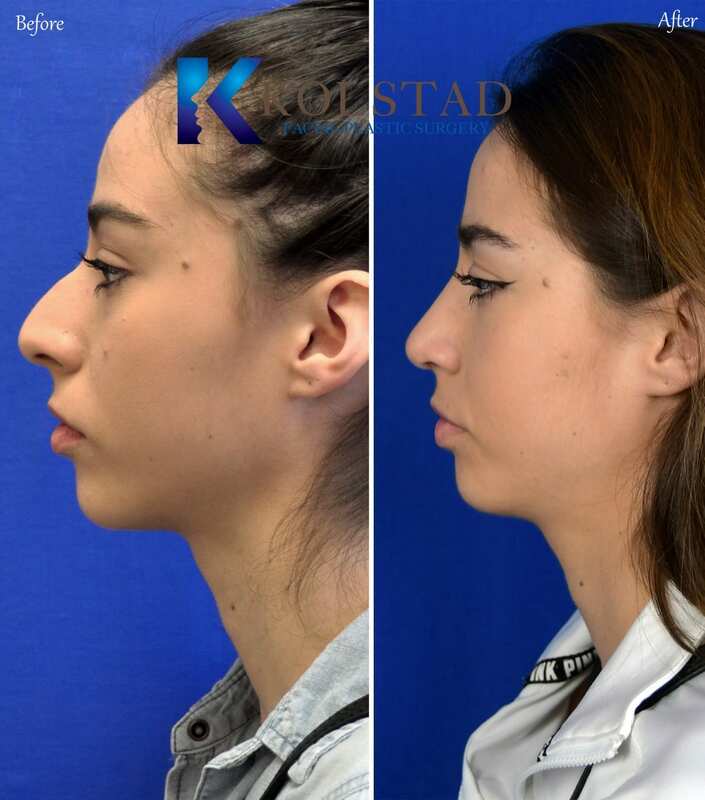 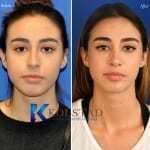 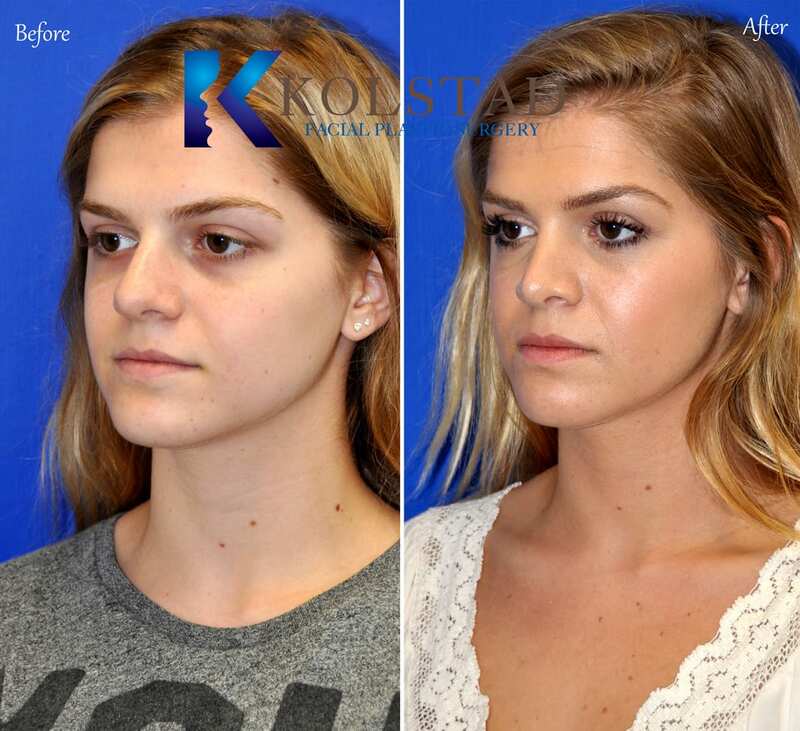 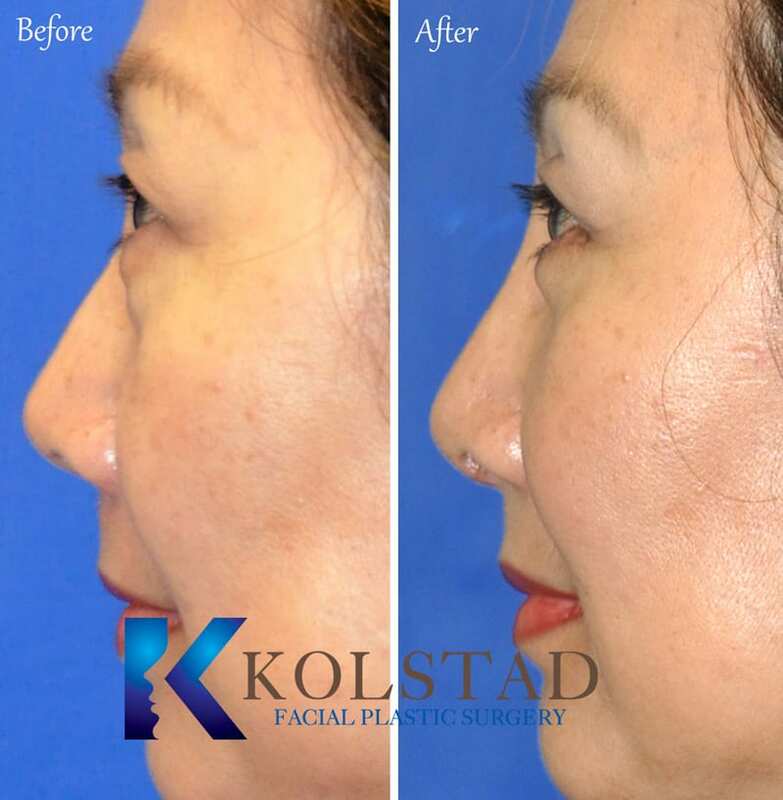 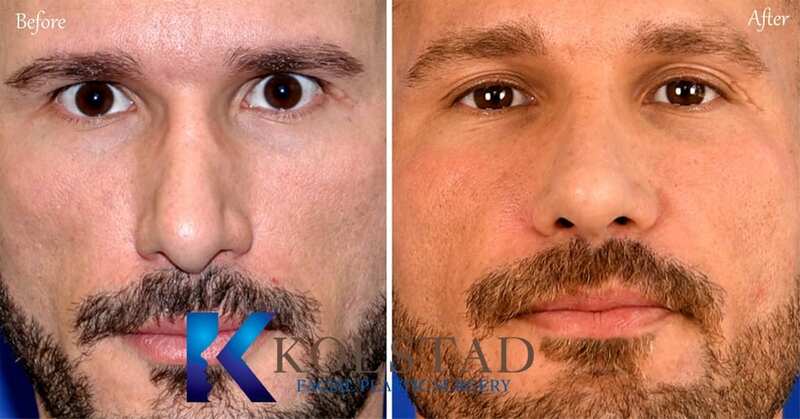 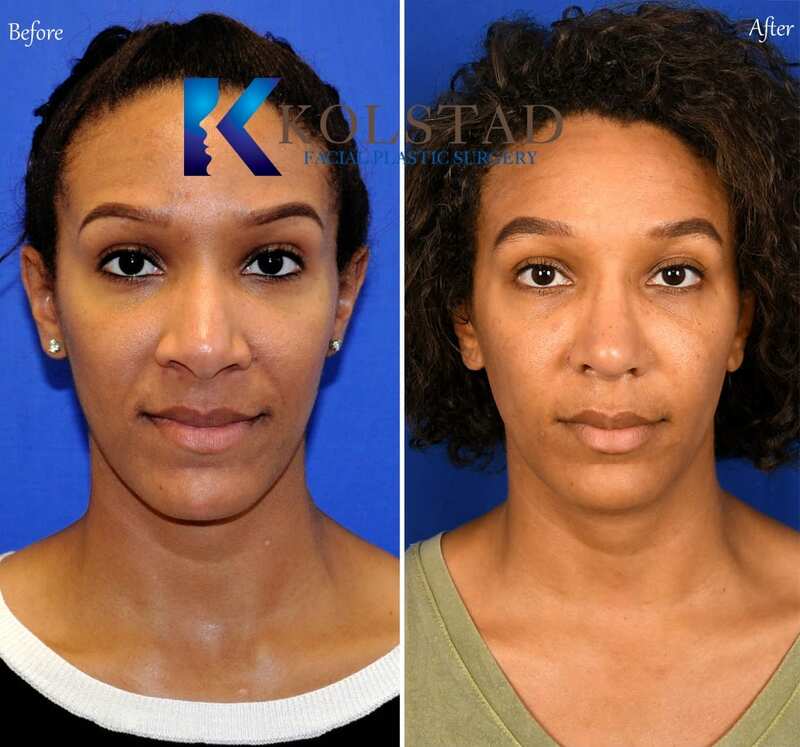 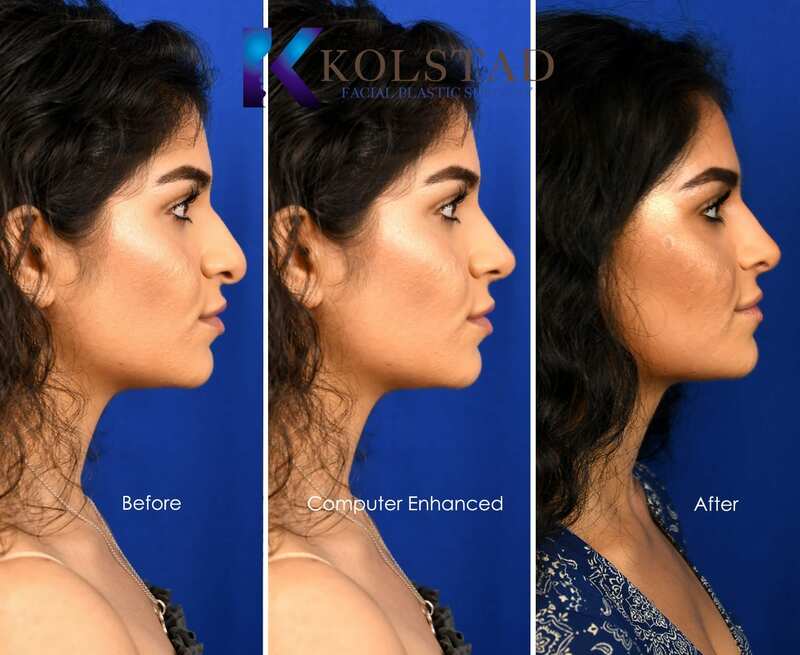 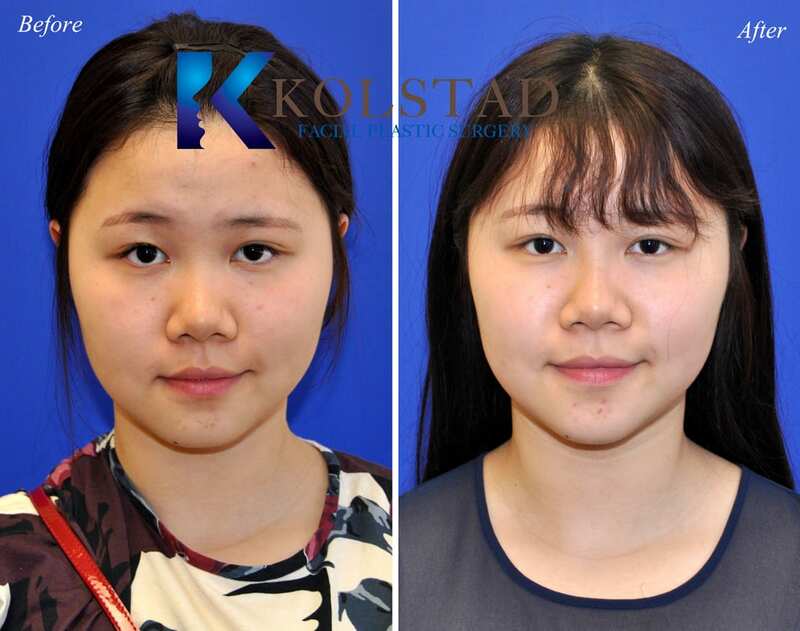 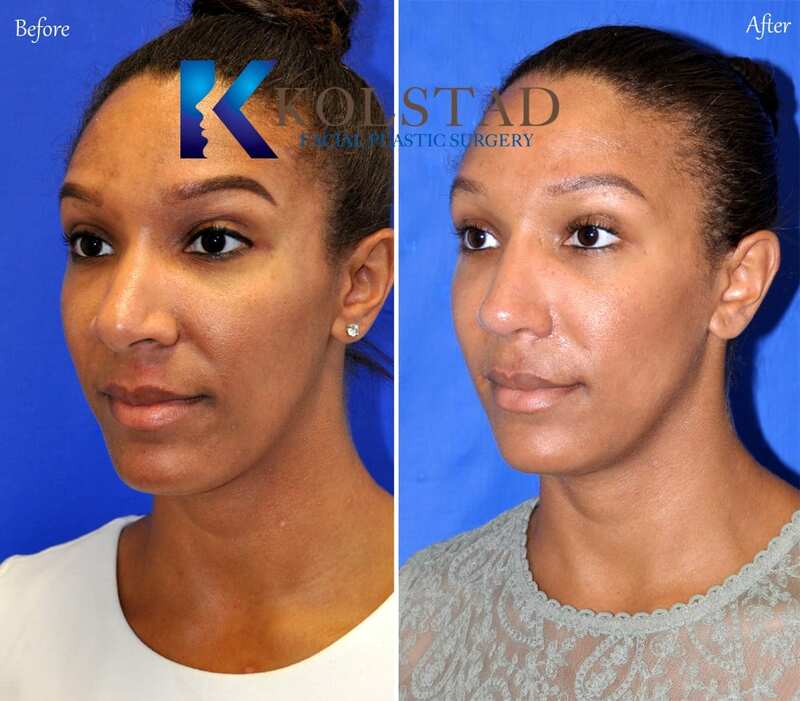 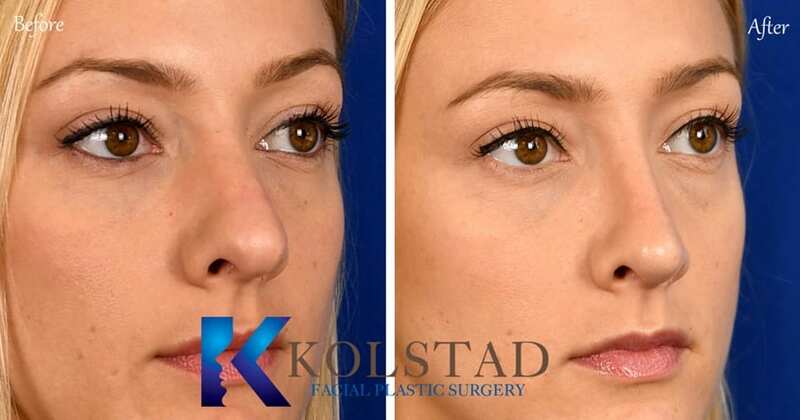 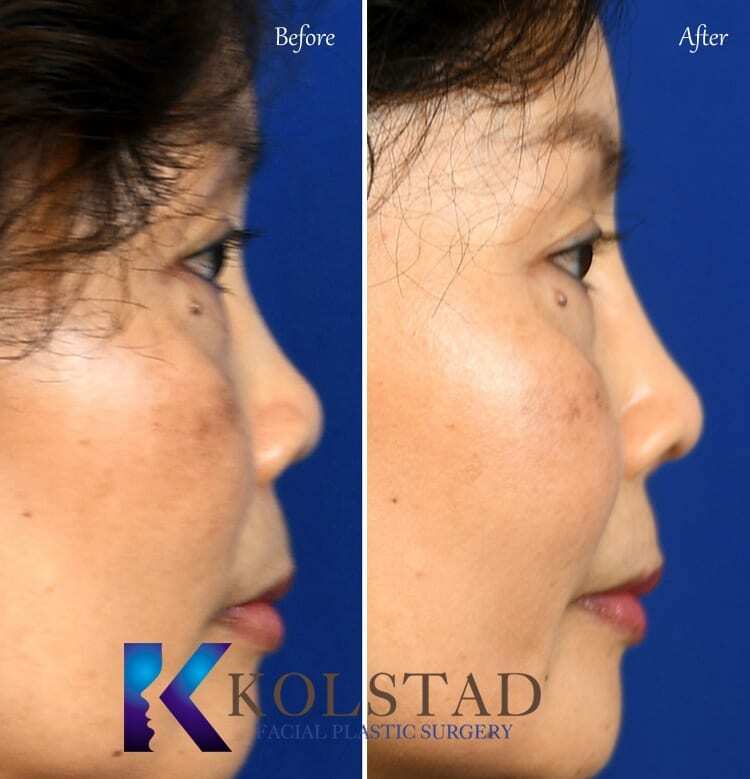 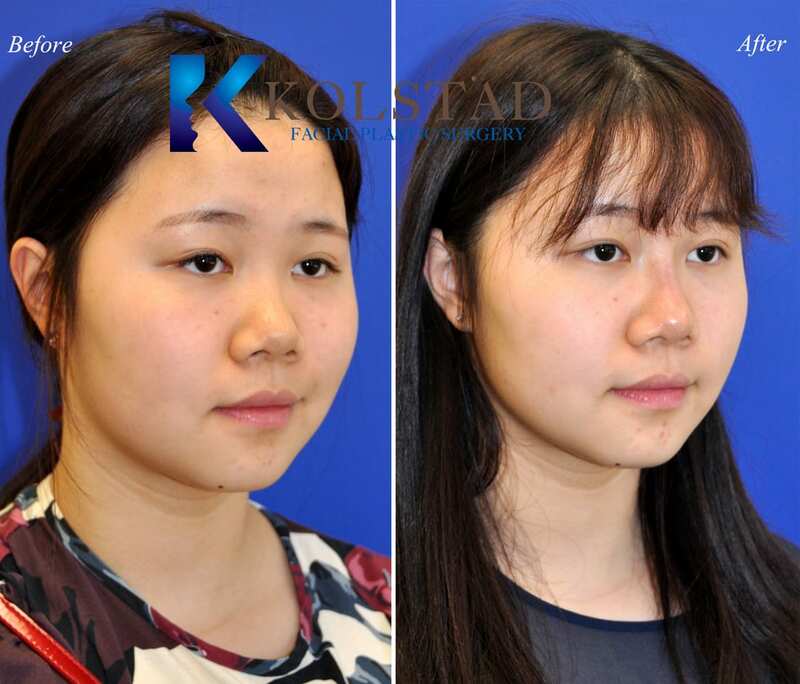 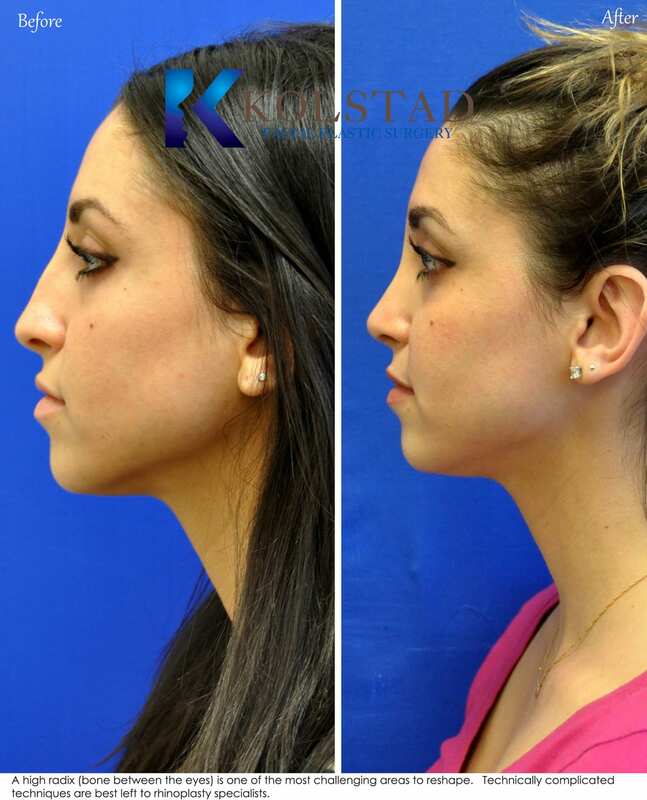 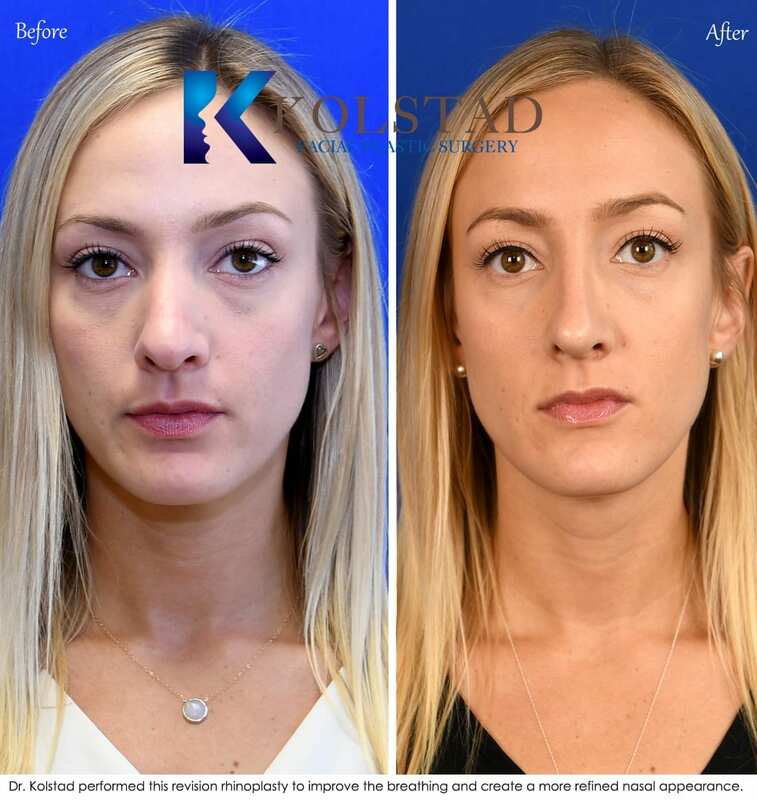 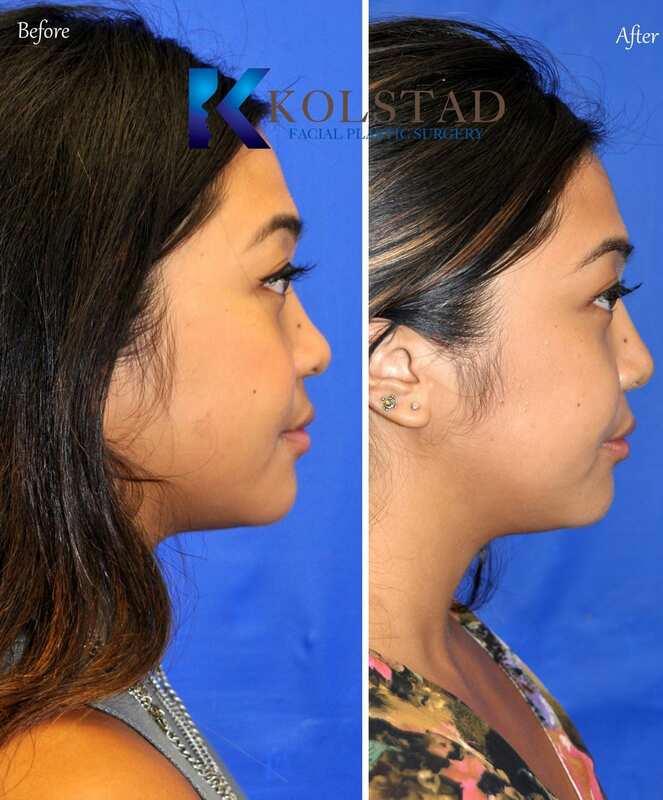 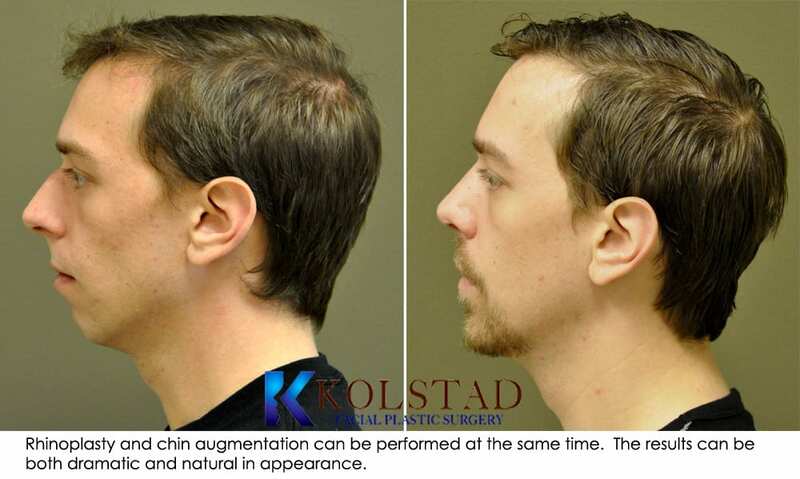 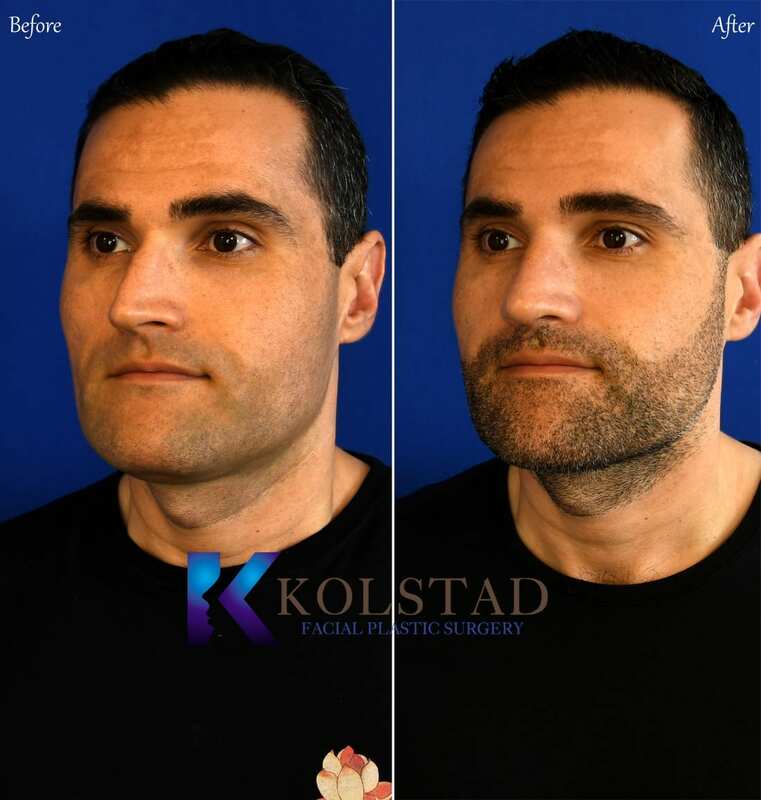 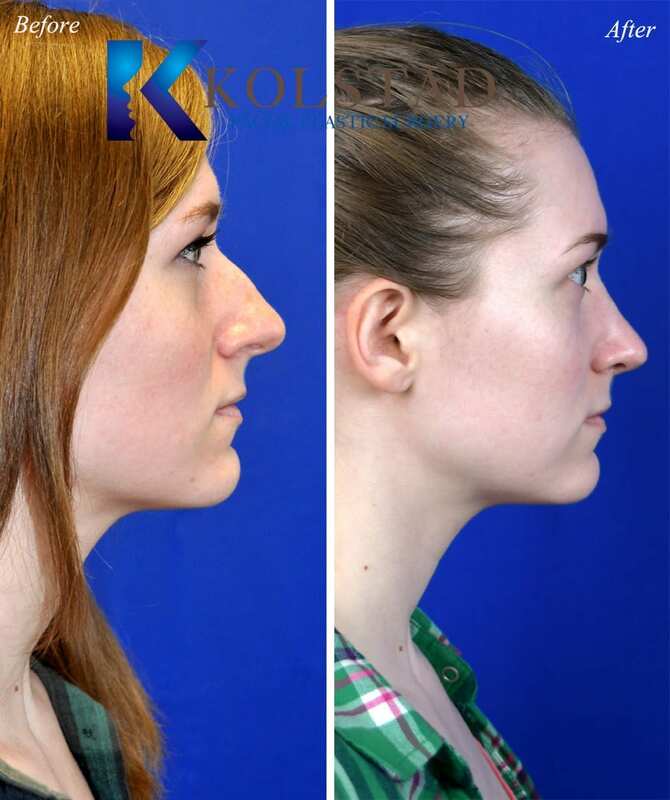 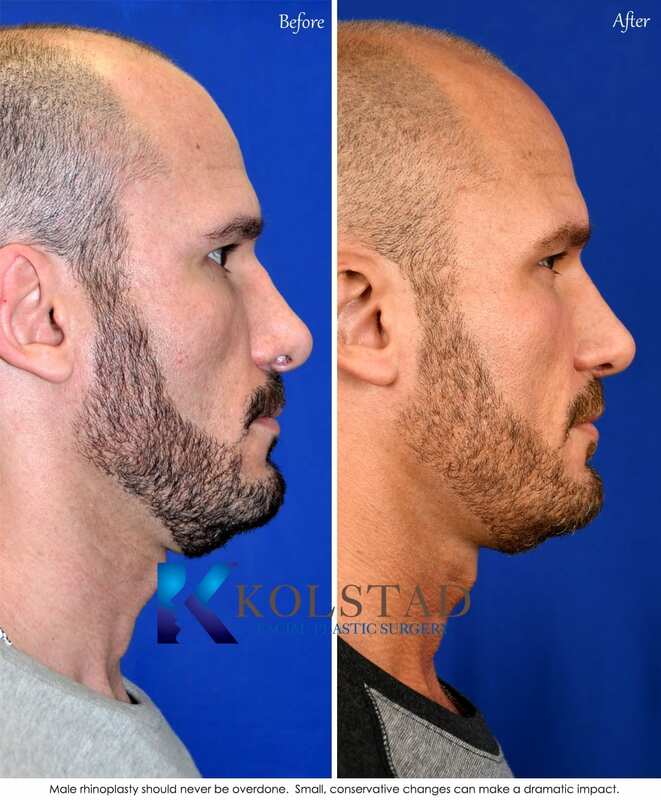 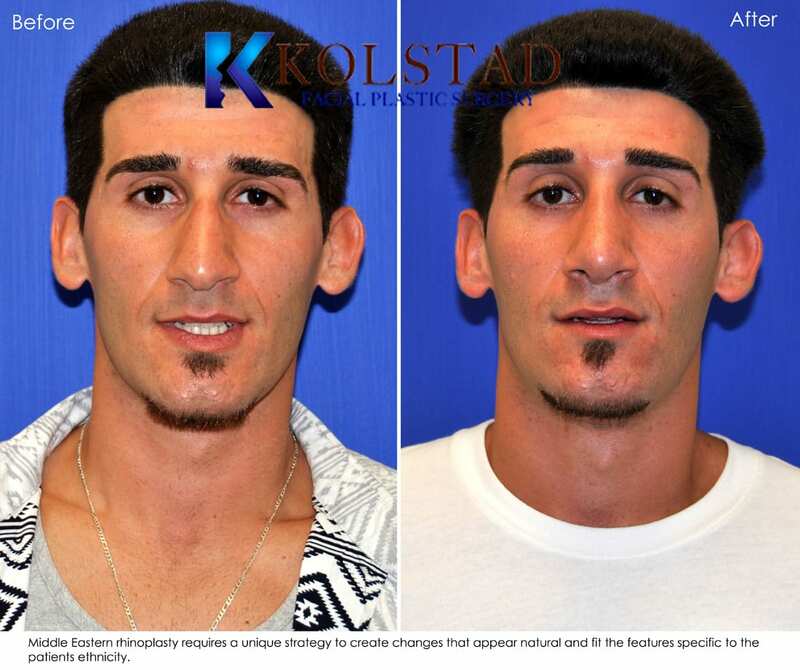 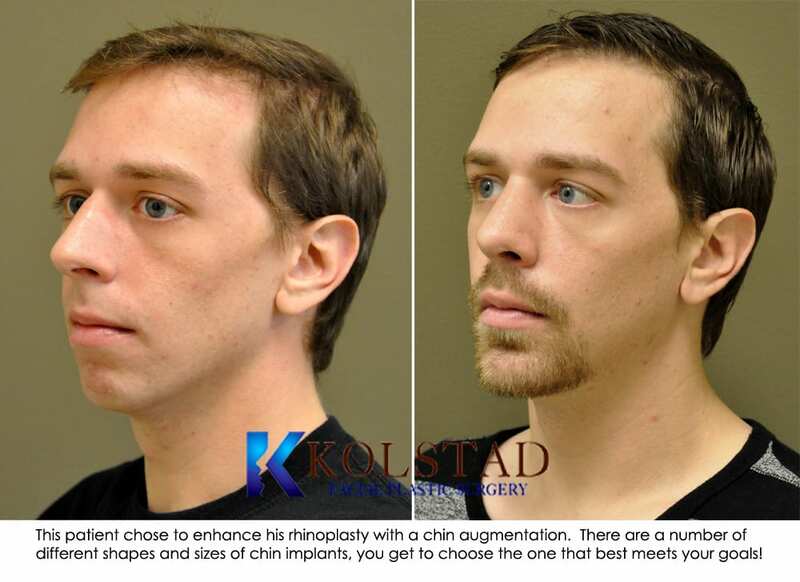 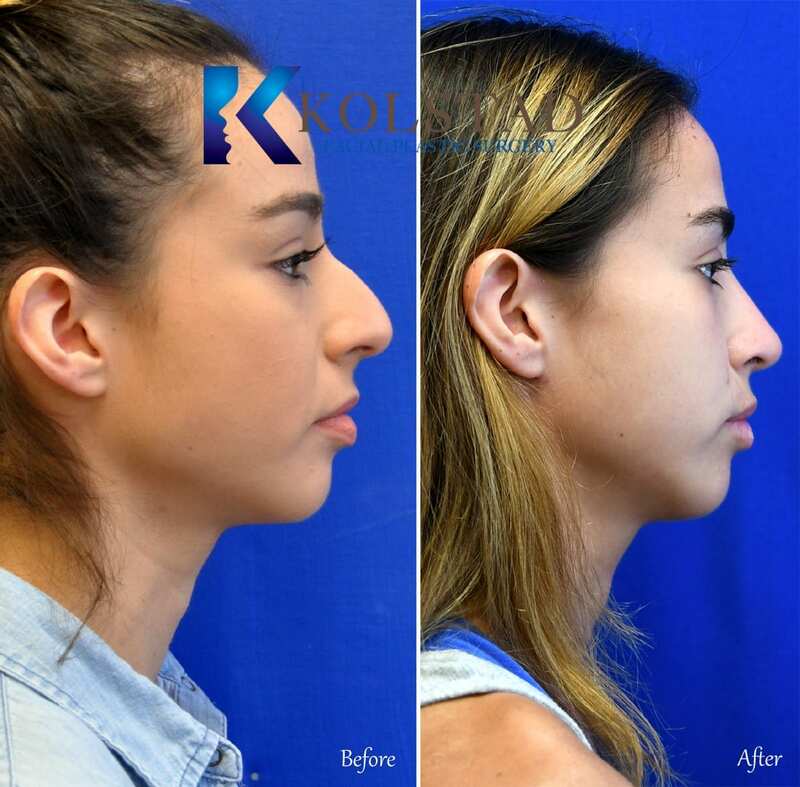 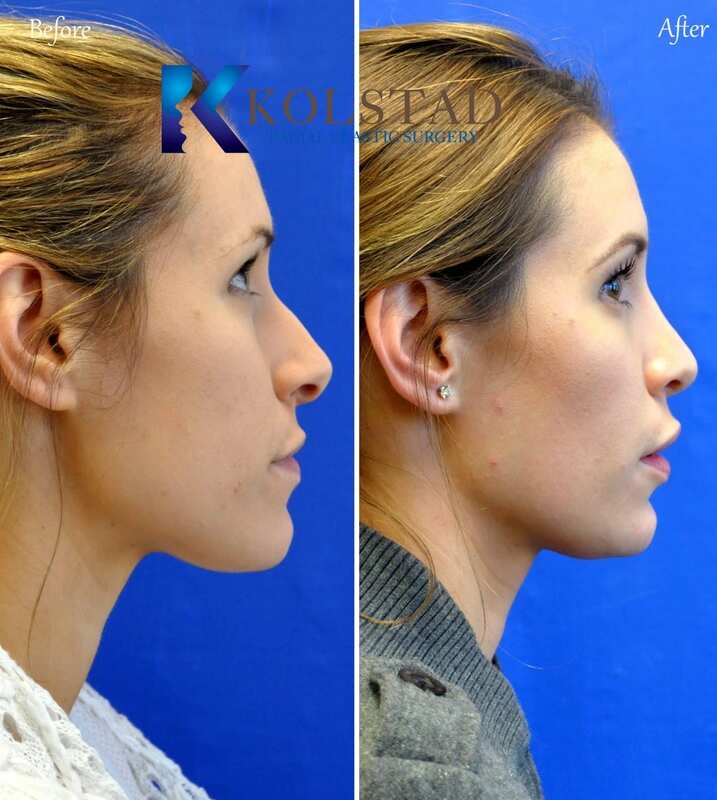 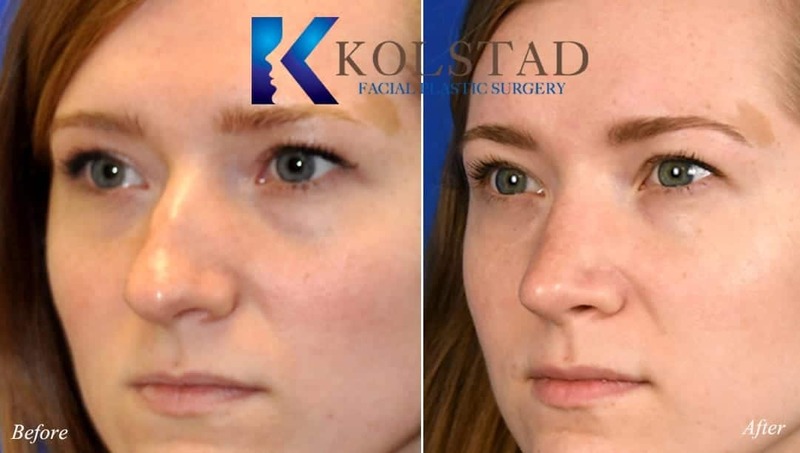 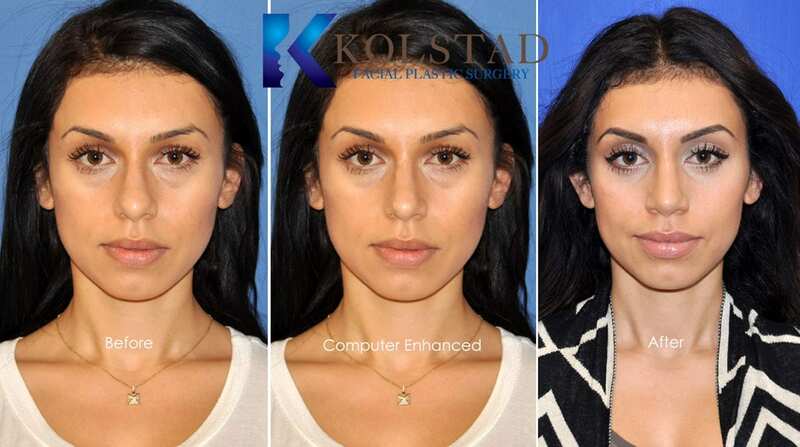 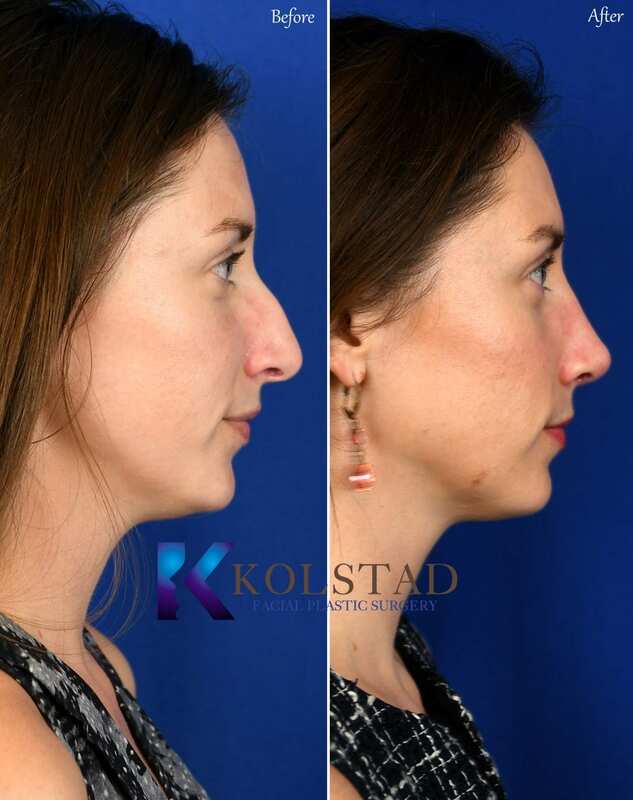 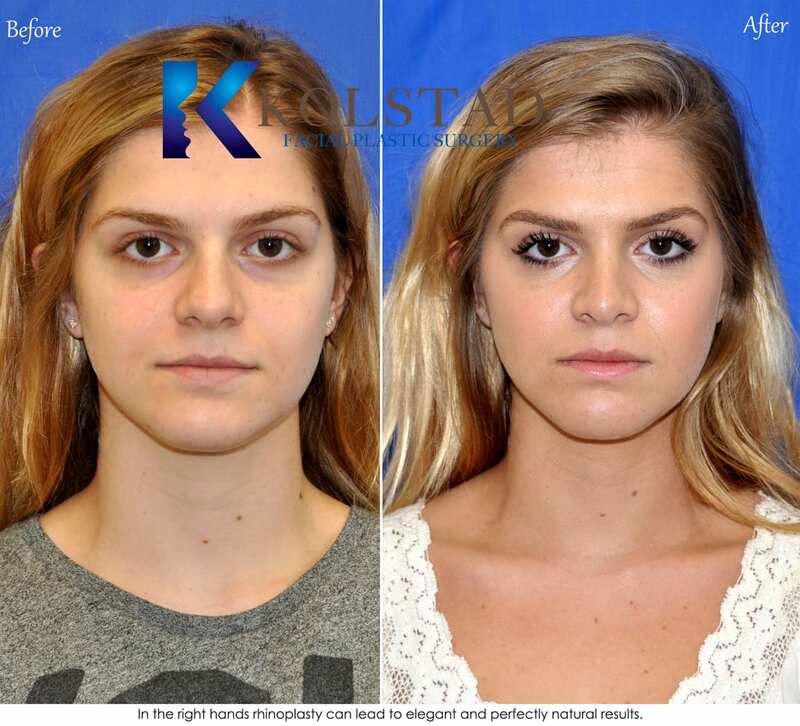 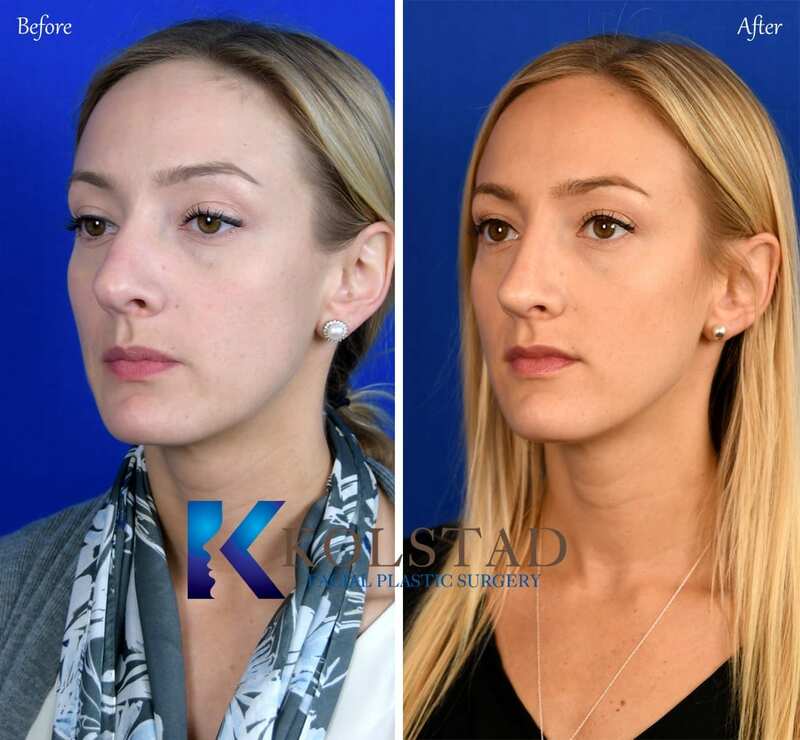 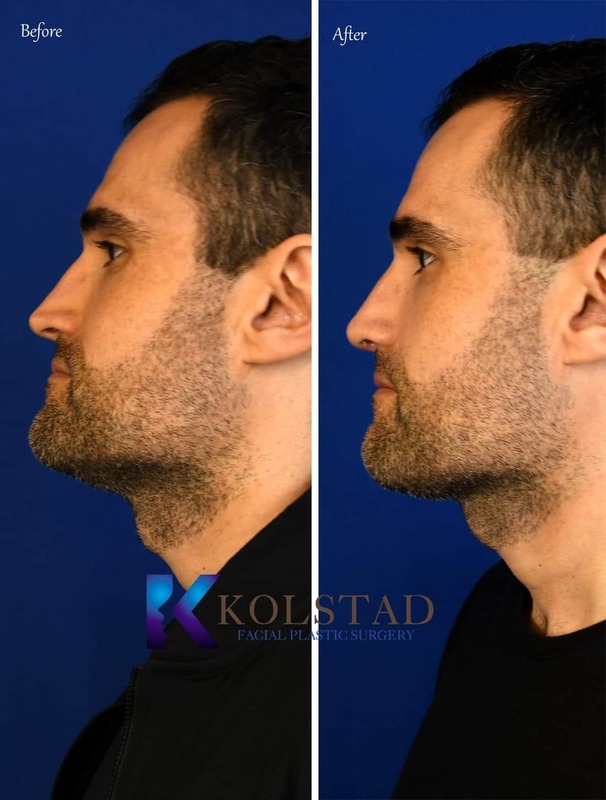 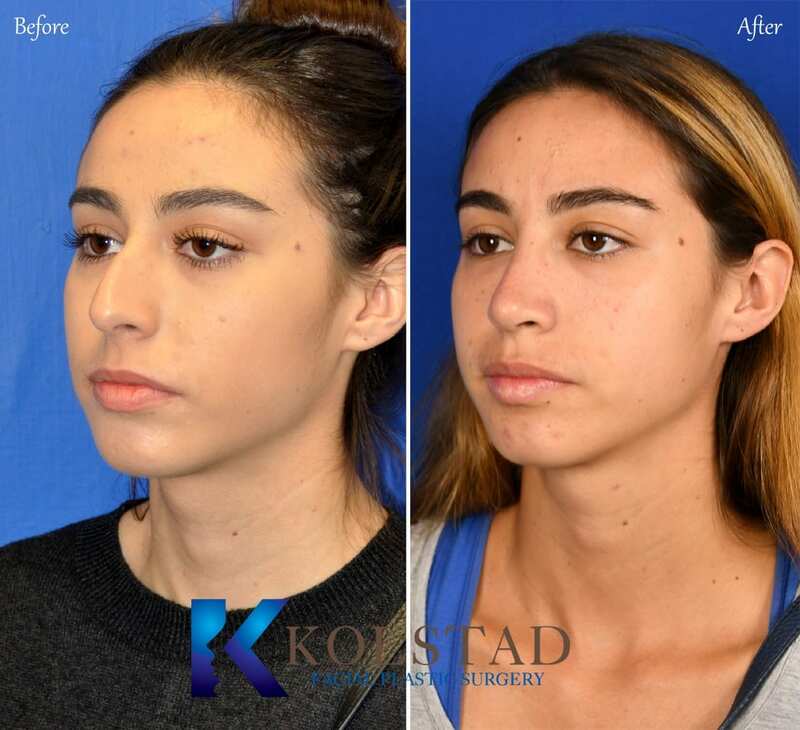 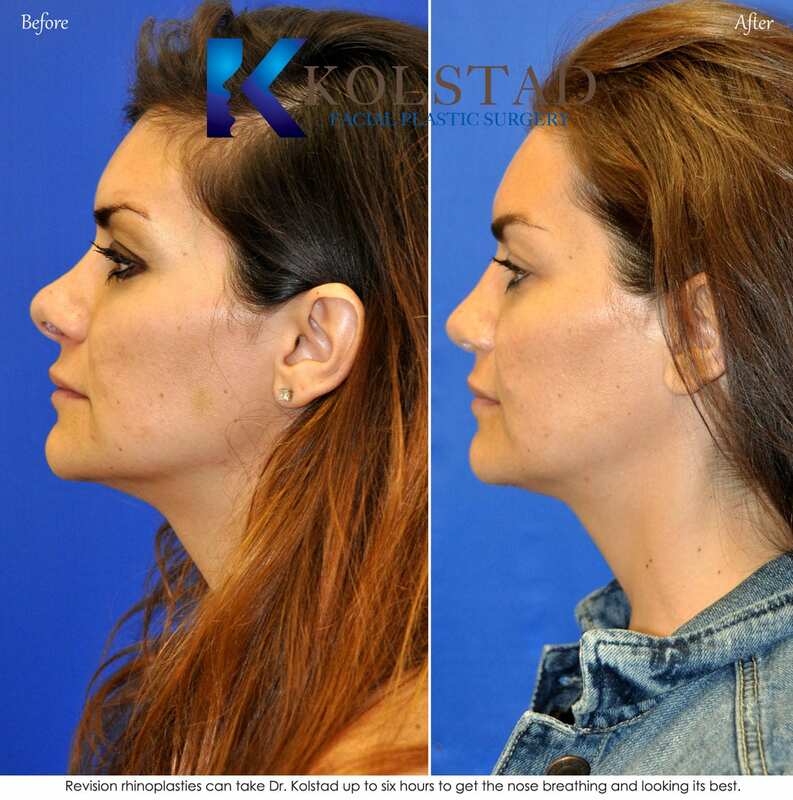 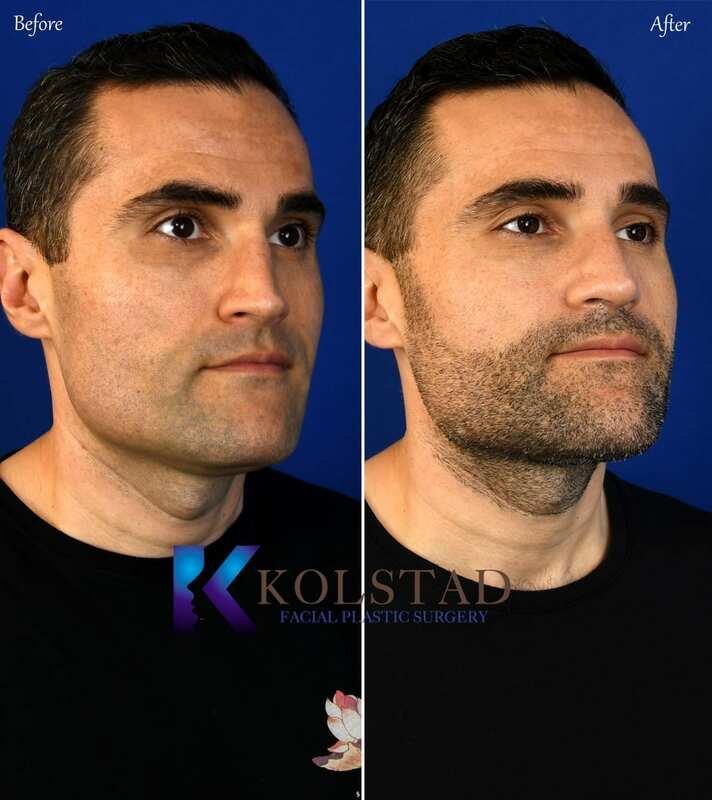 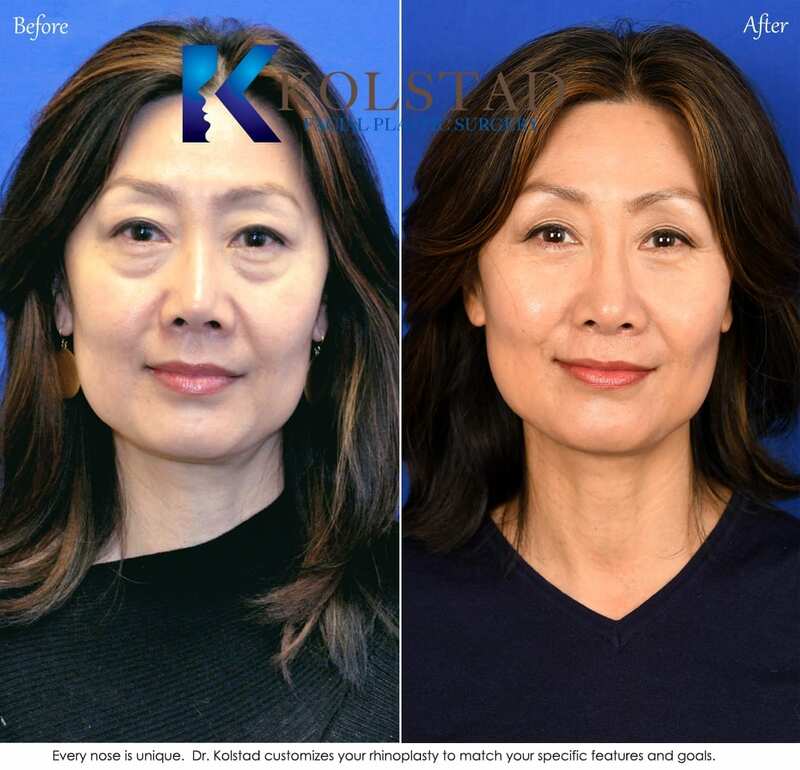 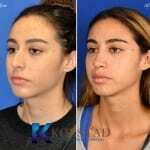 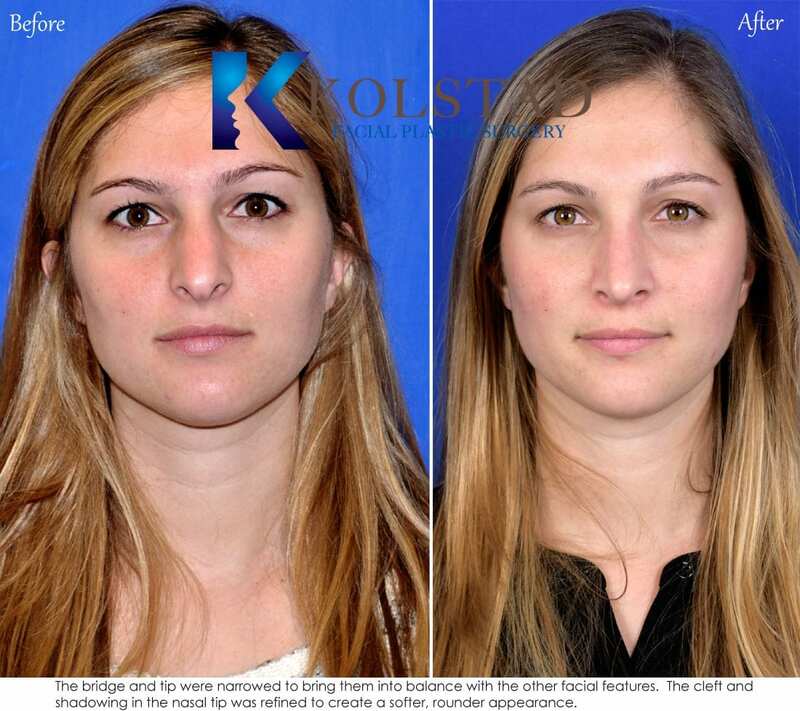 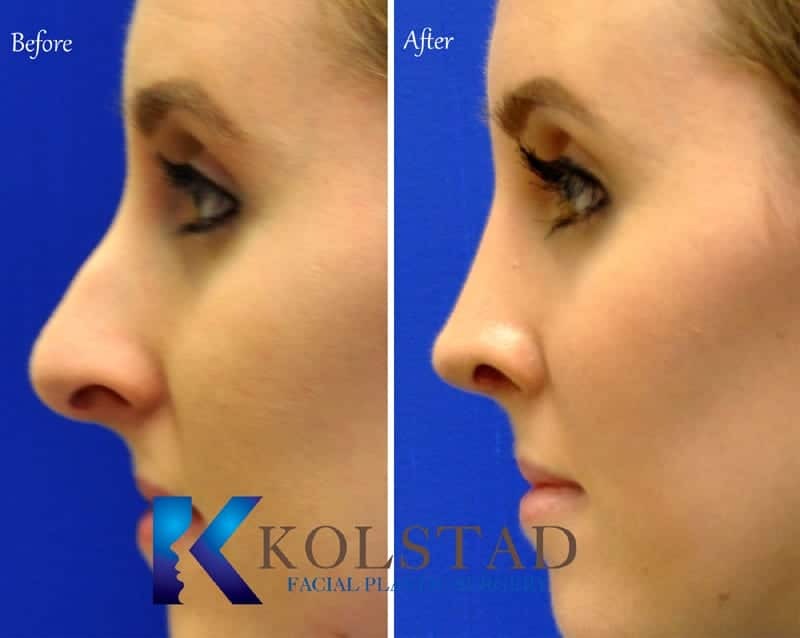 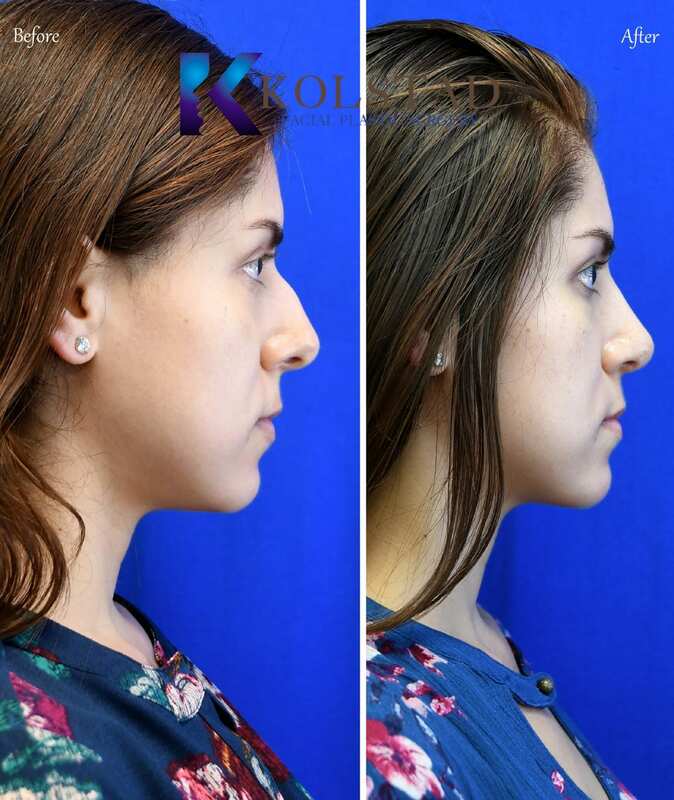 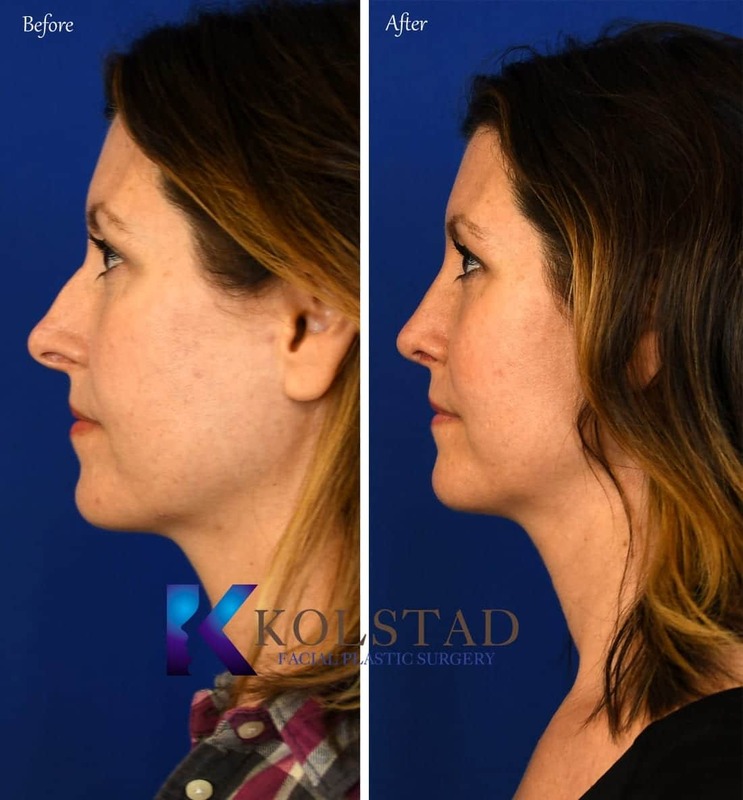 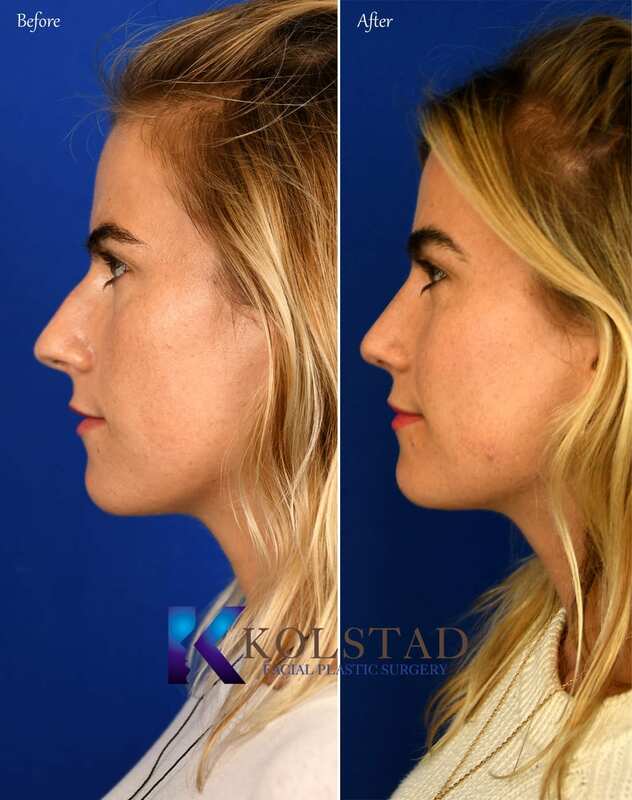 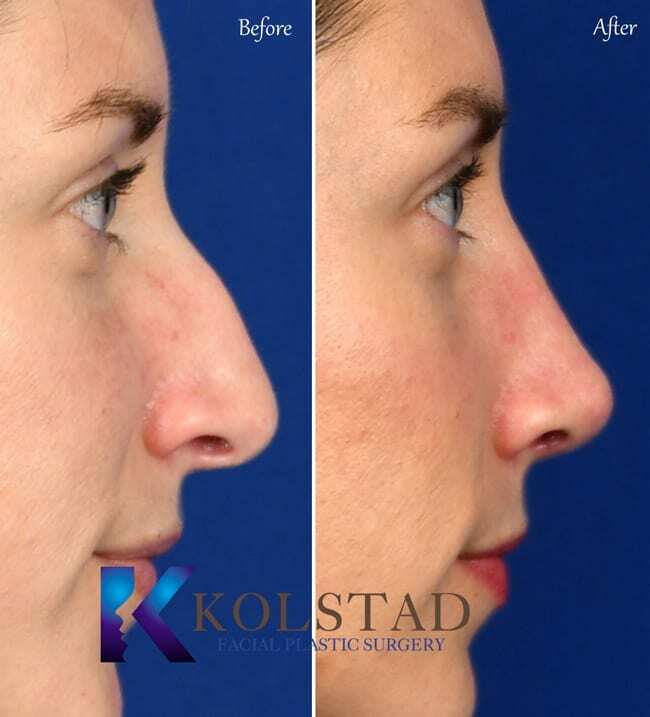 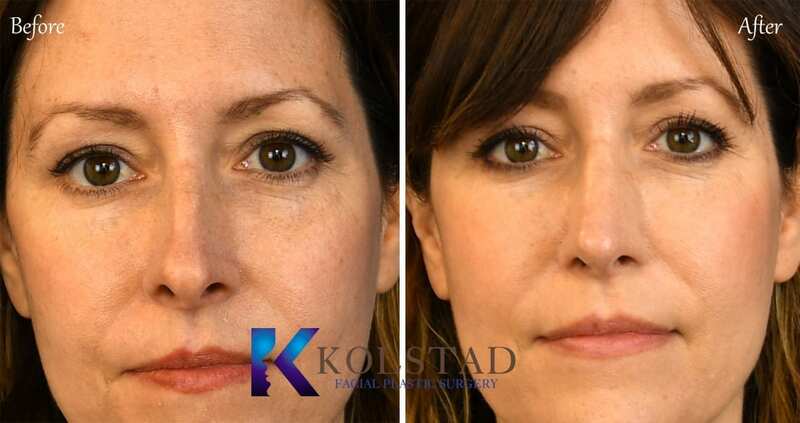 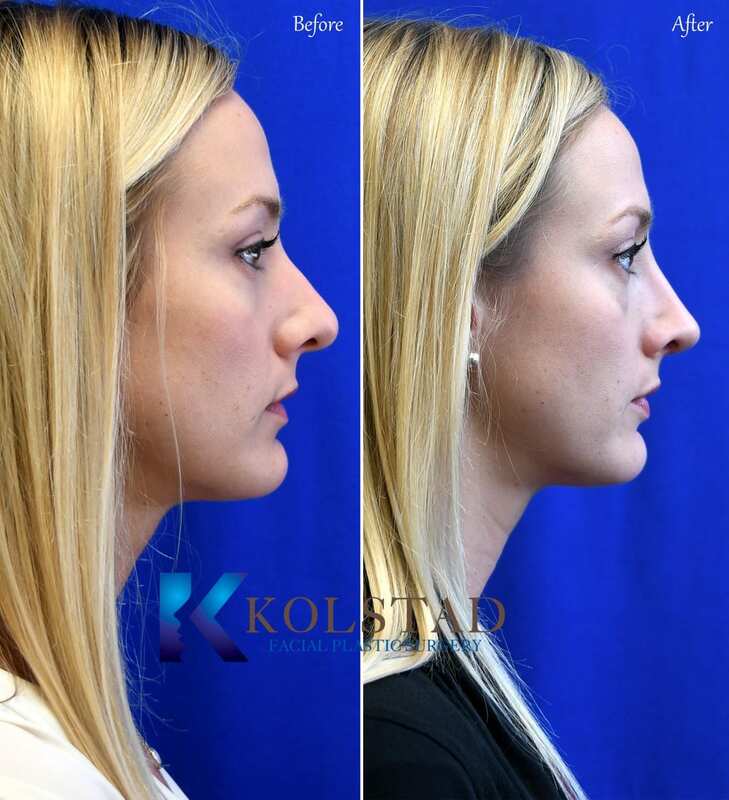 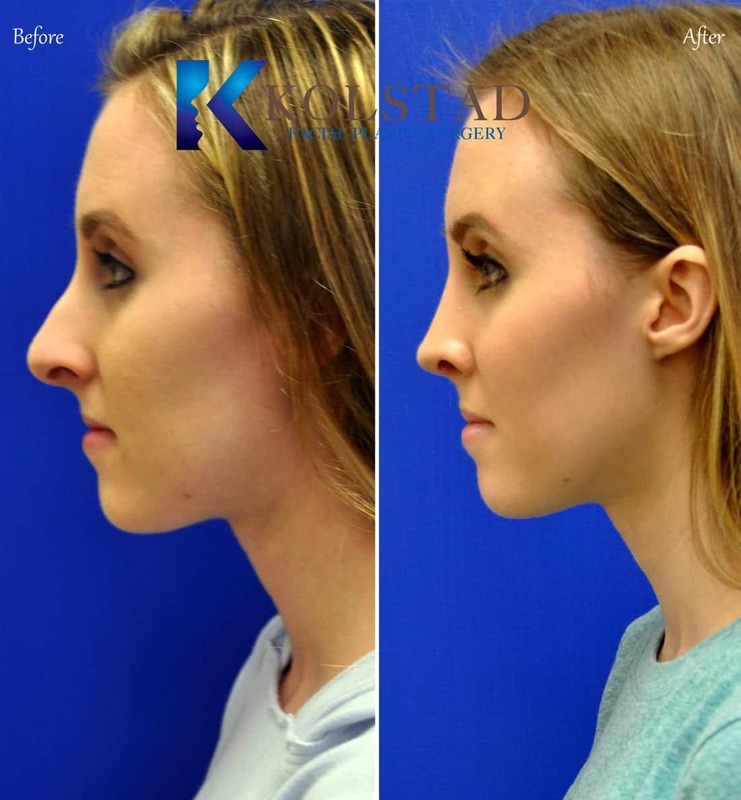 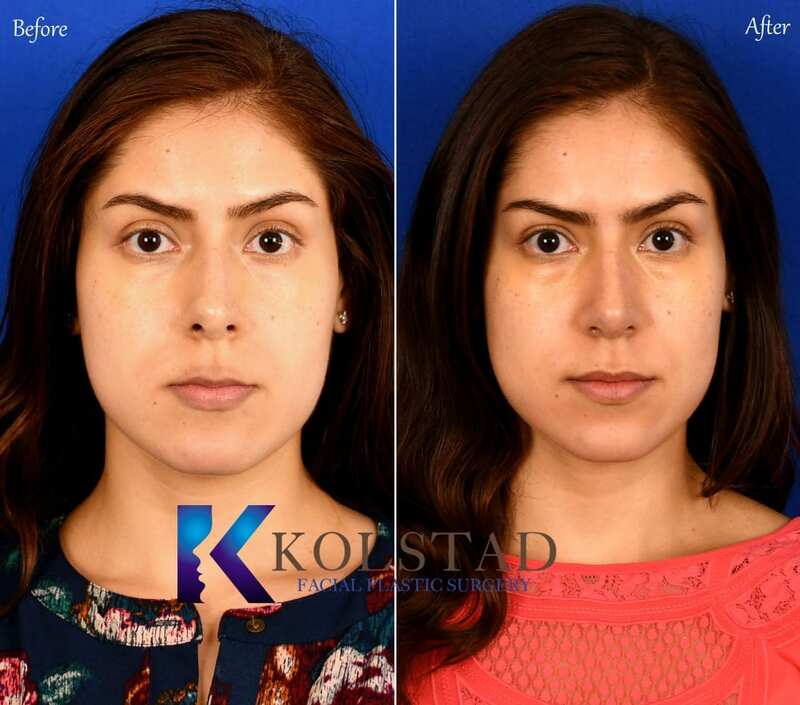 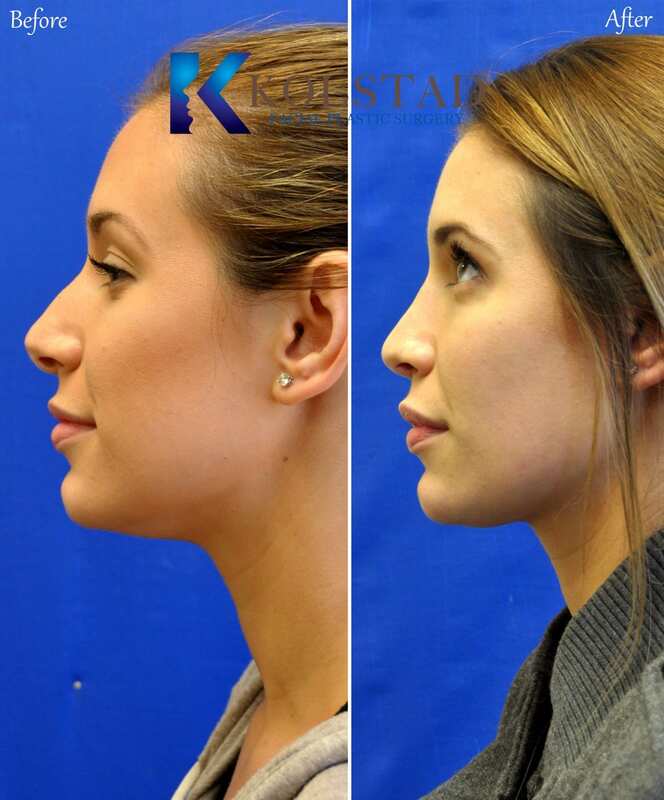 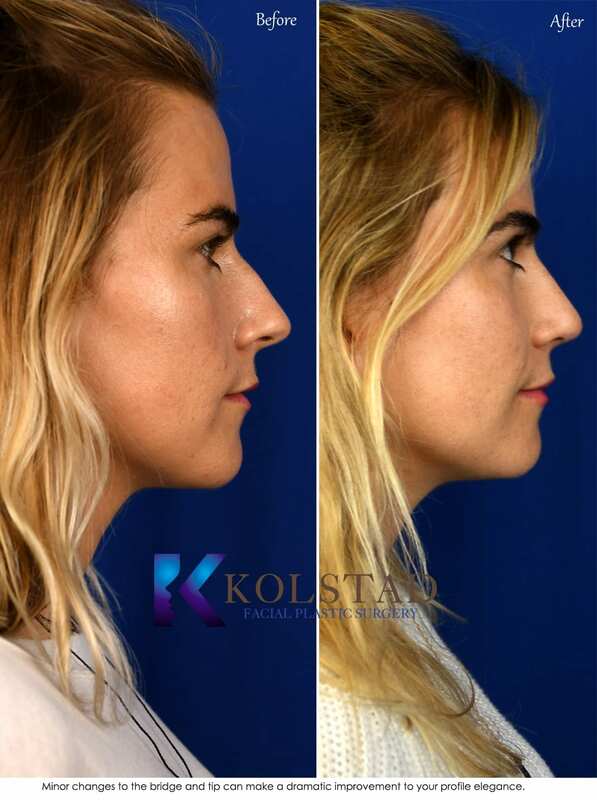 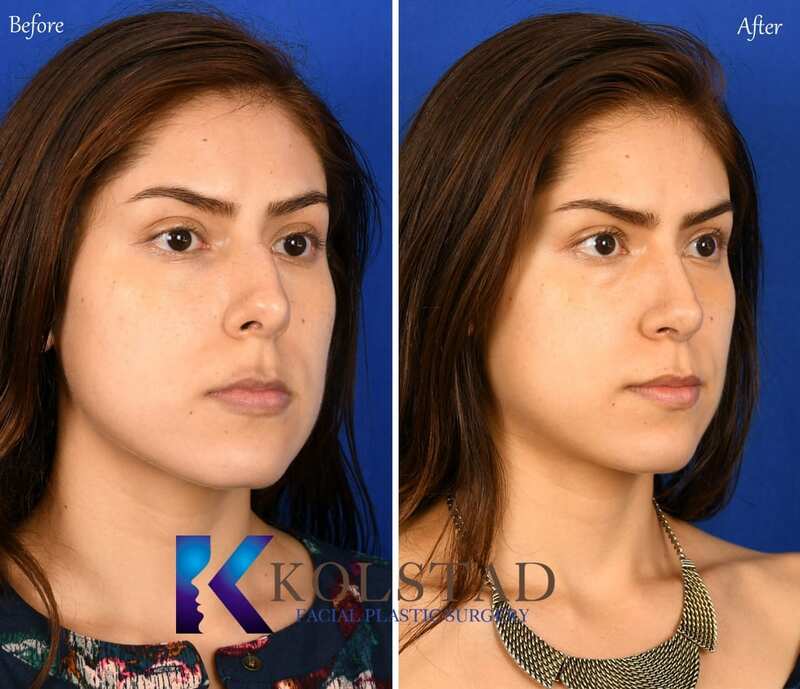 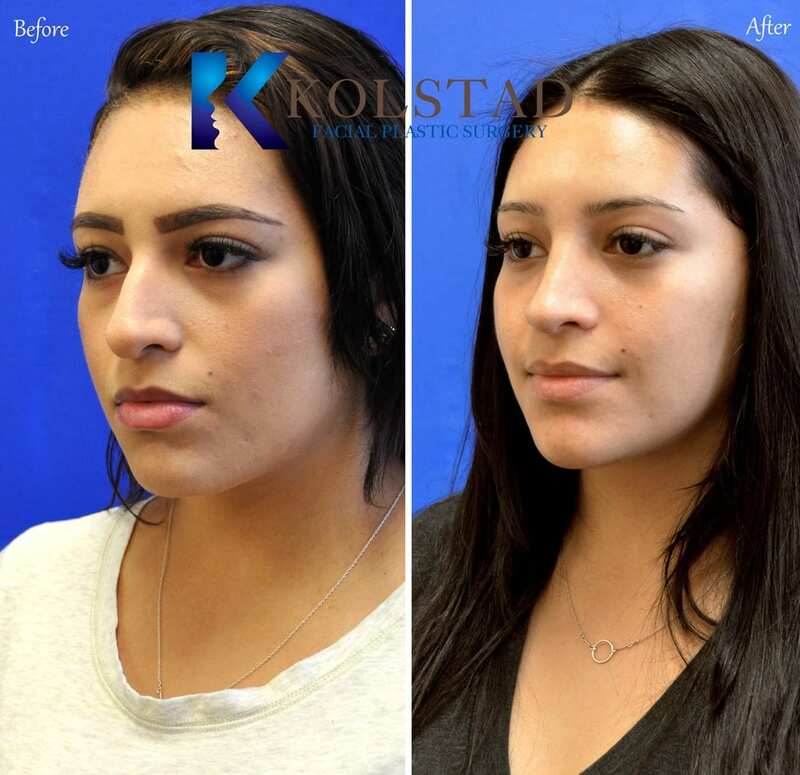 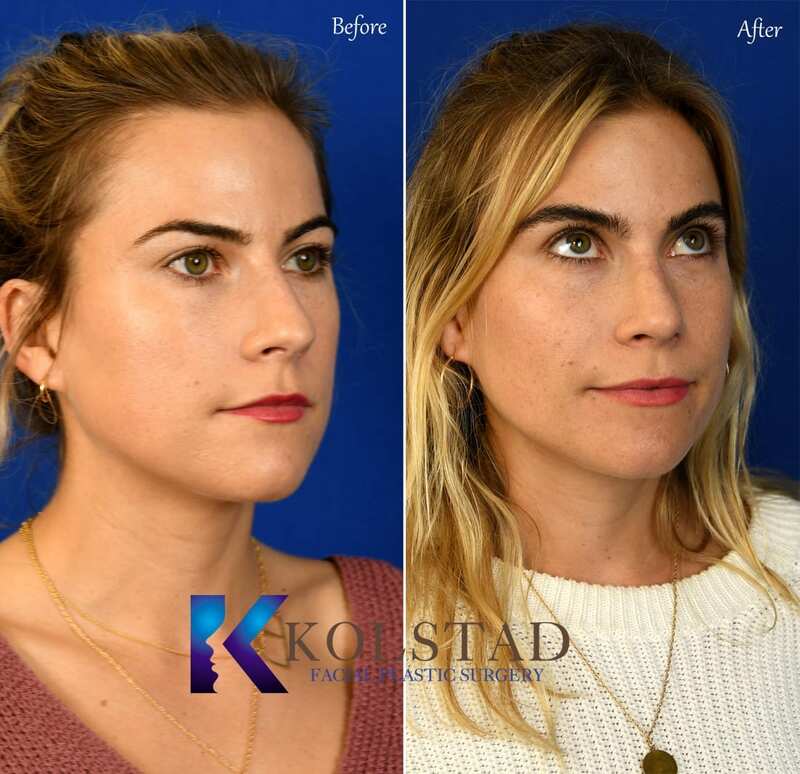 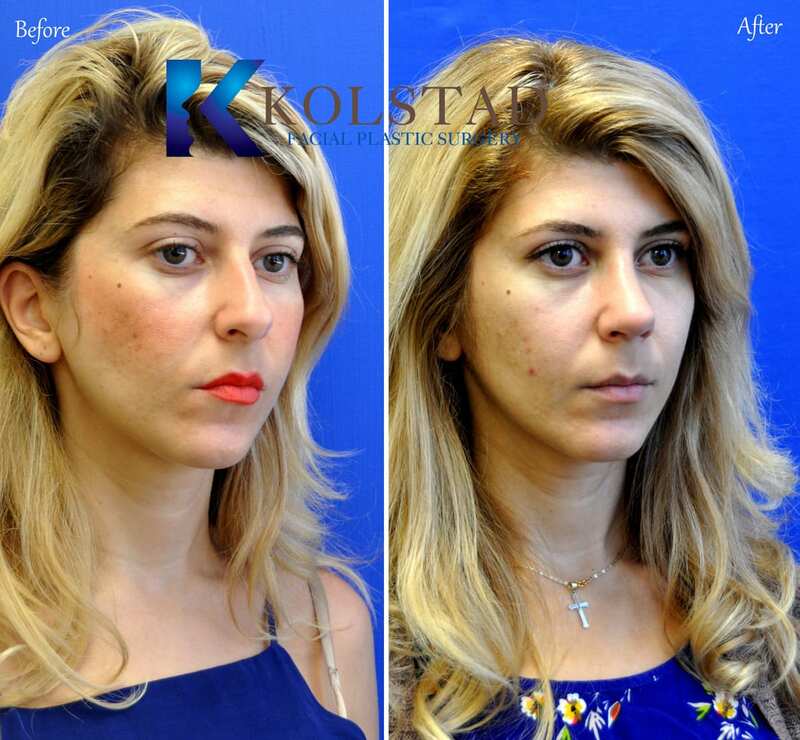 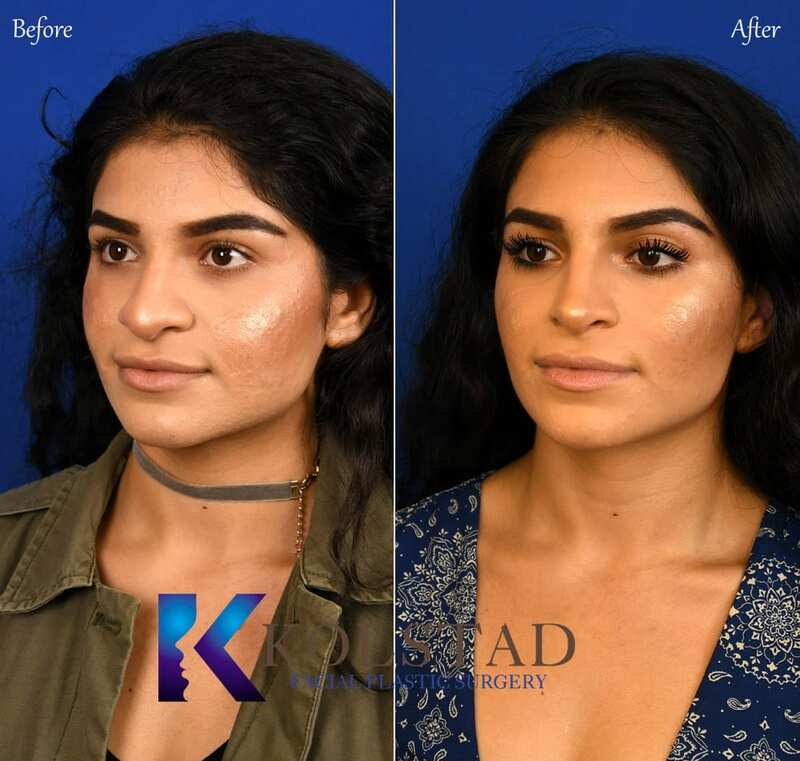 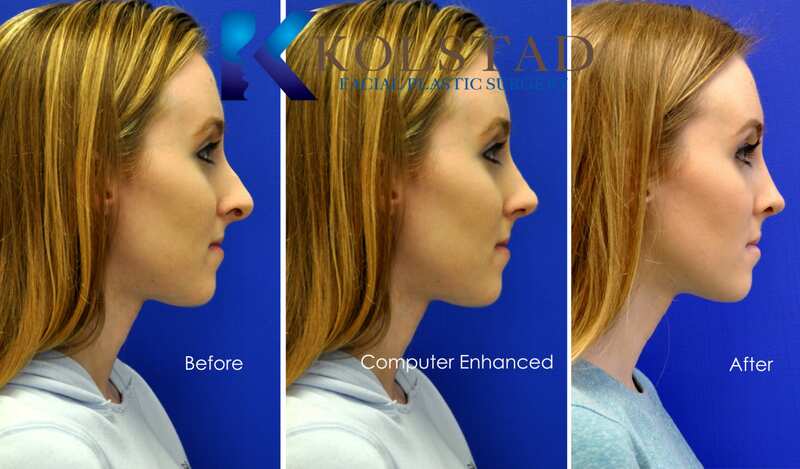 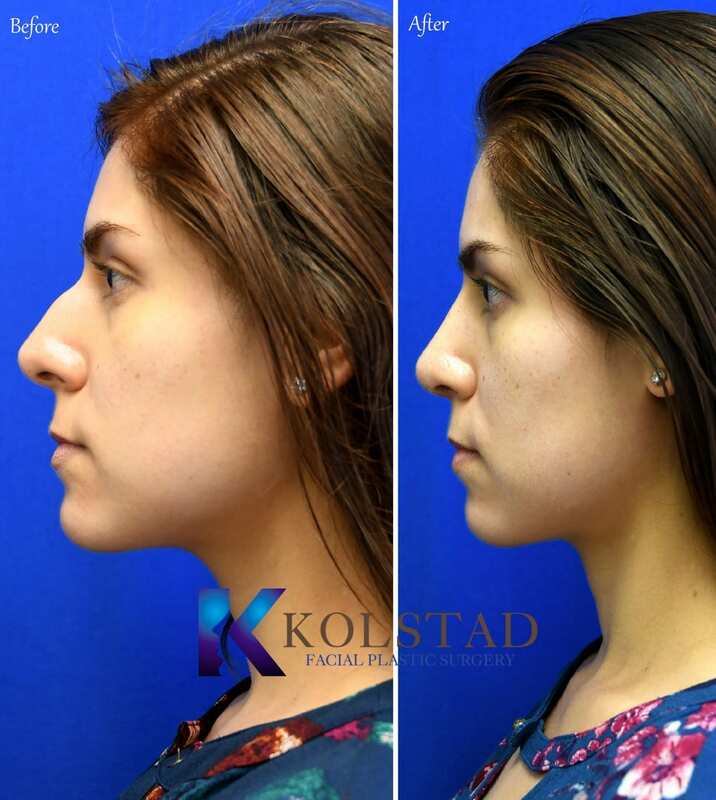 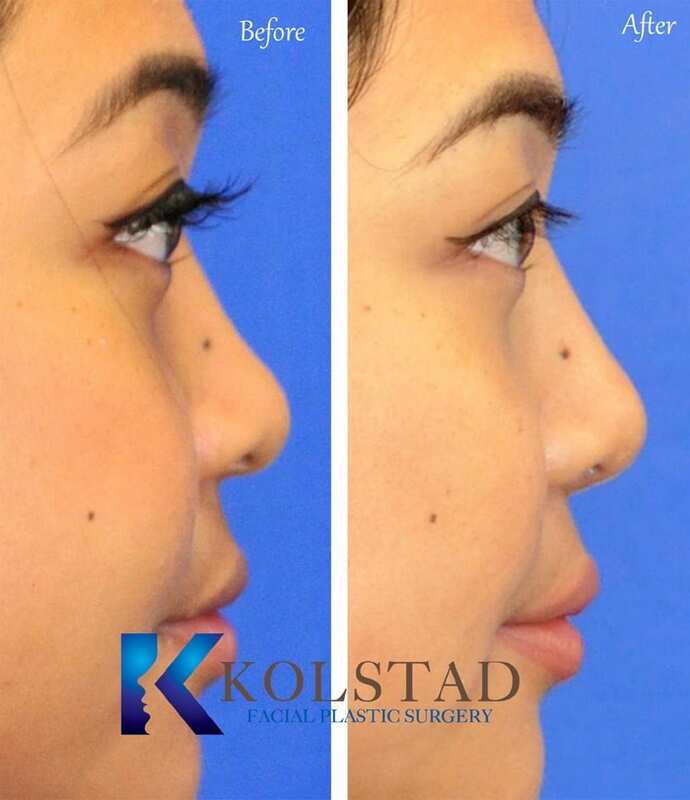 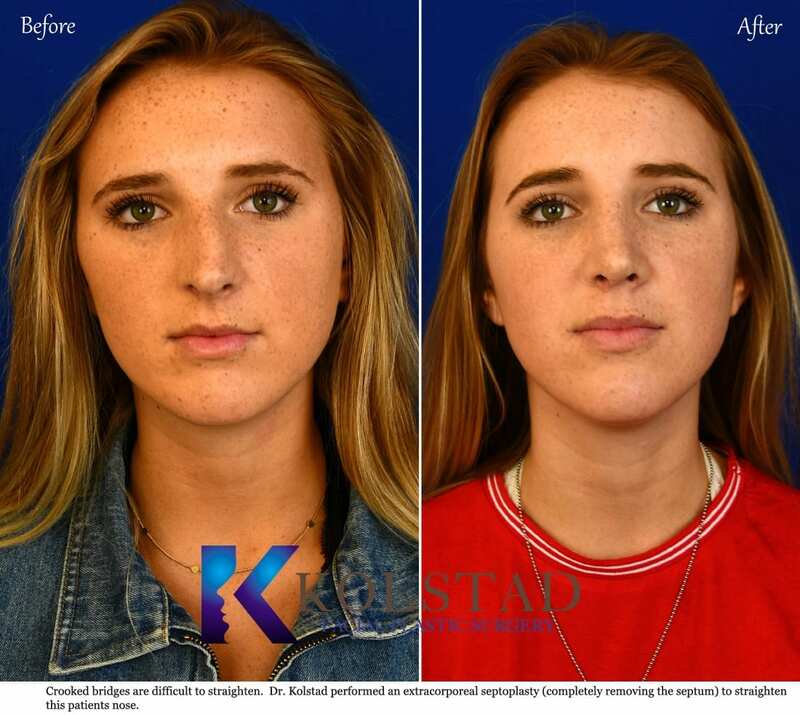 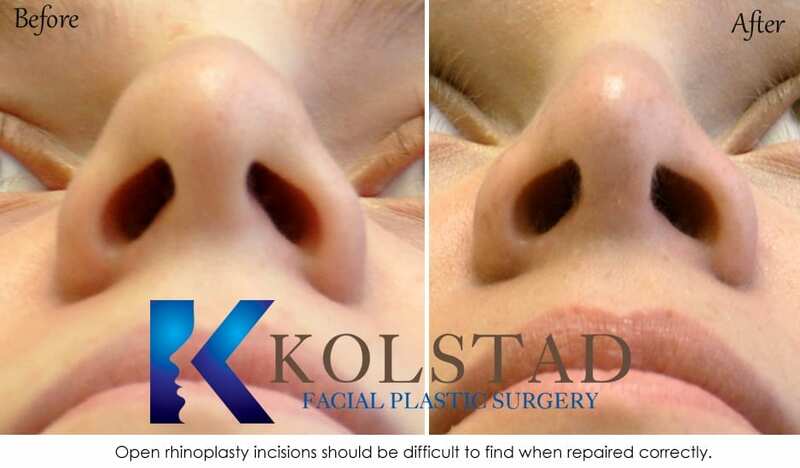 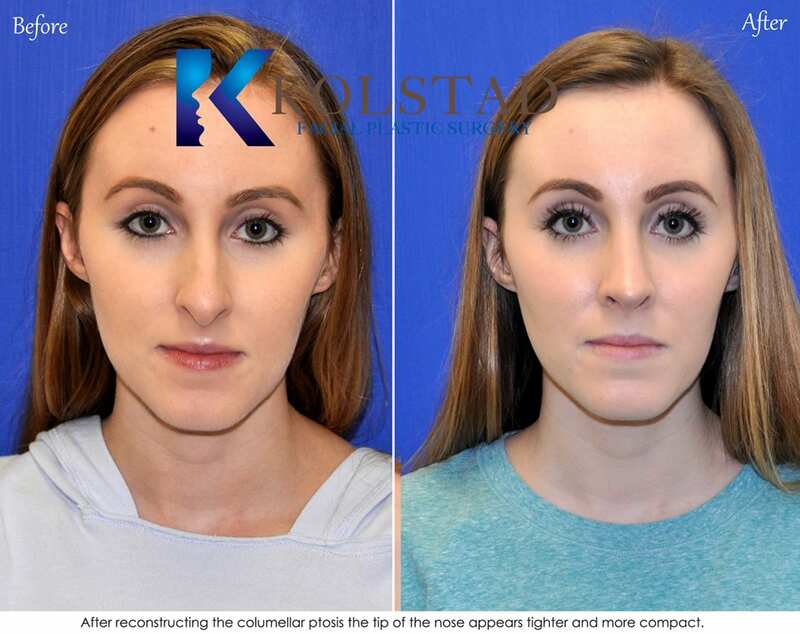 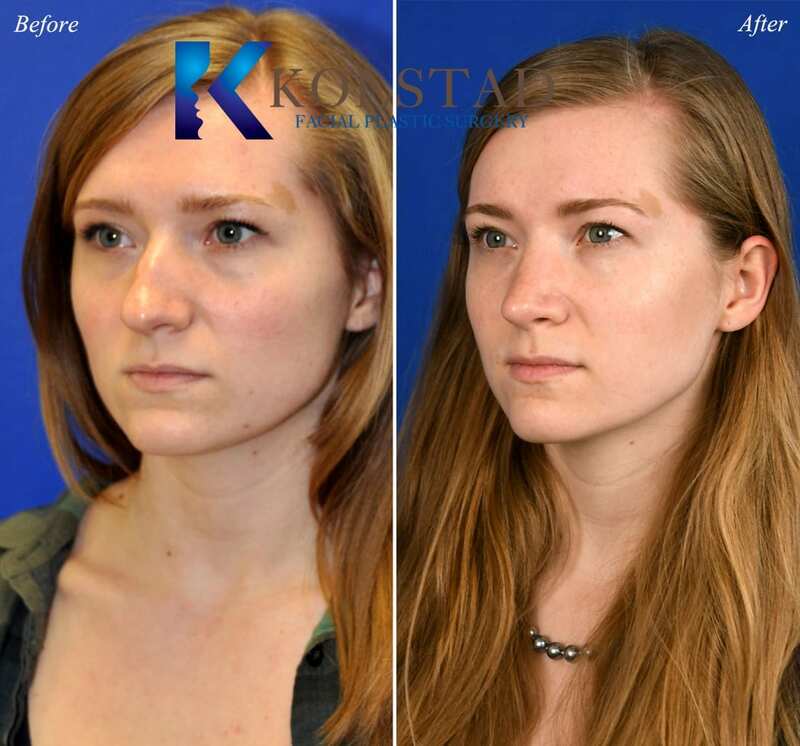 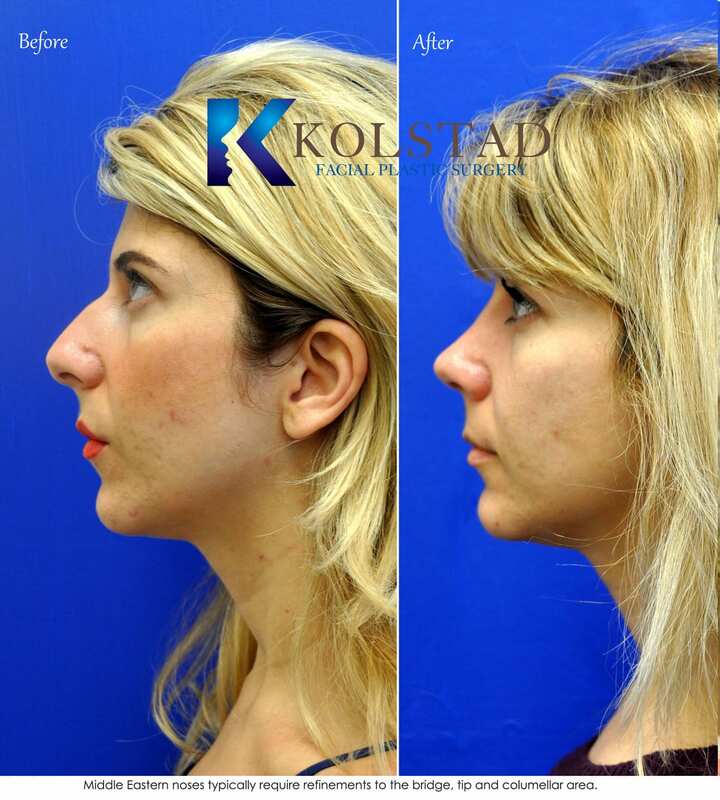 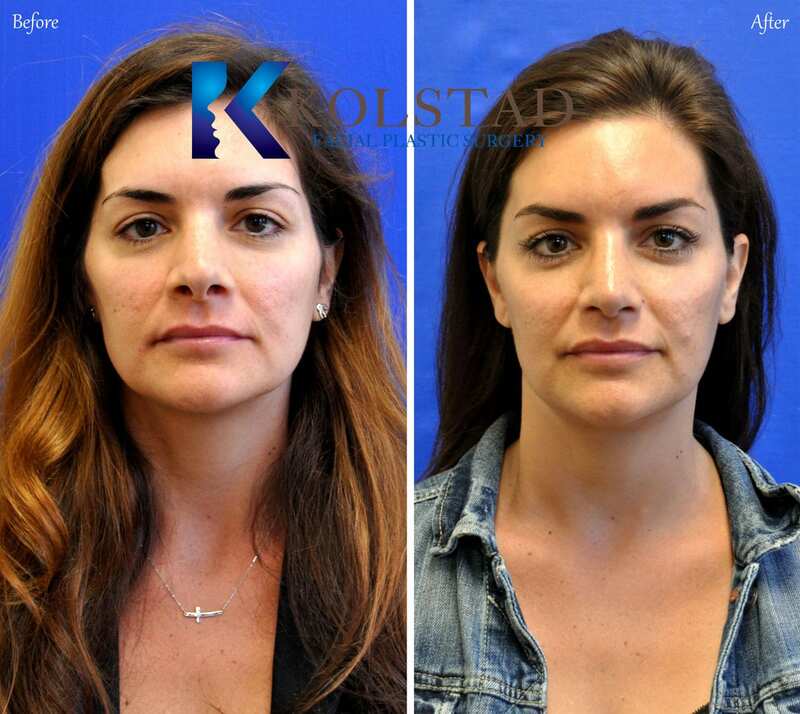 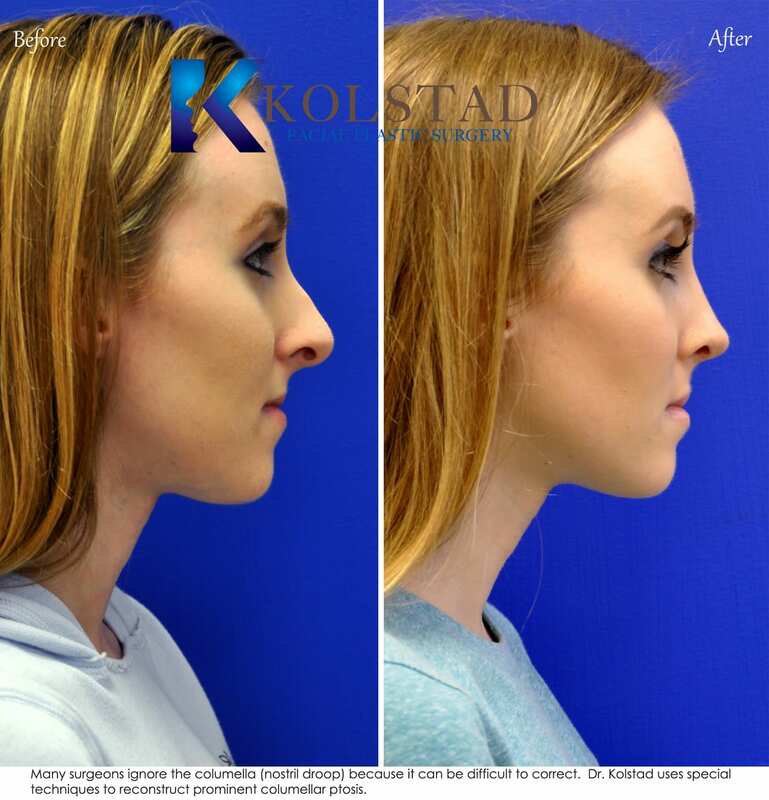 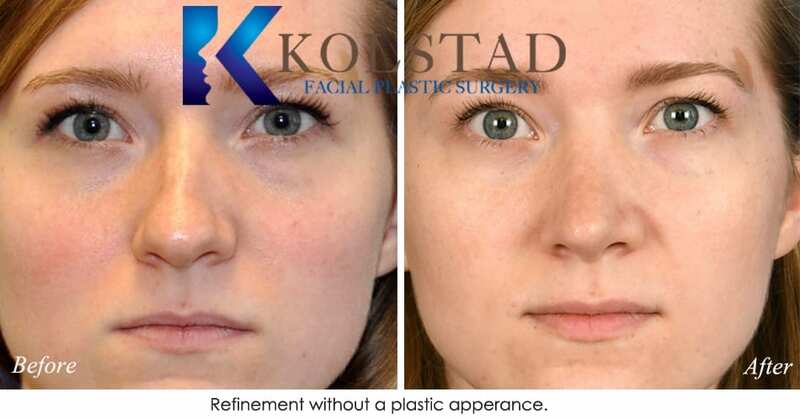 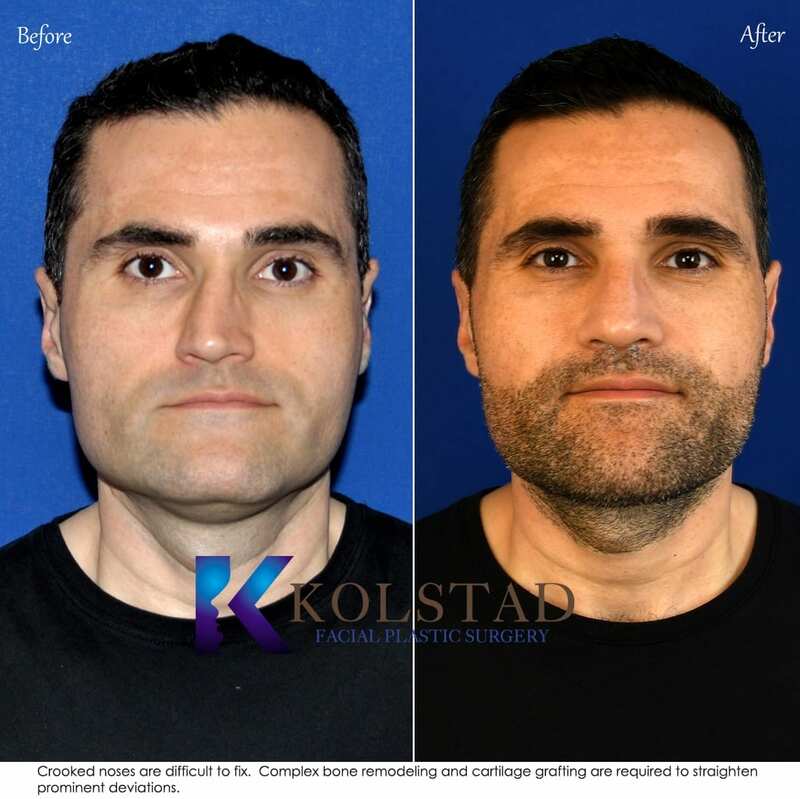 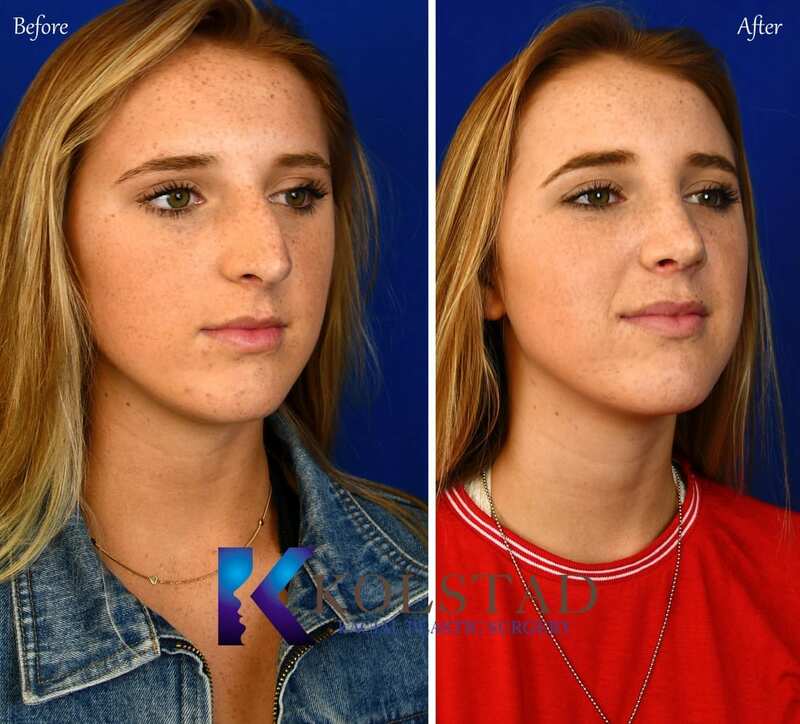 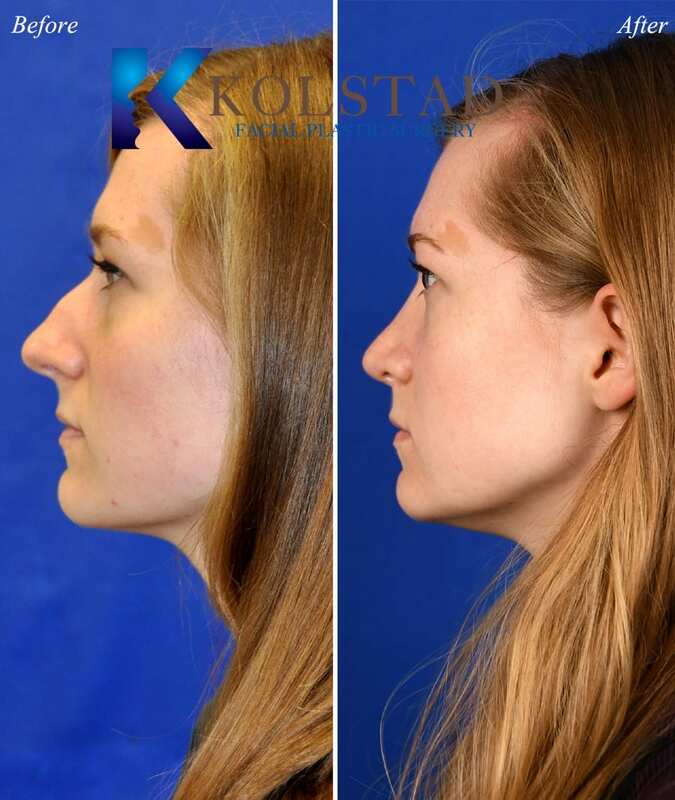 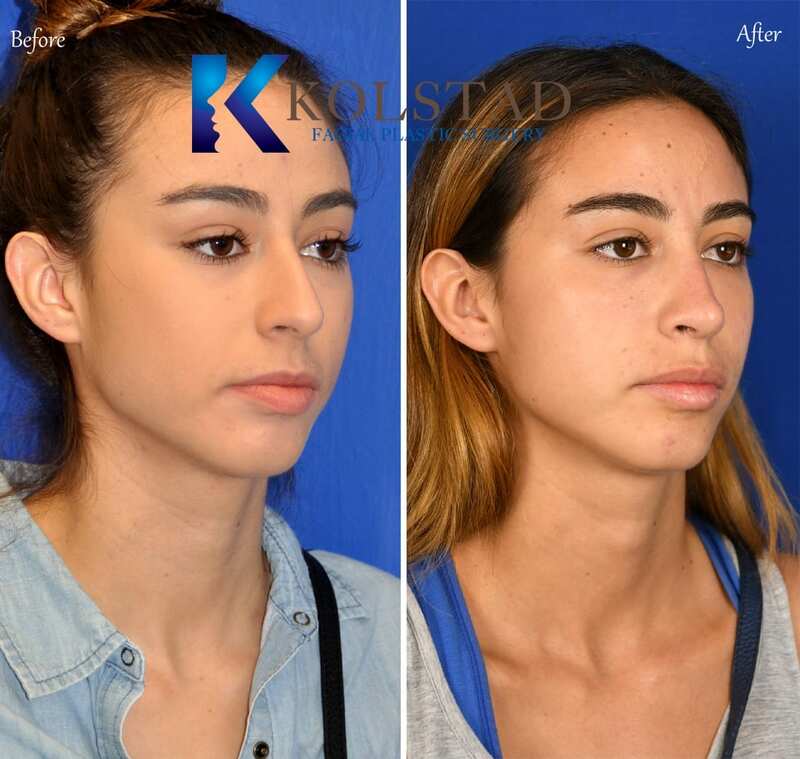 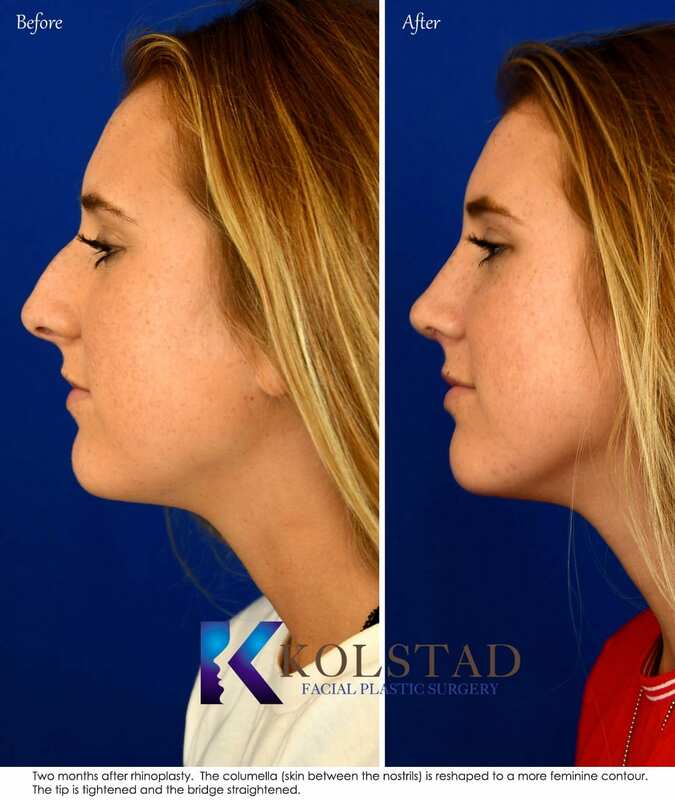 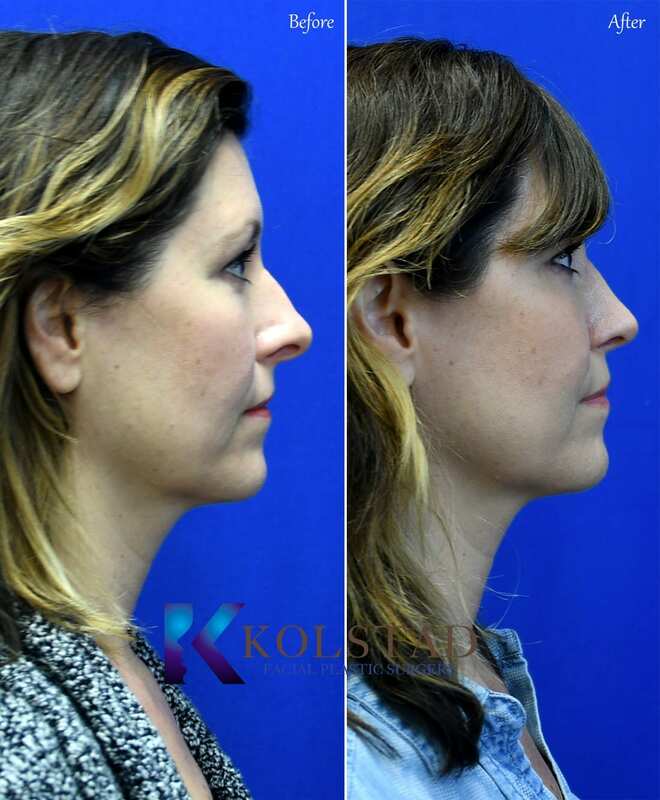 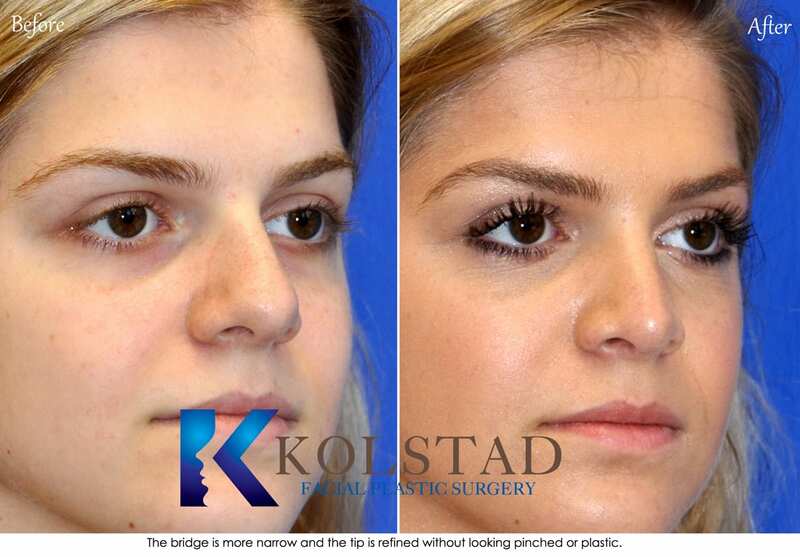 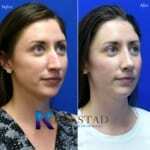 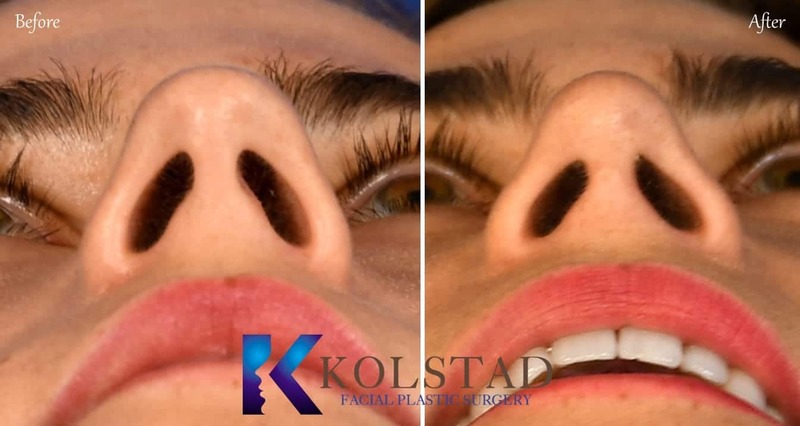 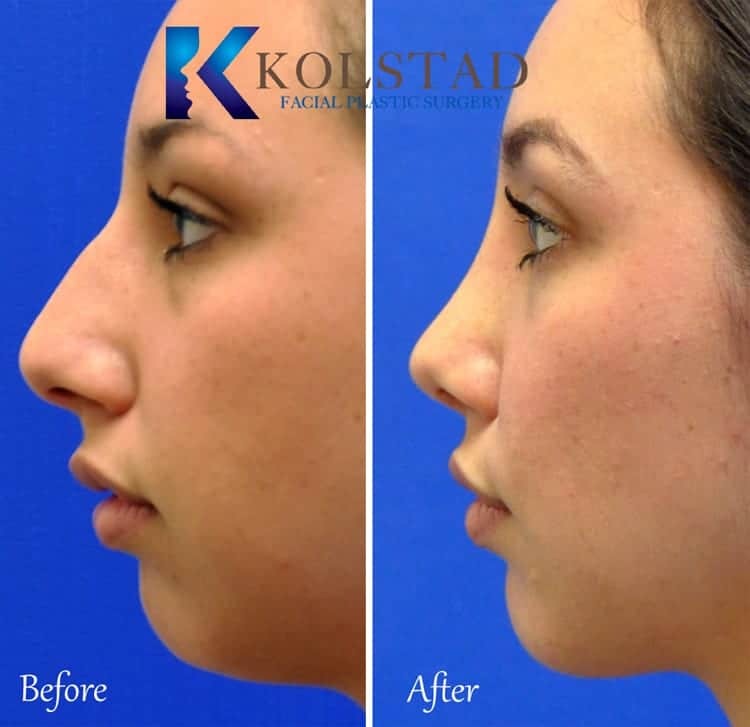 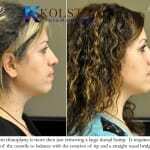 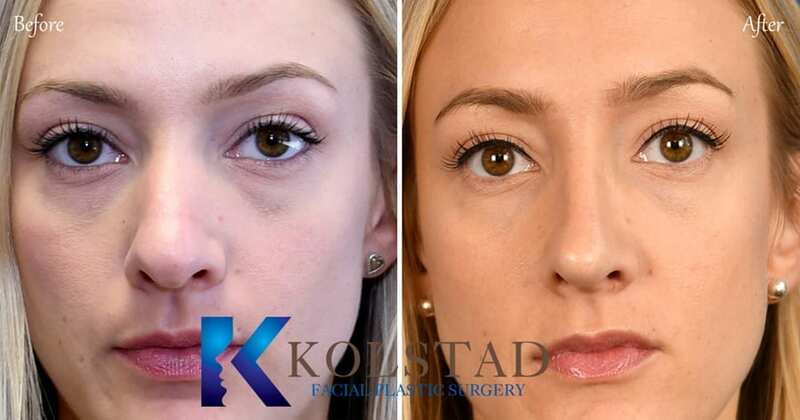 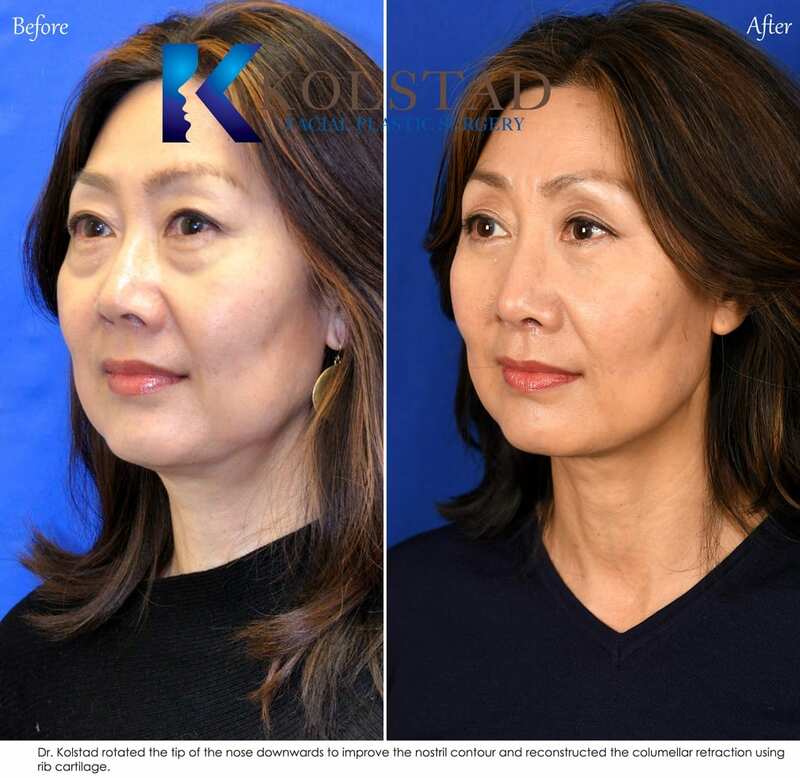 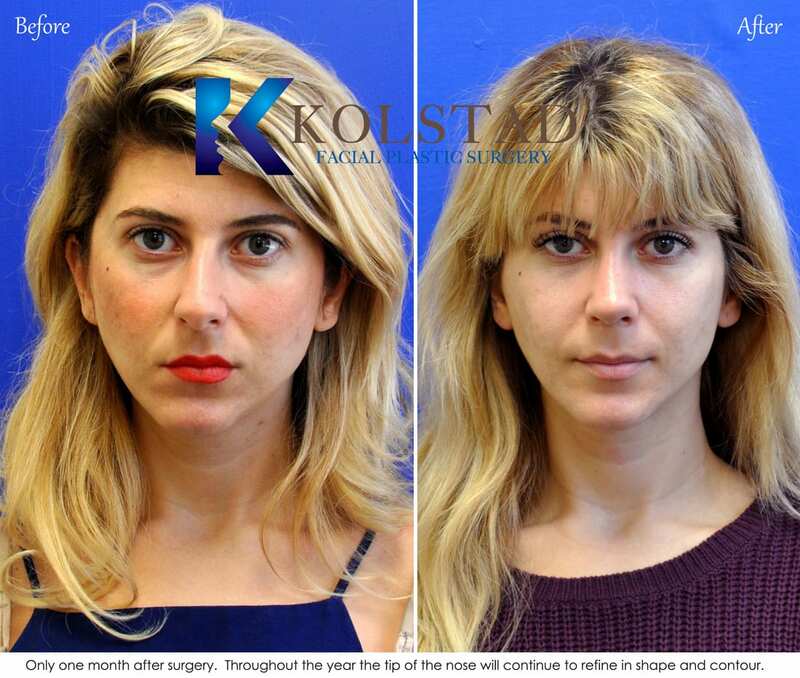 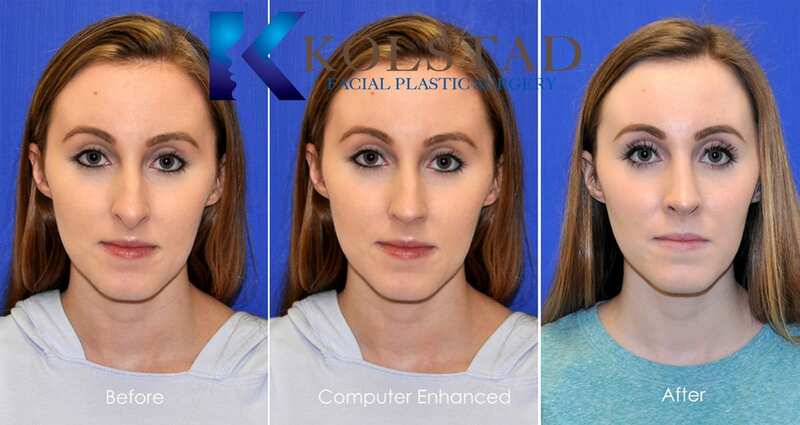 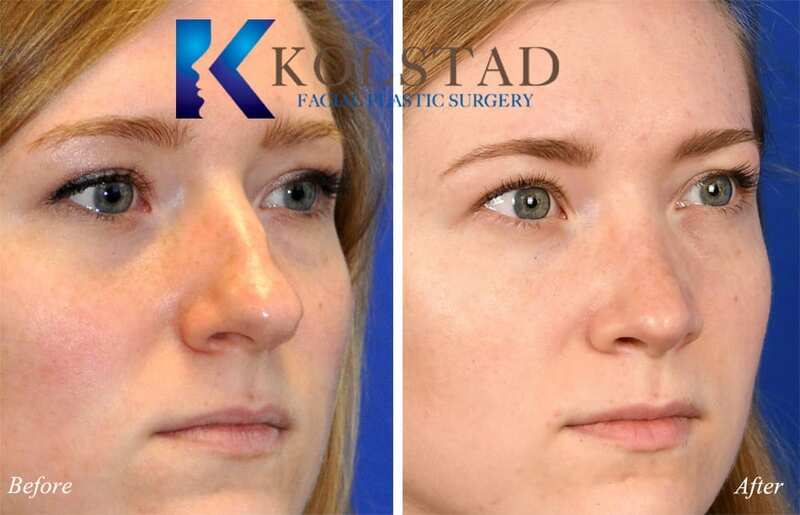 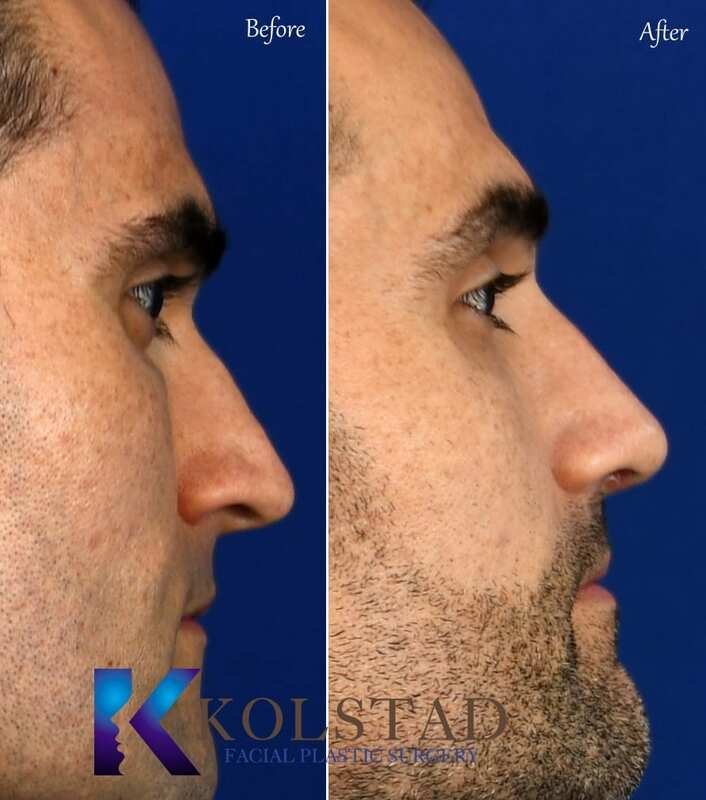 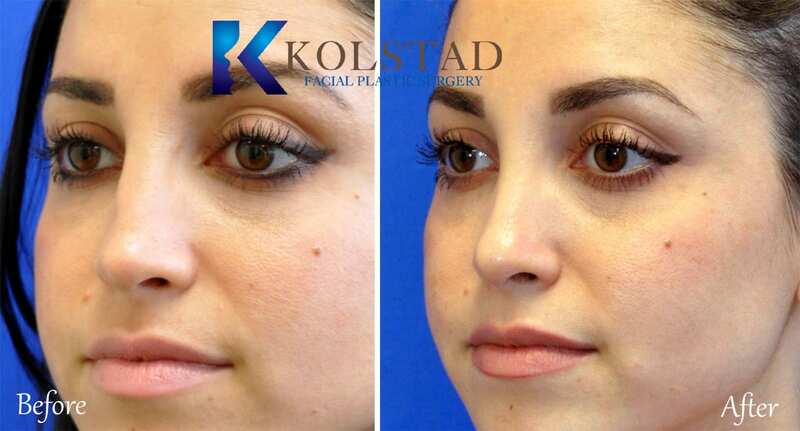 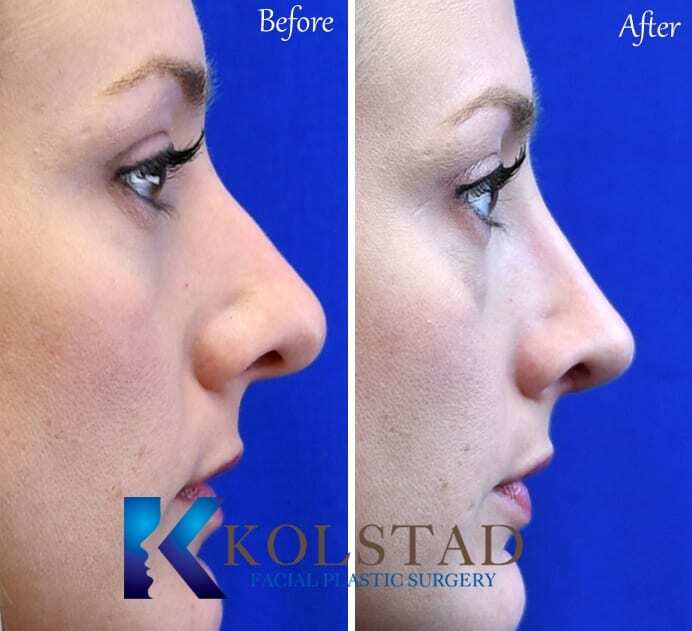 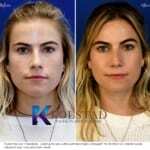 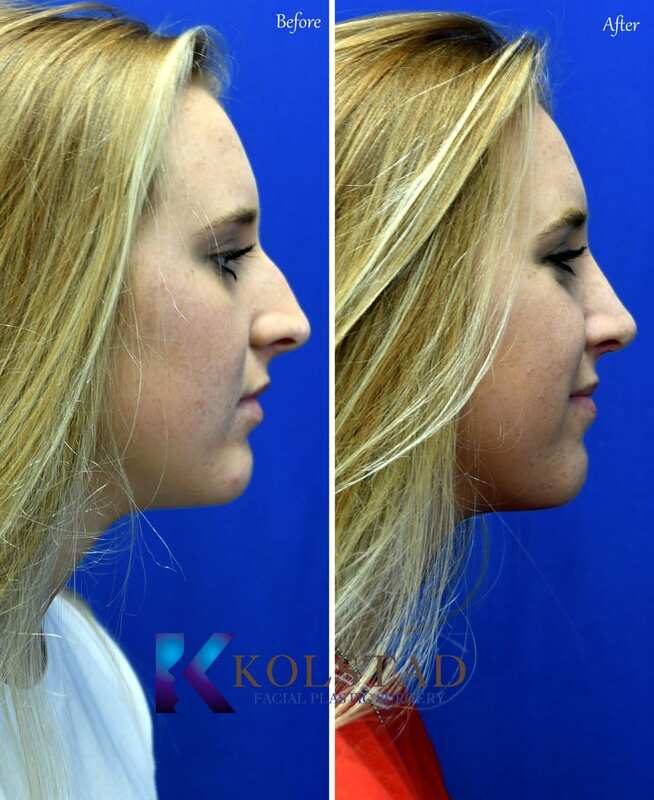 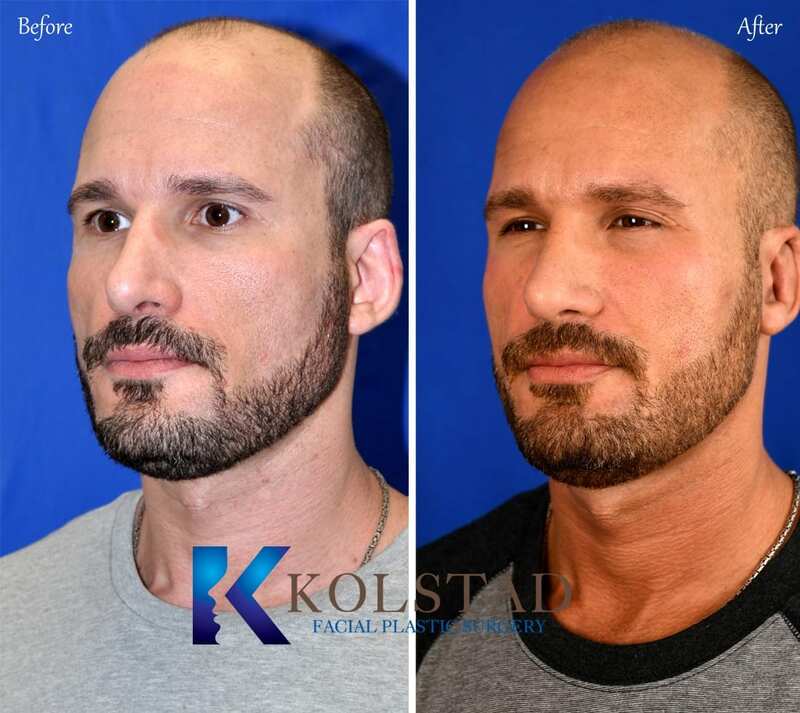 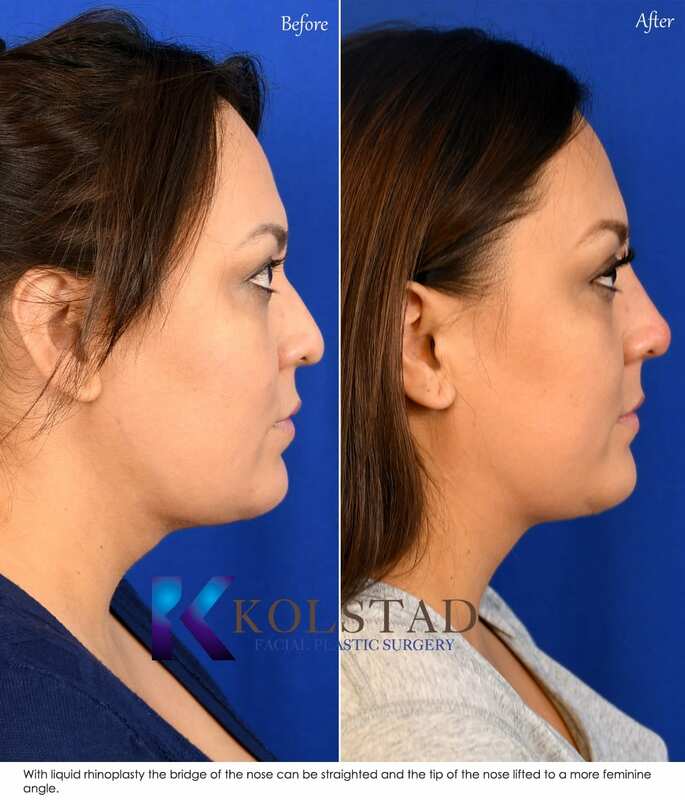 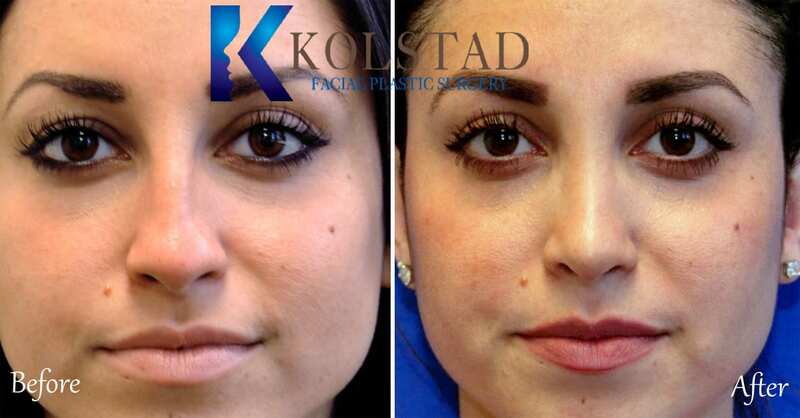 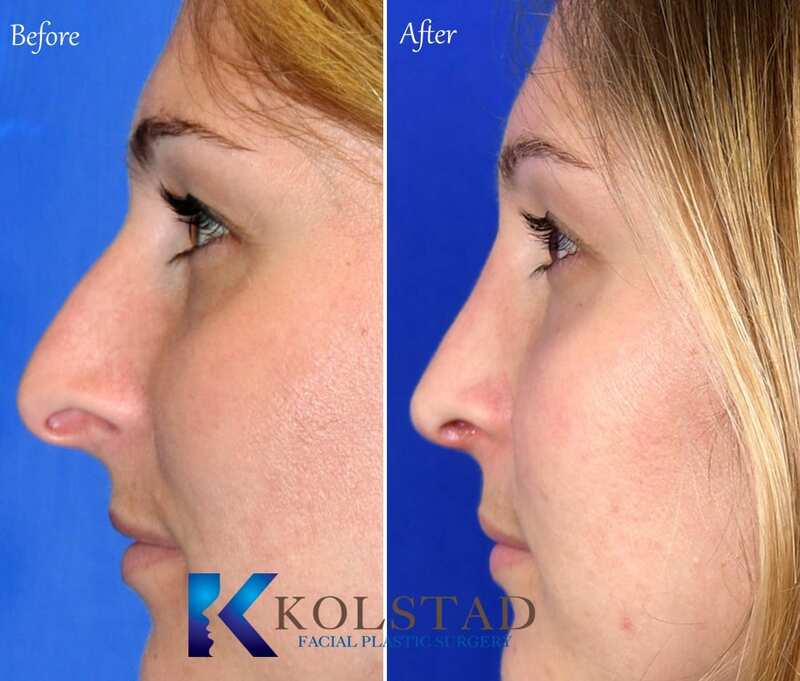 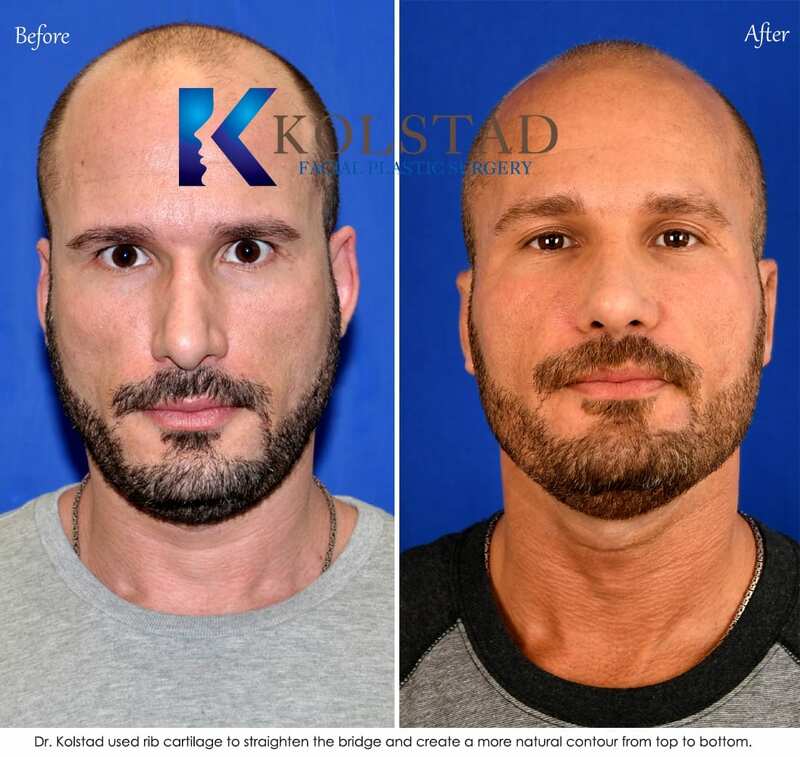 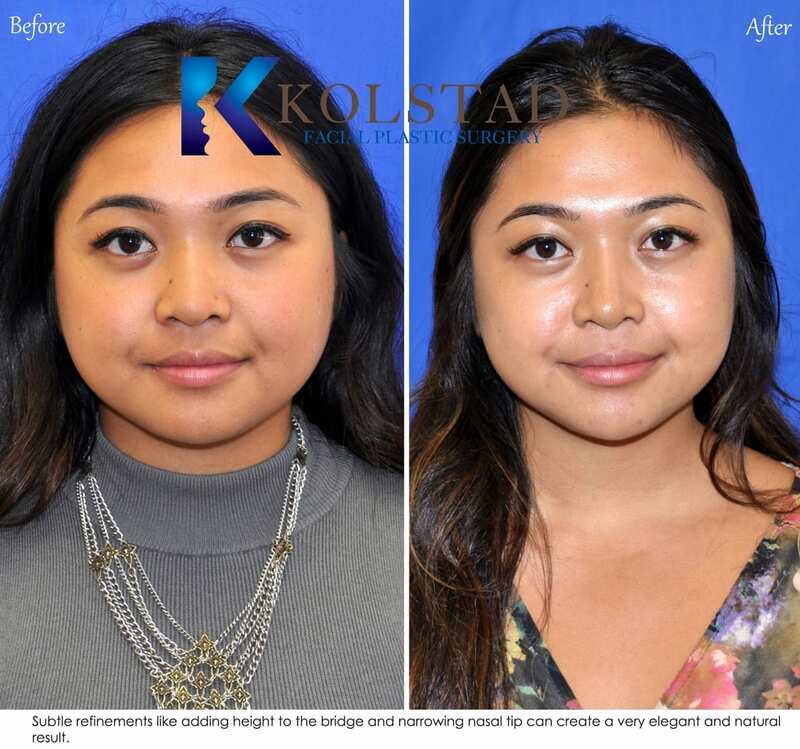 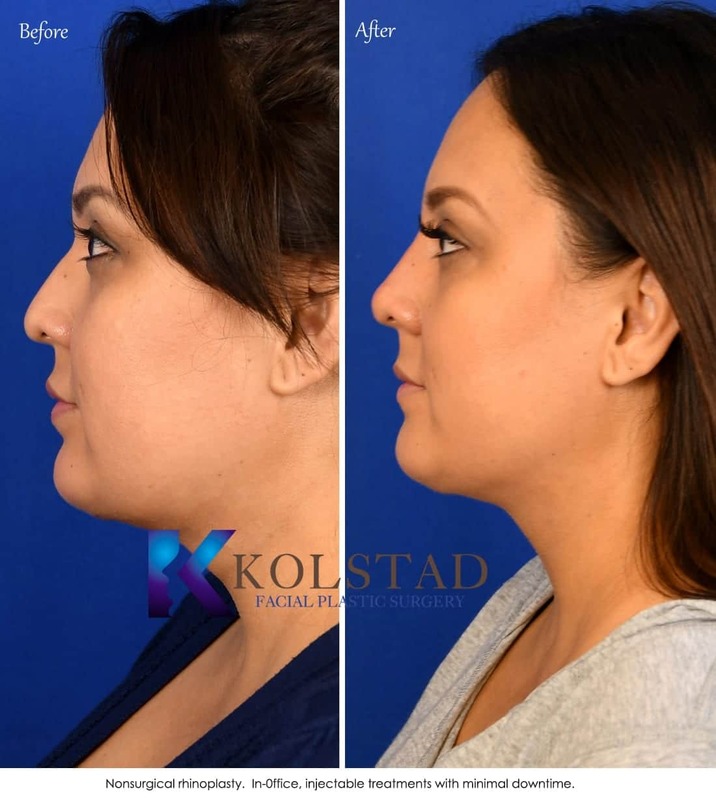 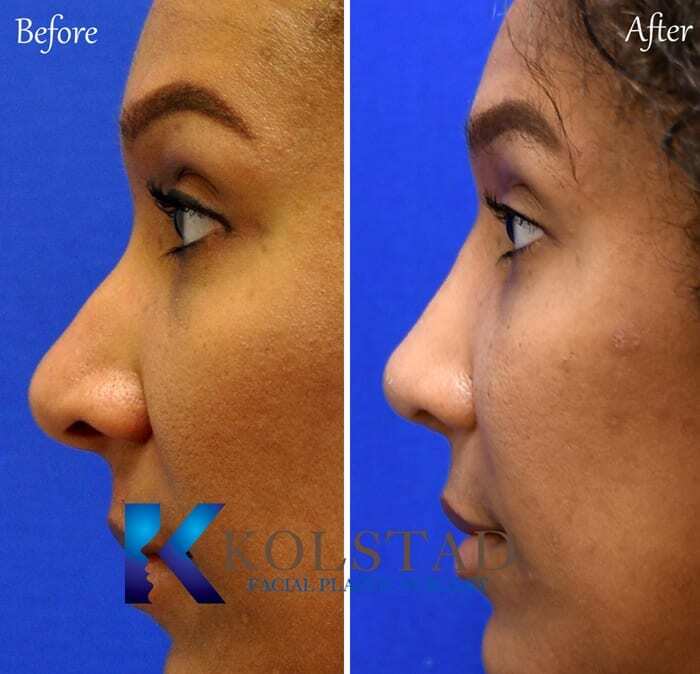 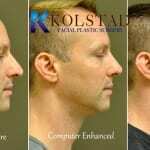 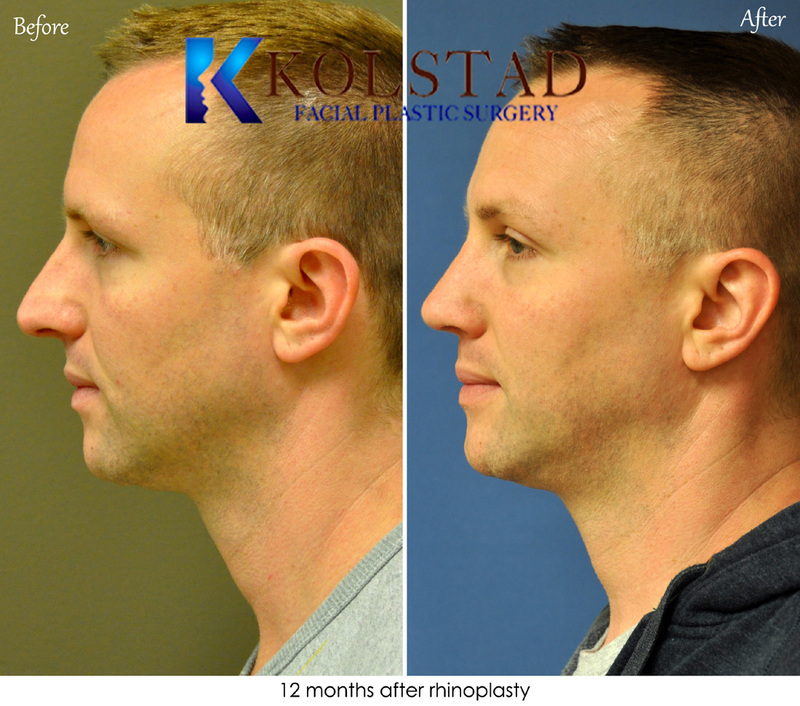 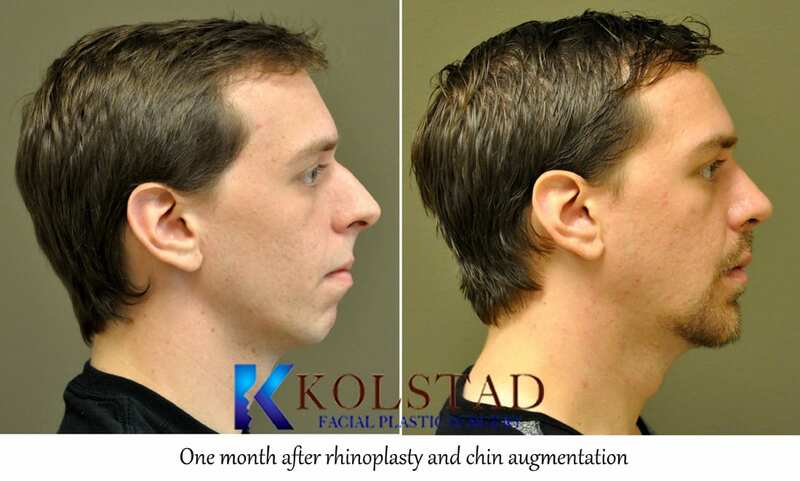 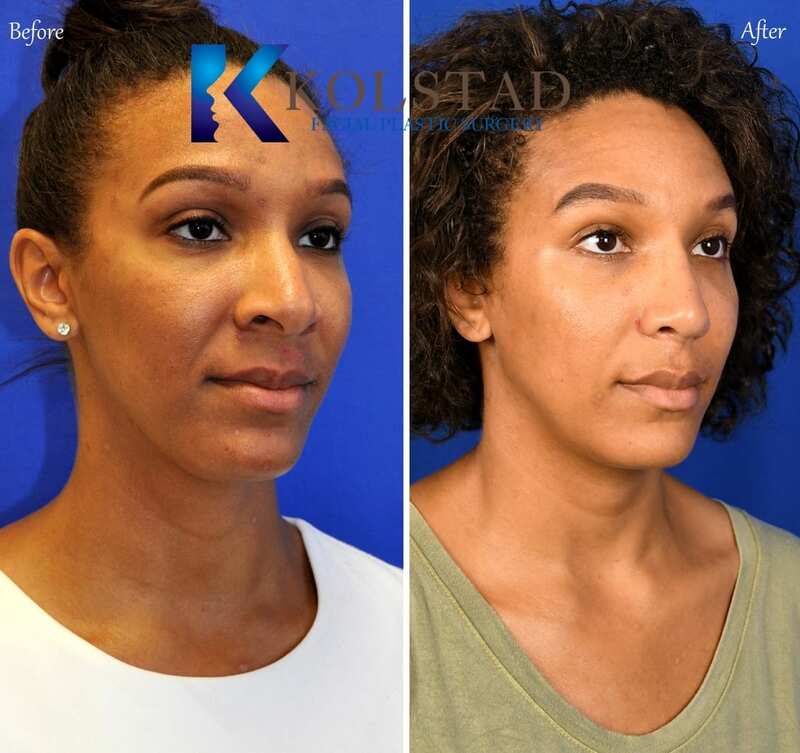 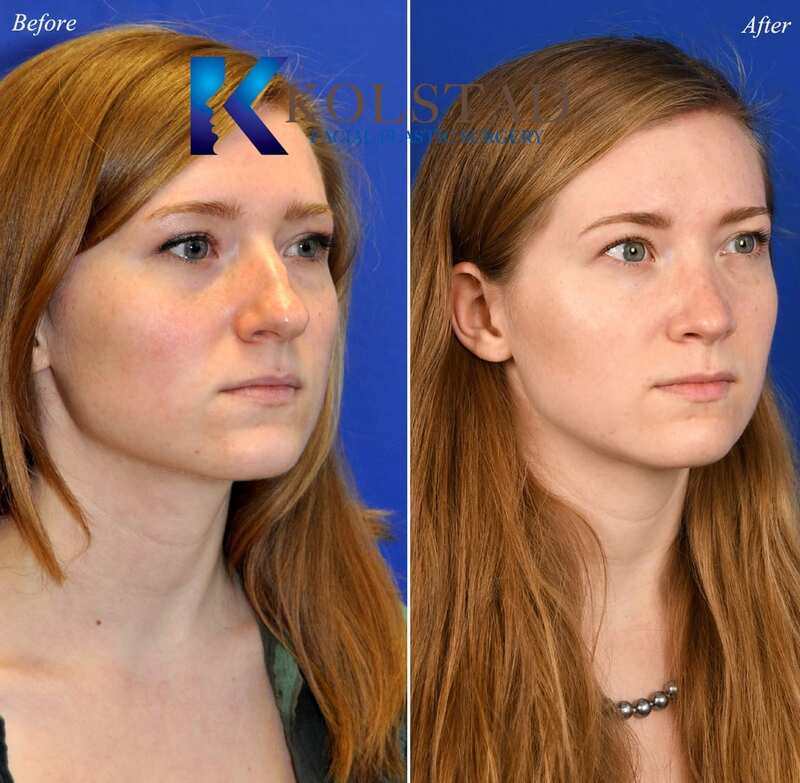 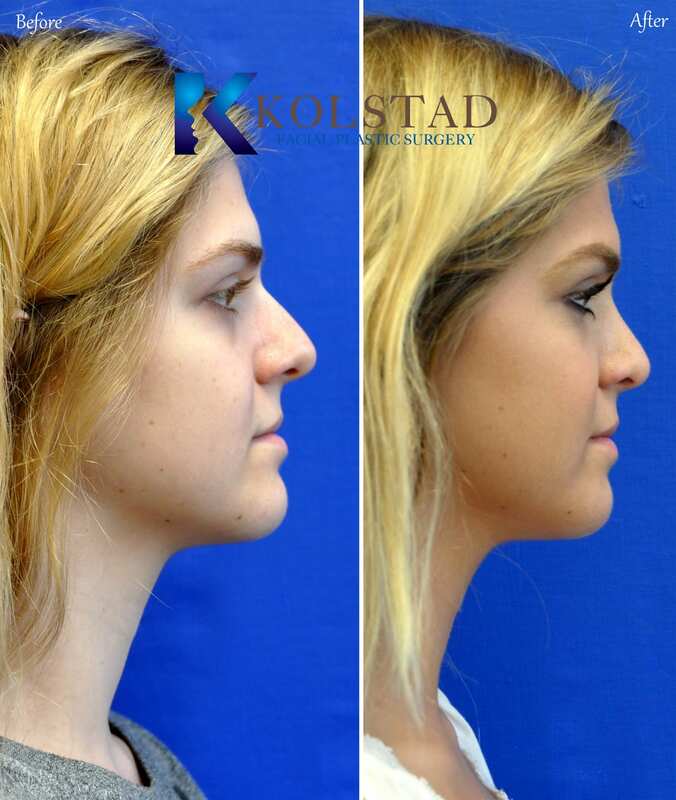 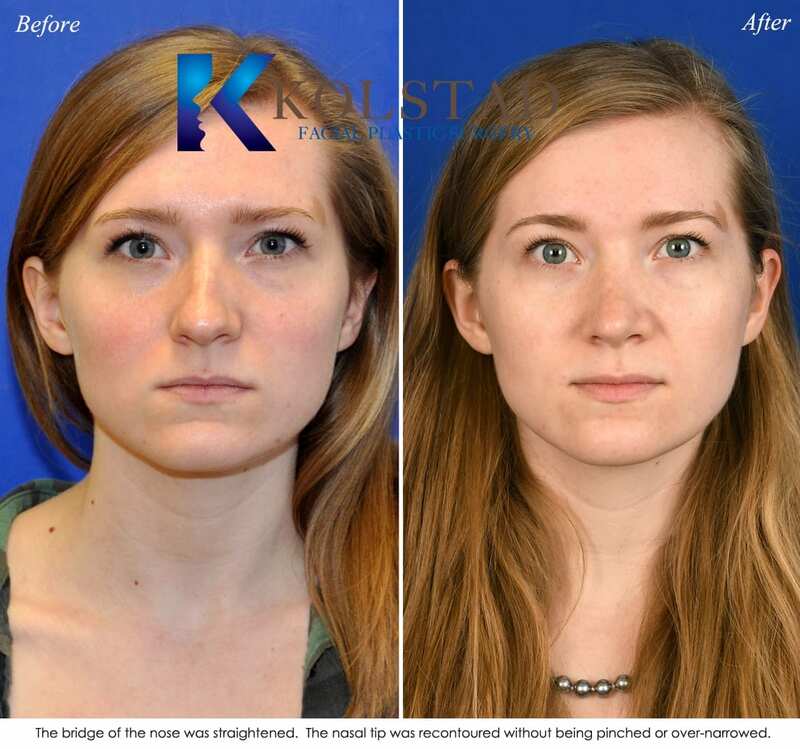 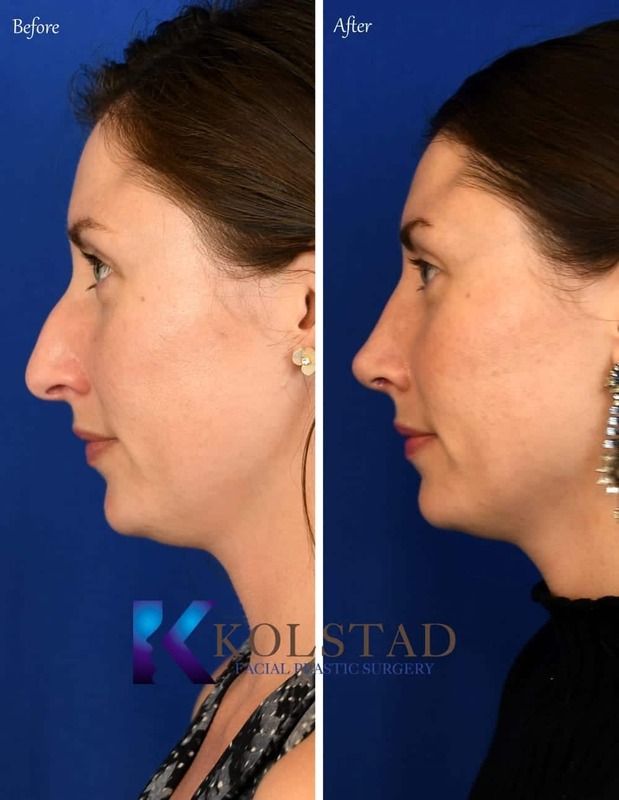 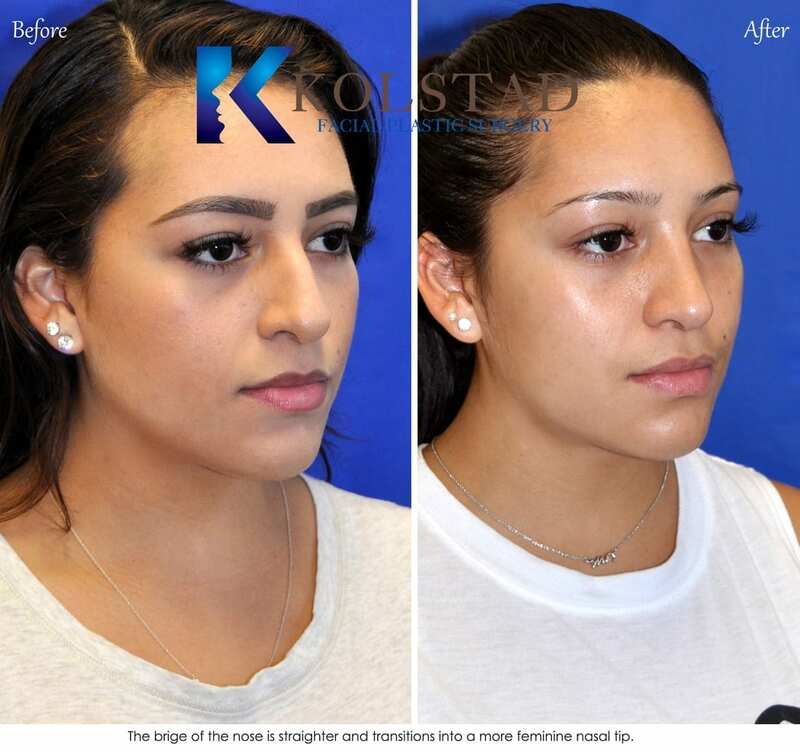 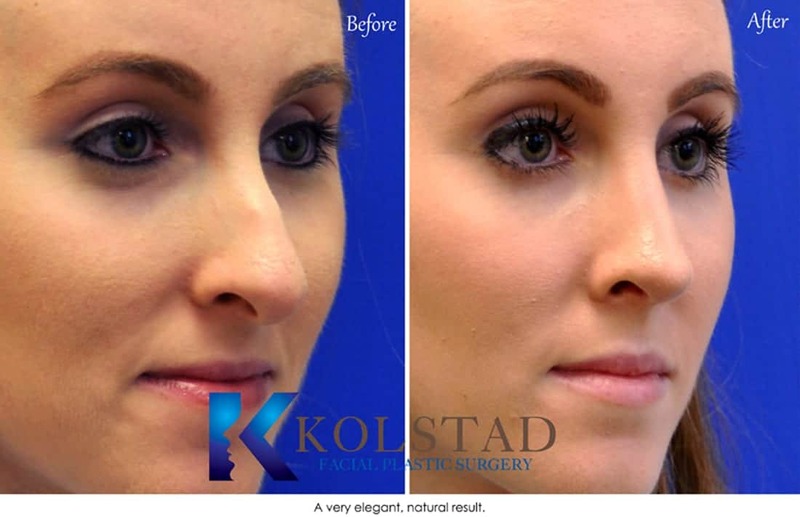 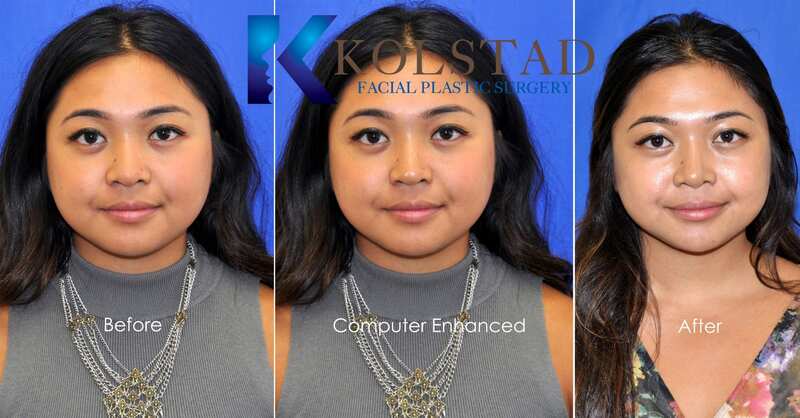 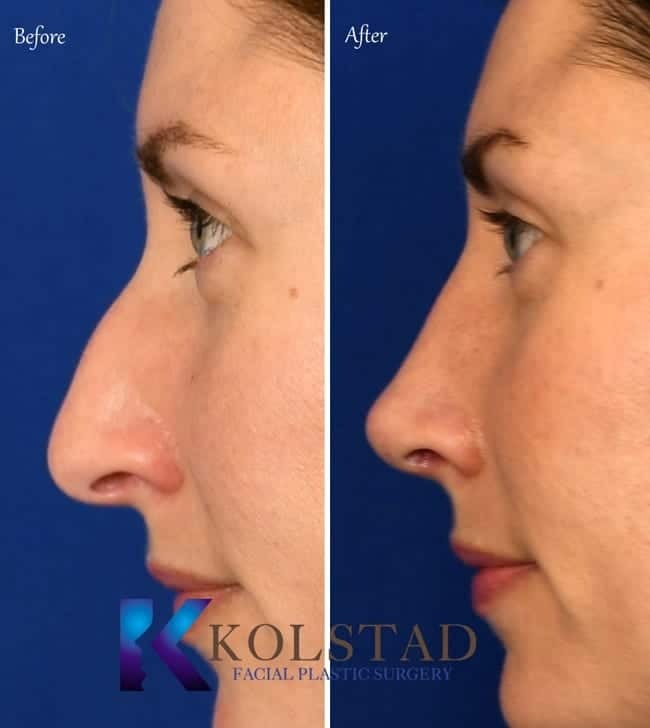 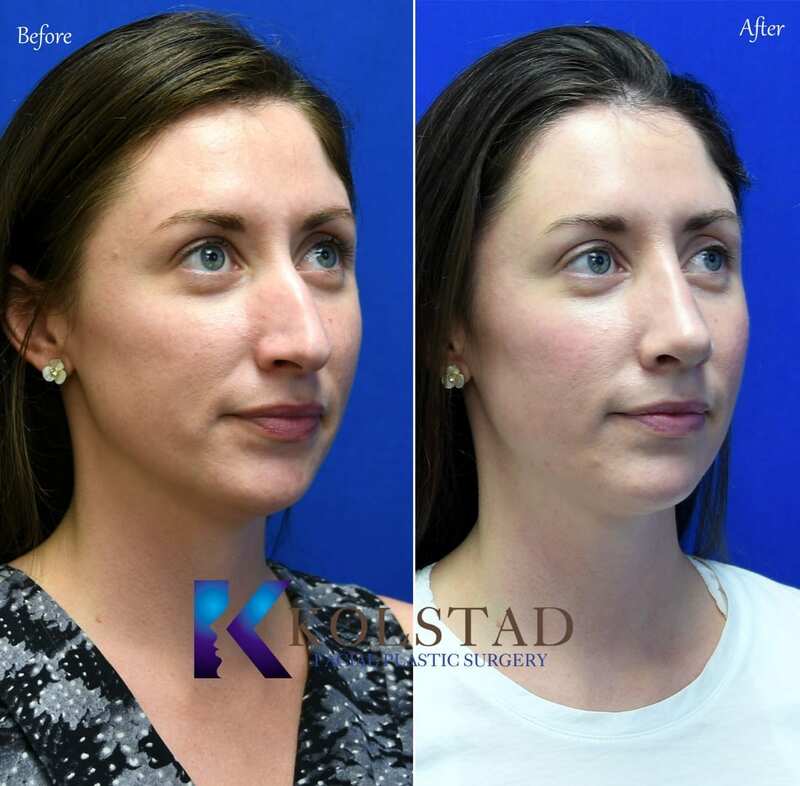 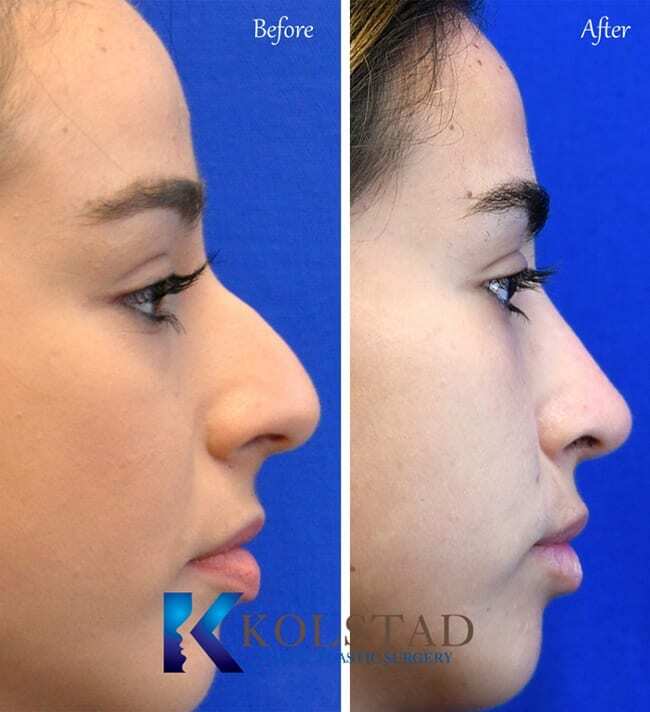 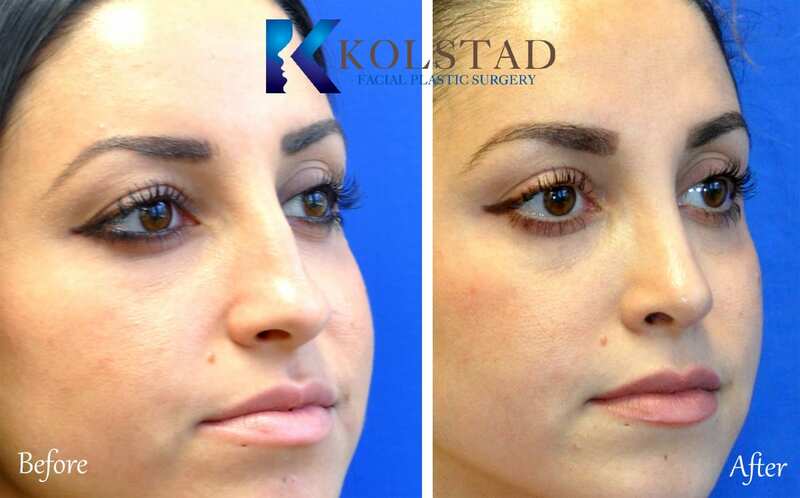 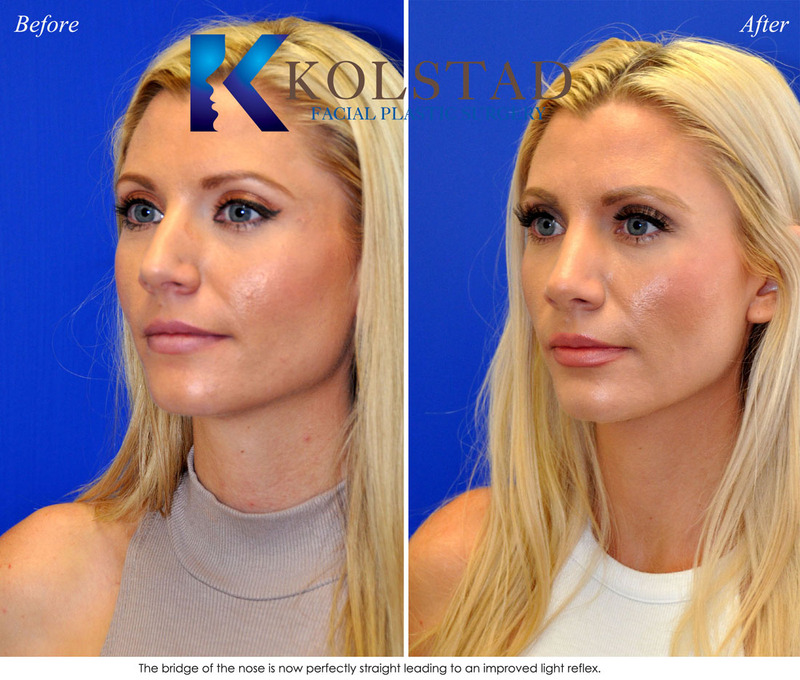 For patients that are not satisfied with the outcome of their procedures a consultation with Dr. Kolstad can help outline options and strategies to improve their results and feelings about rhinoplasty surgeries. 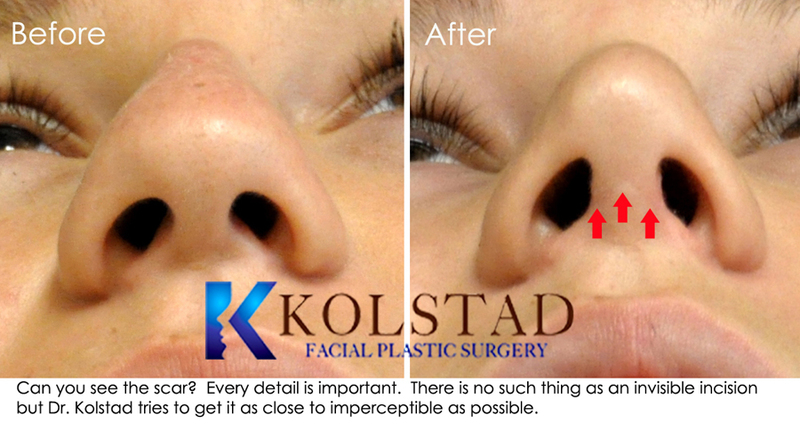 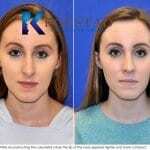 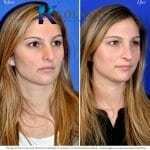 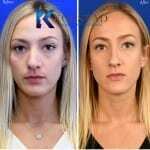 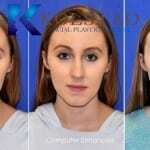 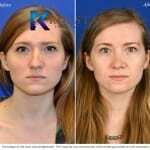 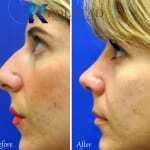 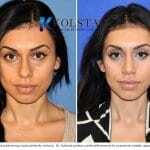 Want to see how your nose would look before going directly to surgery? 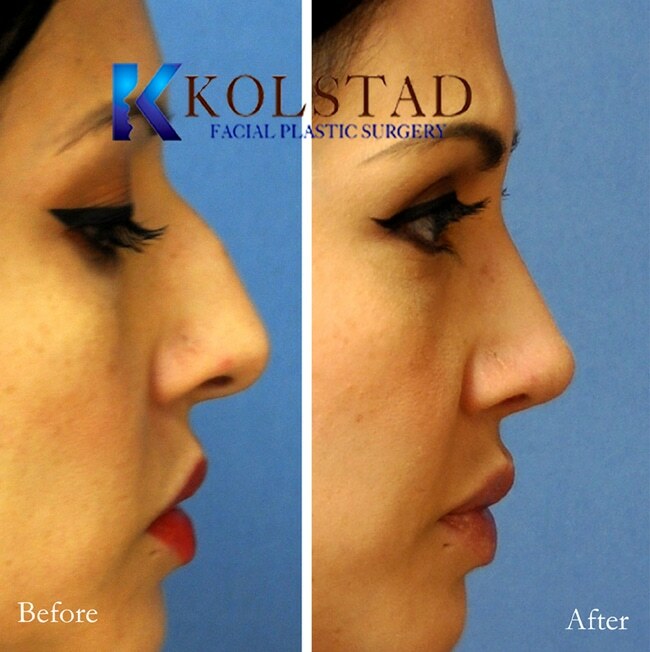 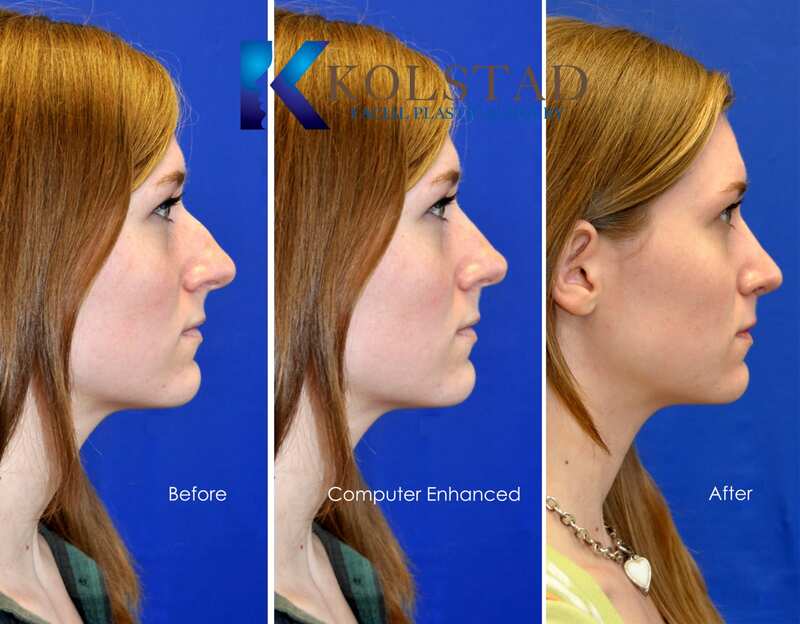 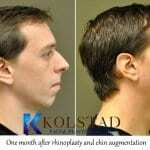 Dr. Kolstad will illustrate potential changes that can be accomplished with rhinoplasty. 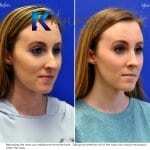 You will have the opportunity to provide feedback and discuss your goals during the imaging session. 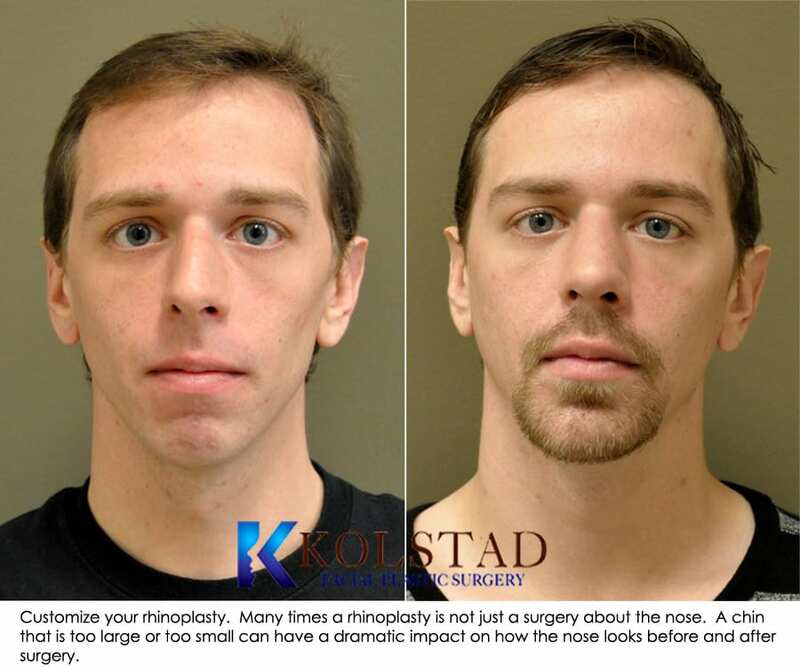 Dr. Kolstad dislikes the term. 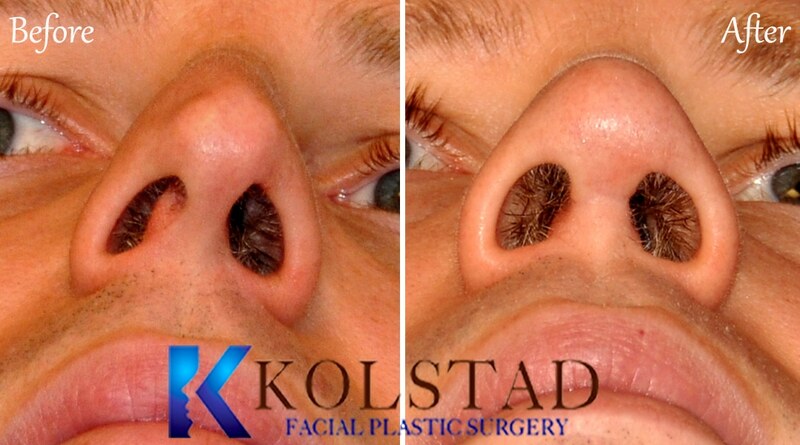 He says “To group every nose into white or ethnic makes absolutely no sense”. 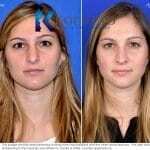 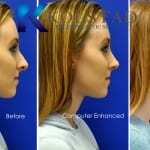 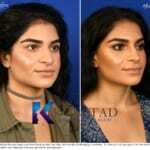 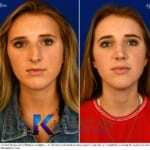 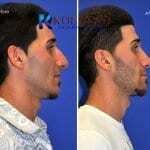 Every nose needs to fit a unique face and to lump all non-Caucasian rhinoplasty into a single ethnic category is short-sighted. 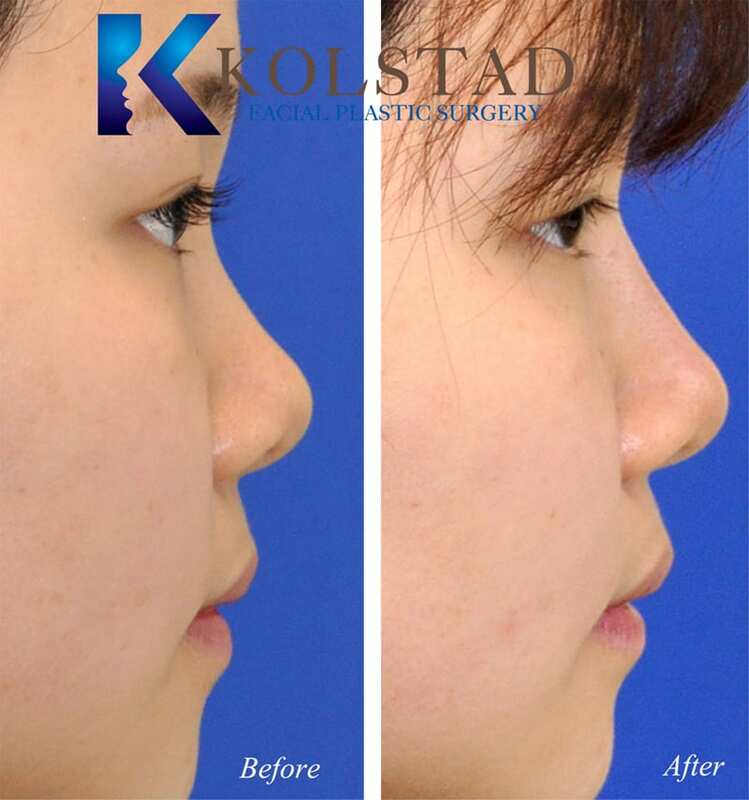 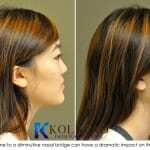 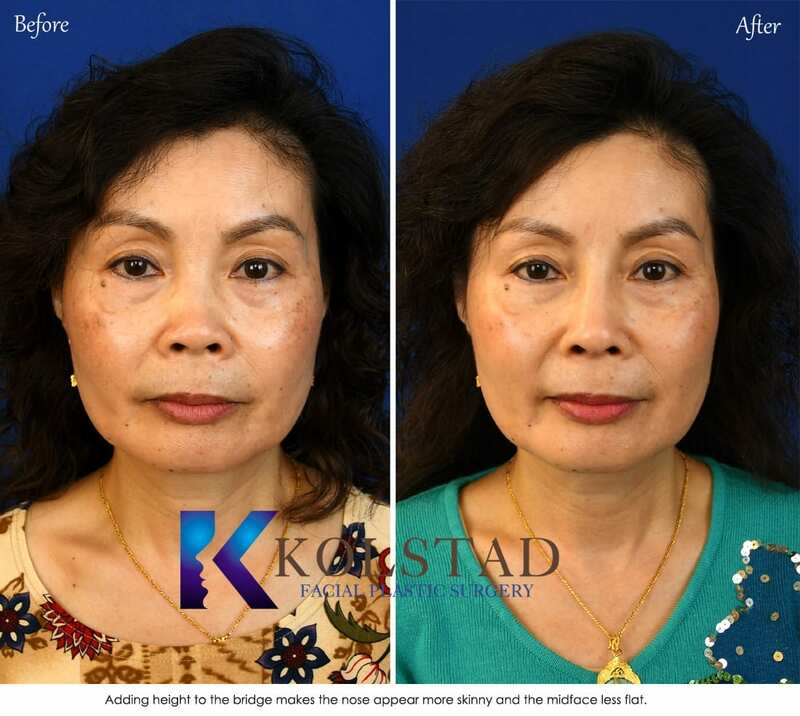 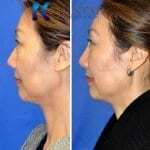 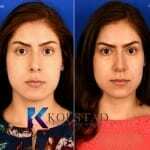 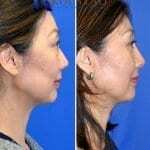 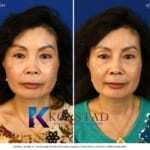 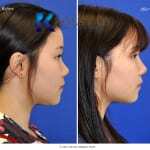 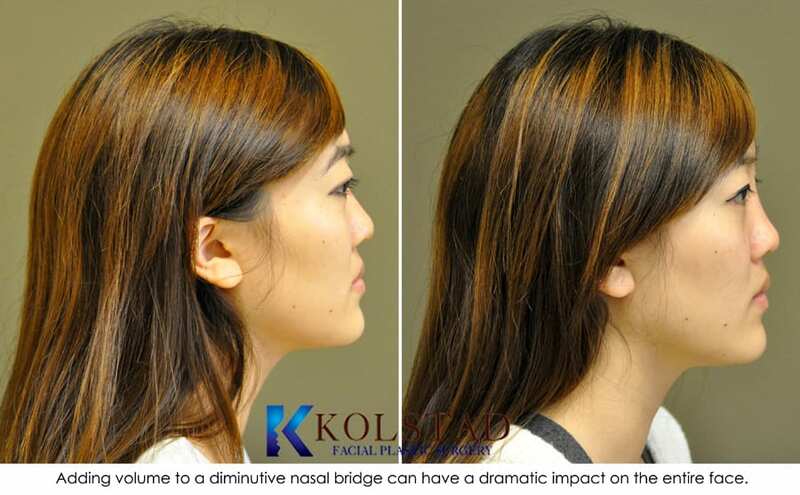 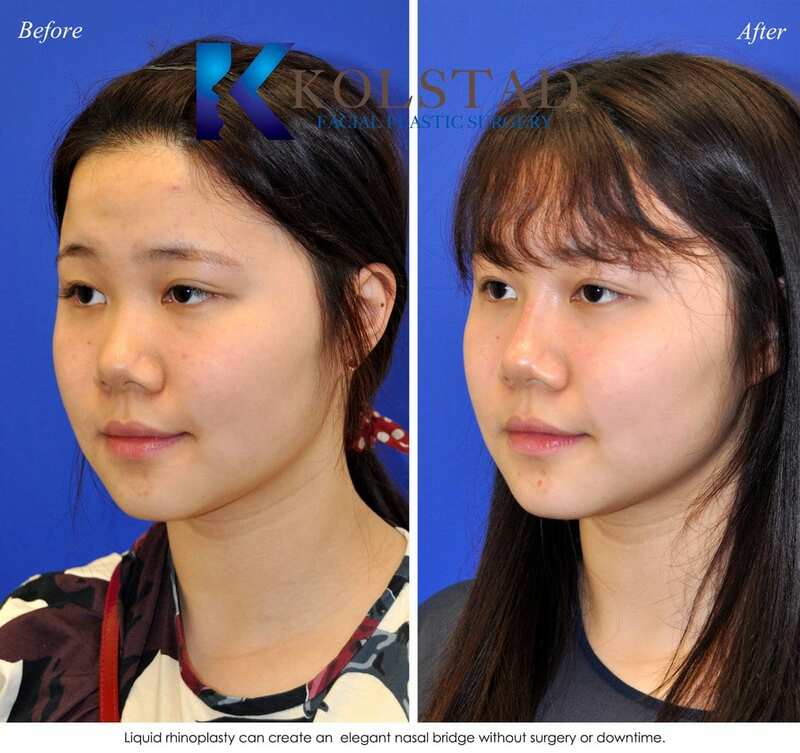 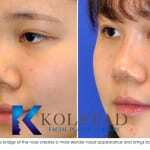 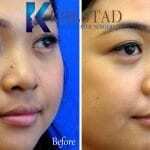 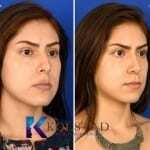 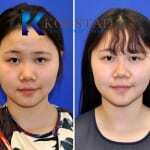 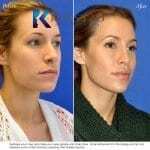 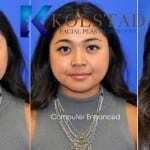 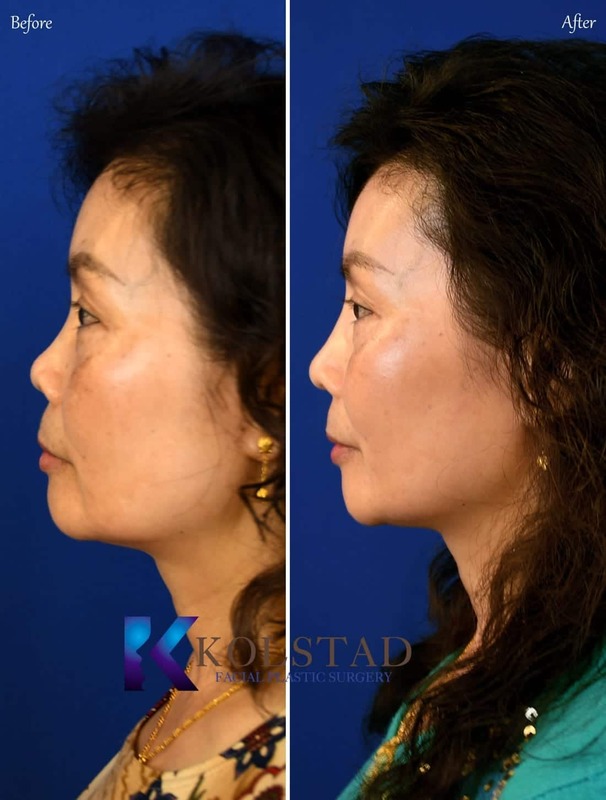 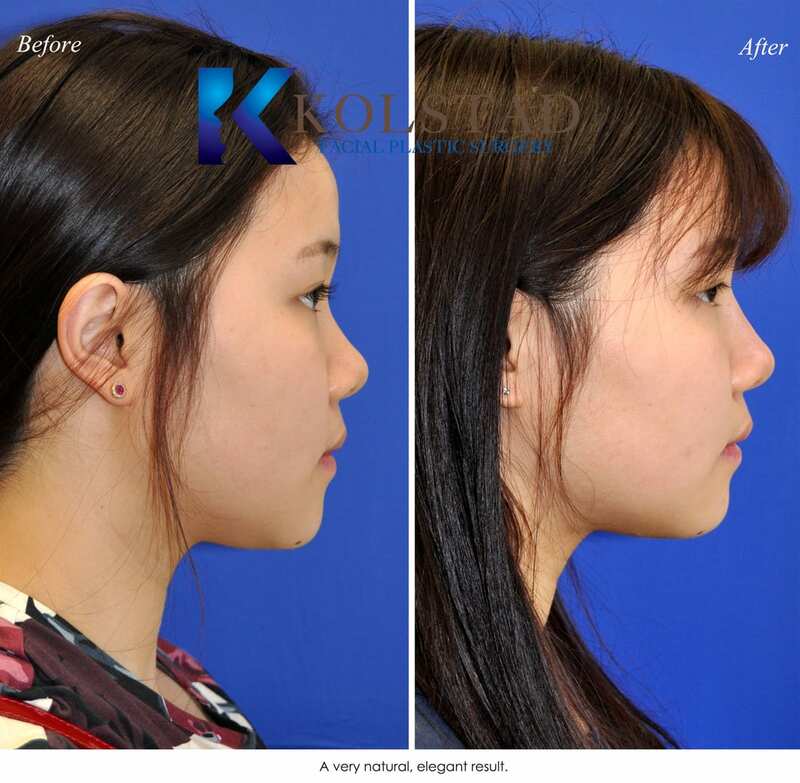 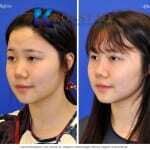 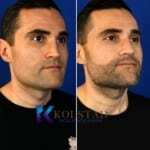 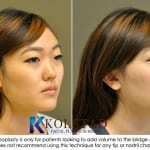 In this gallery there are examples of Asian rhinoplasties consisting of bridge reductions and Asian rhinoplasties representing bridge augmentations. 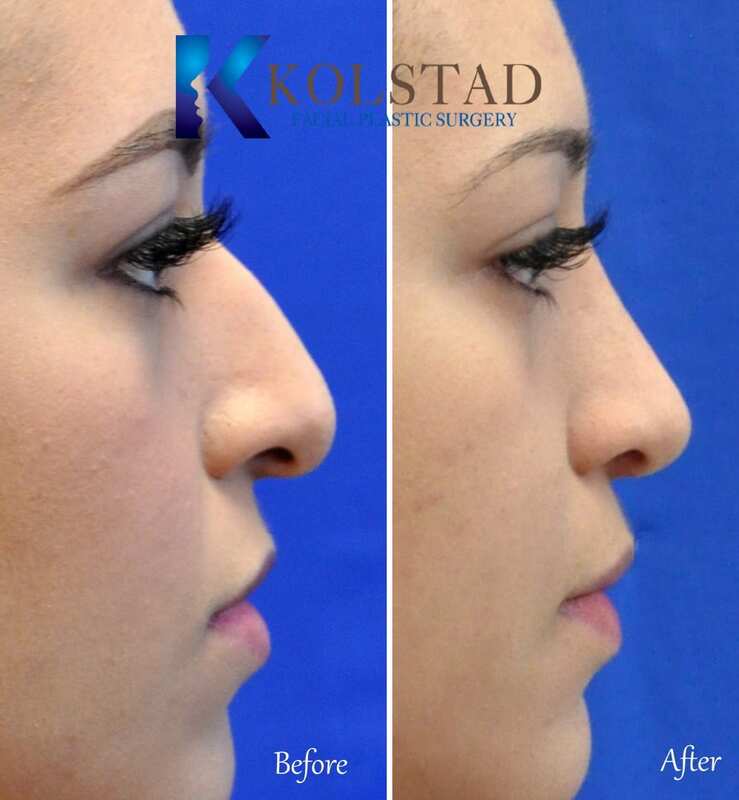 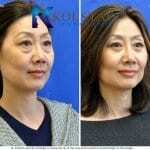 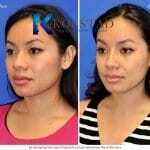 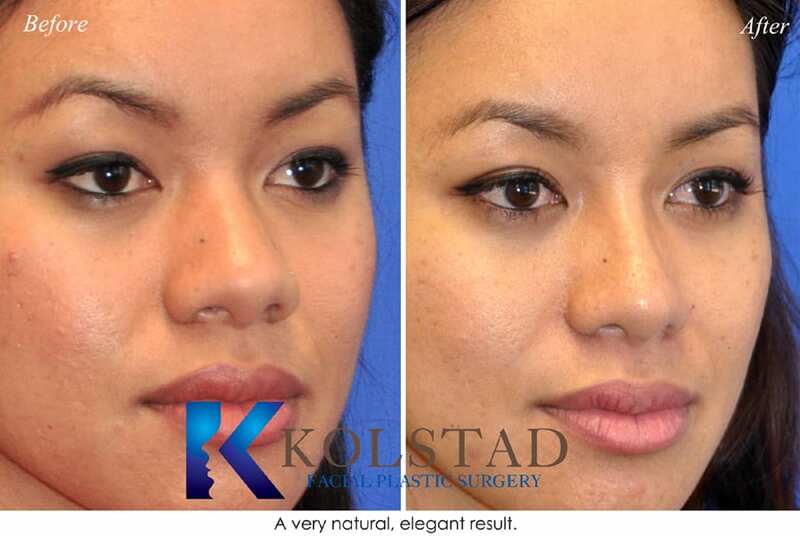 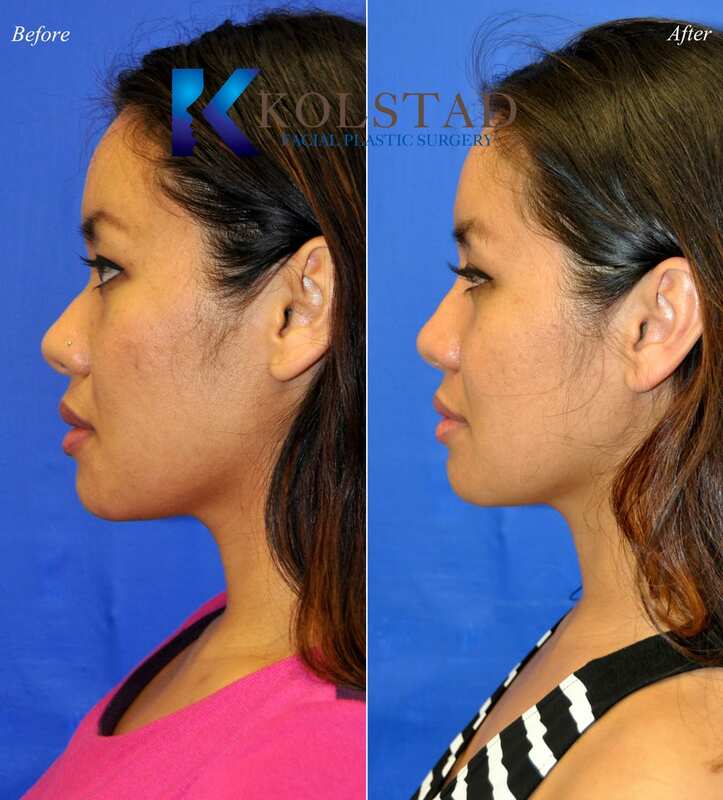 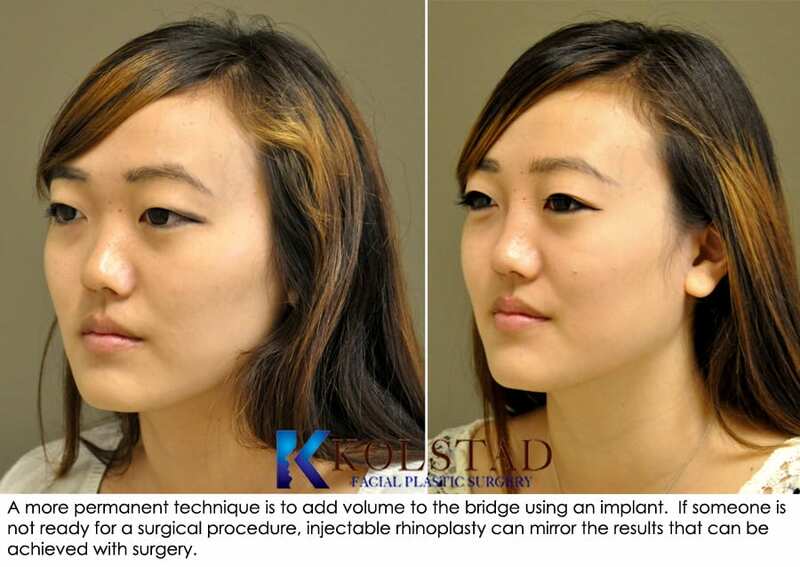 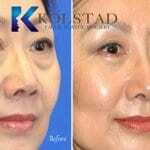 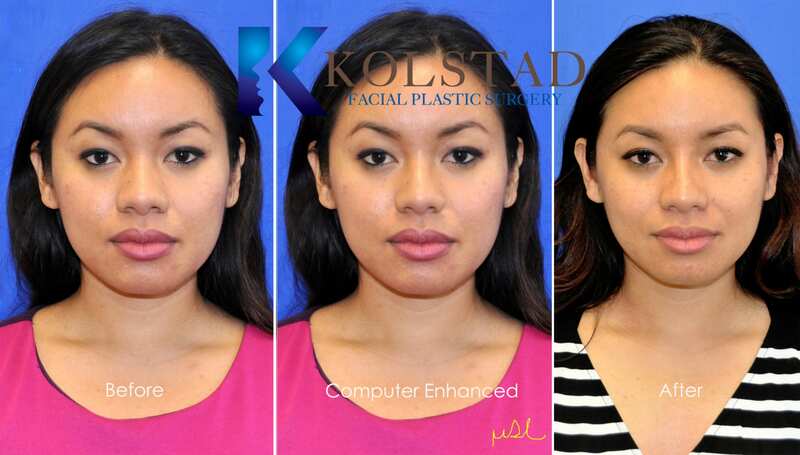 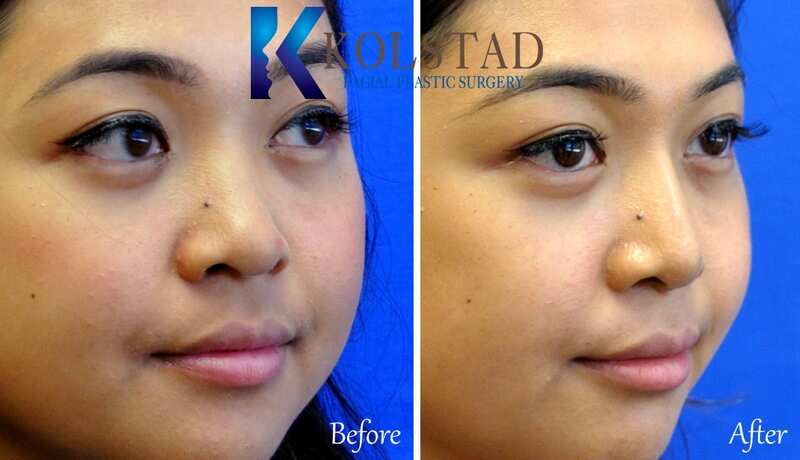 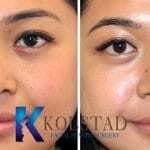 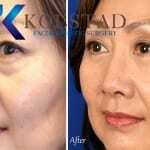 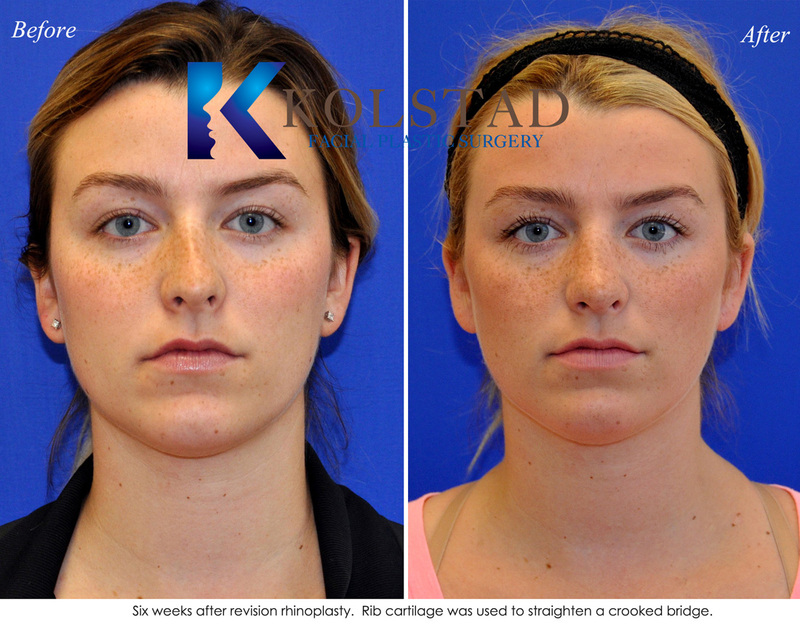 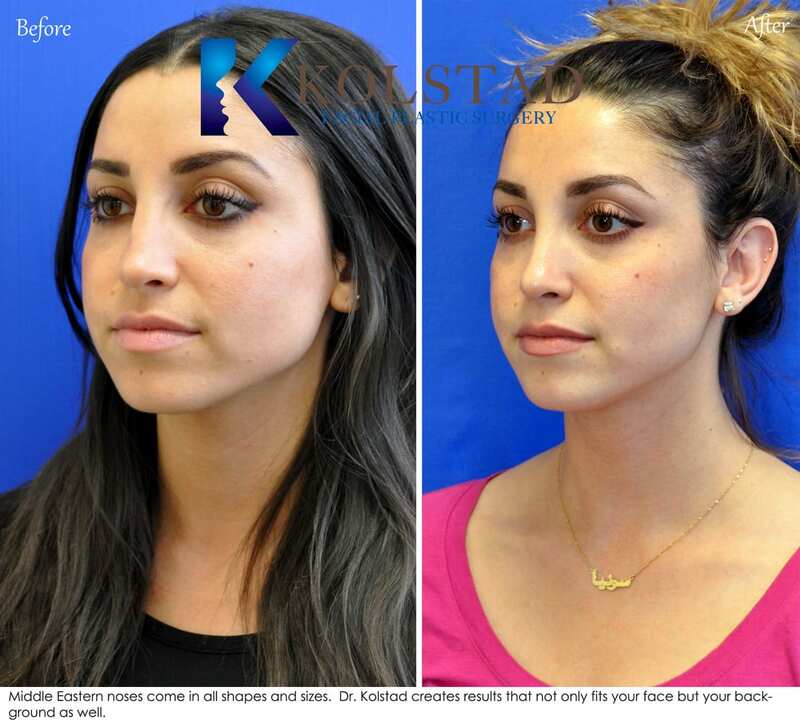 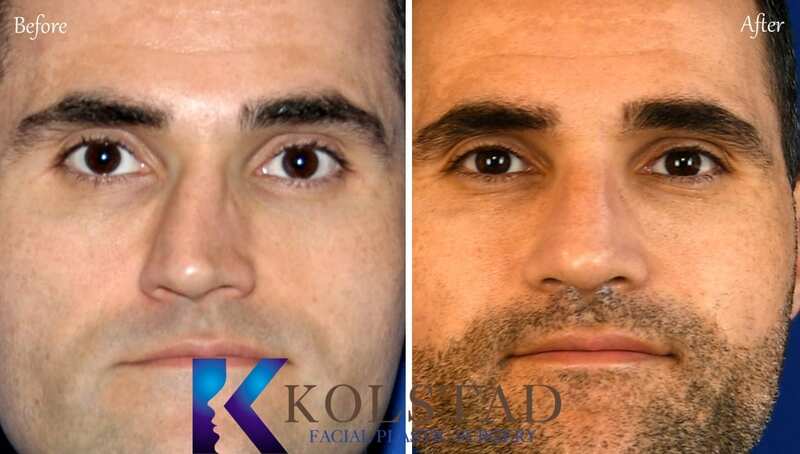 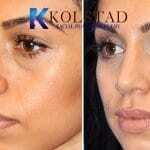 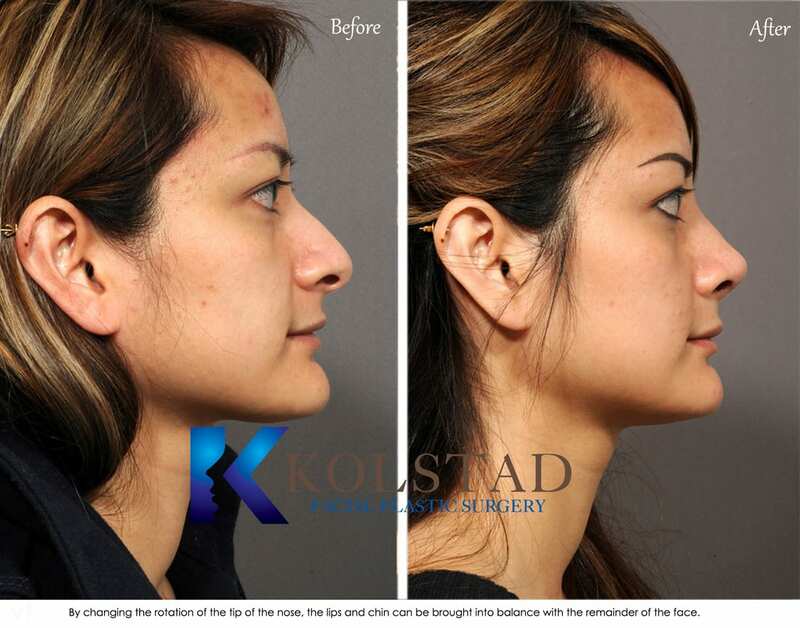 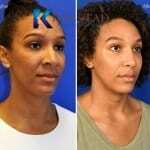 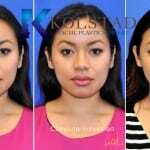 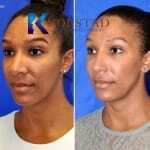 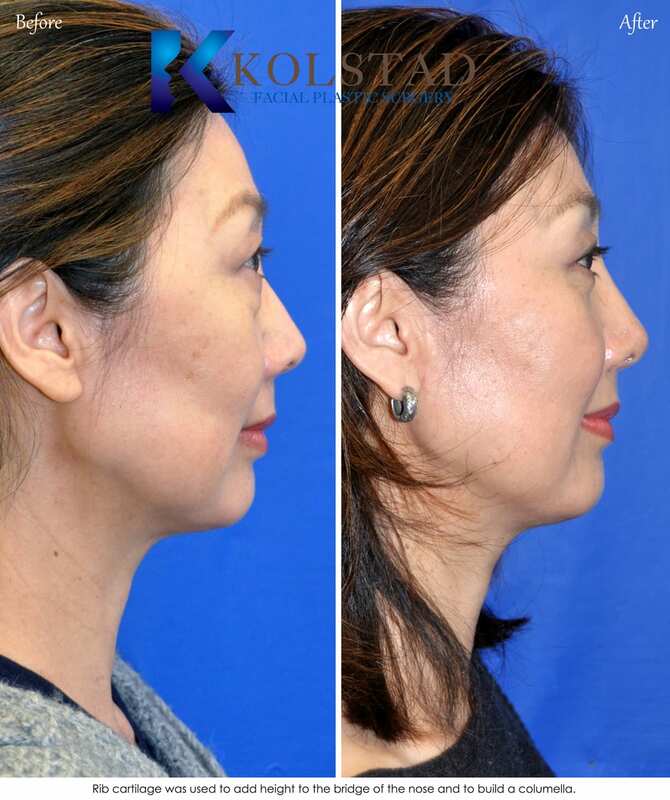 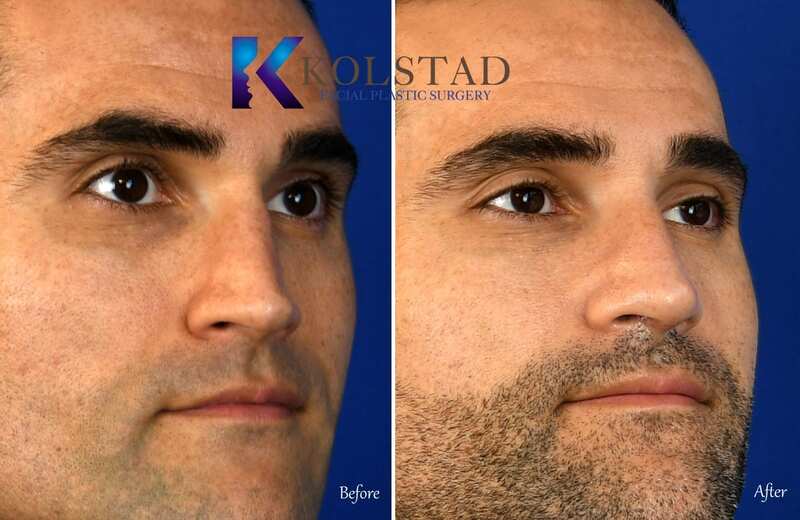 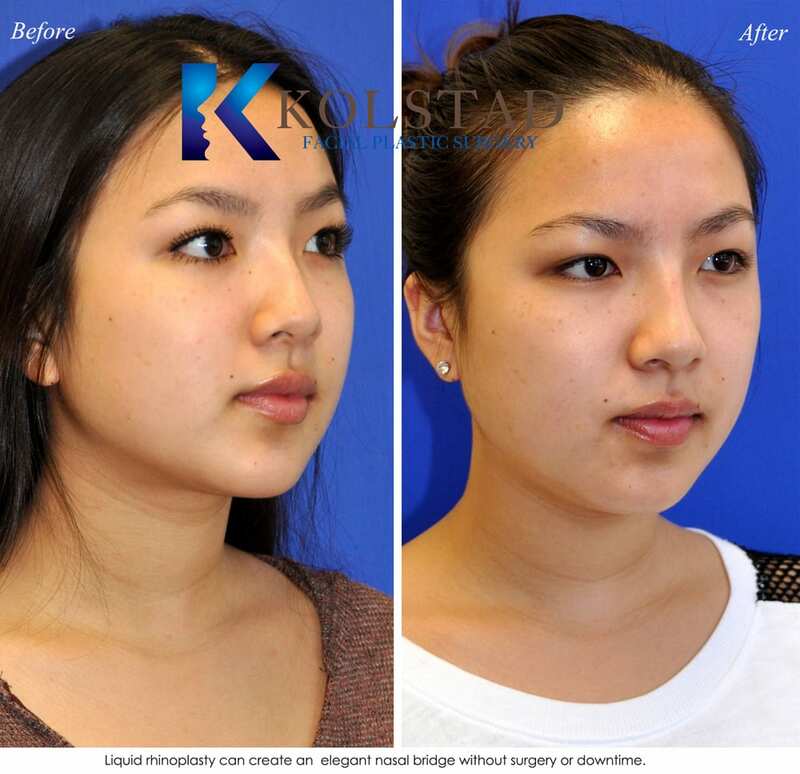 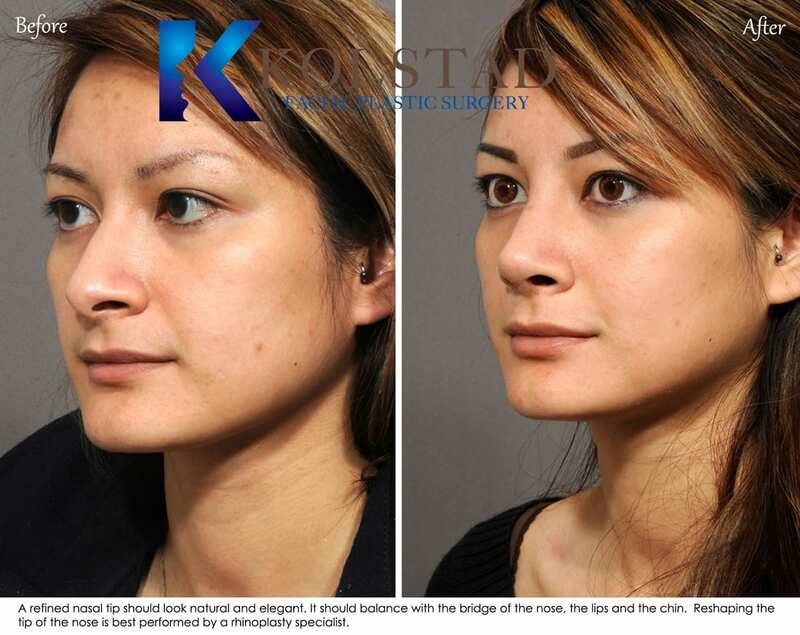 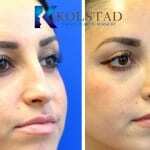 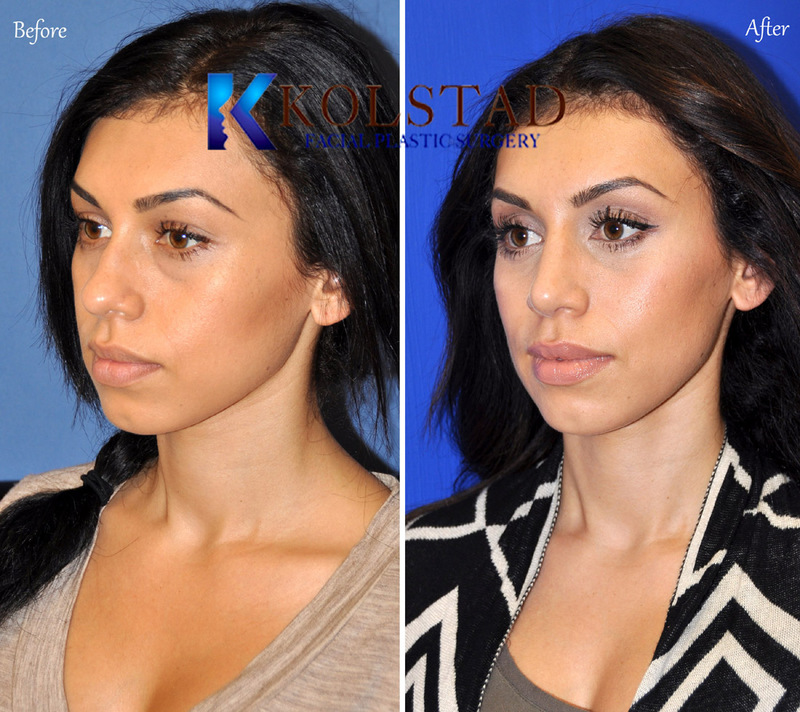 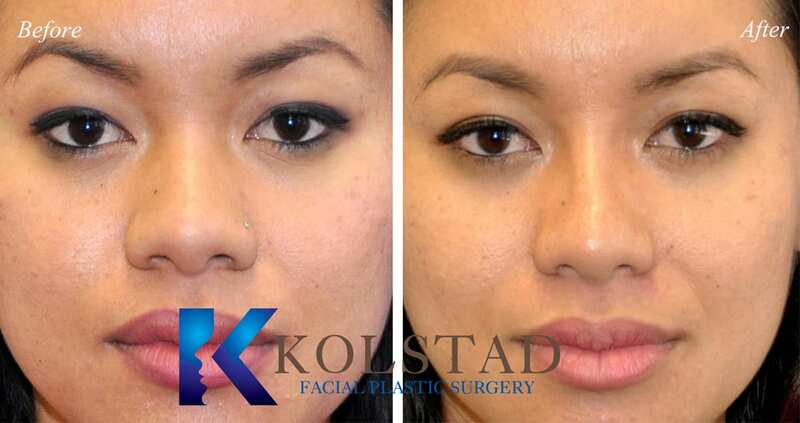 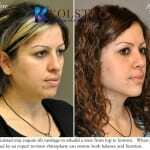 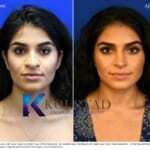 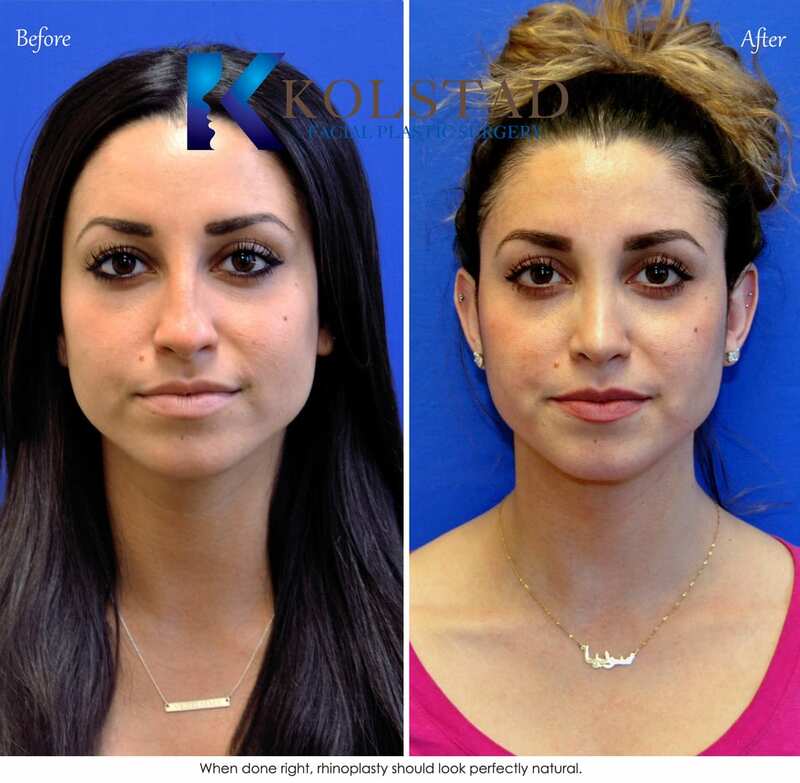 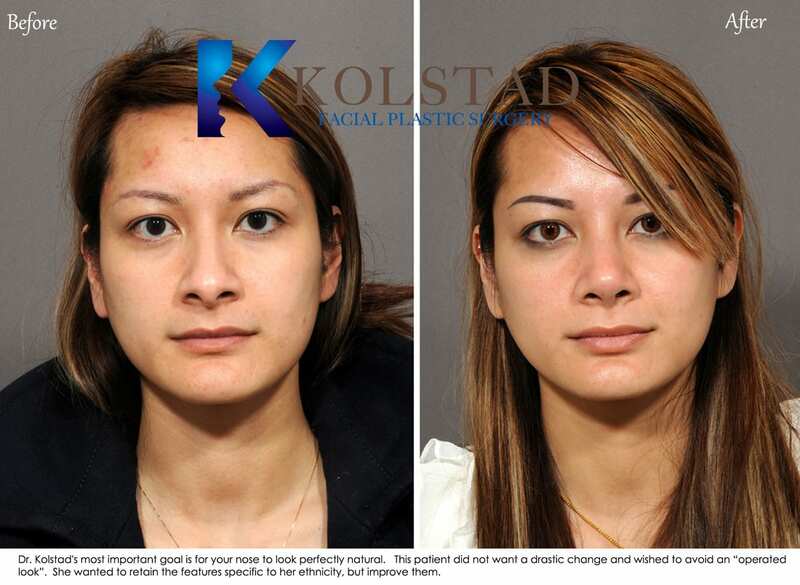 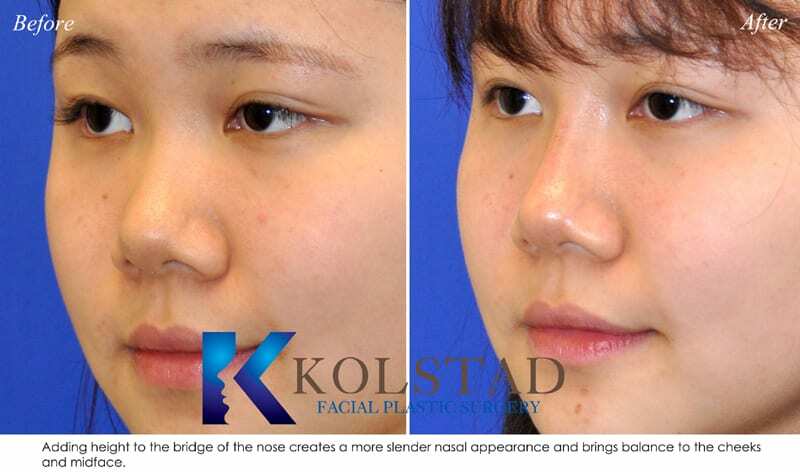 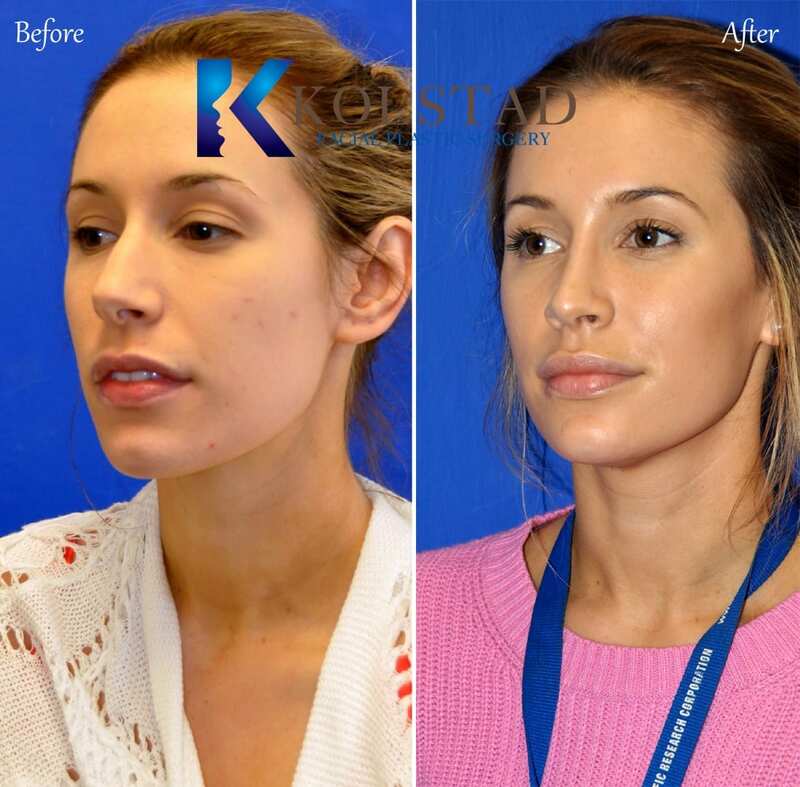 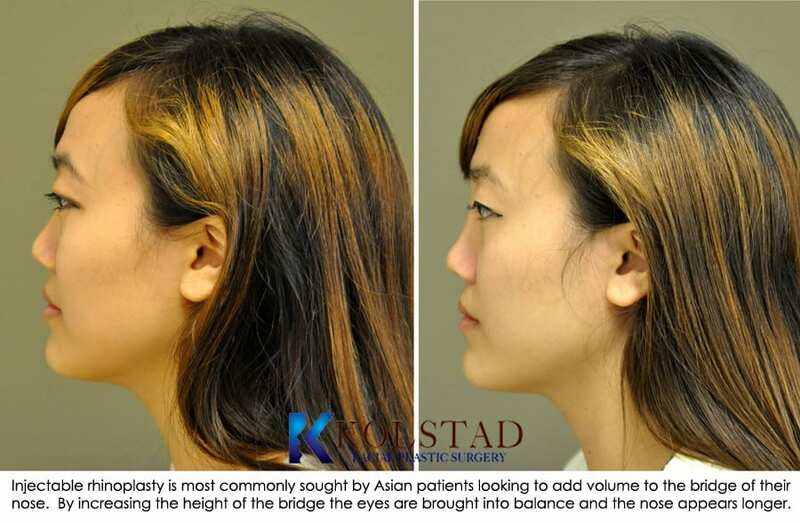 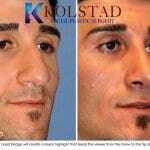 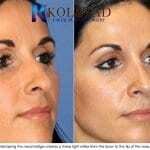 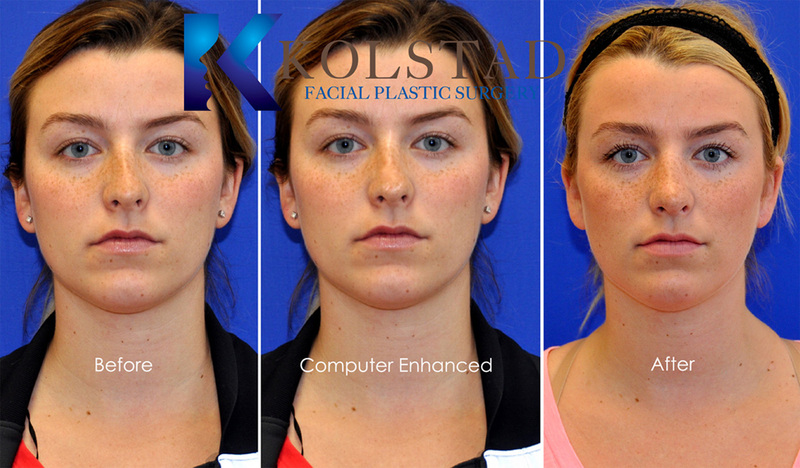 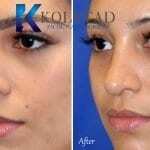 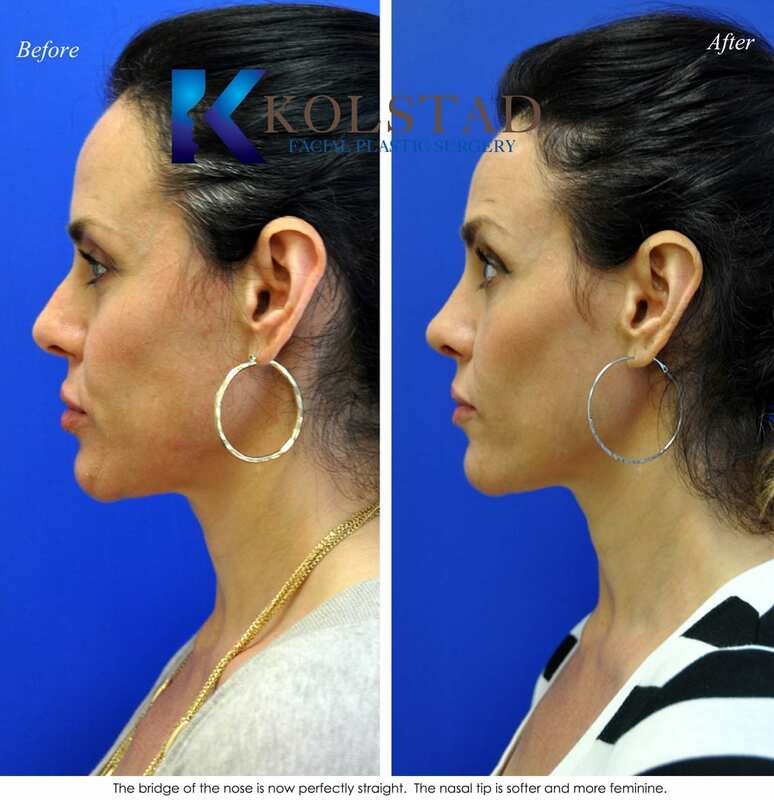 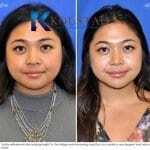 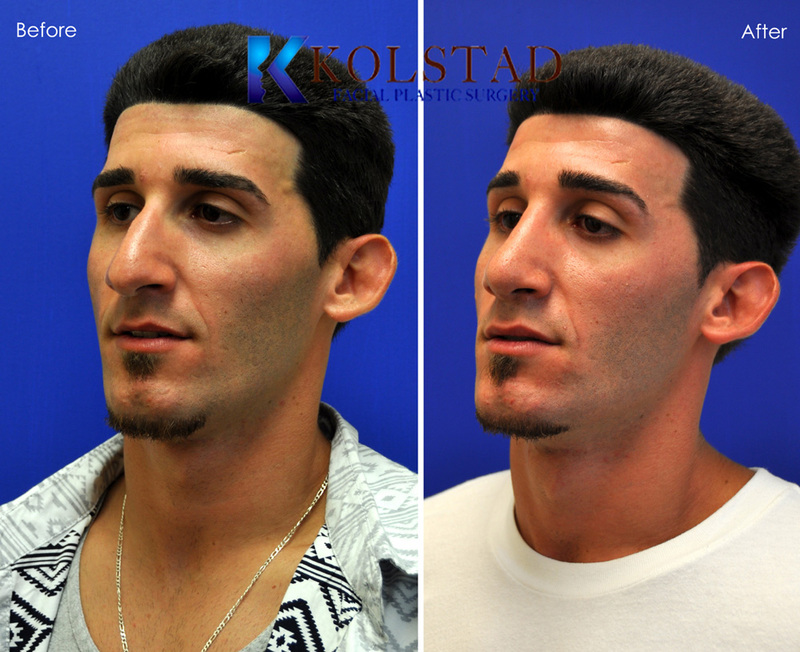 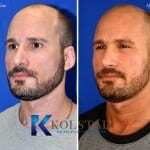 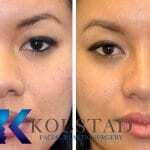 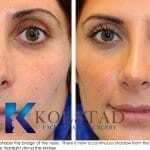 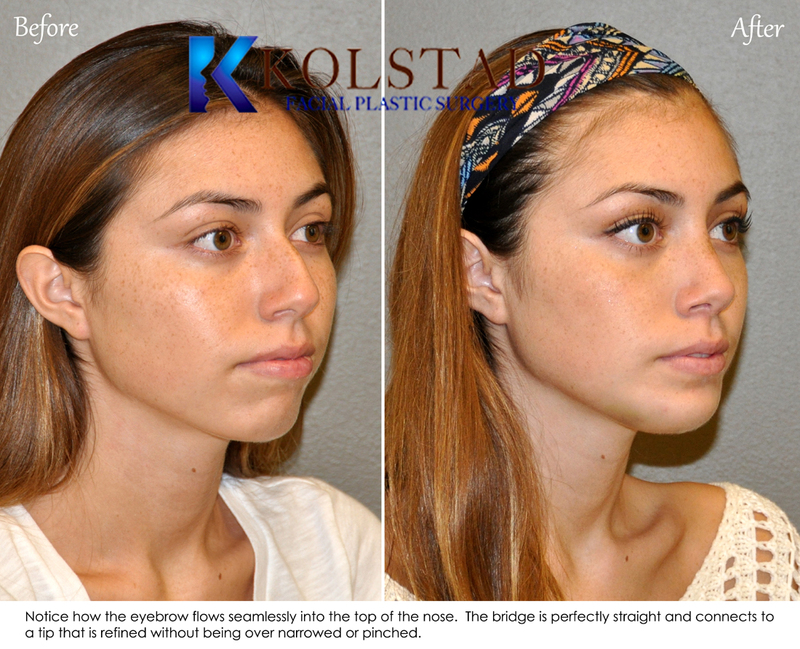 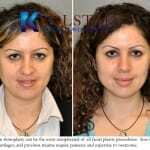 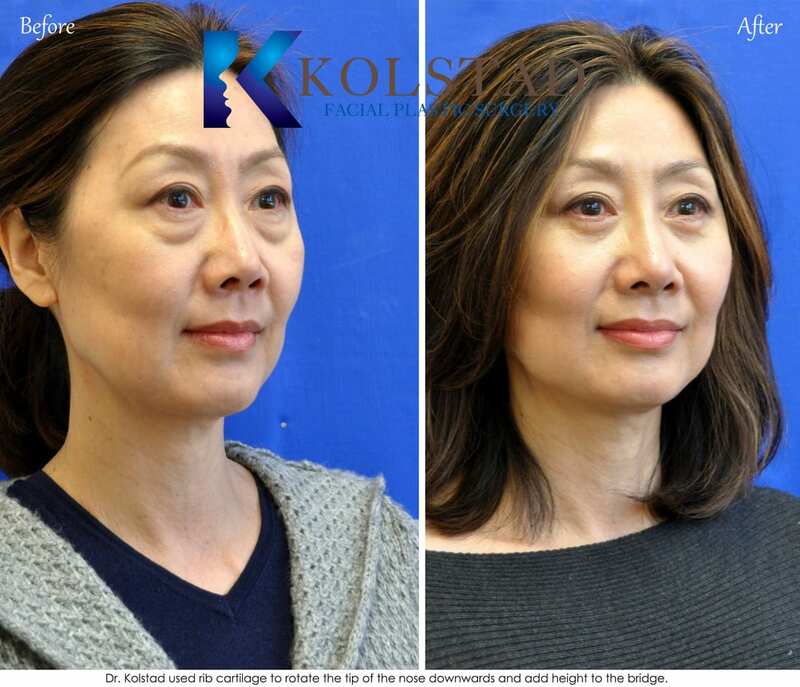 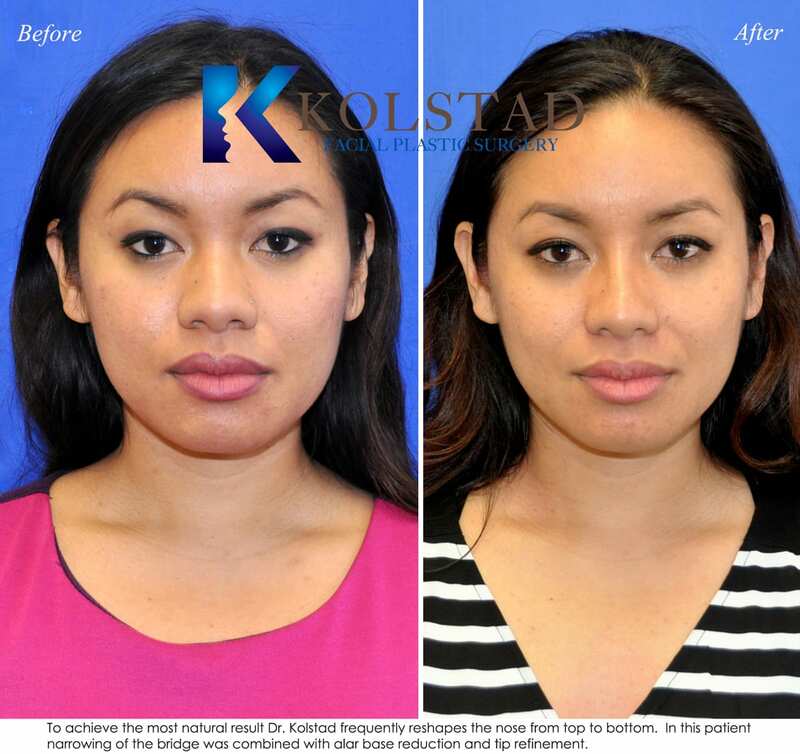 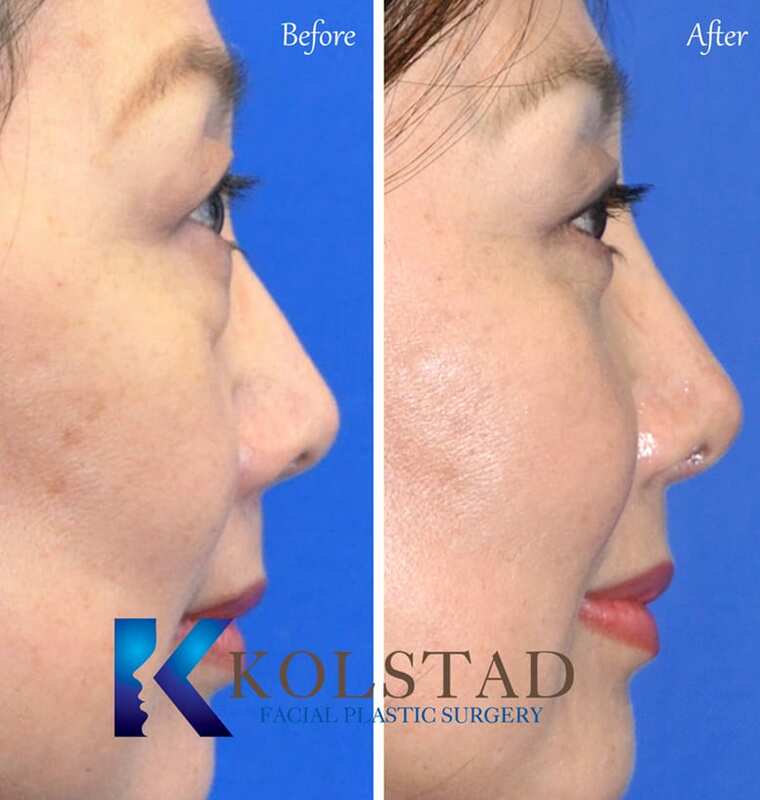 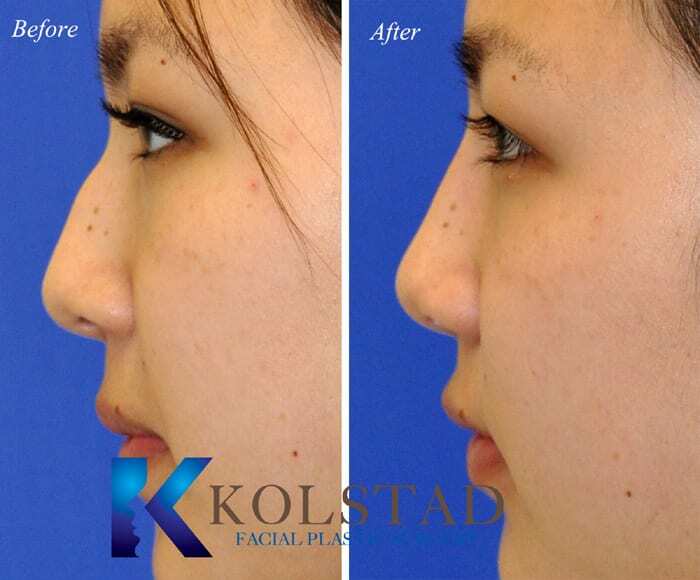 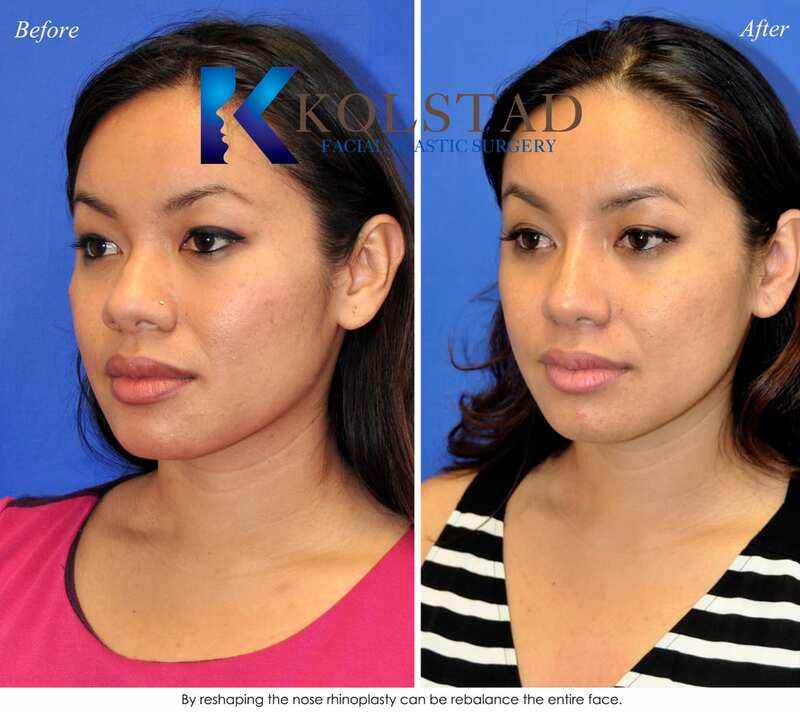 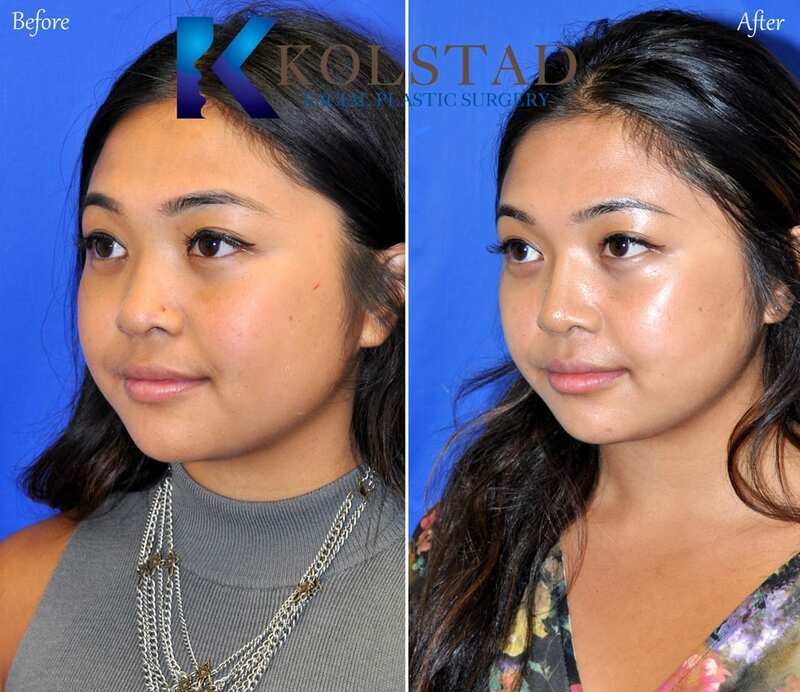 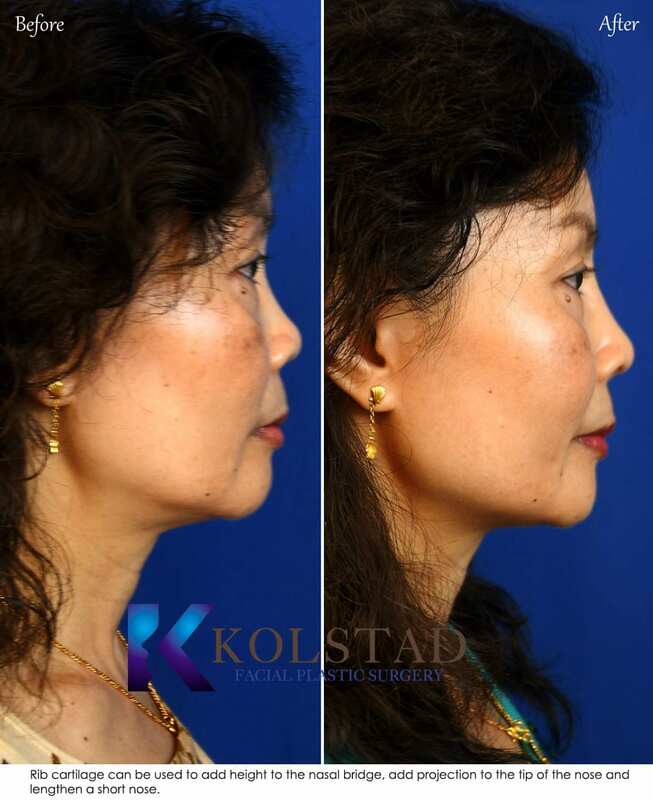 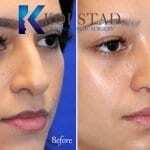 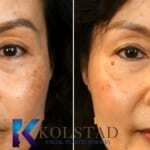 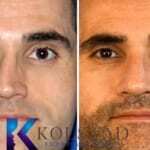 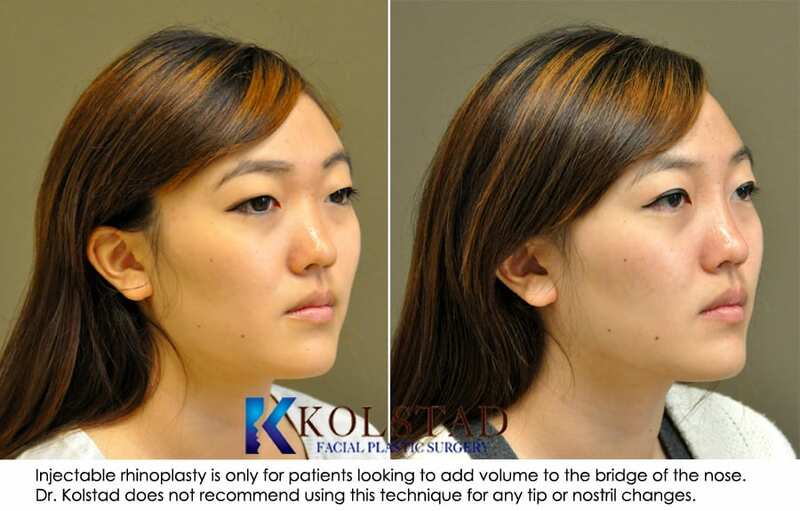 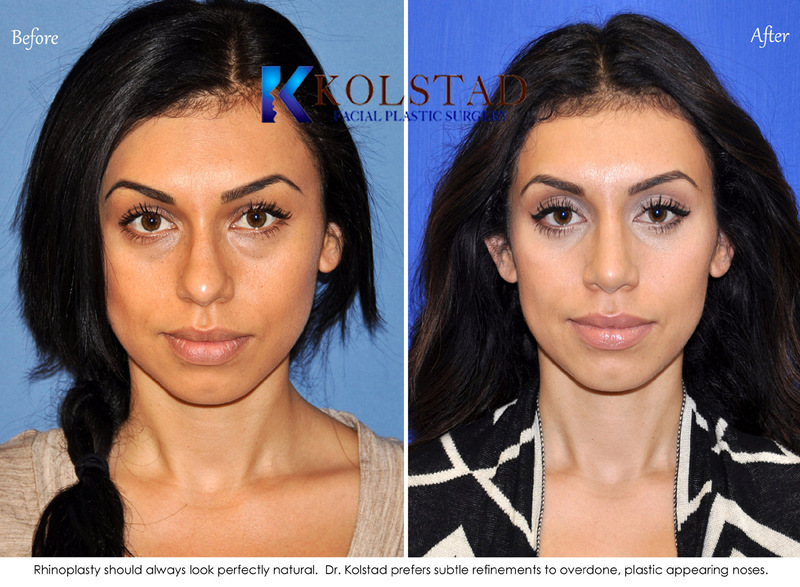 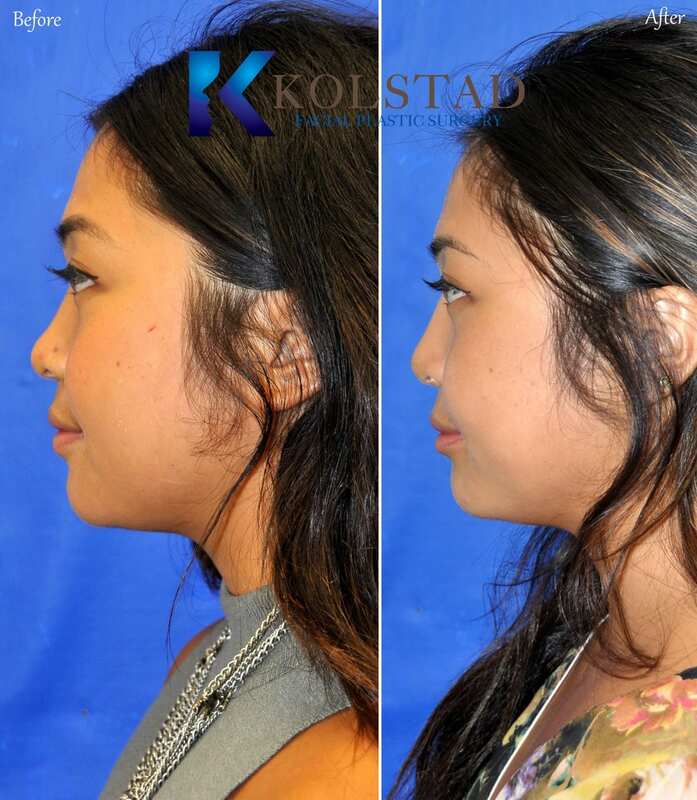 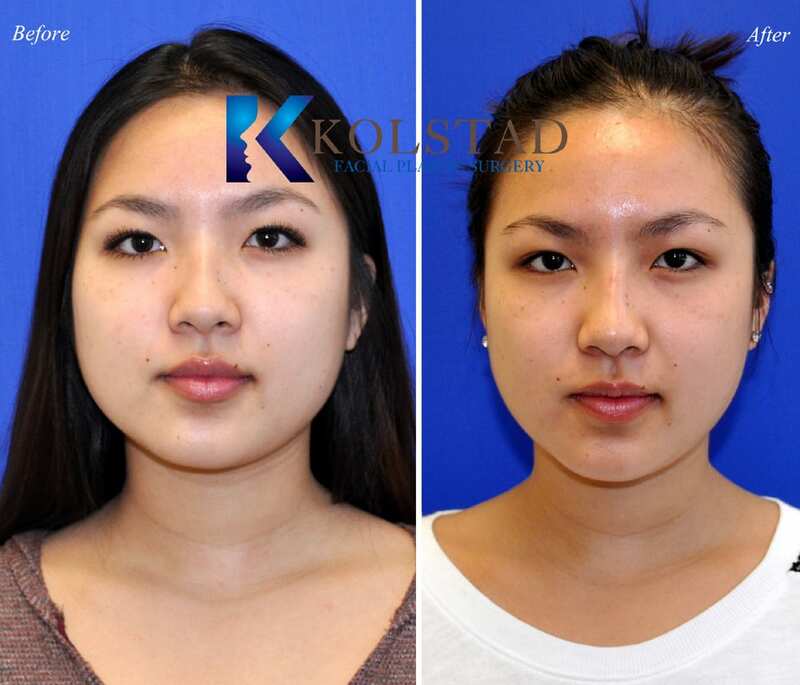 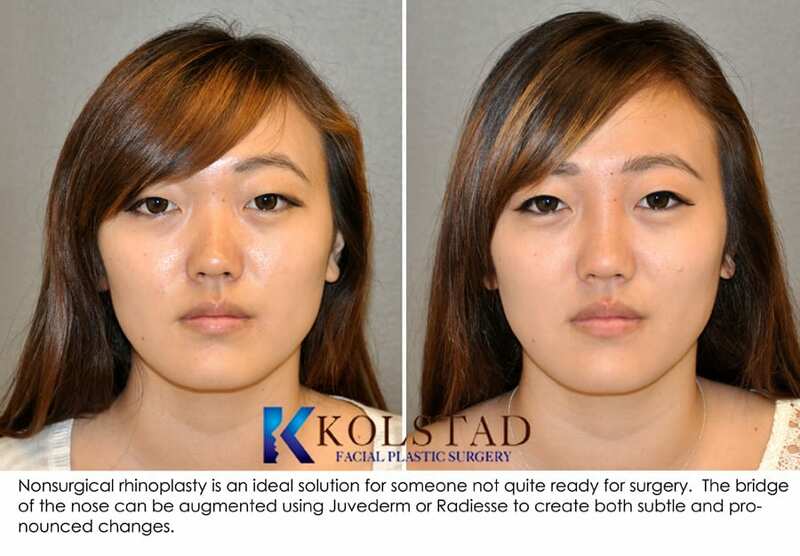 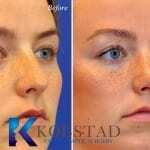 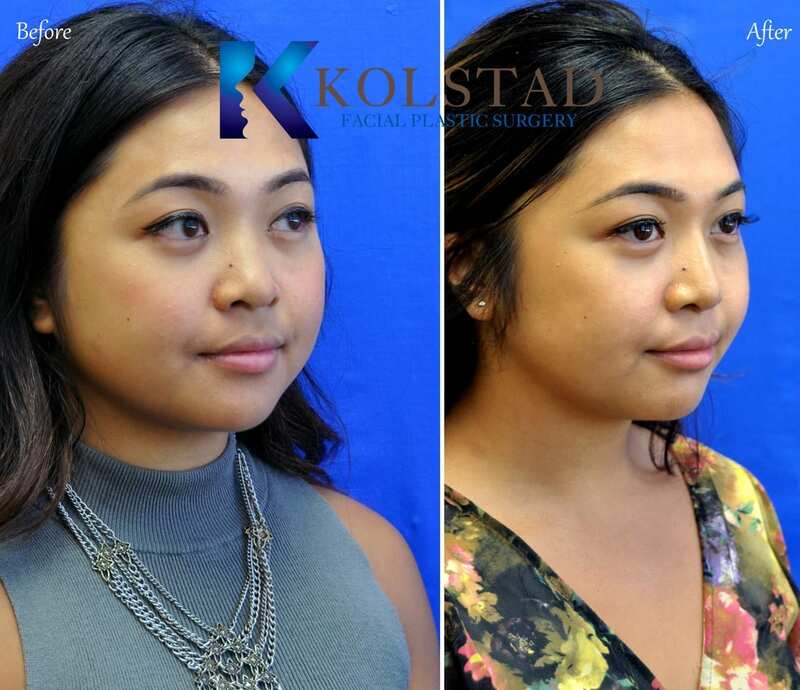 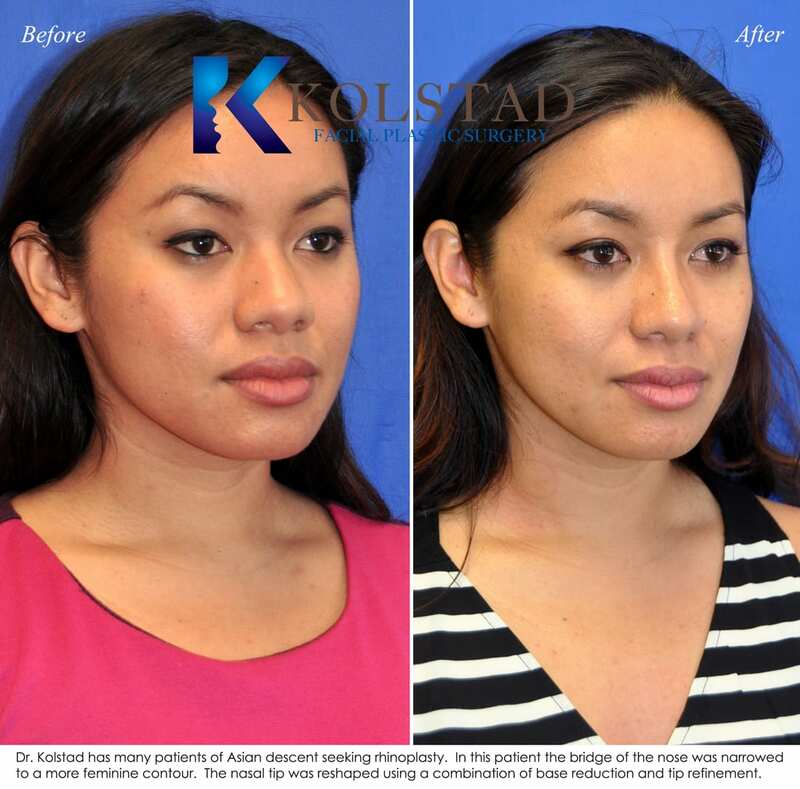 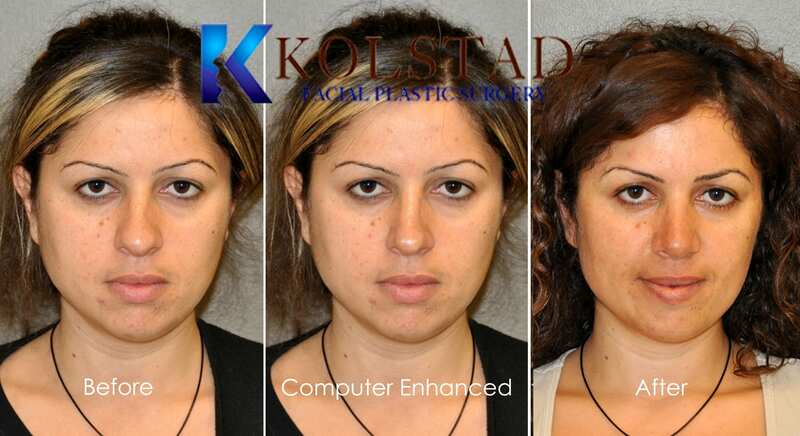 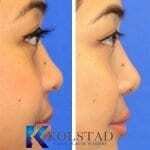 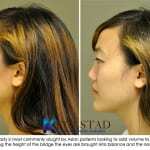 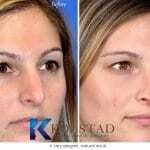 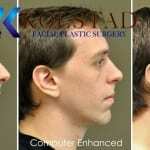 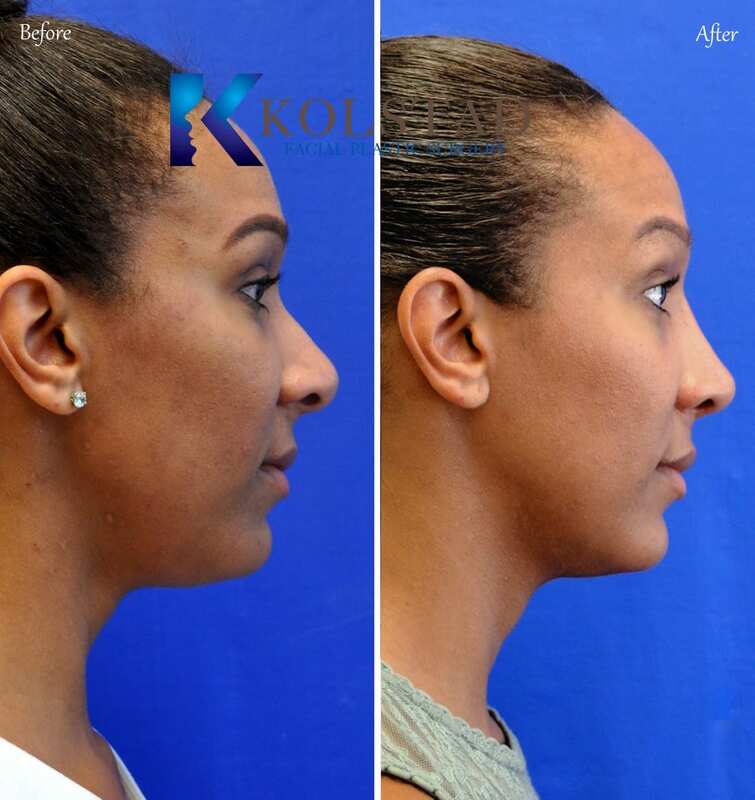 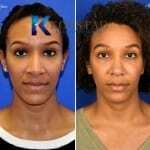 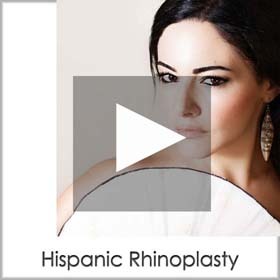 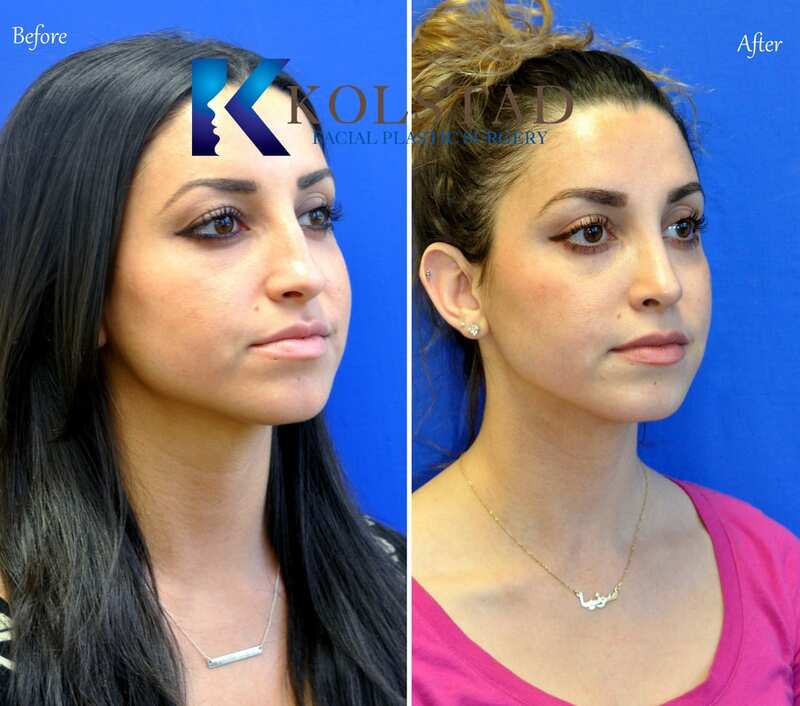 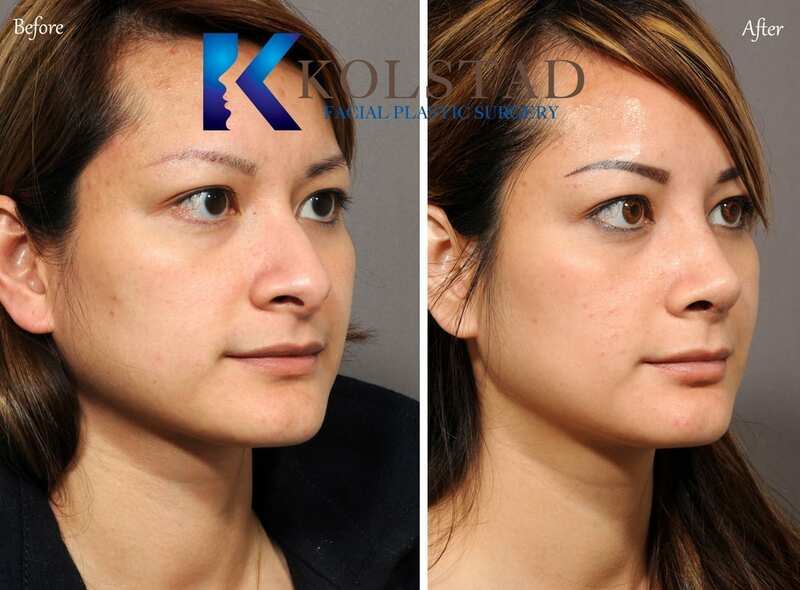 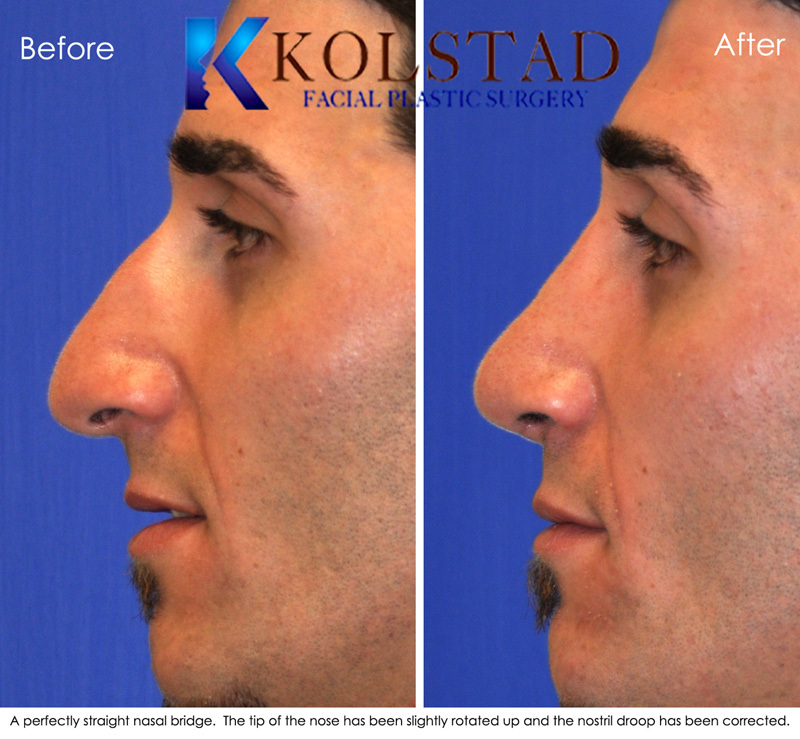 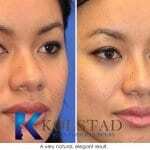 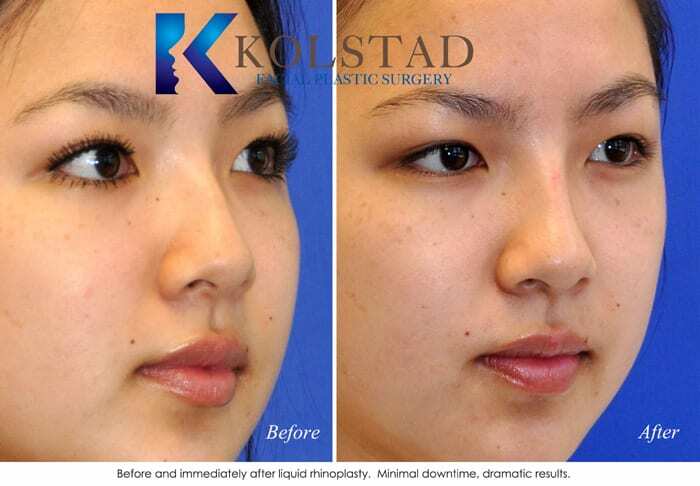 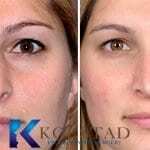 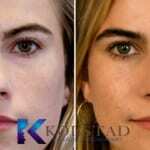 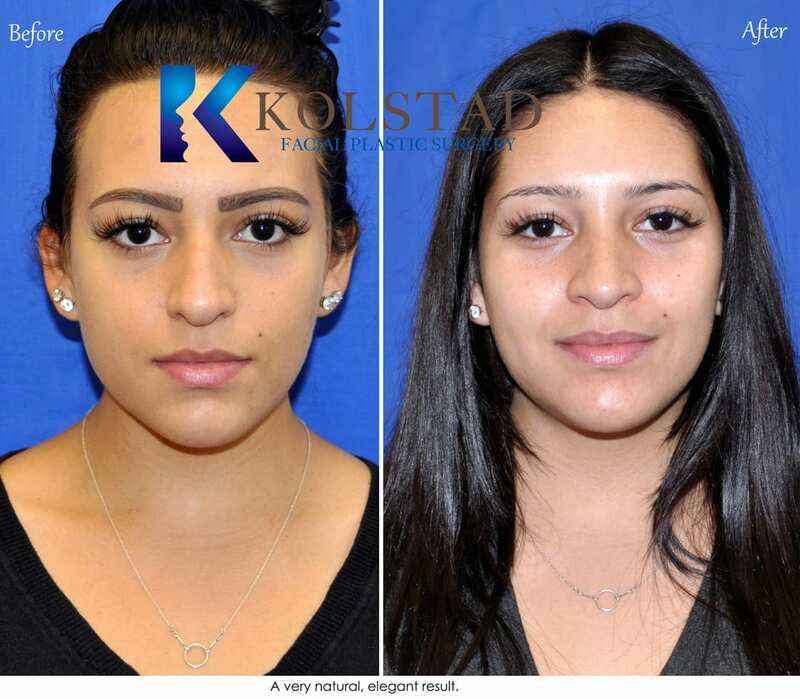 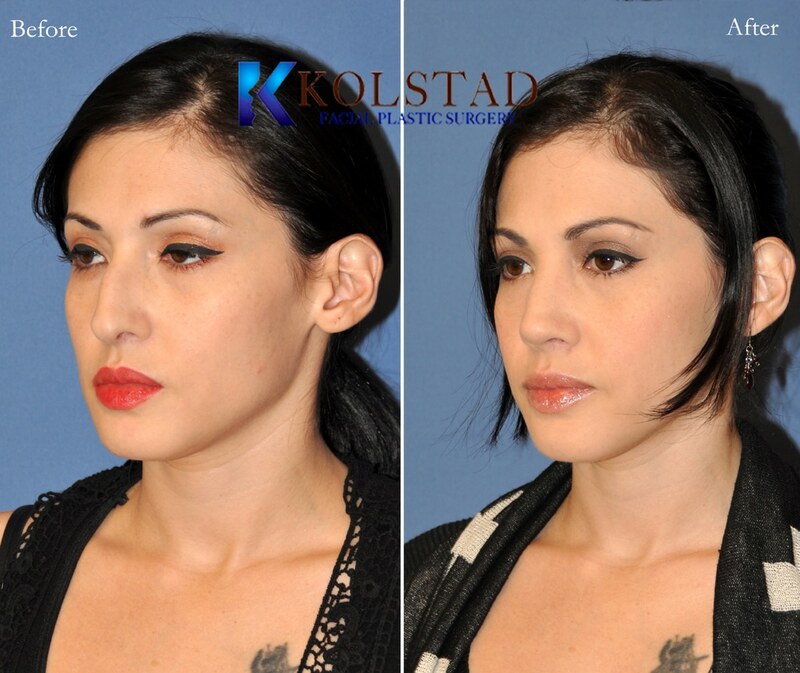 Dr. Kolstad’s rhinoplasty practice is a mixture of people from all backgrounds and ethnicities. 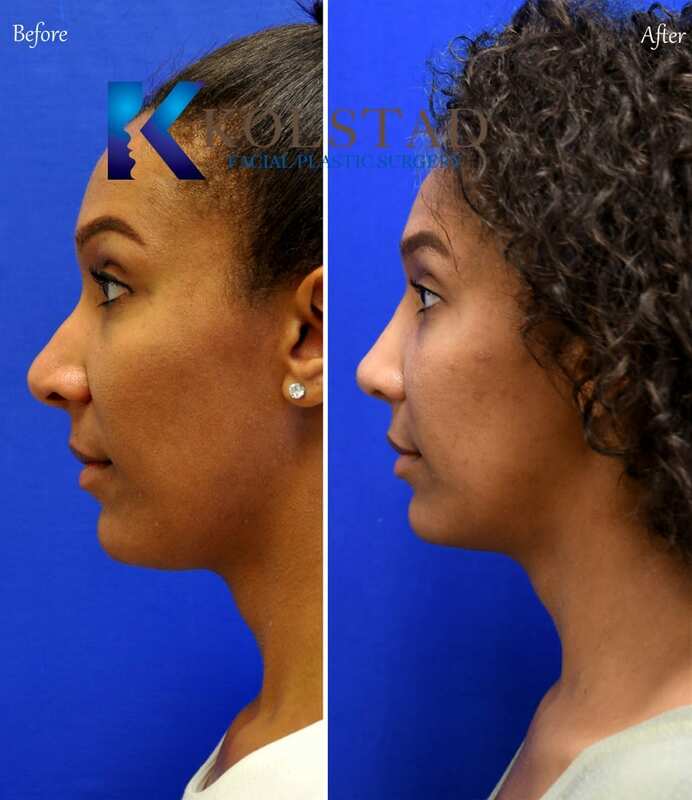 In our gallery we display a balance of Women, Men, Western, Middle Eastern, Hispanic, Asian and African American rhinoplasty. 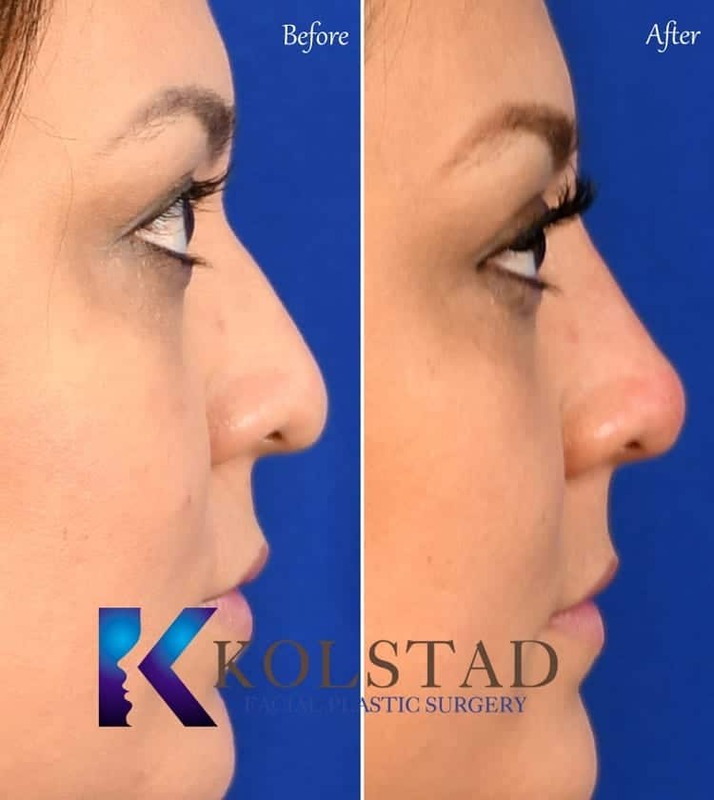 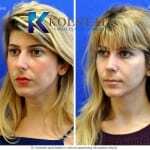 The most important qualification for your surgeon is to choose the one that is a specialist of rhinoplasty for your unique facial features.